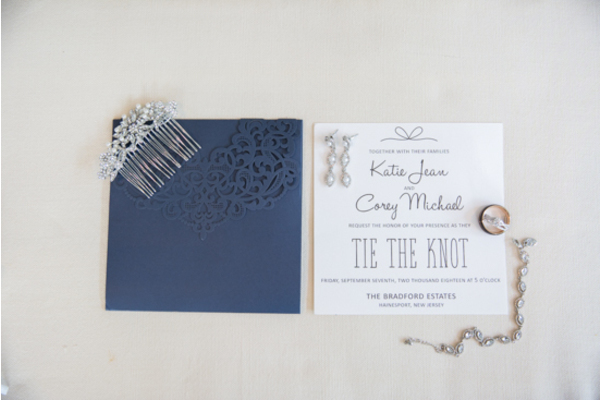 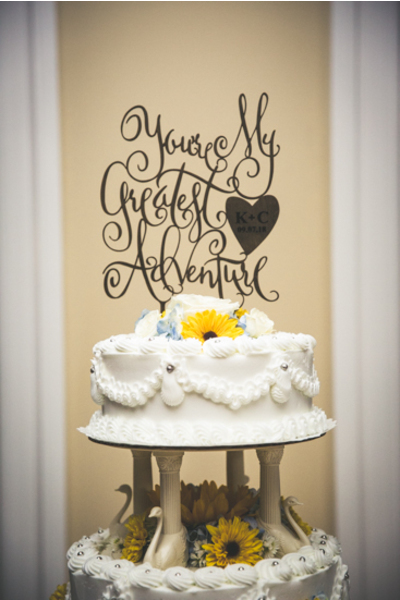 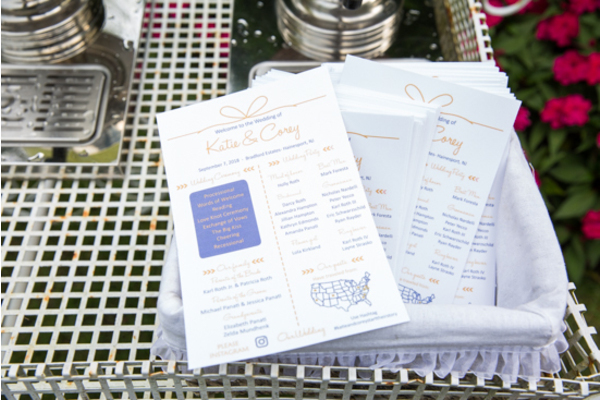 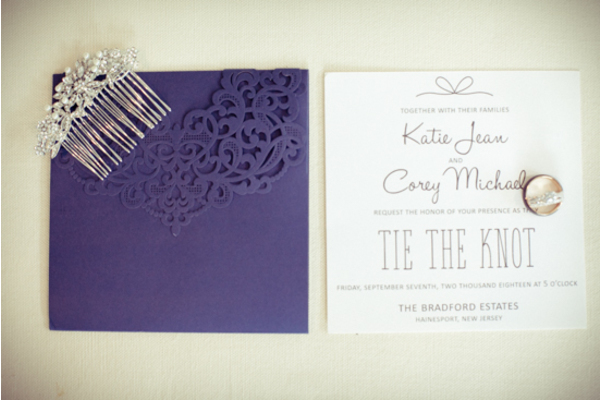 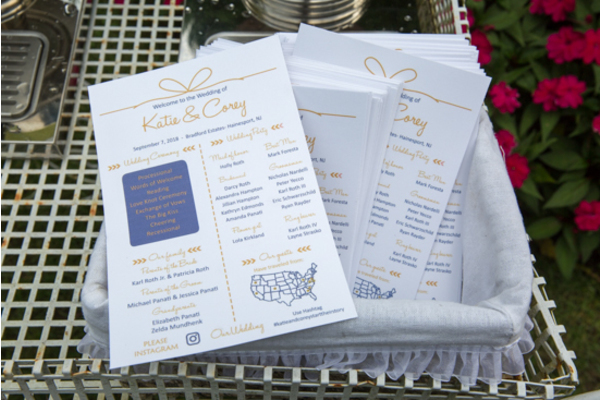 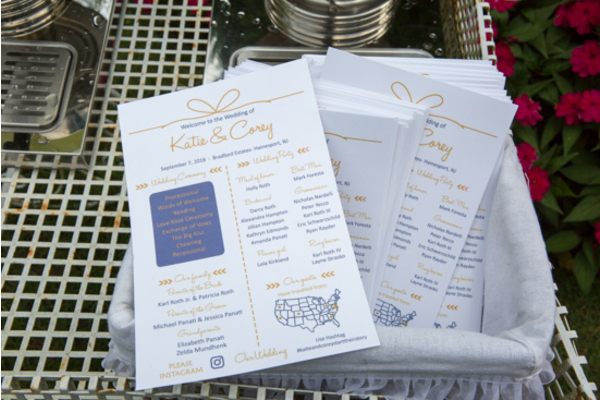 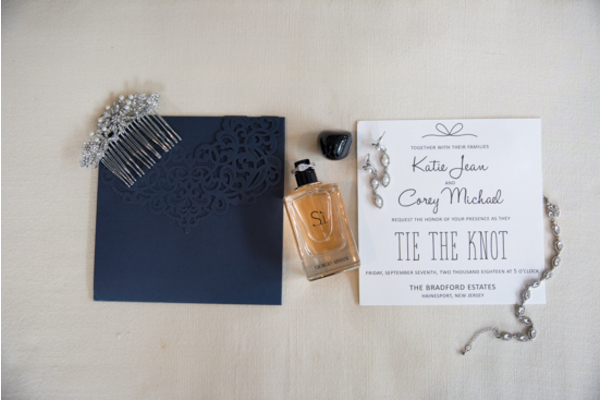 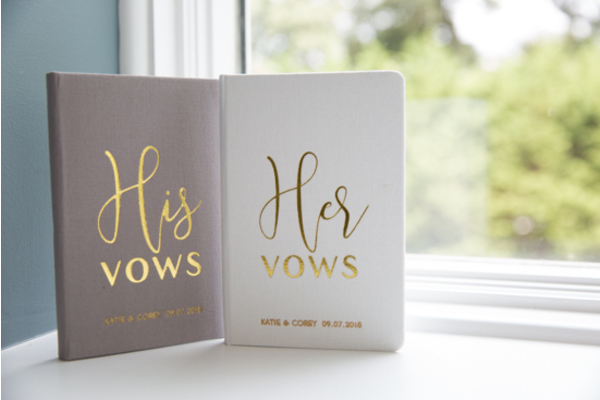 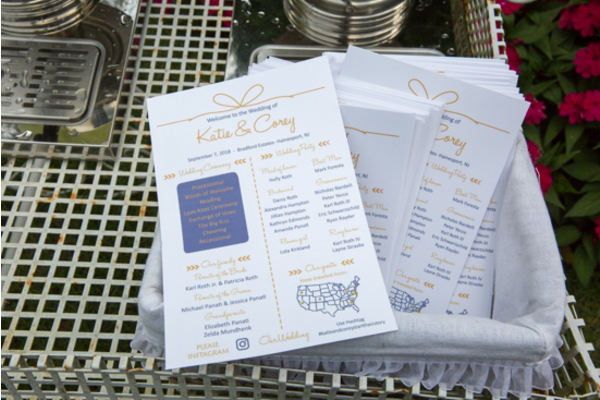 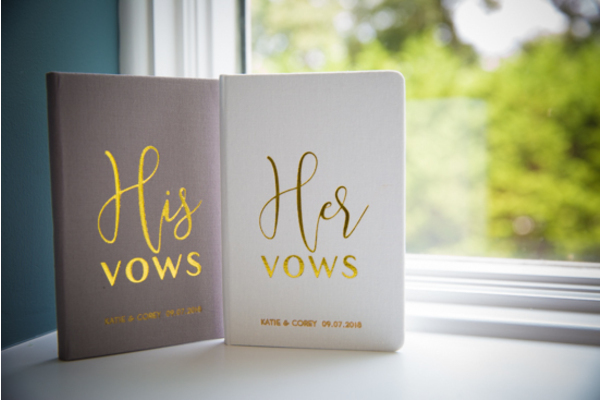 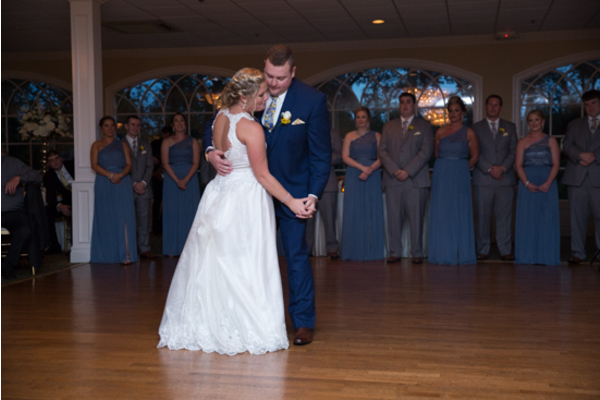 Congratulations to the lovely couple, Katie and Corey! 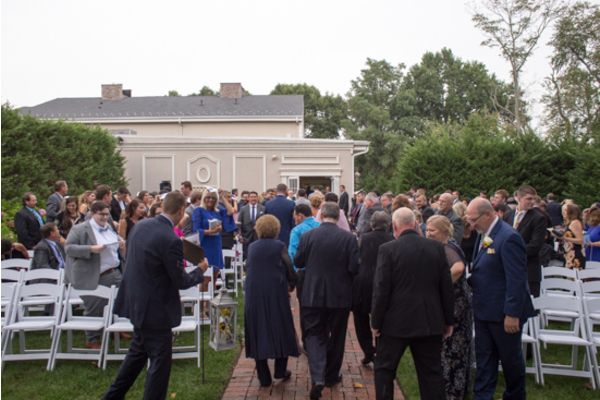 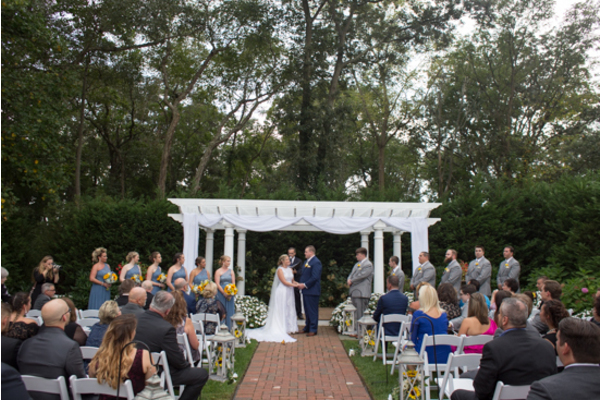 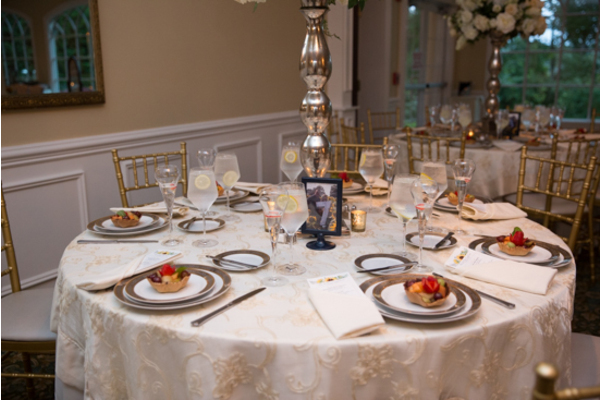 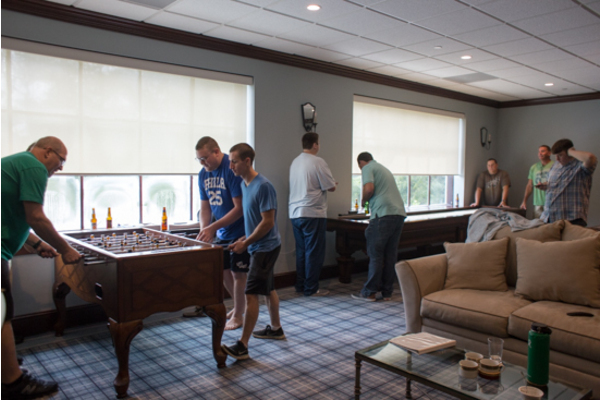 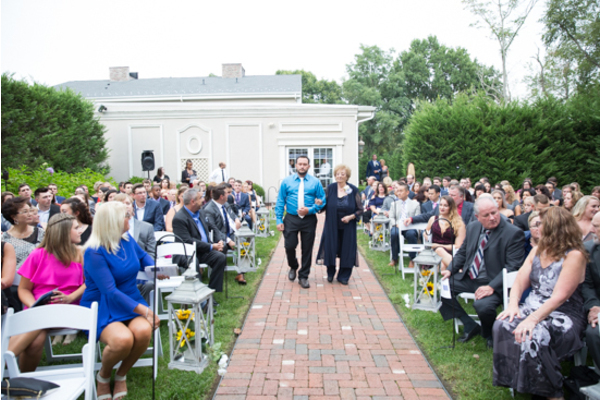 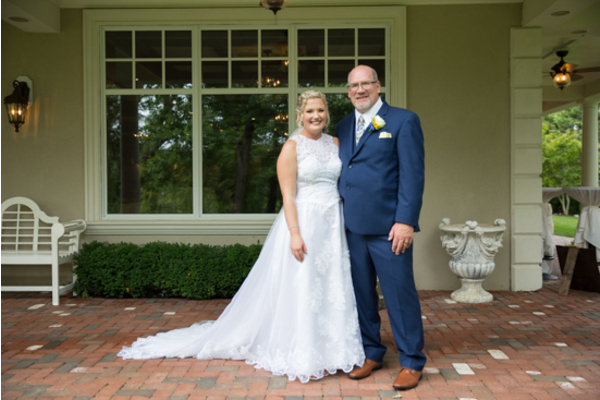 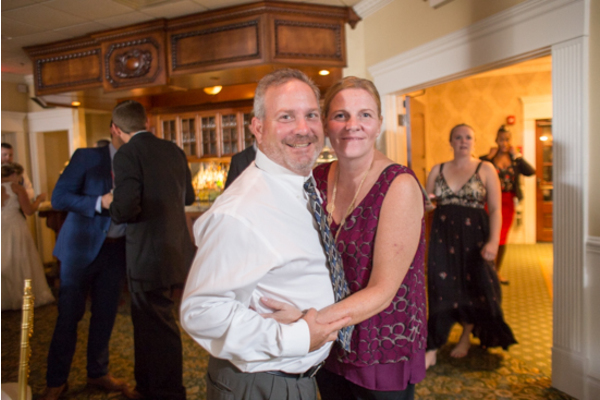 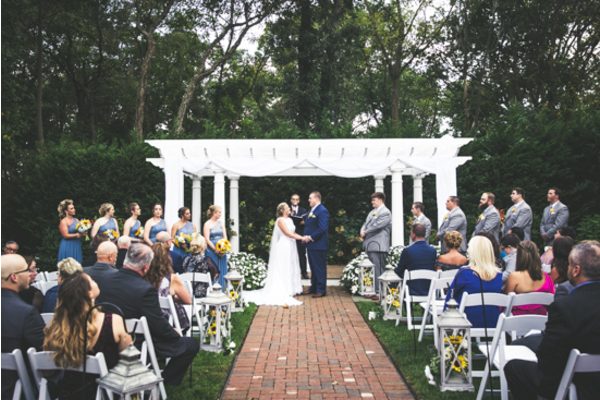 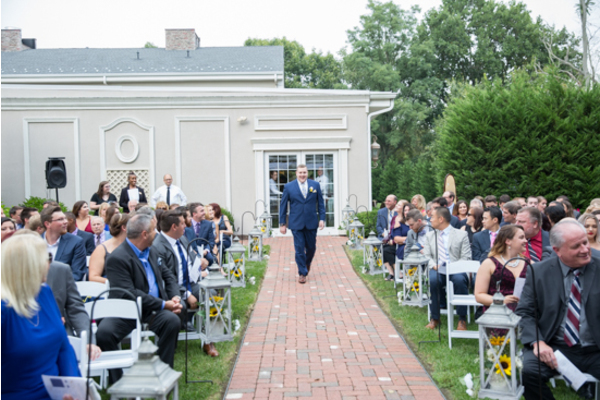 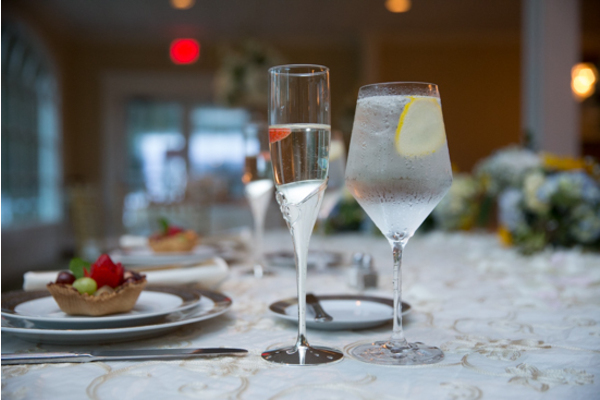 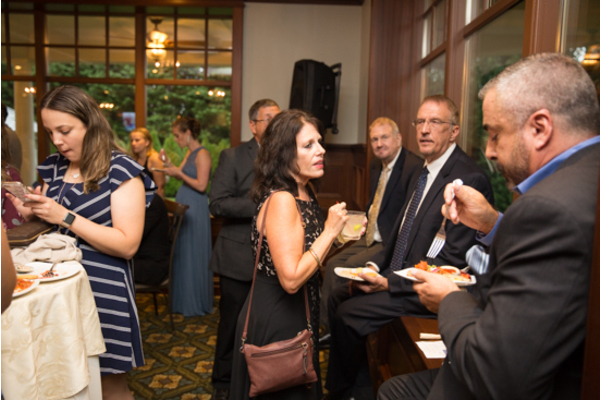 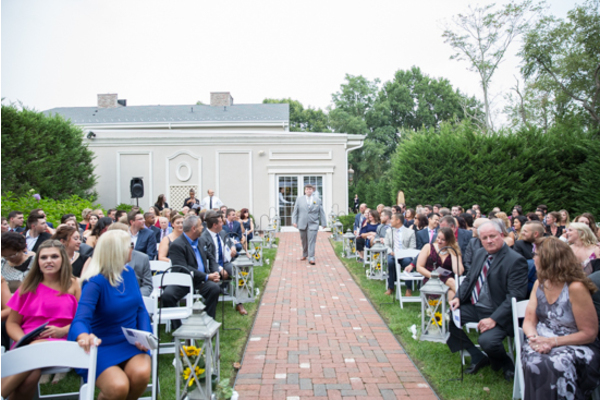 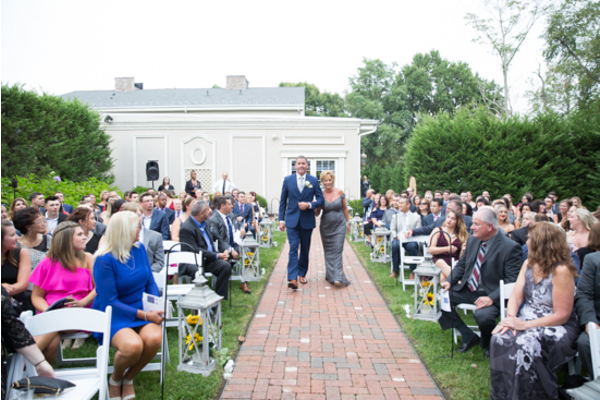 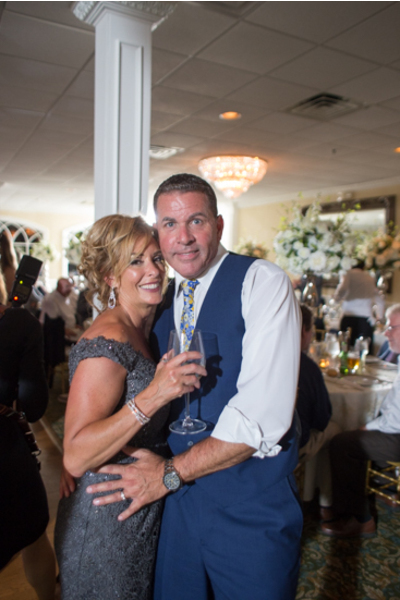 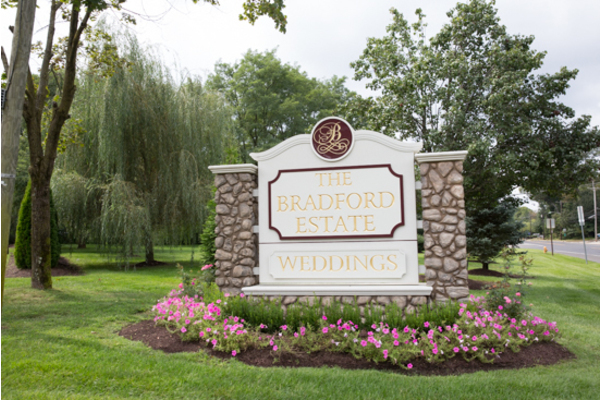 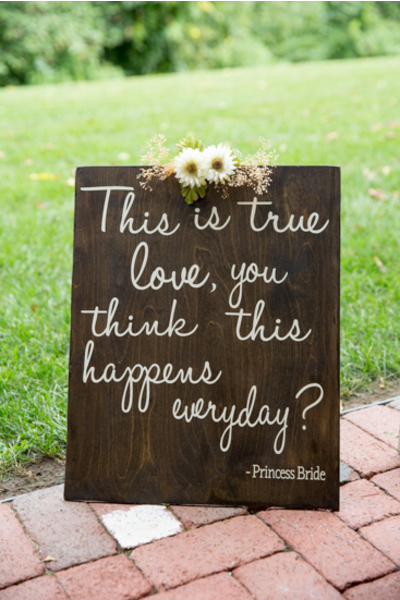 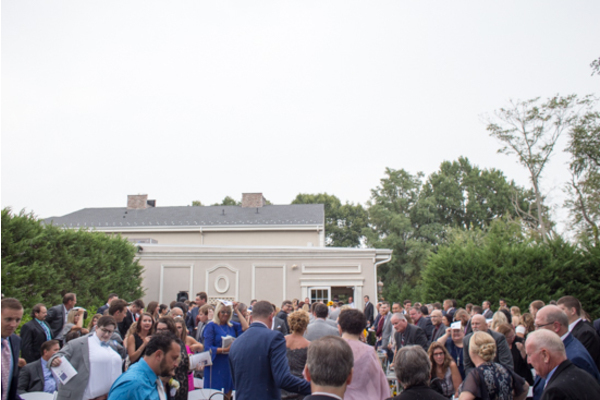 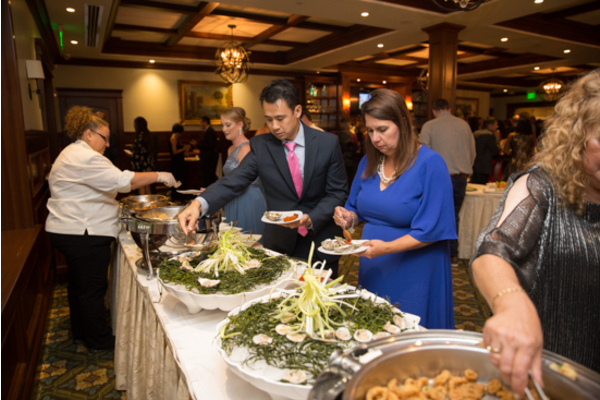 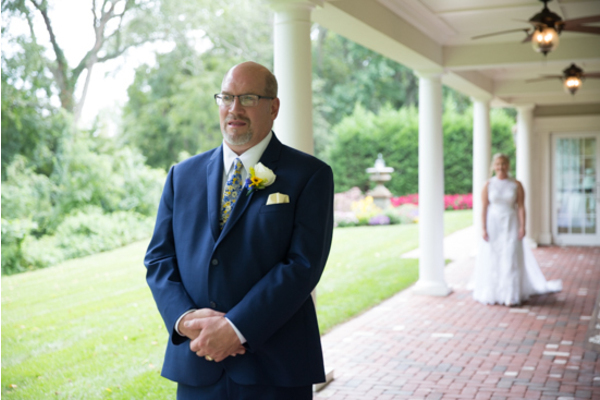 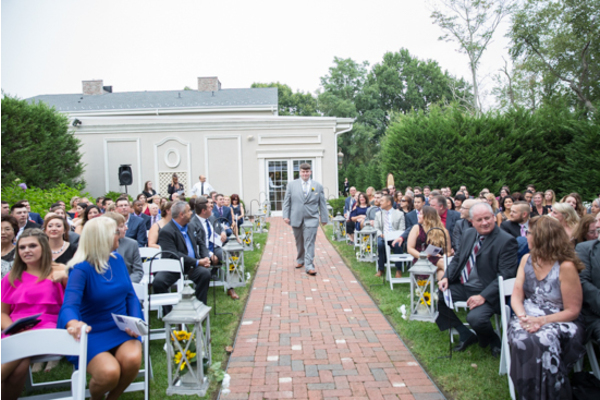 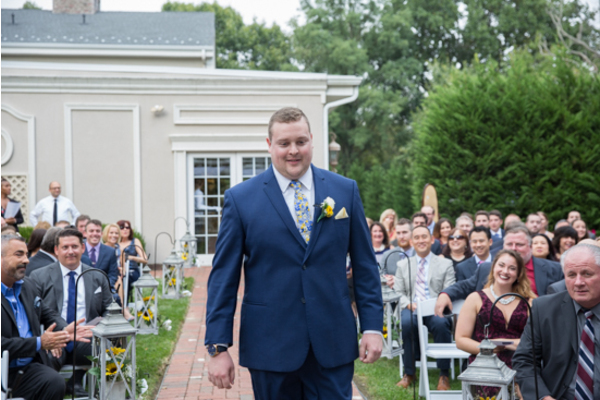 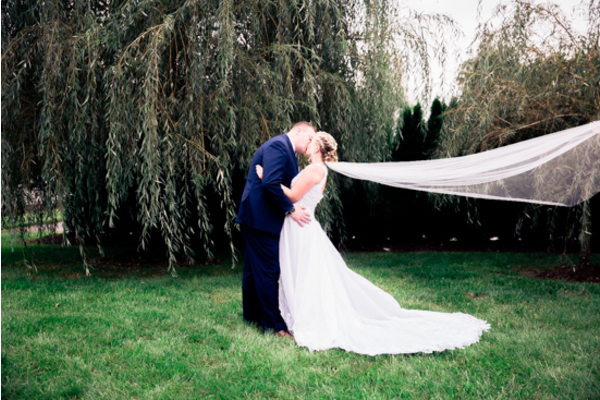 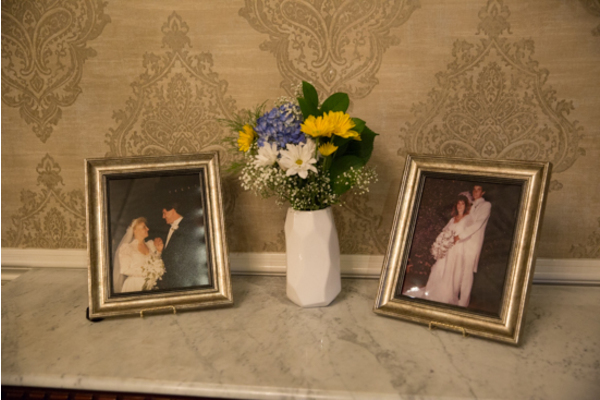 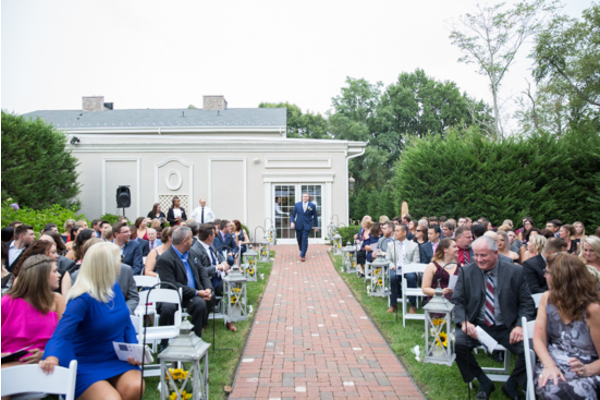 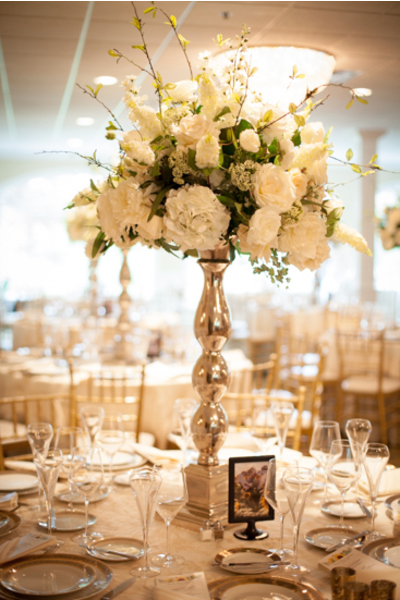 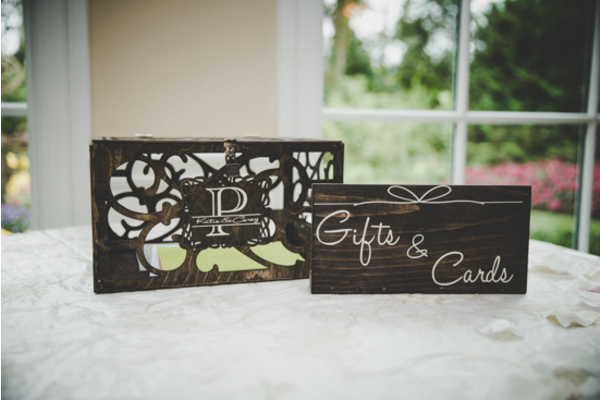 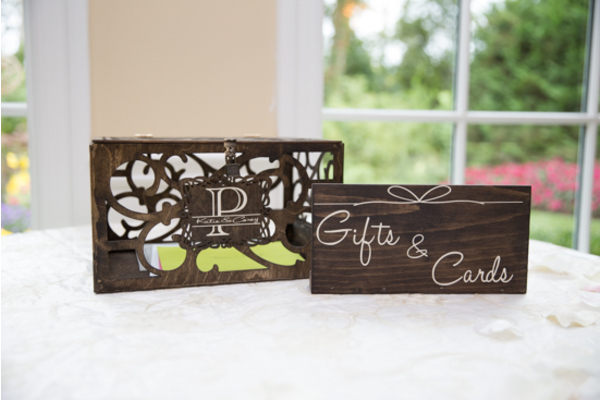 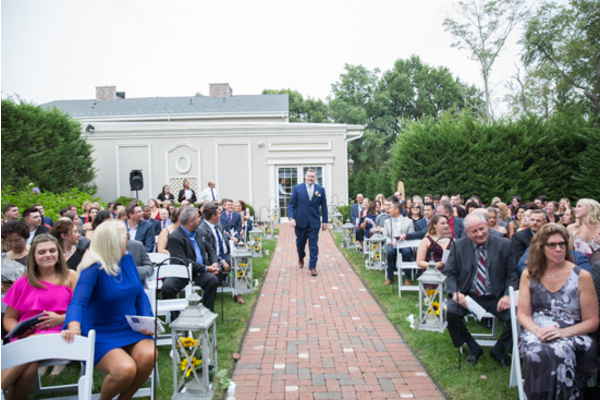 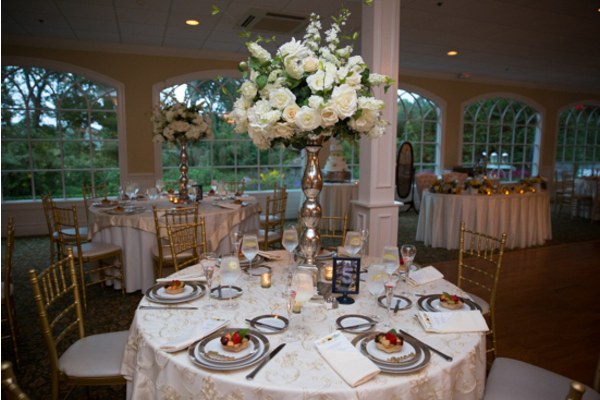 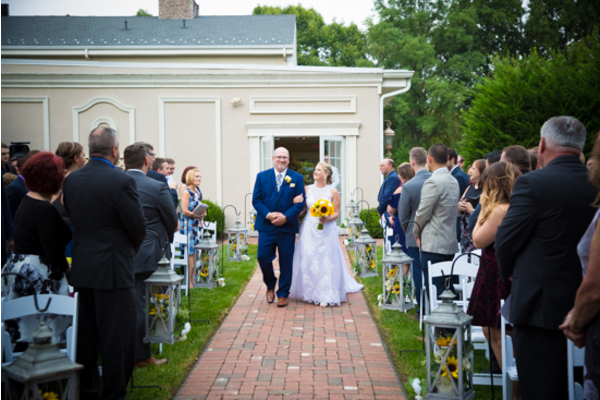 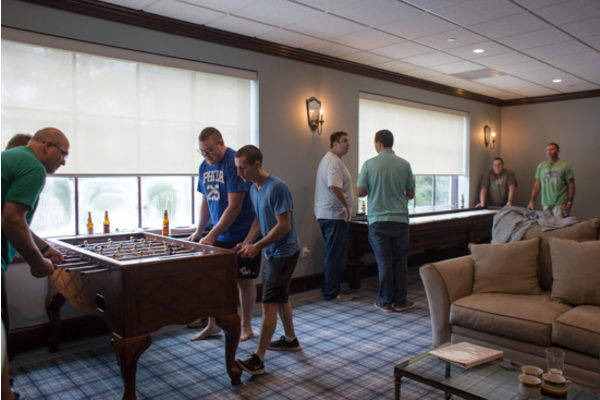 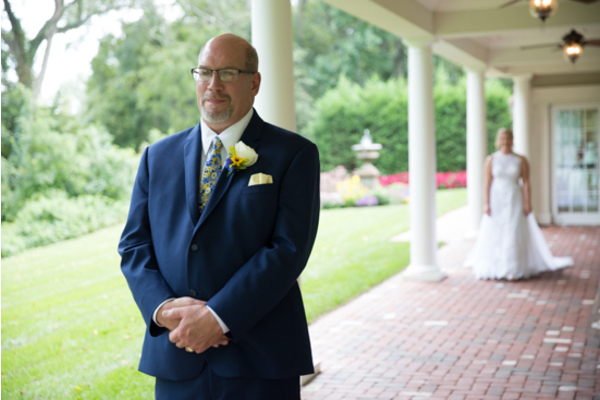 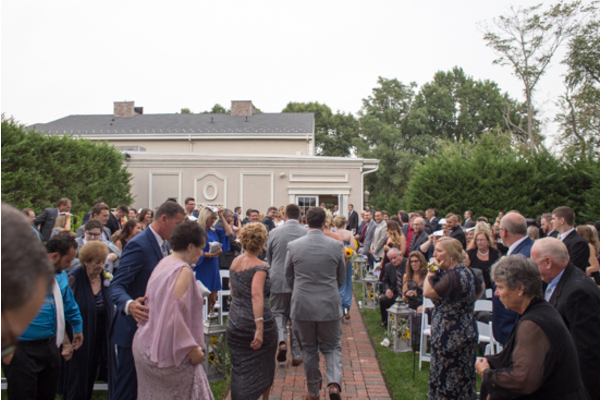 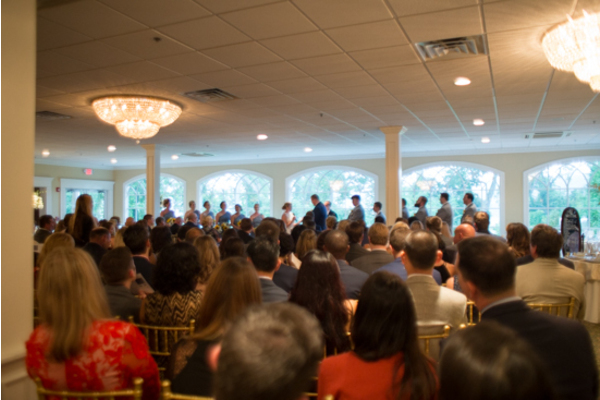 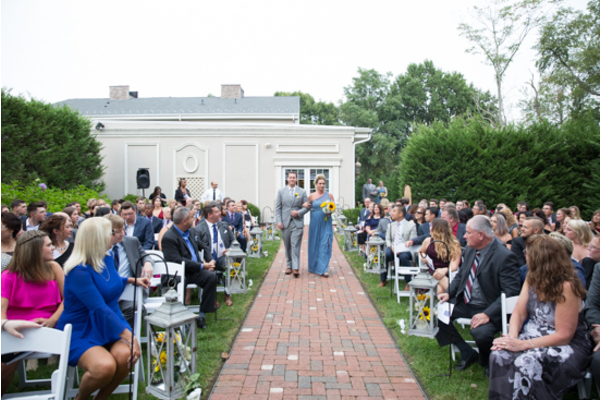 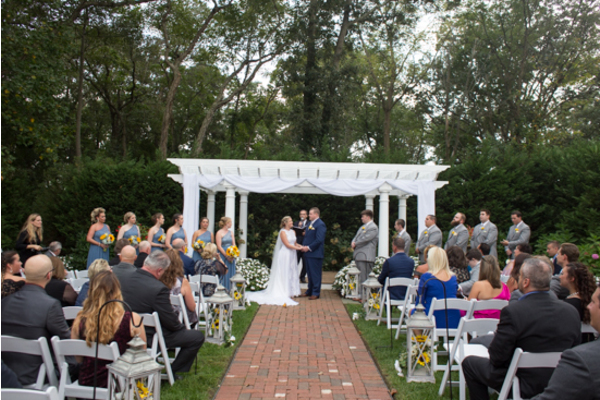 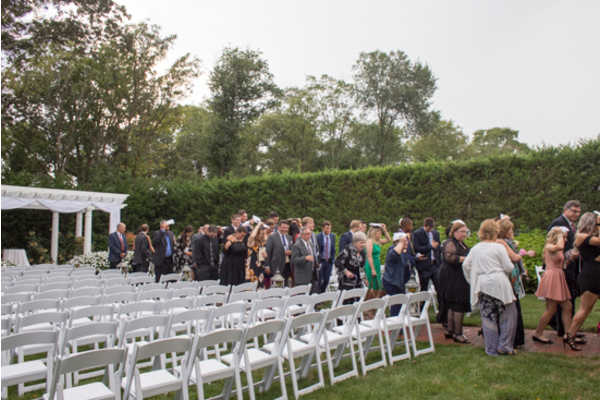 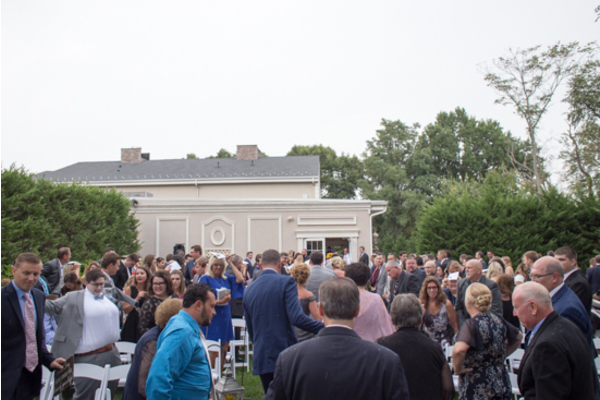 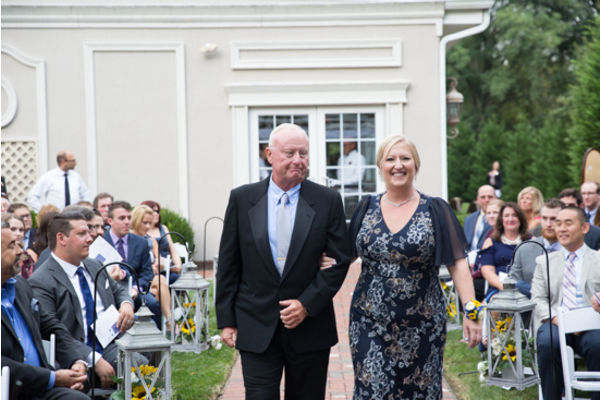 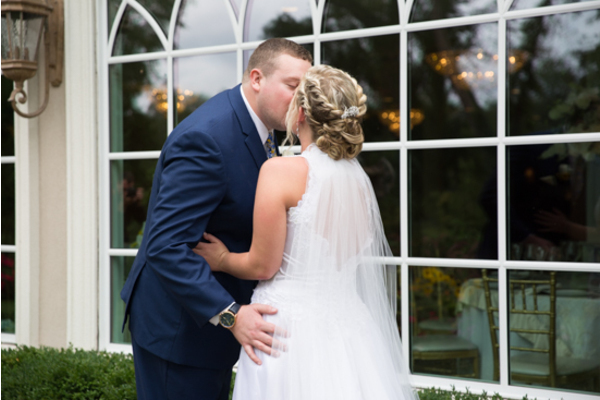 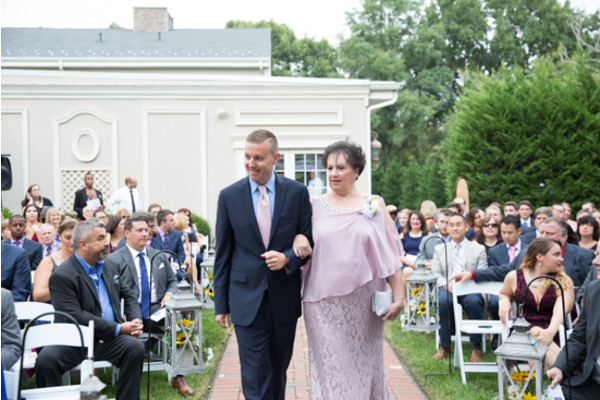 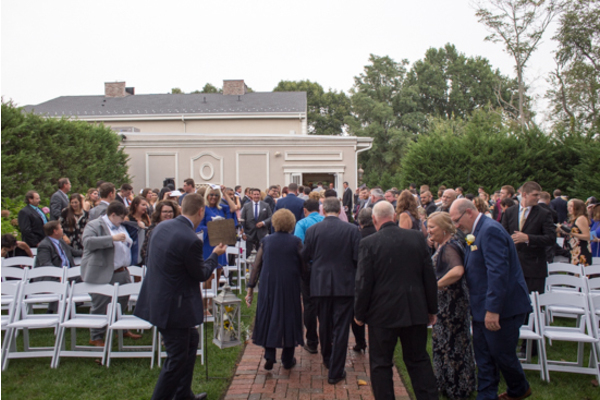 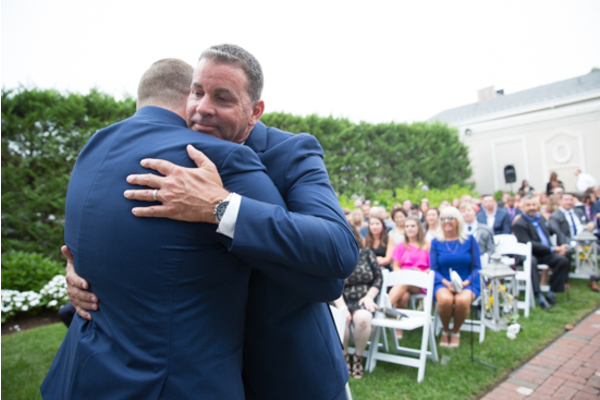 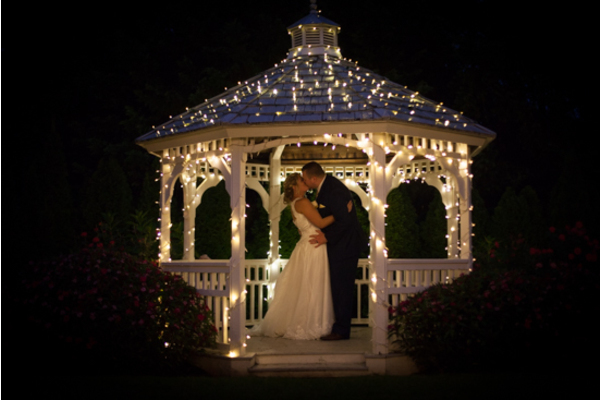 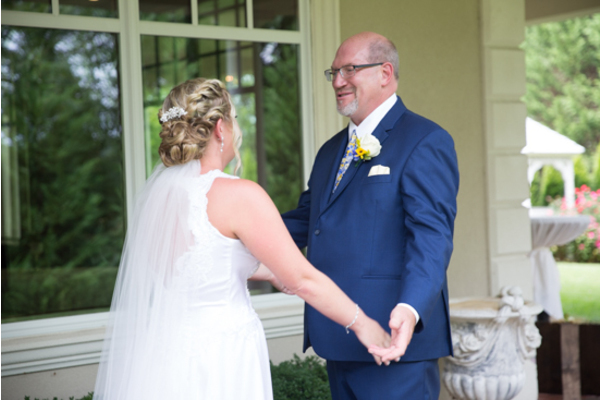 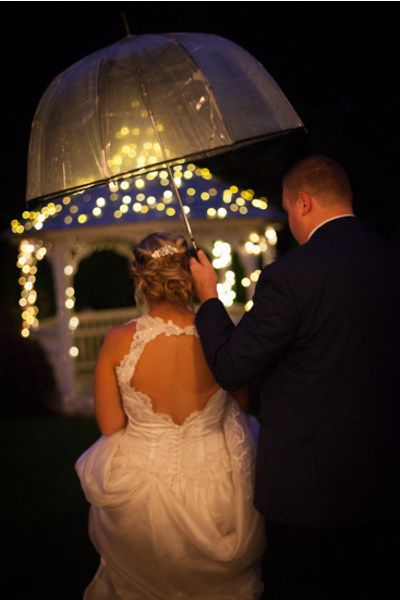 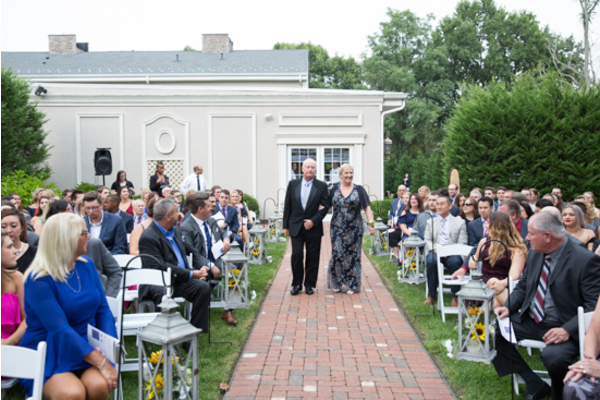 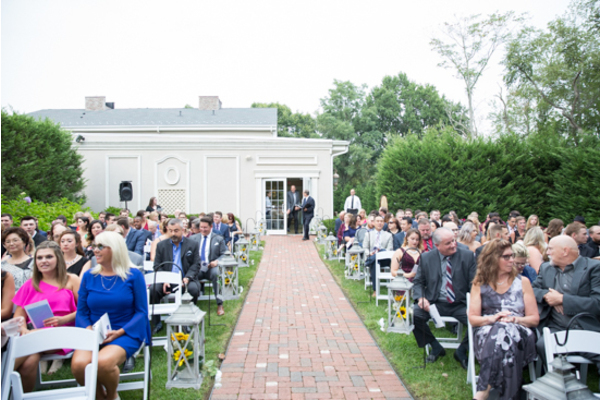 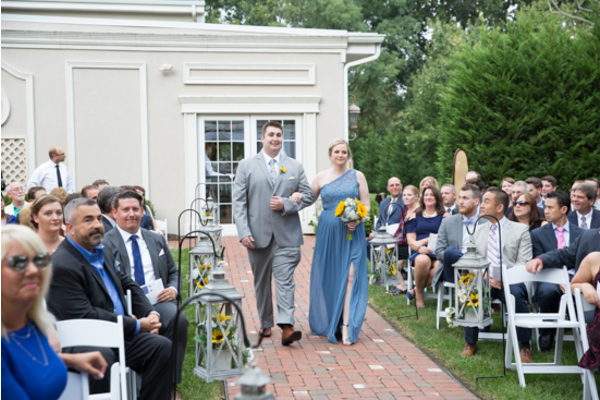 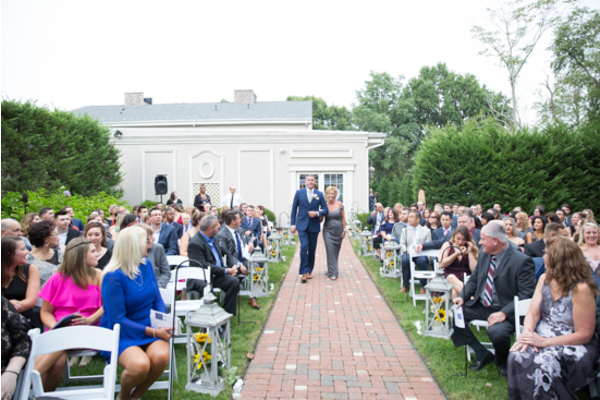 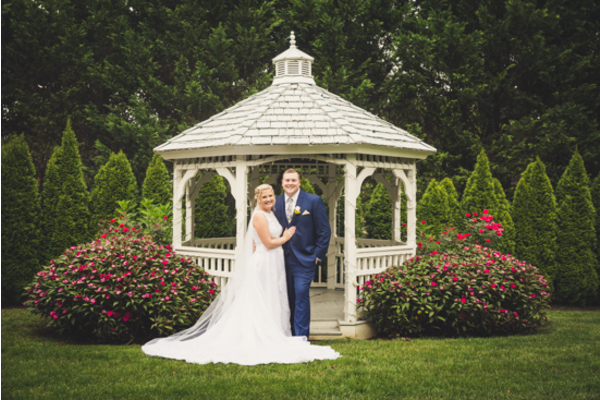 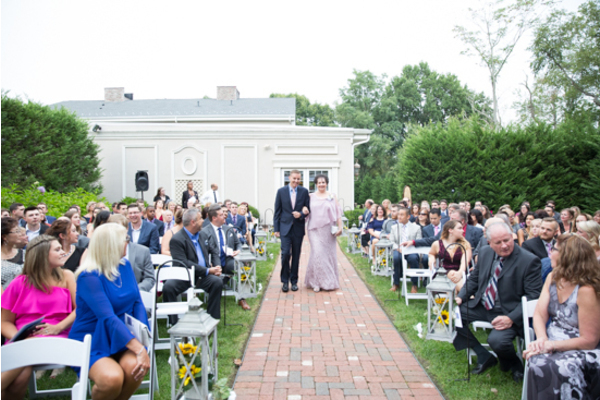 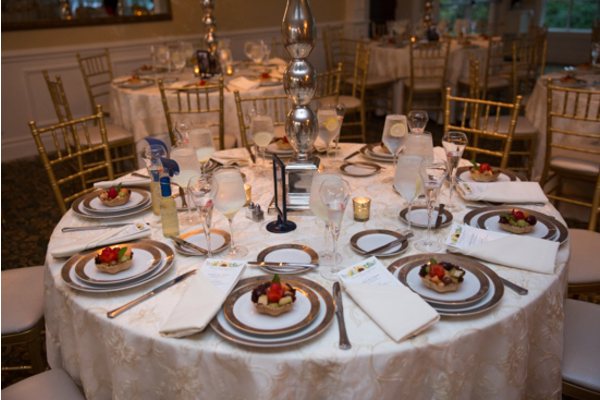 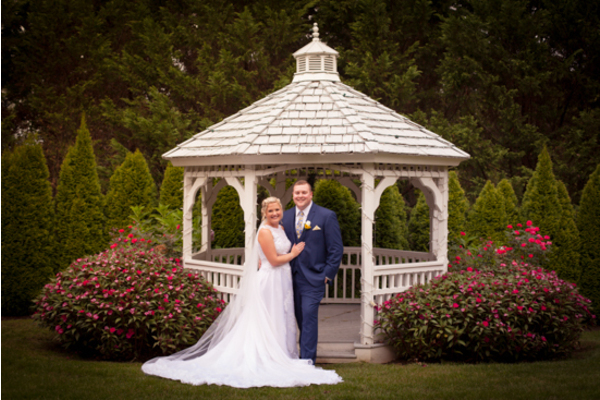 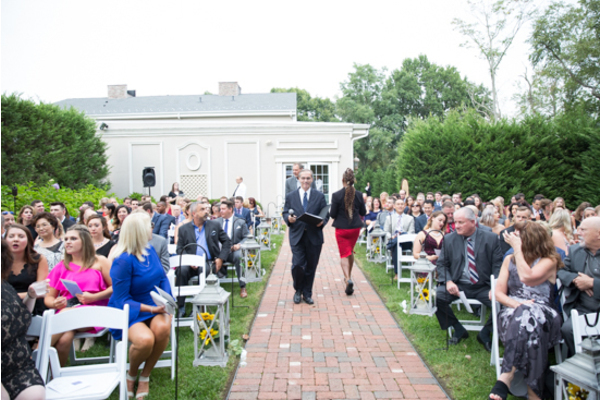 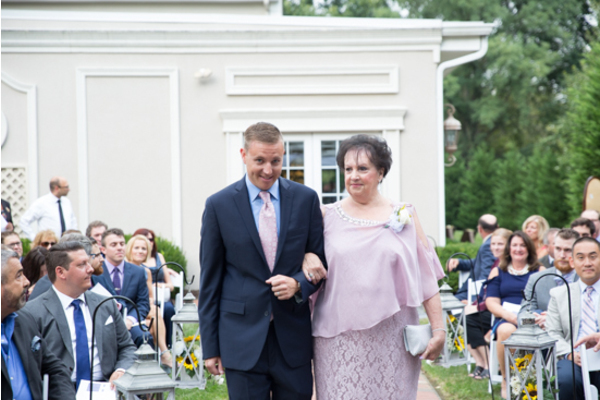 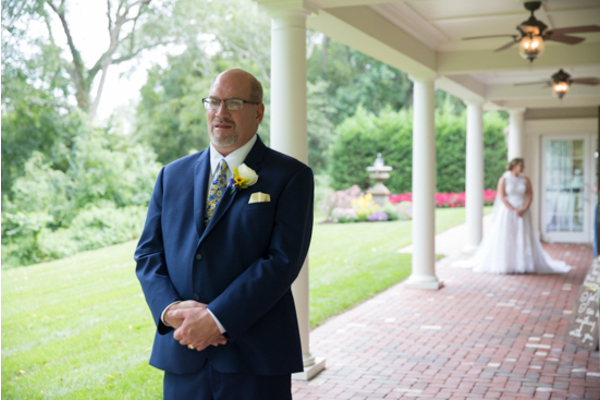 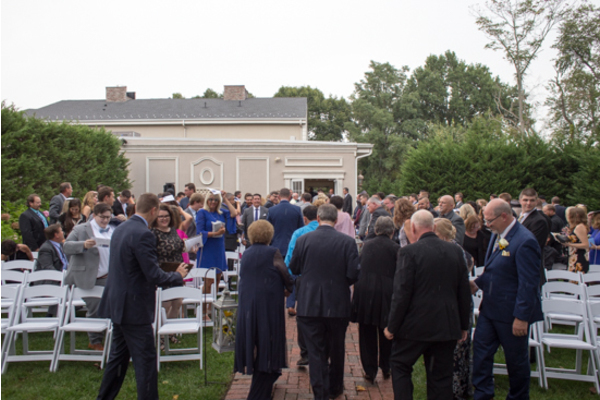 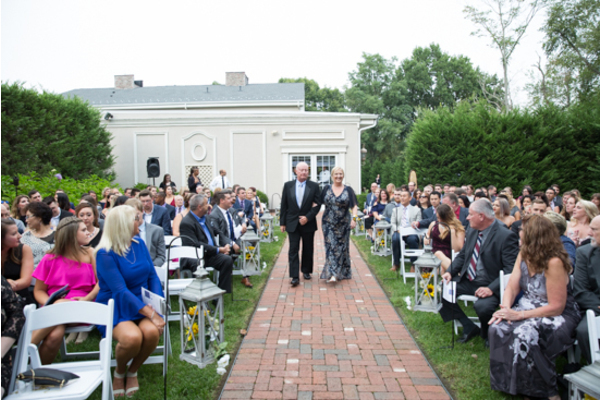 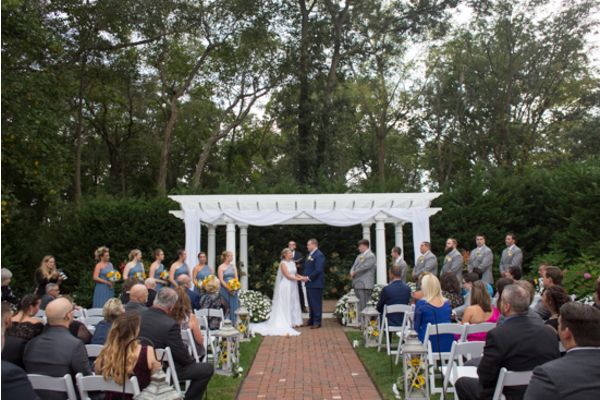 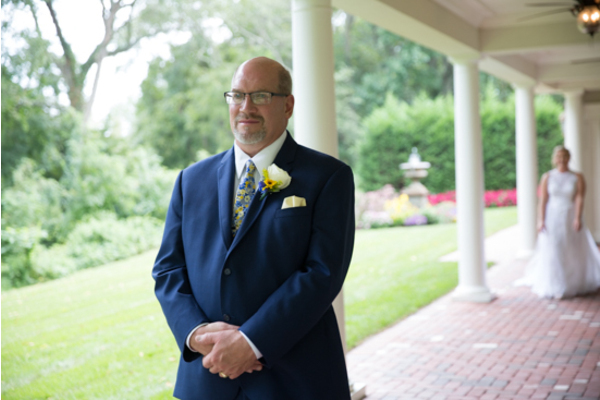 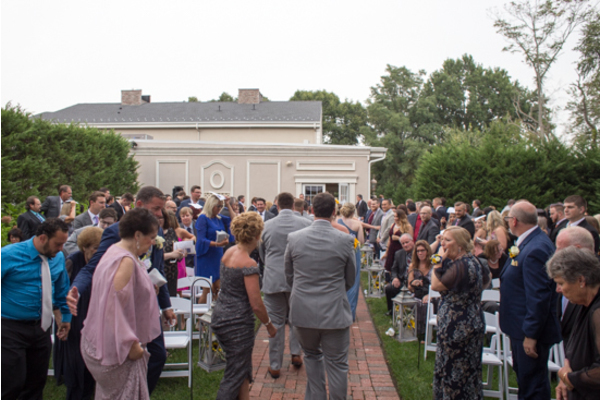 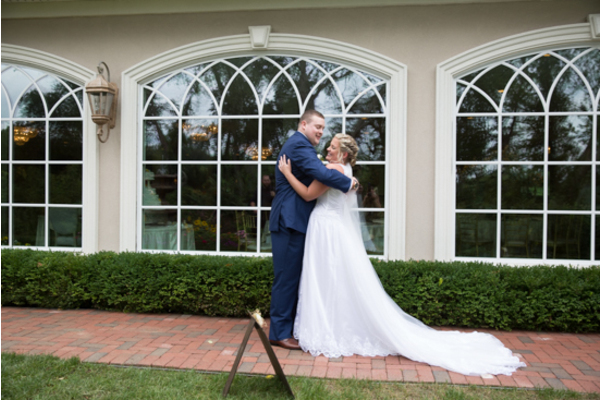 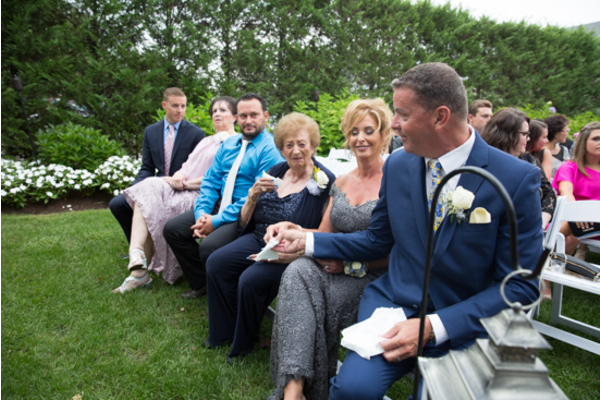 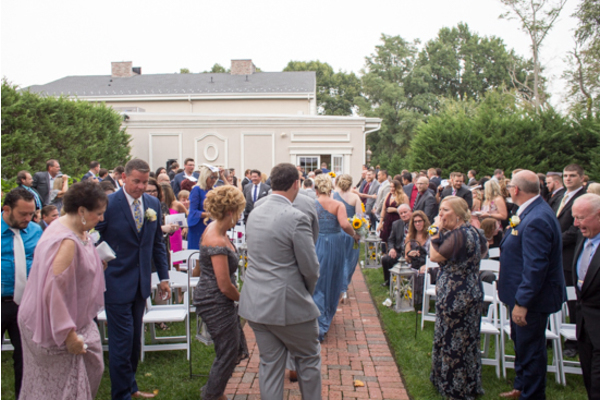 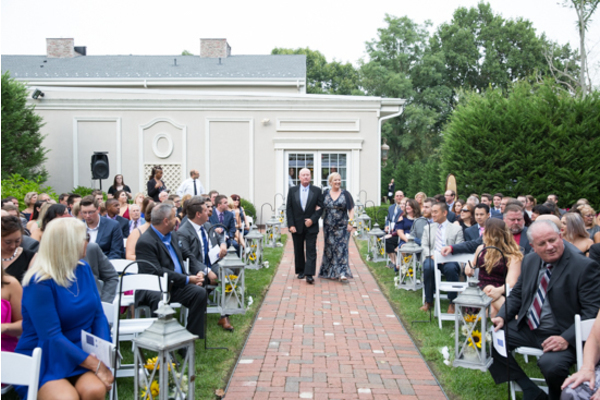 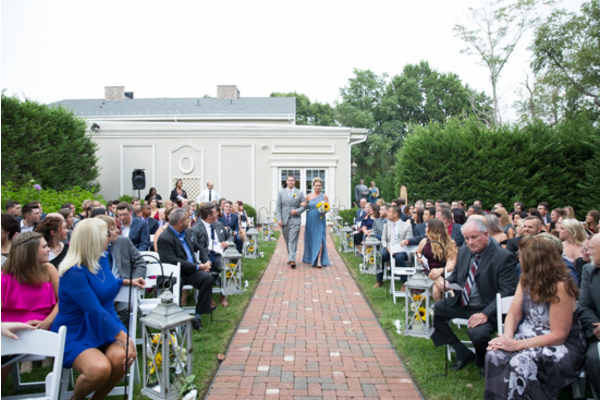 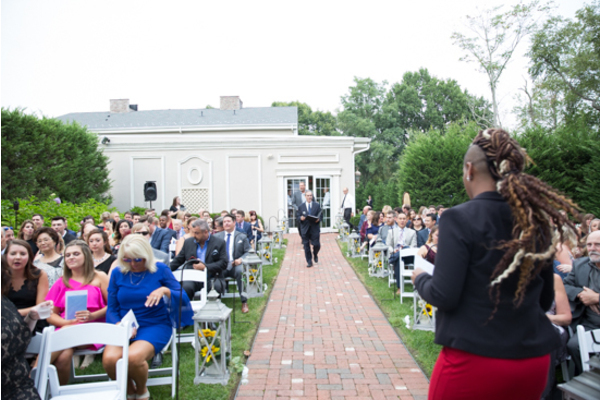 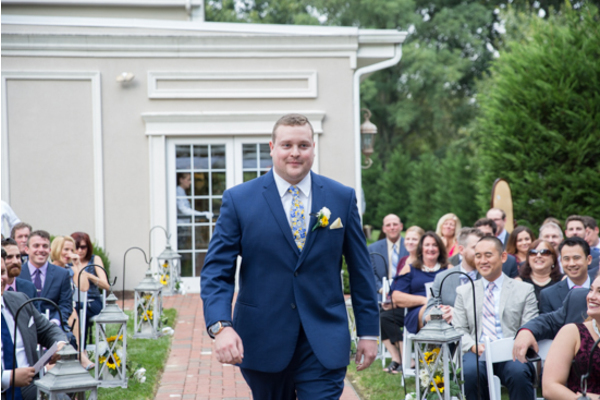 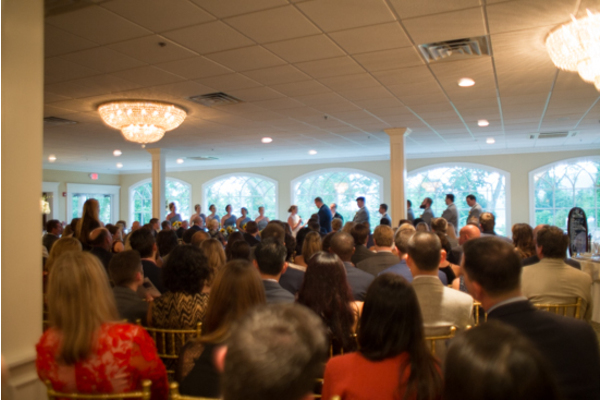 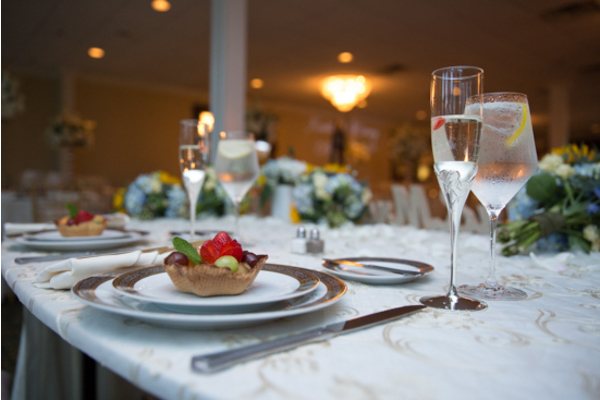 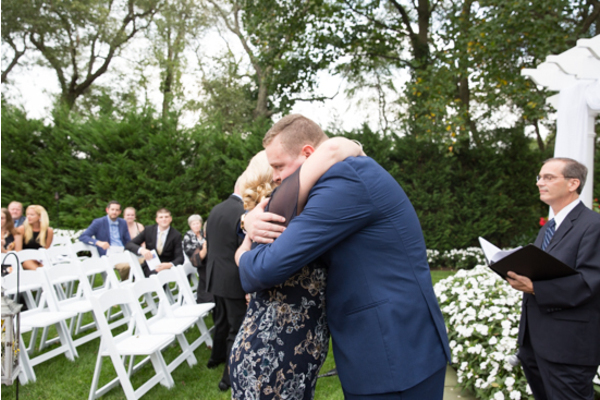 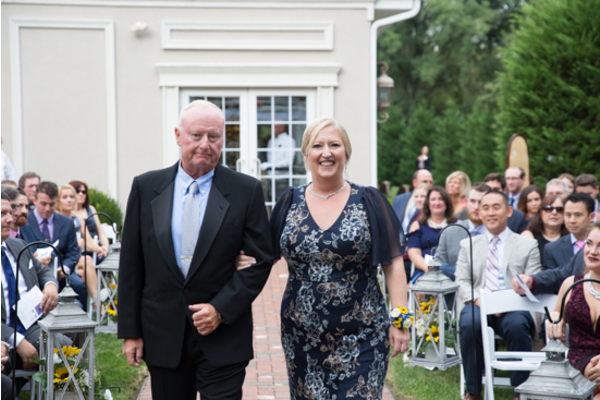 They tied the knot on September 7th, 2018 at the beautiful Bradford Estate in Hainesport, NJ! 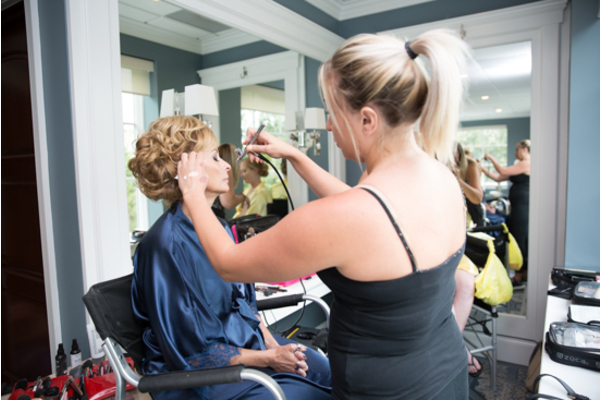 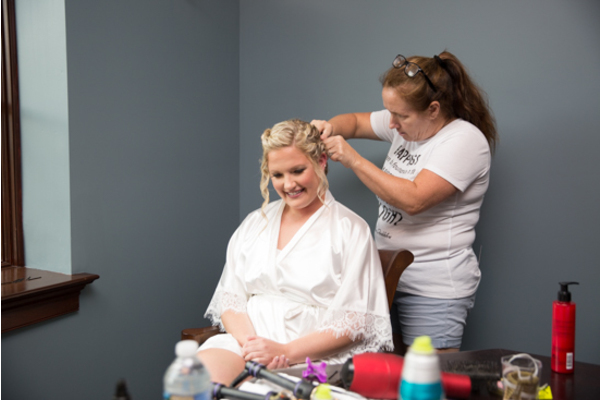 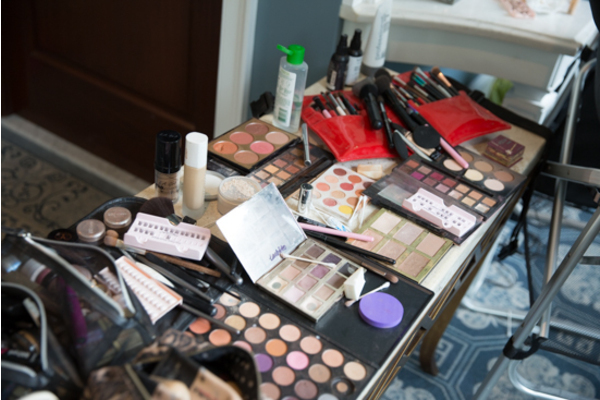 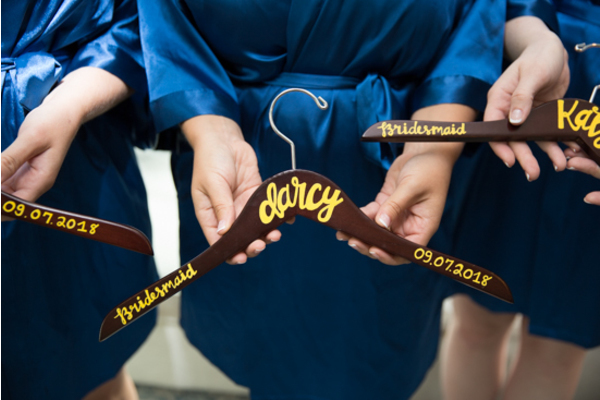 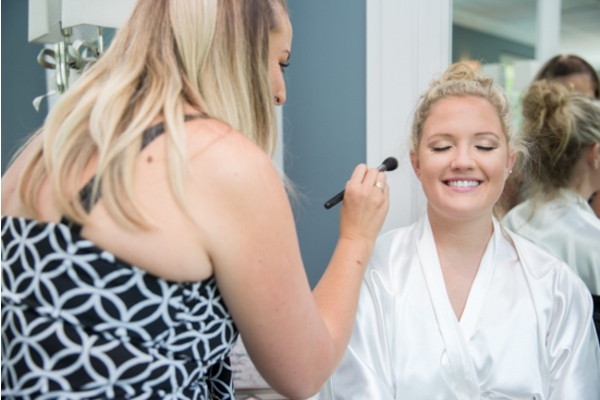 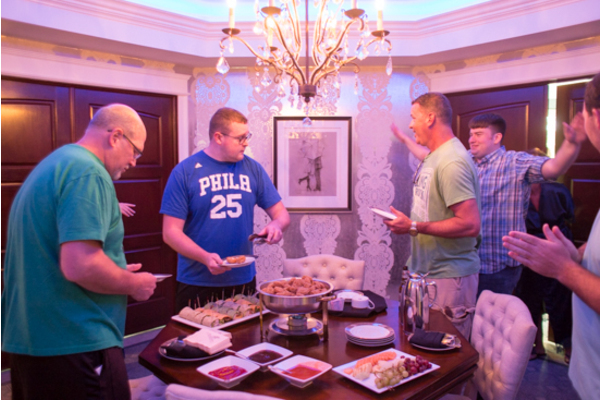 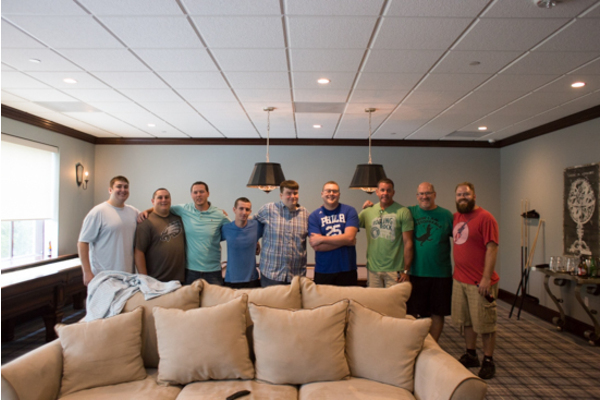 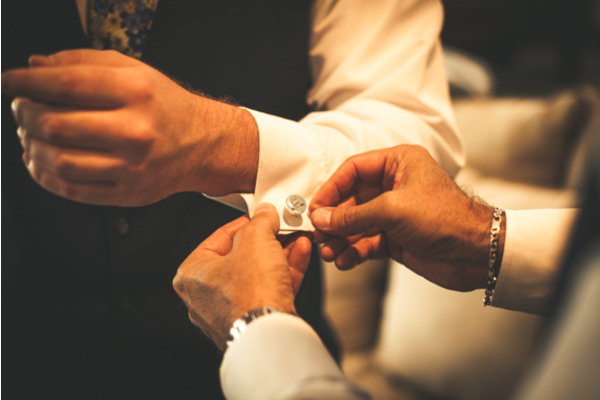 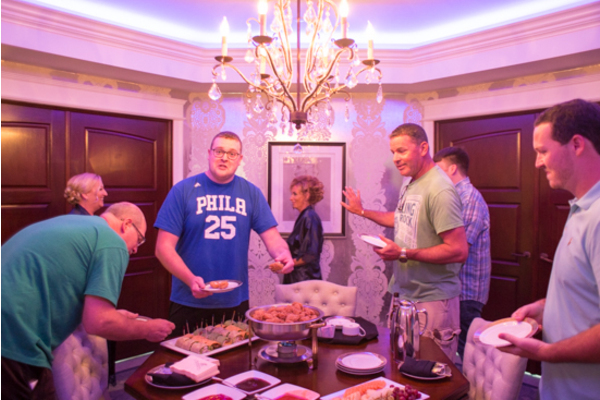 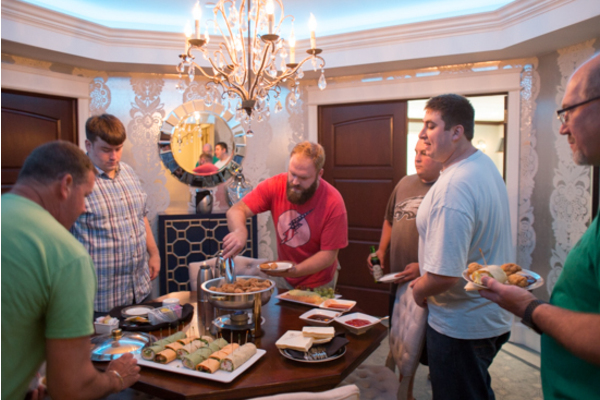 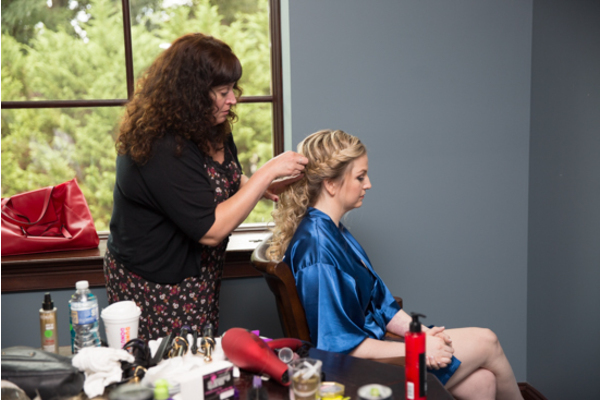 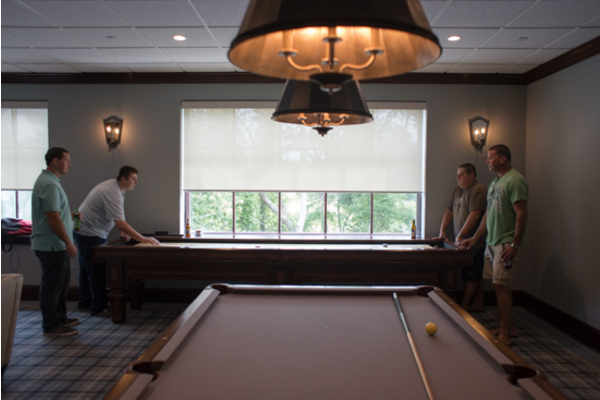 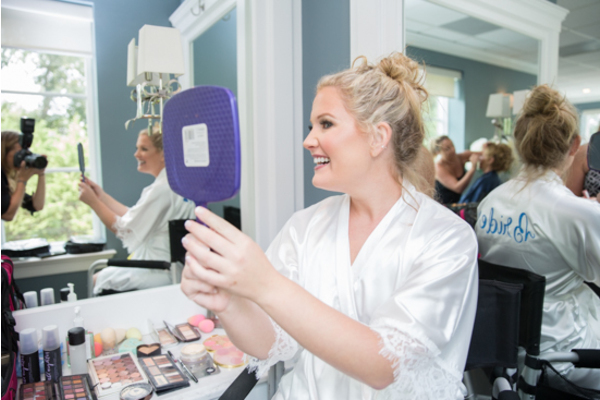 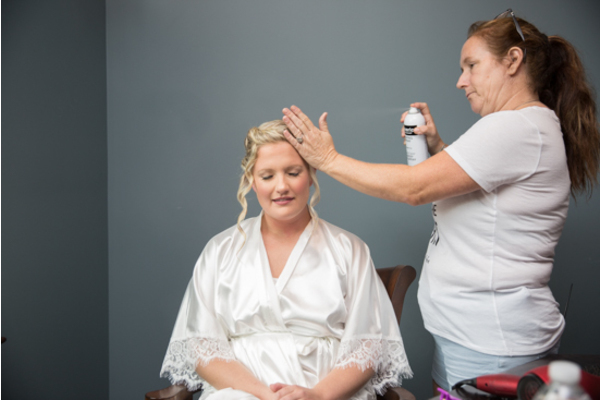 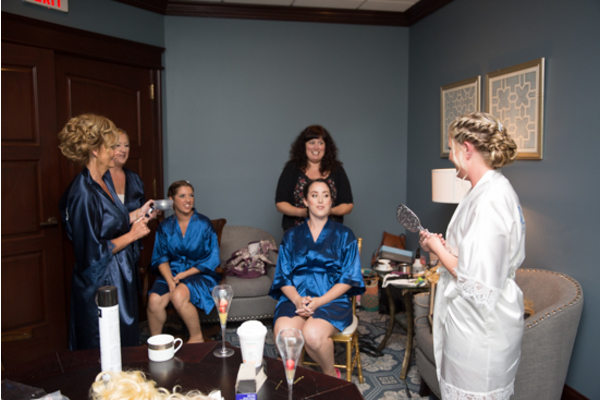 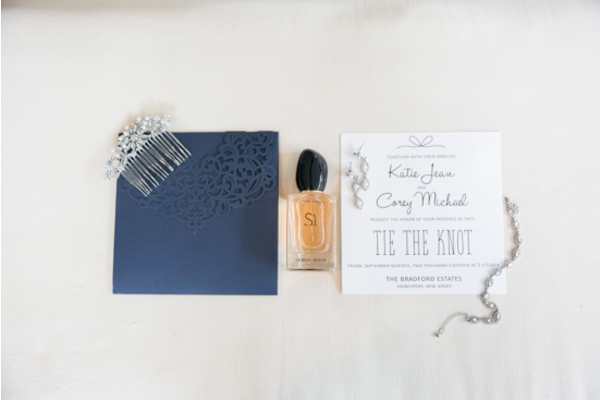 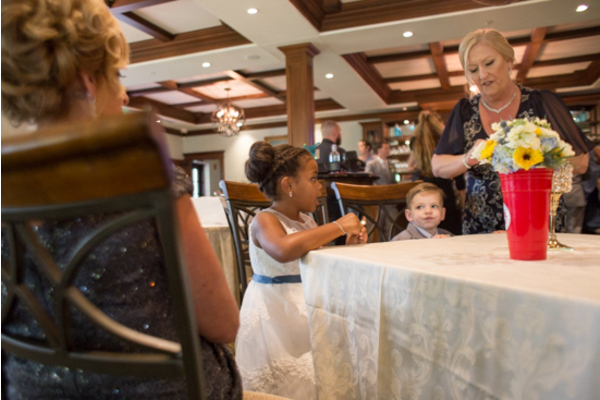 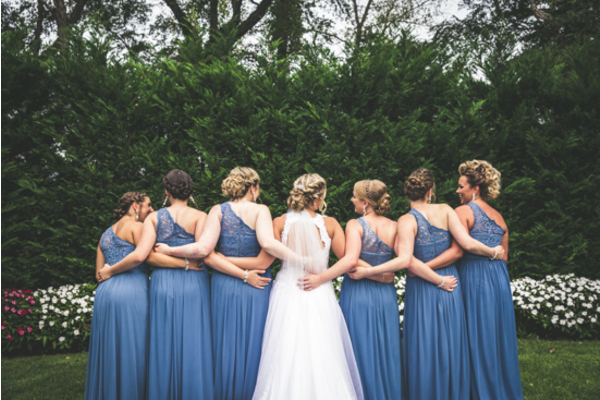 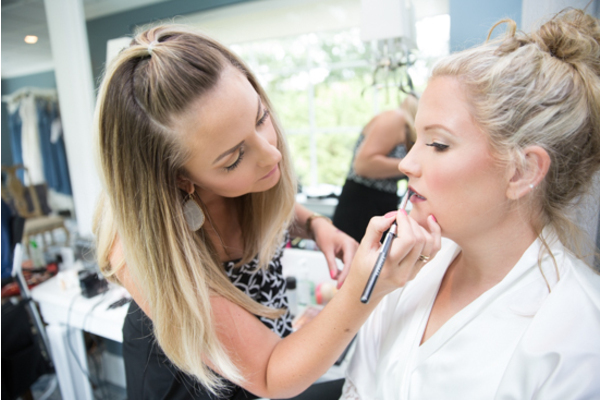 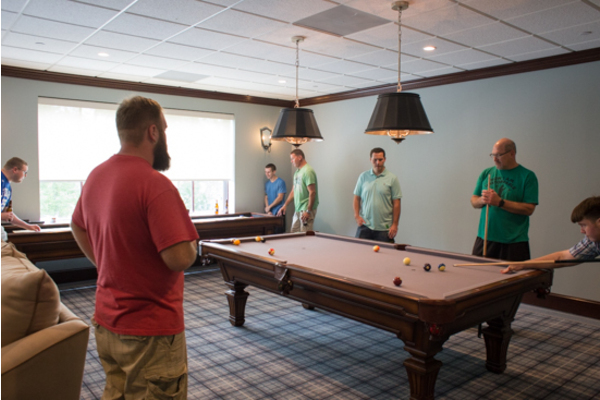 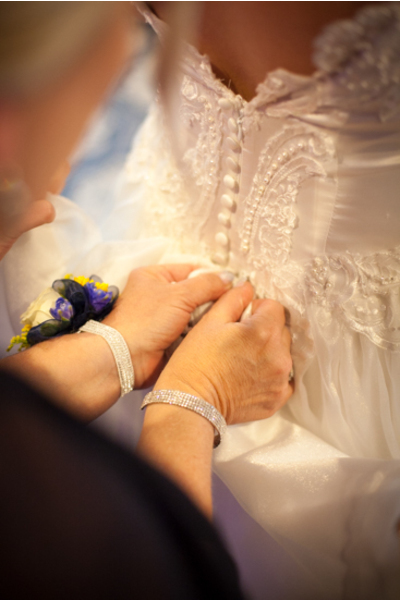 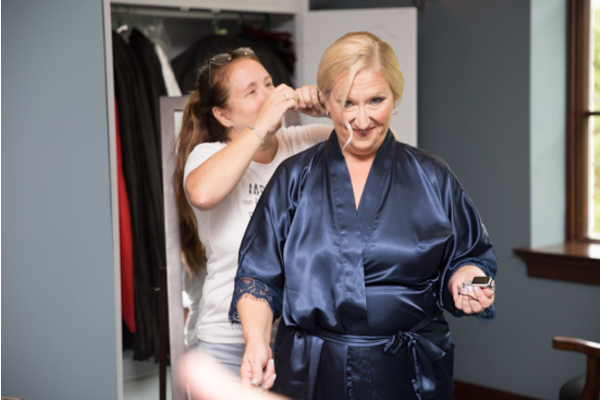 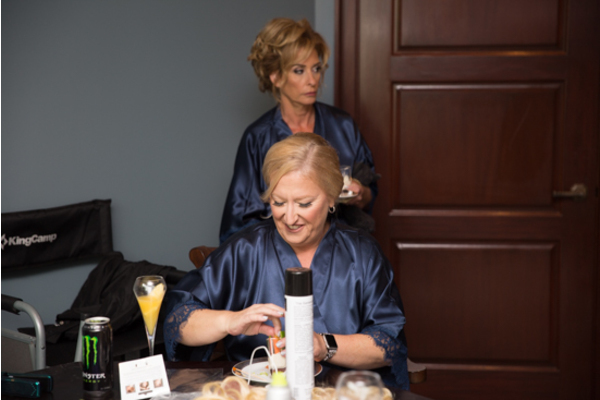 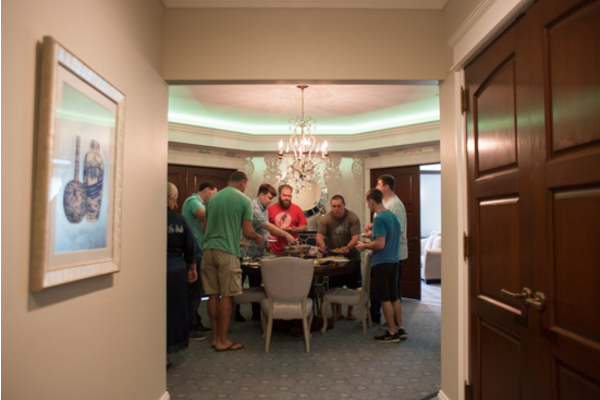 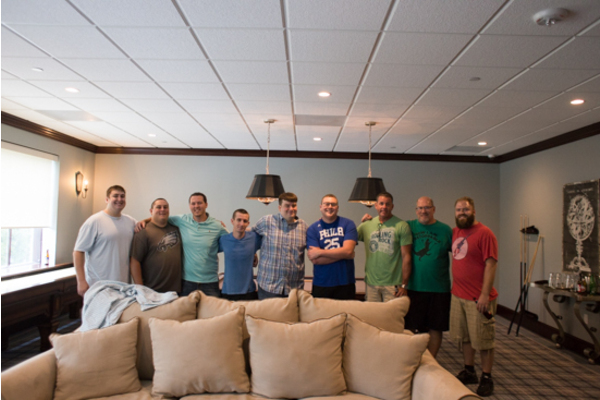 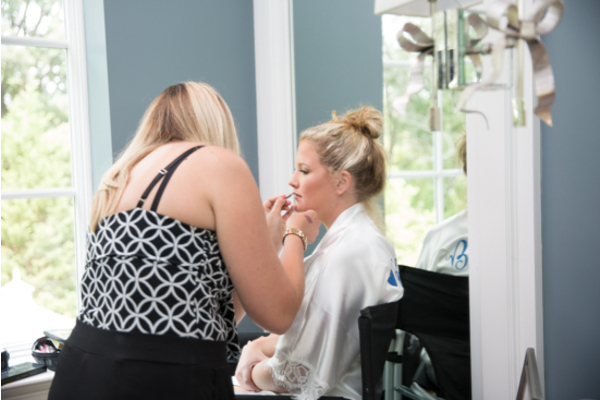 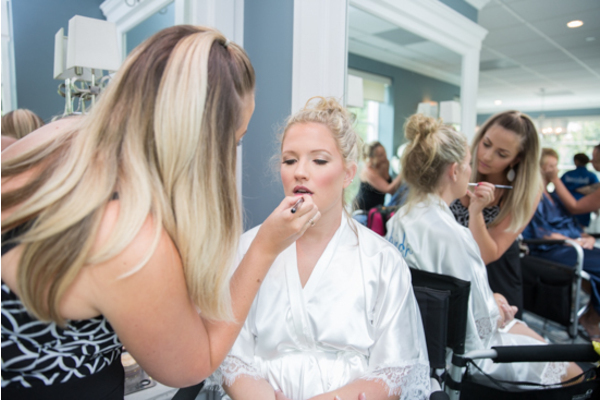 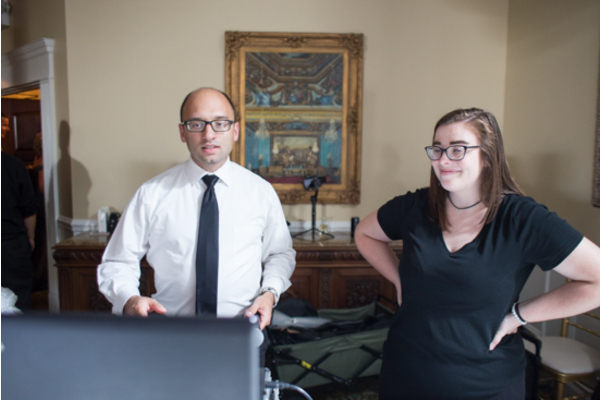 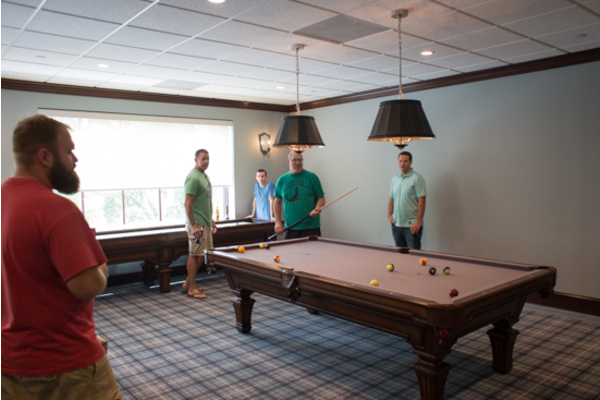 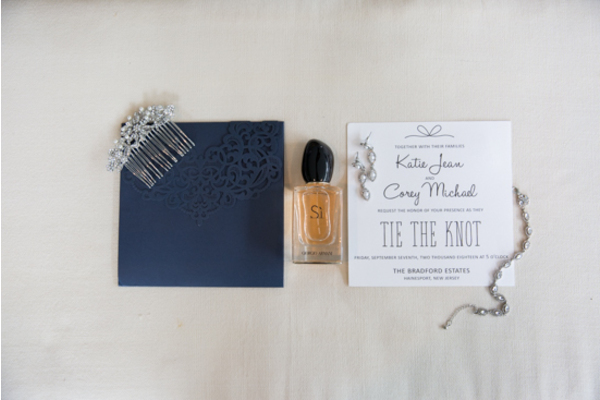 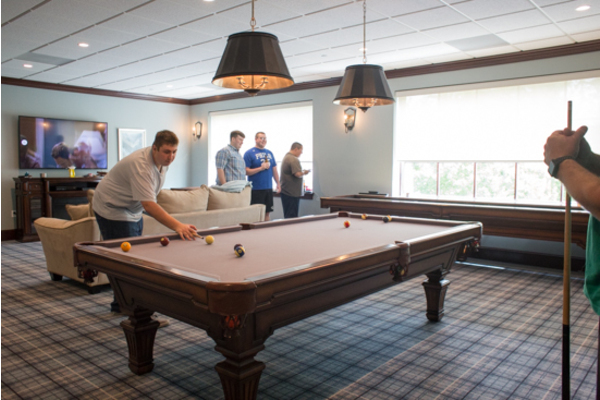 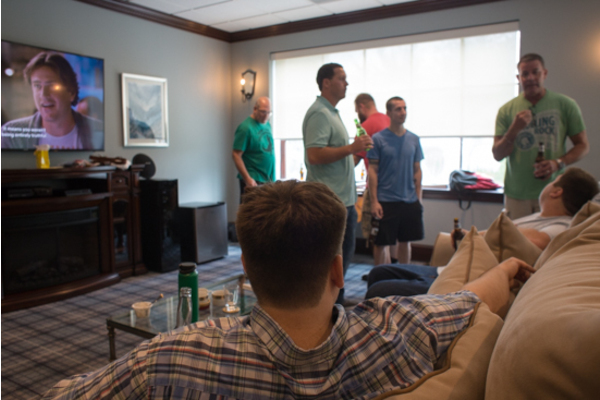 First, this couple started off their memorable day by getting ready with the help of family and friends. 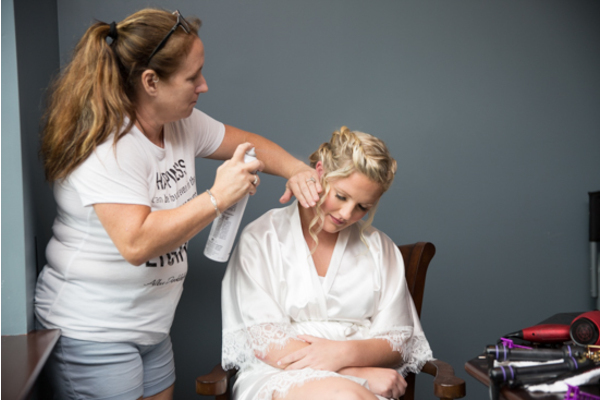 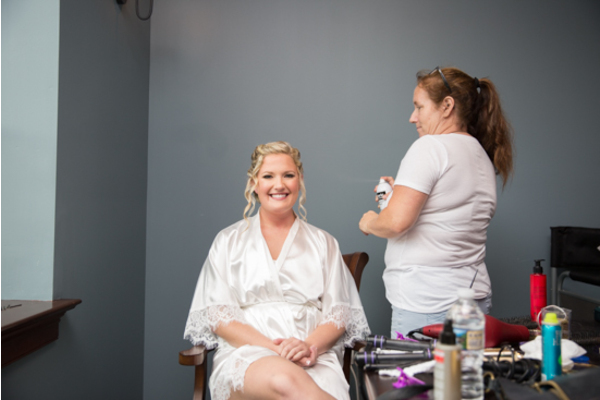 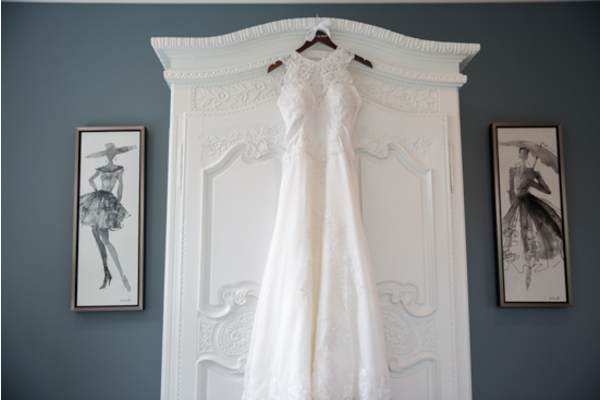 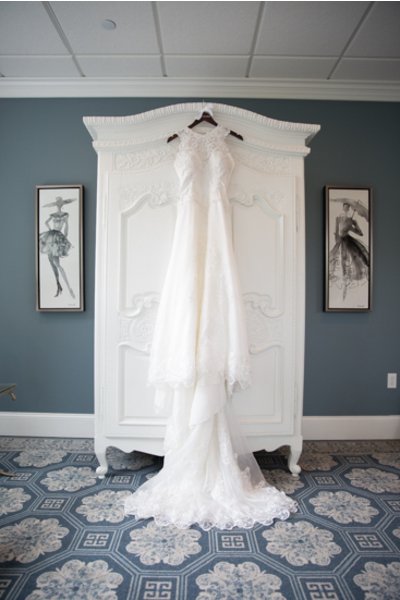 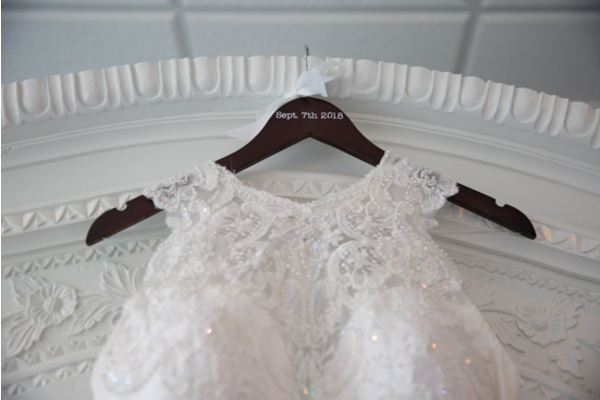 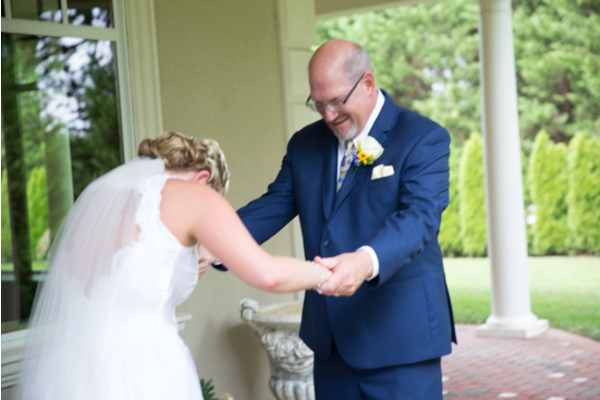 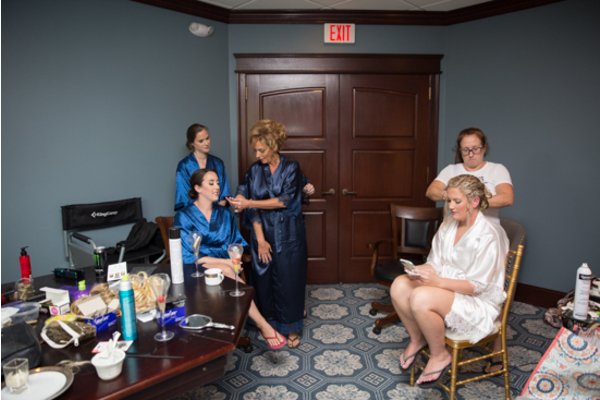 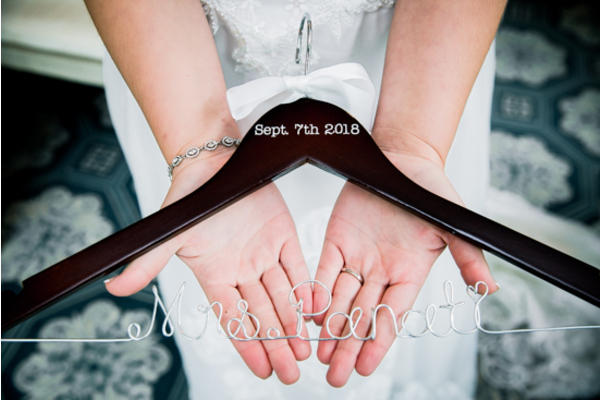 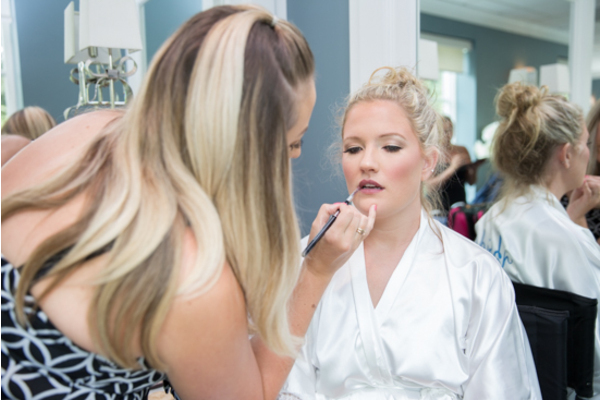 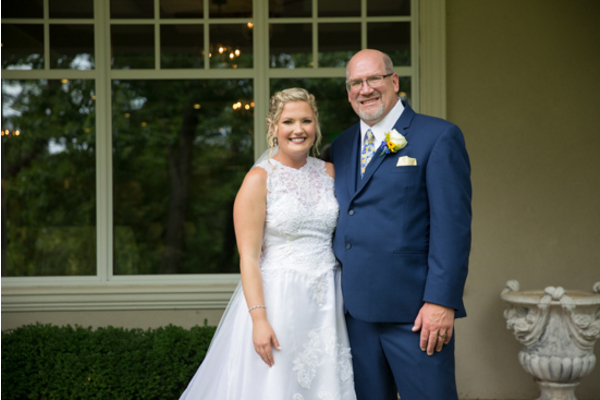 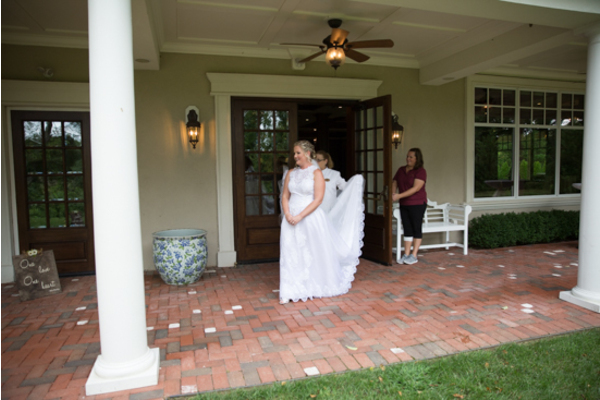 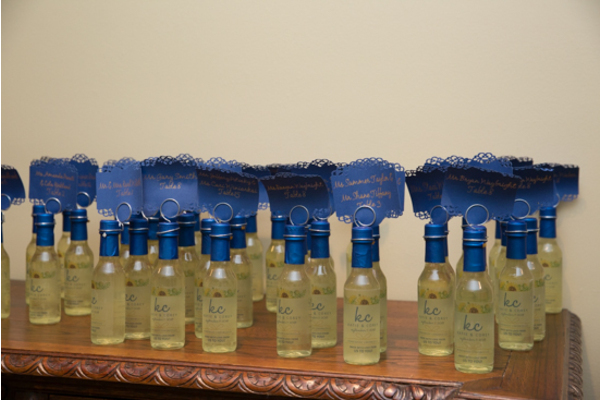 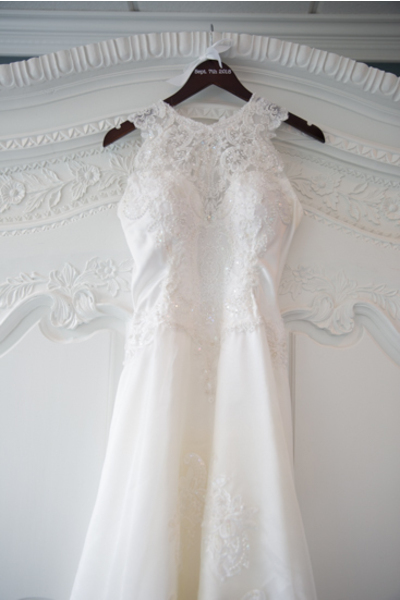 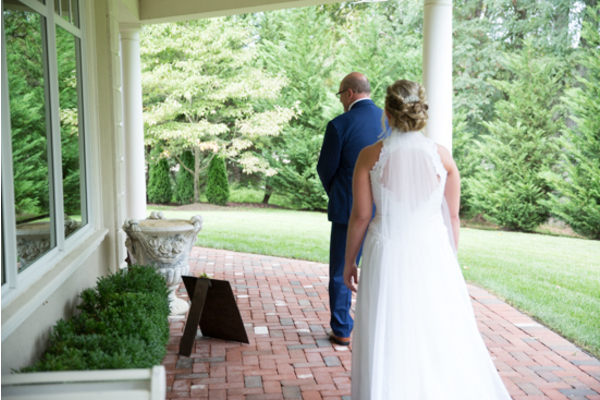 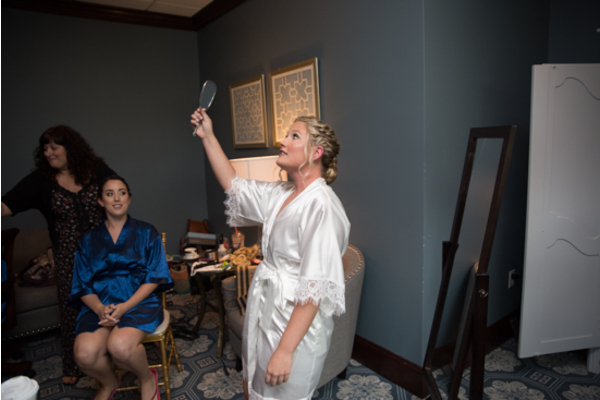 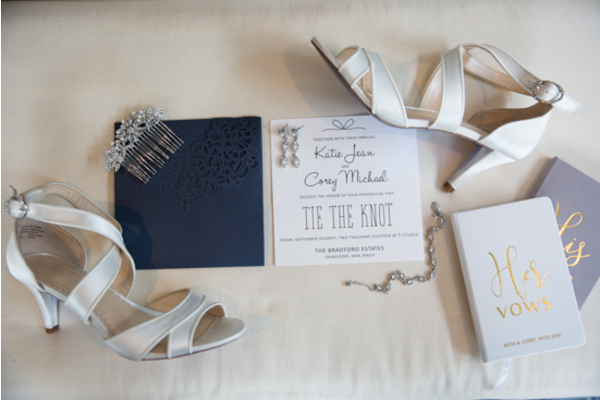 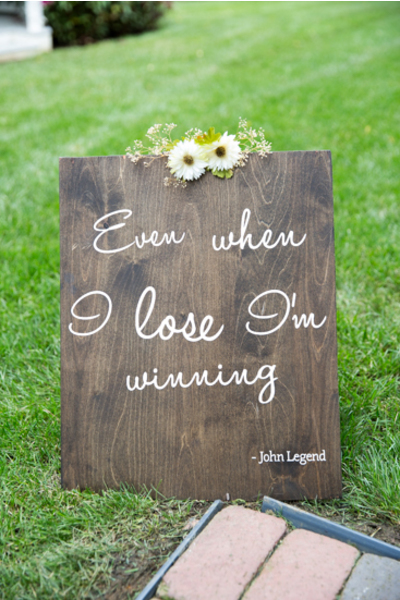 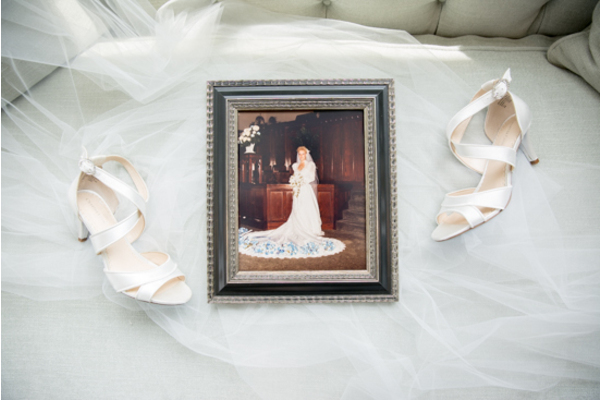 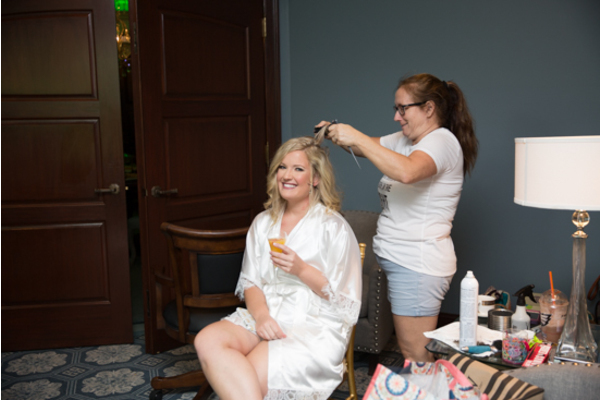 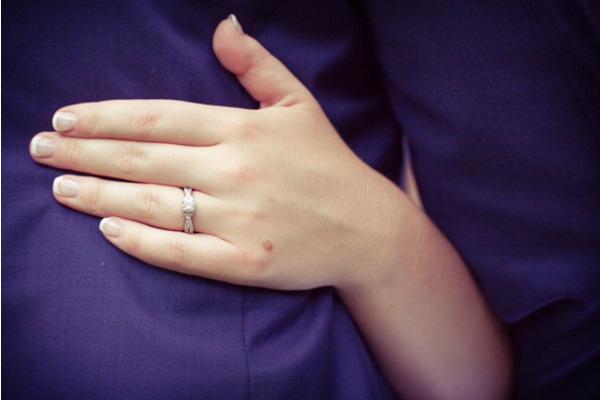 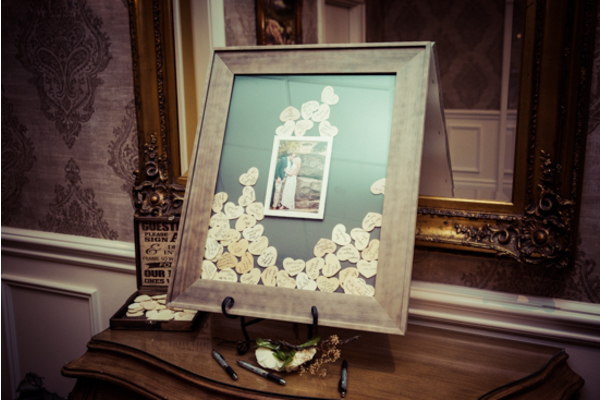 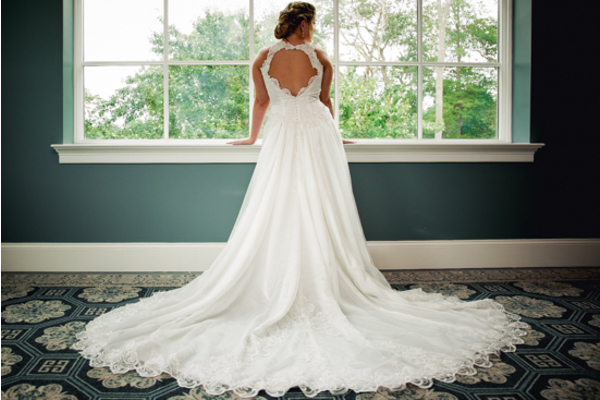 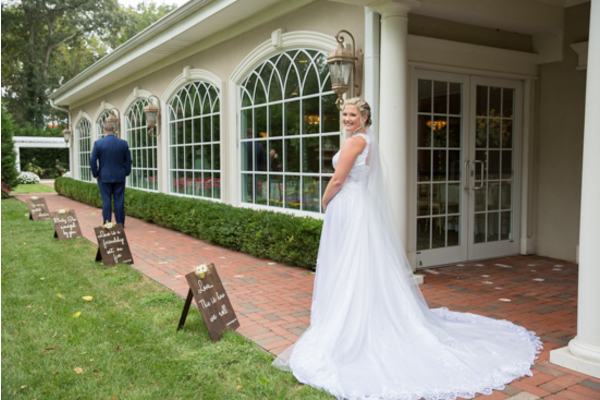 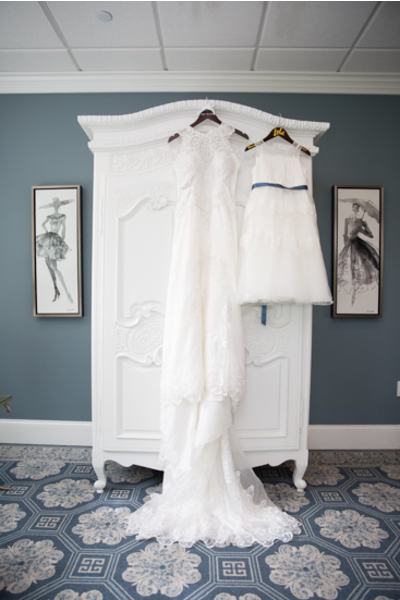 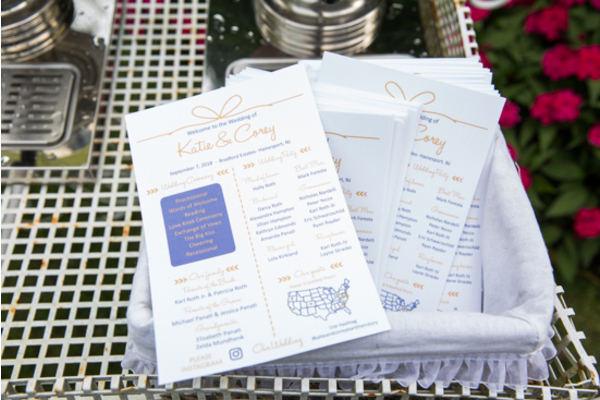 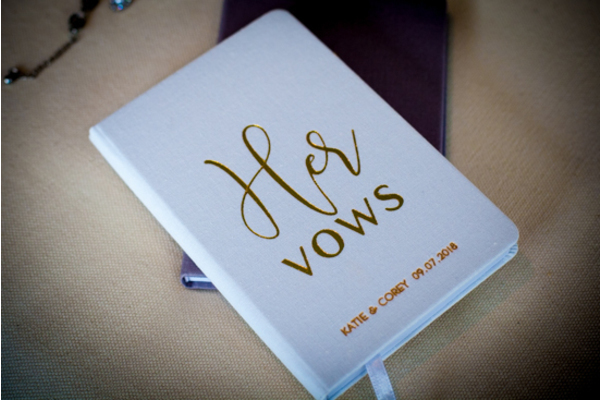 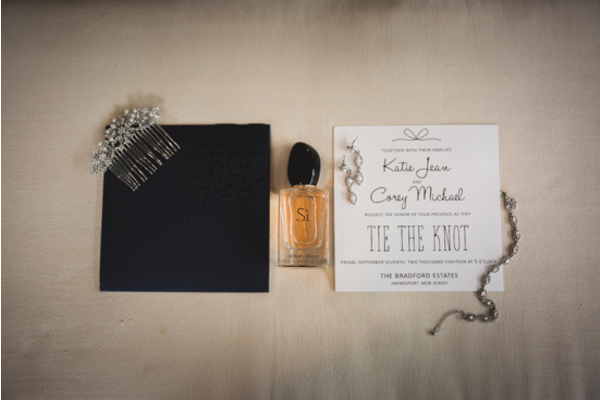 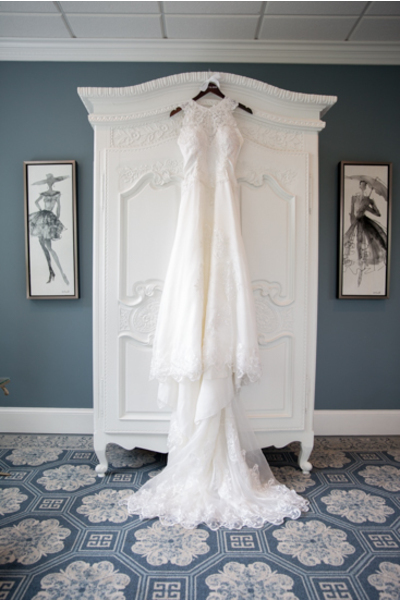 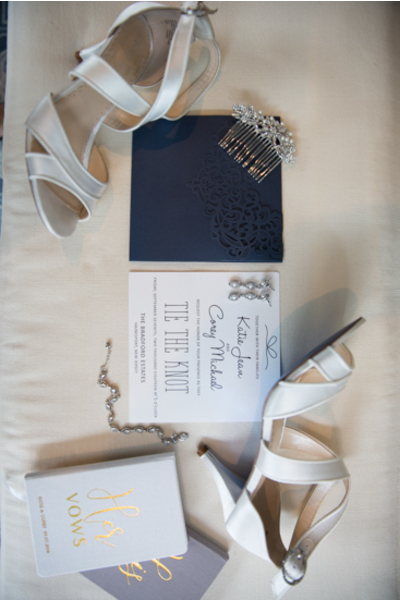 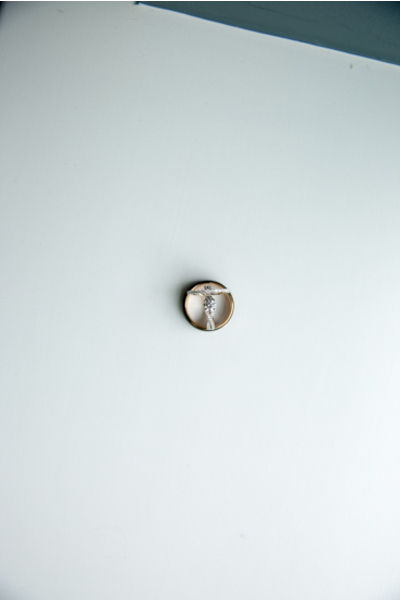 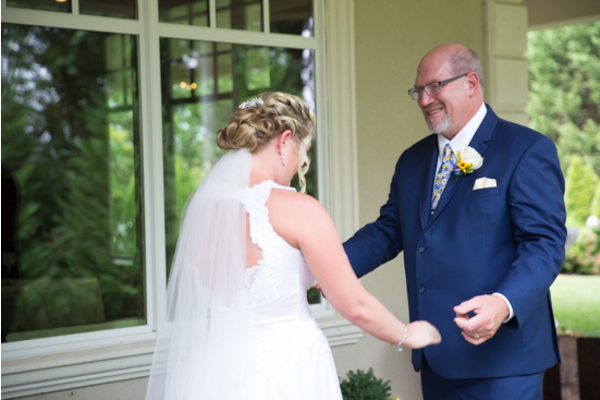 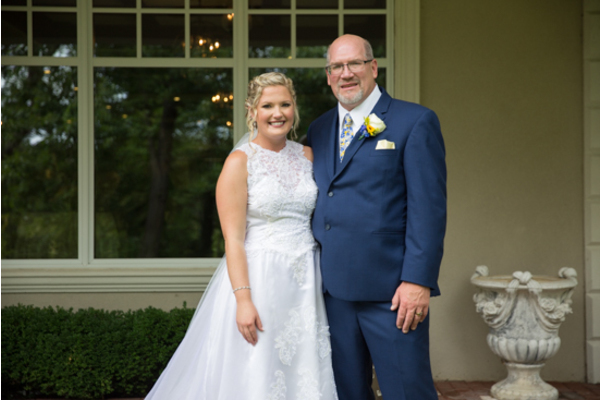 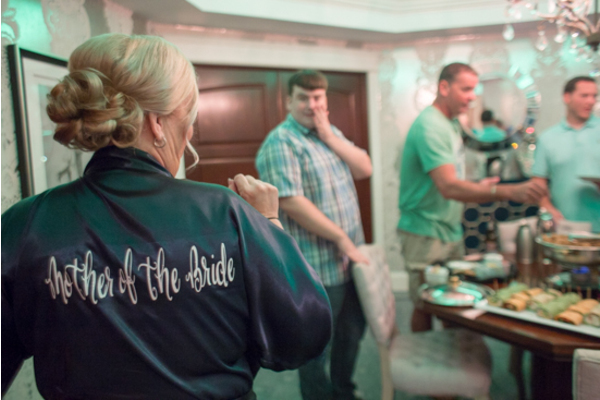 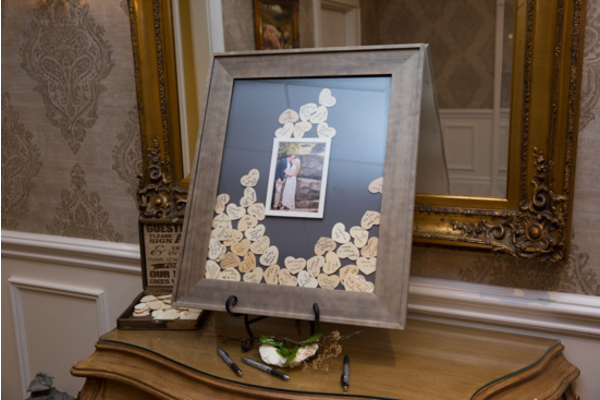 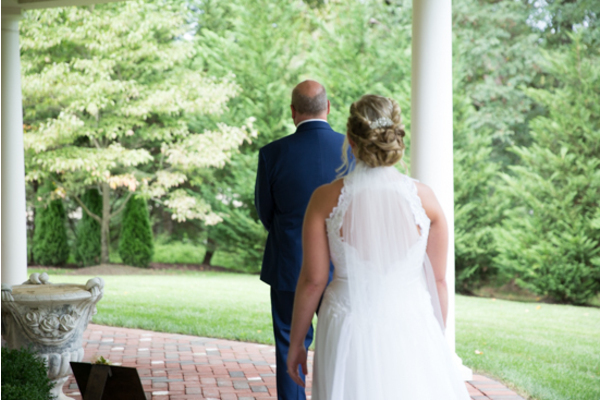 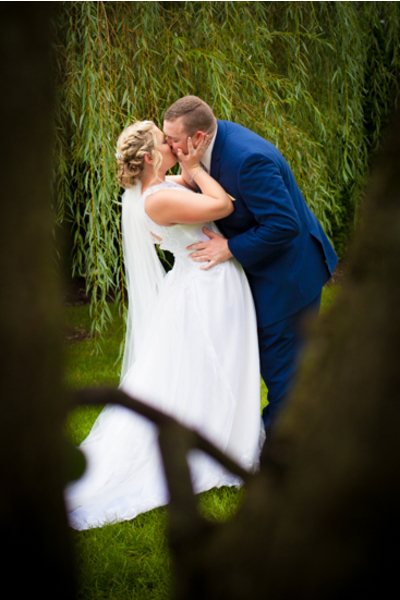 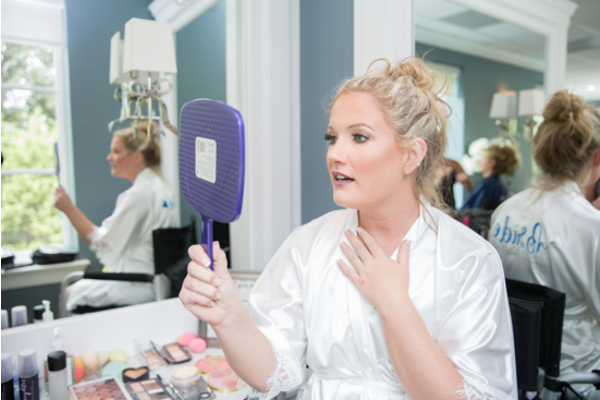 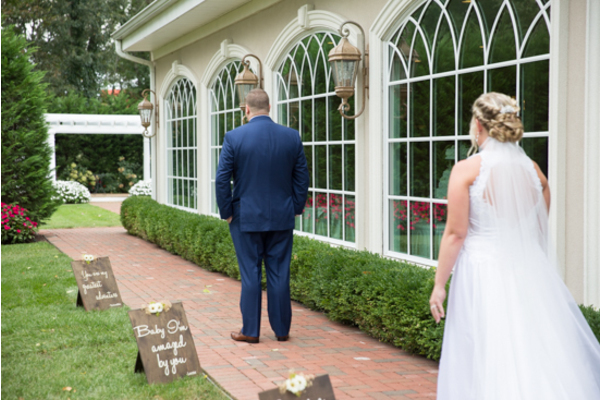 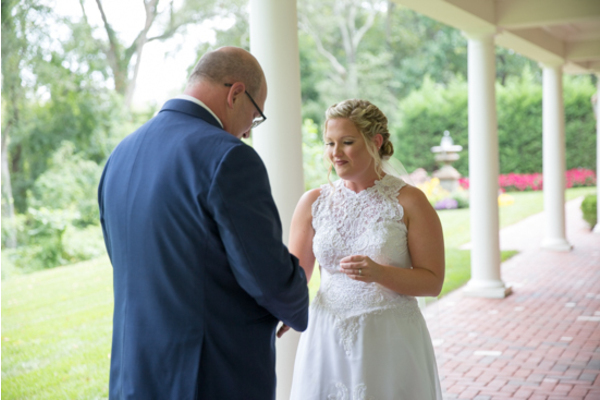 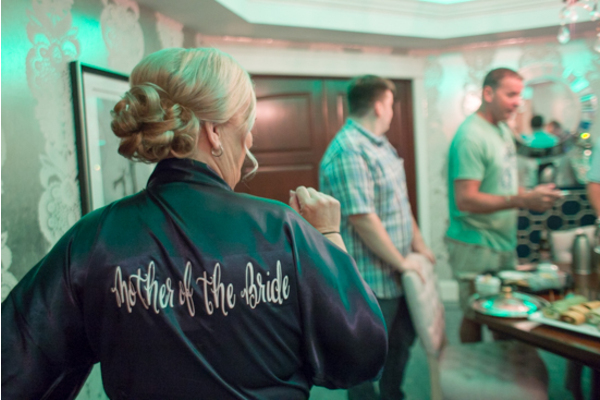 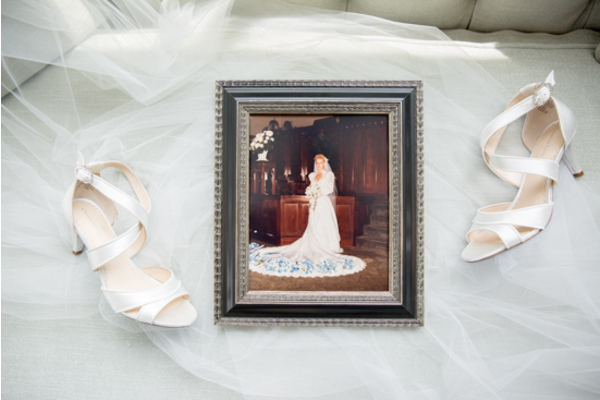 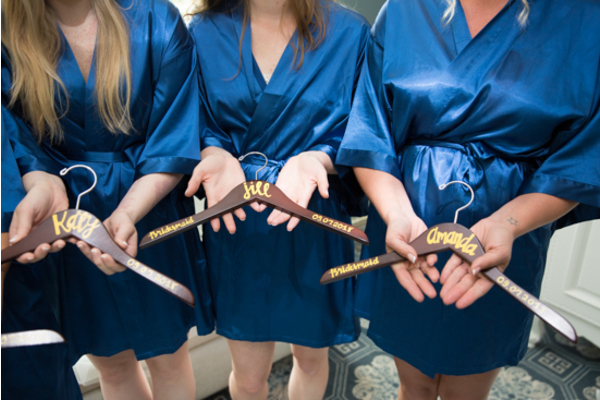 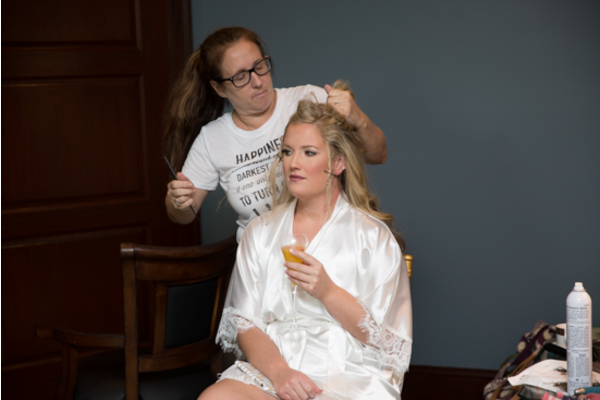 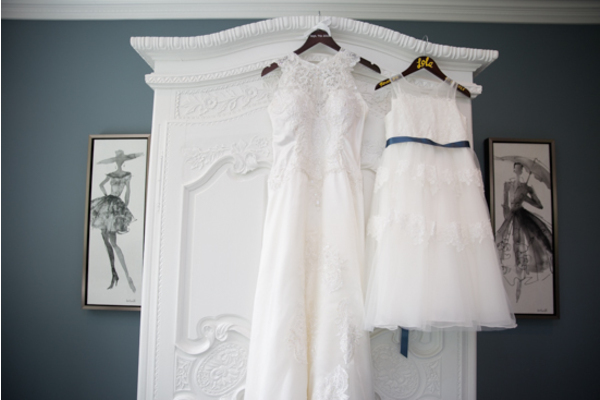 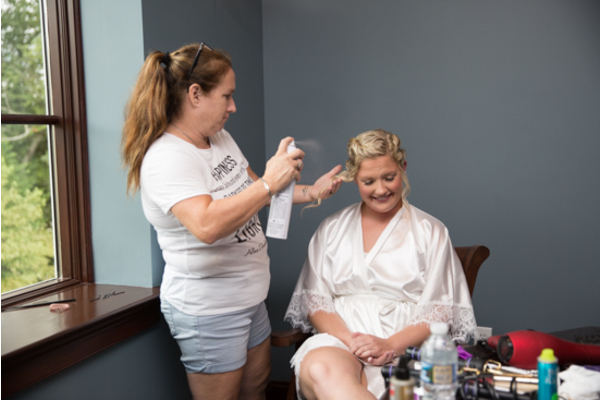 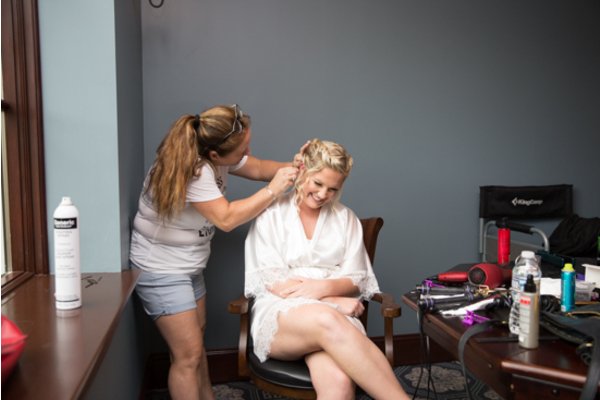 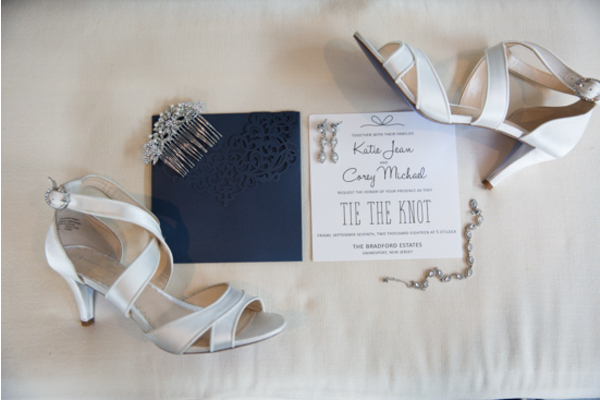 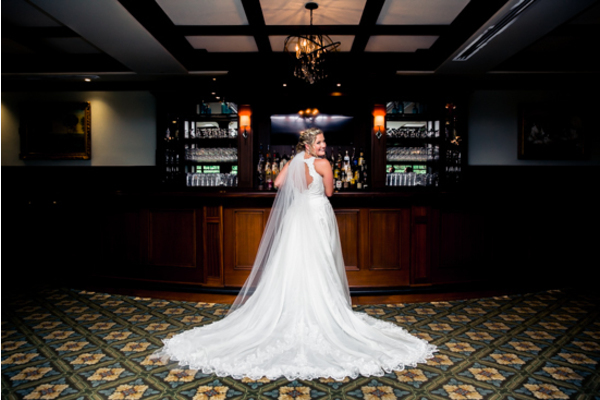 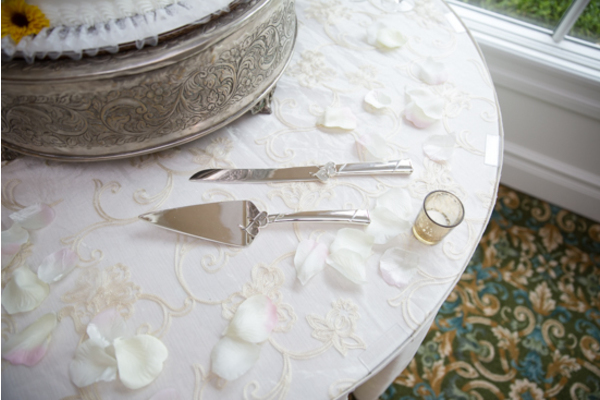 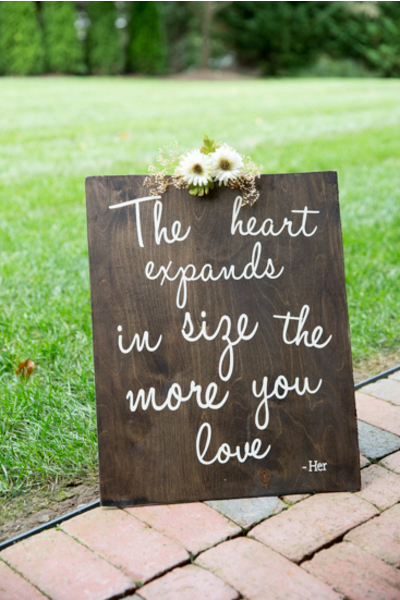 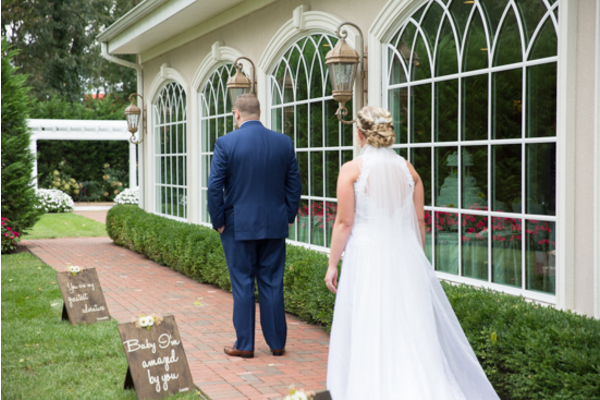 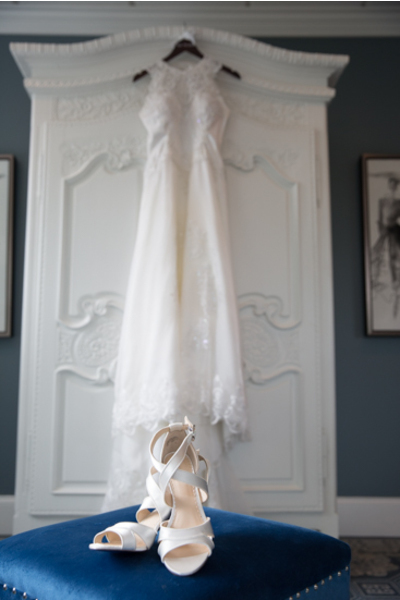 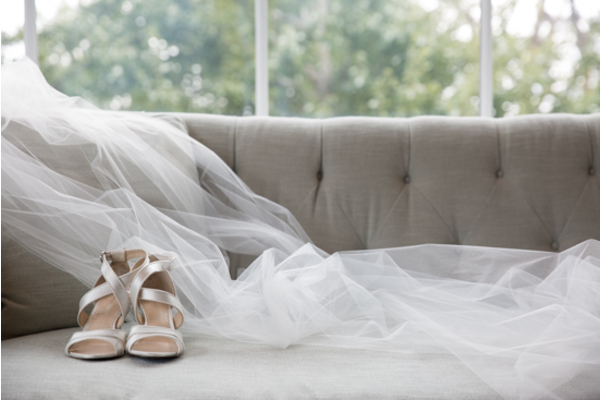 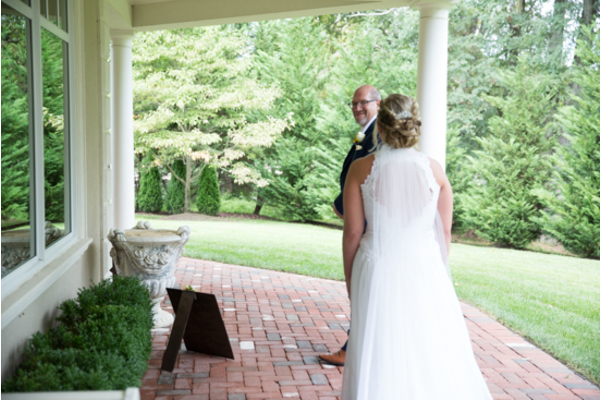 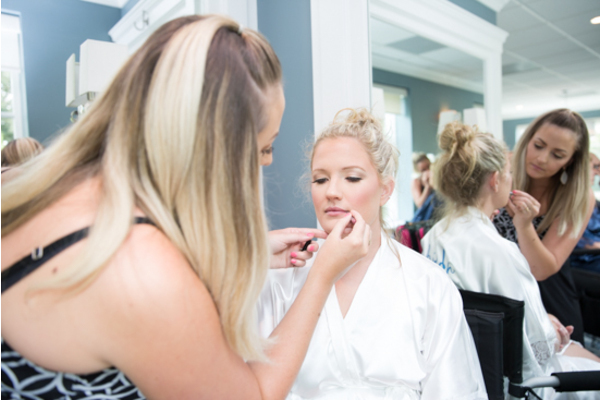 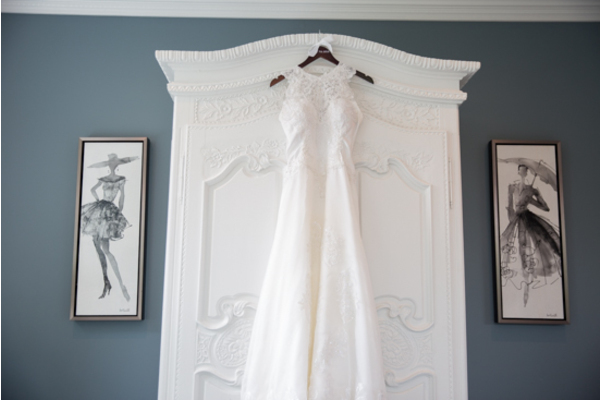 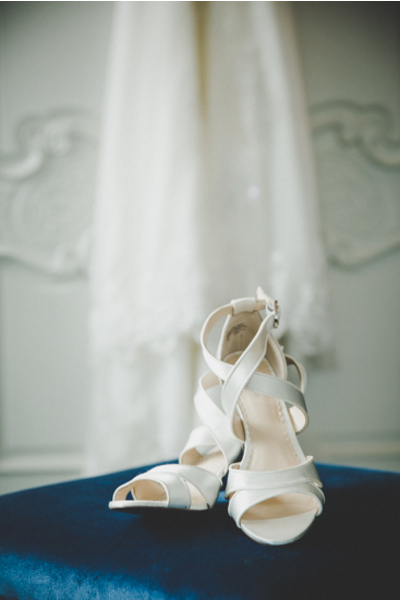 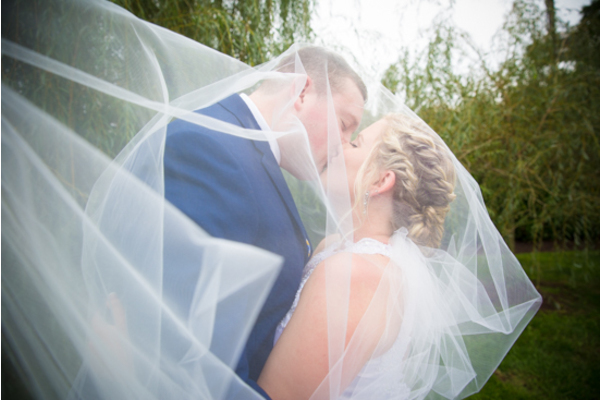 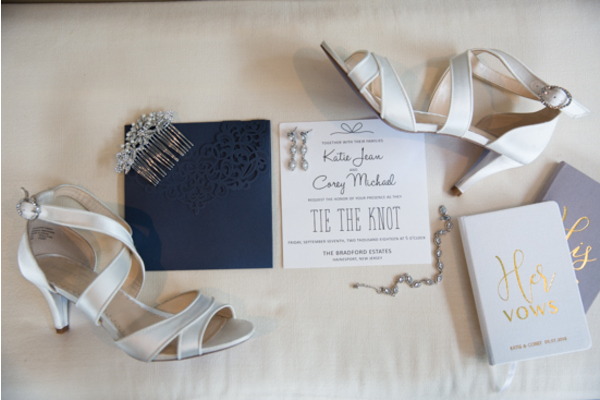 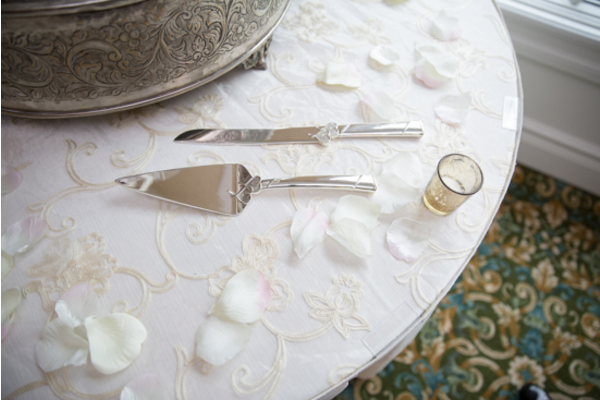 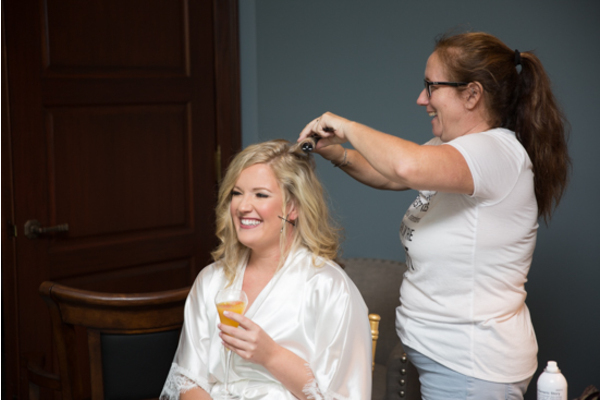 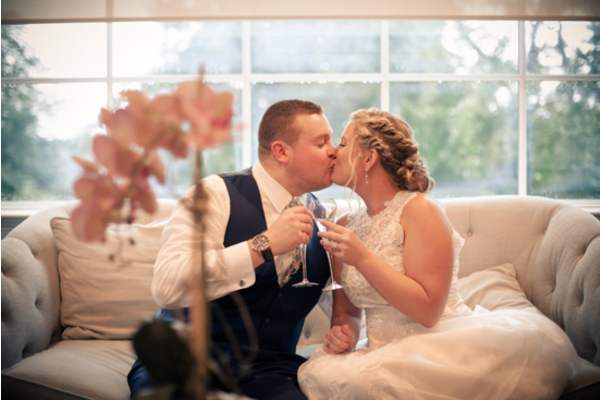 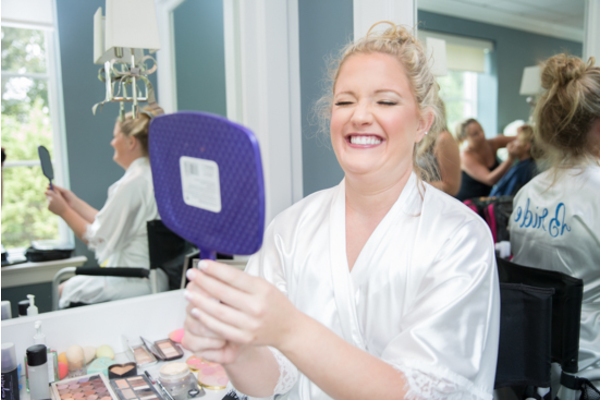 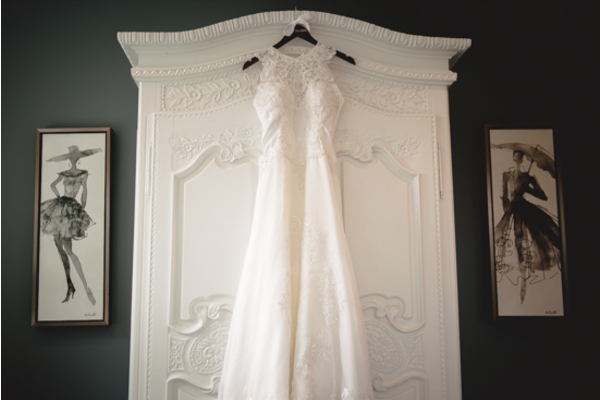 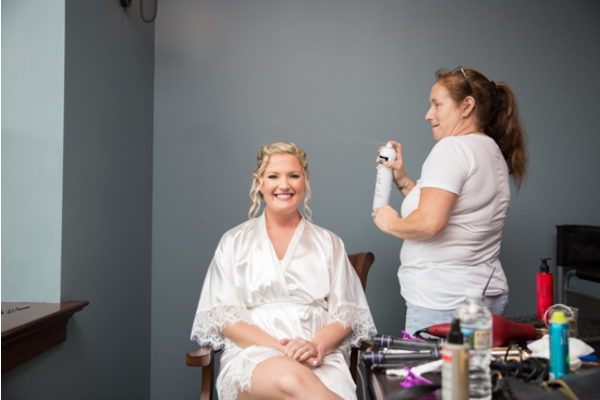 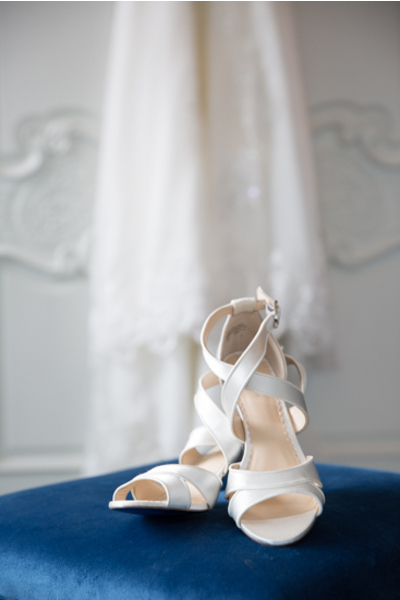 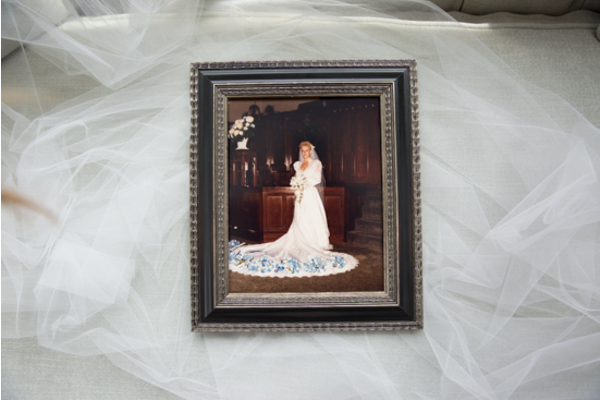 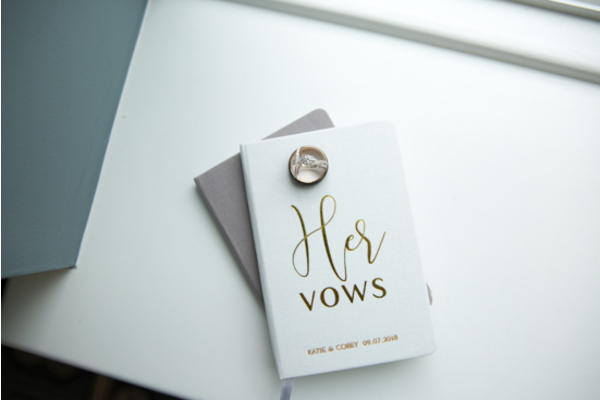 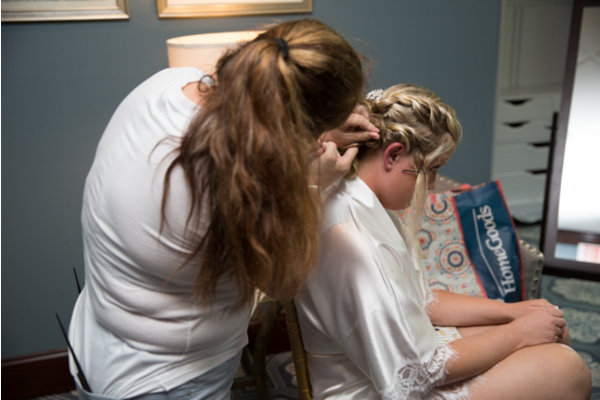 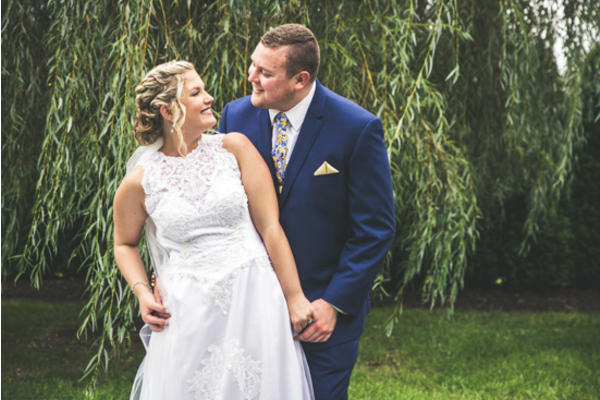 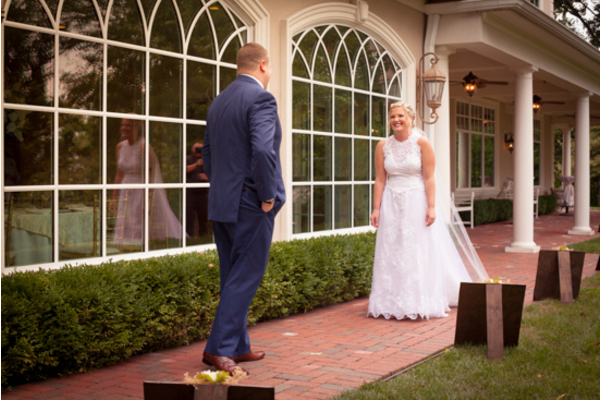 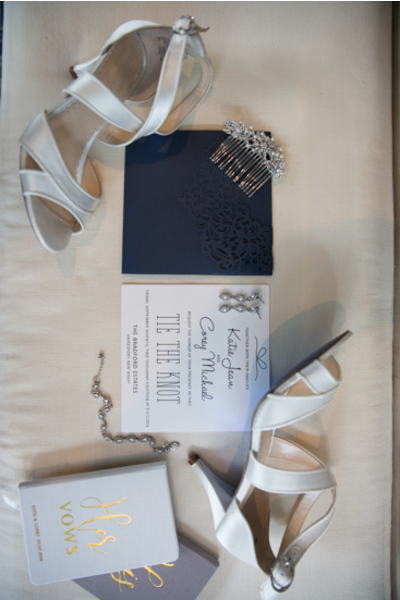 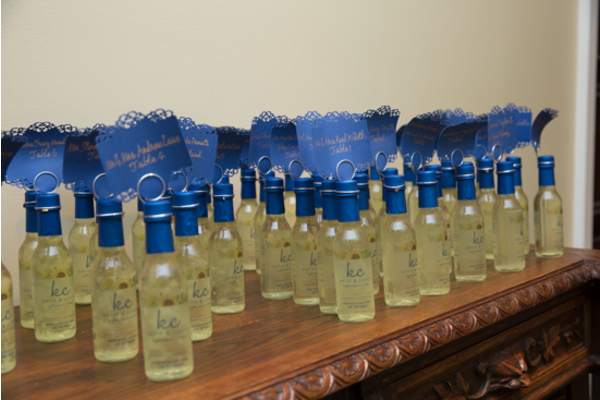 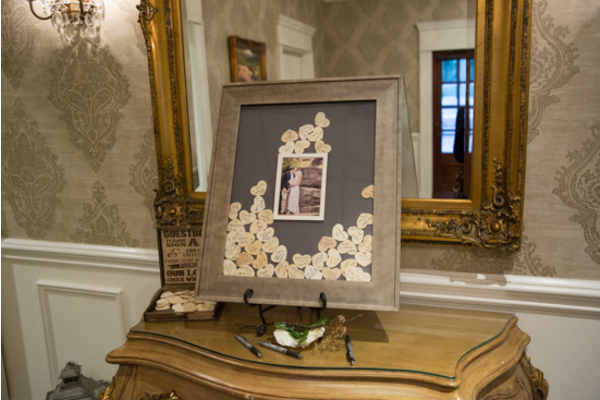 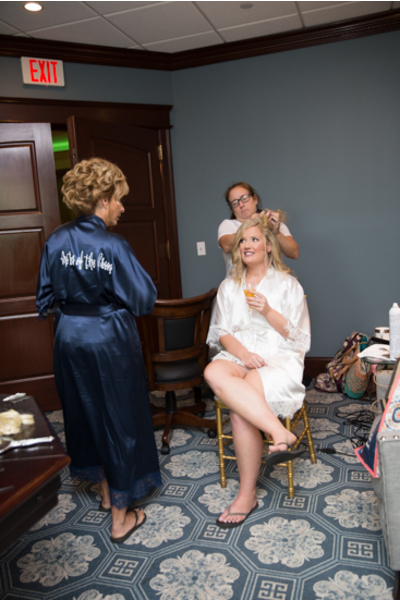 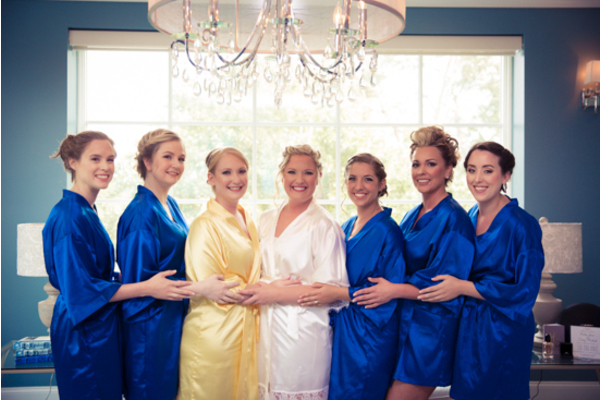 Katie wore a gorgeous white silk robe that had bride written on the back of it! 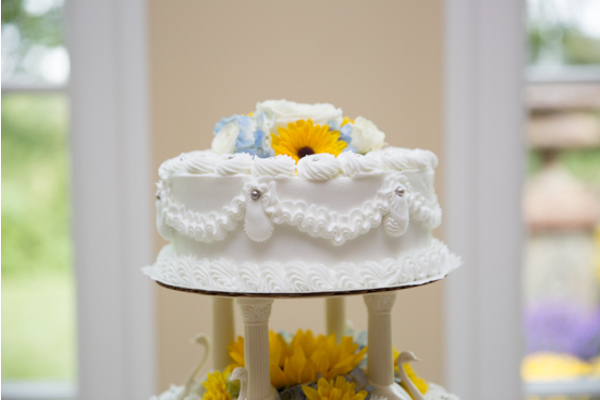 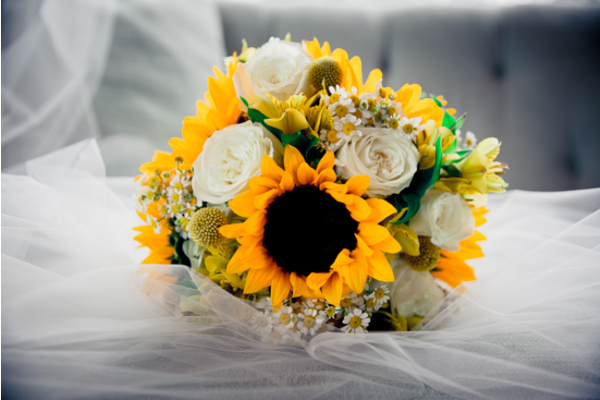 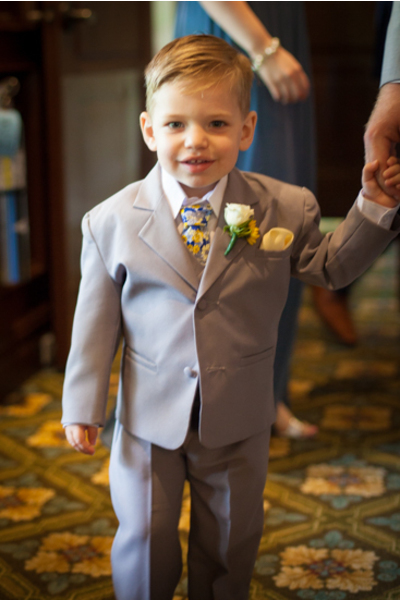 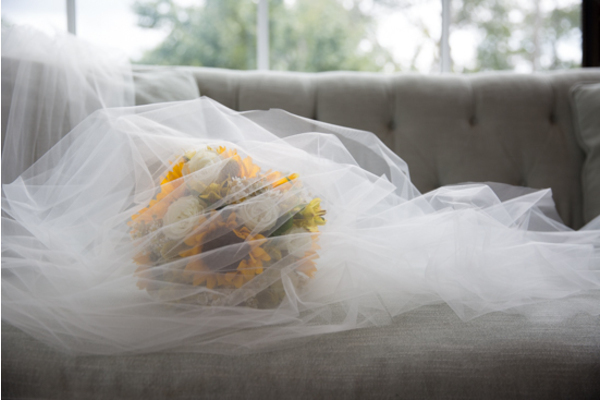 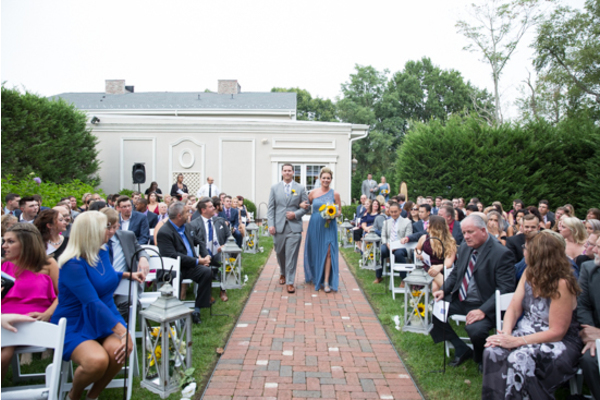 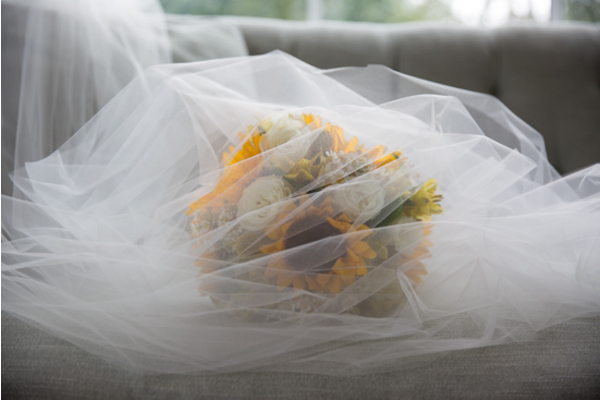 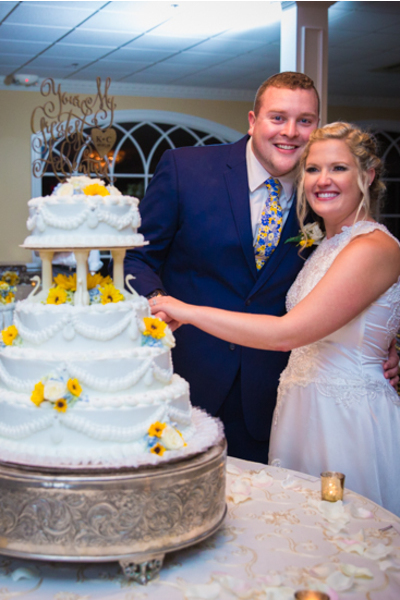 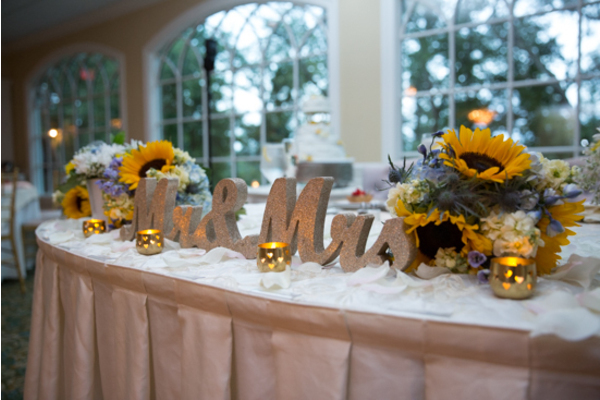 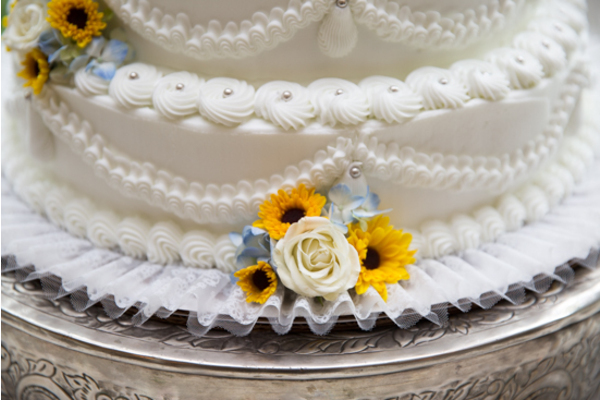 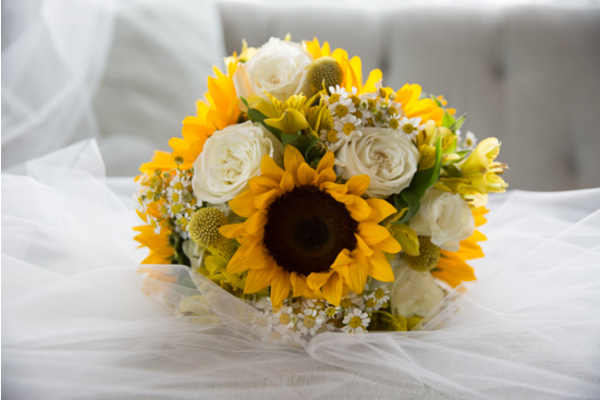 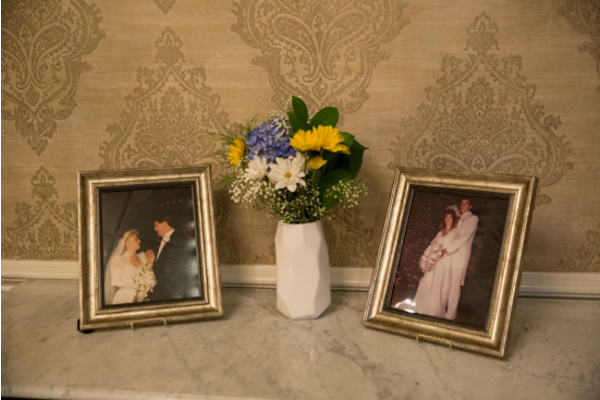 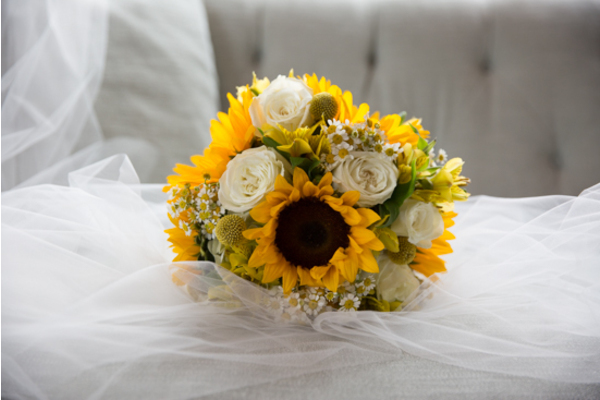 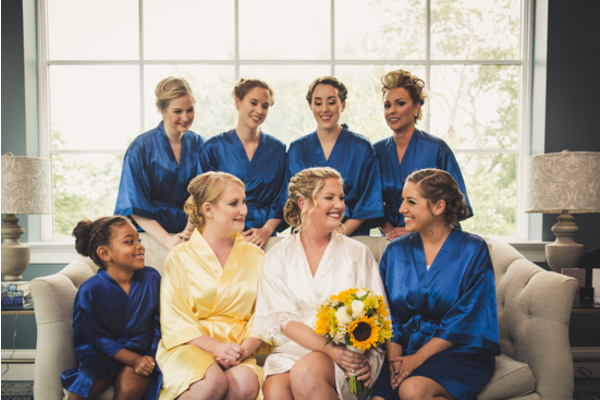 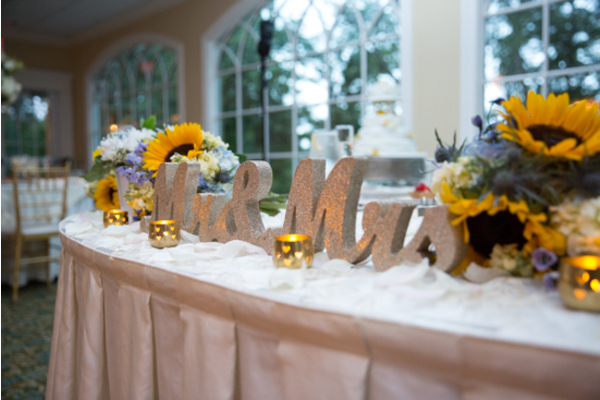 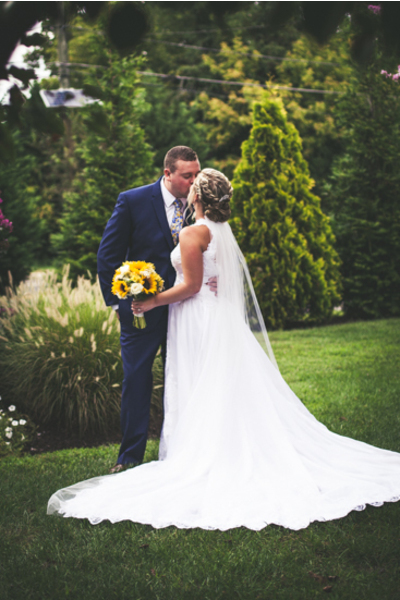 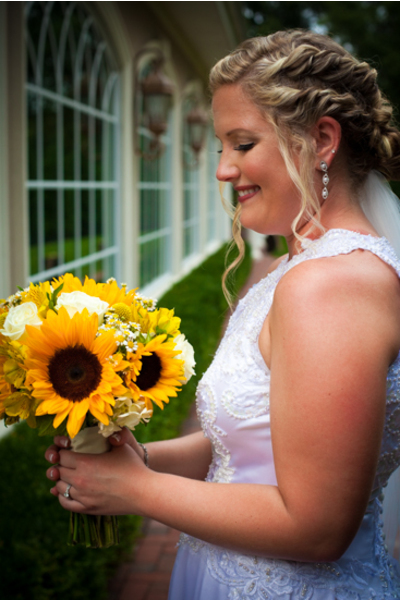 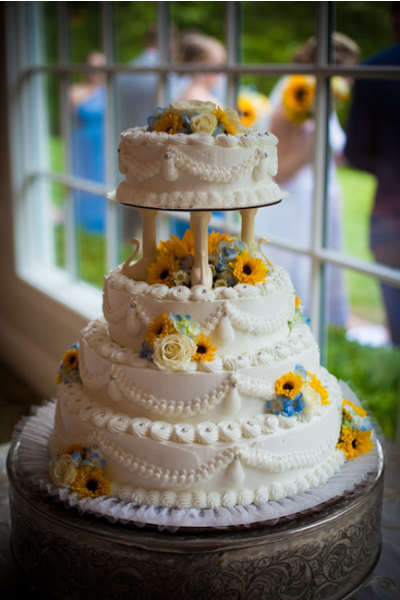 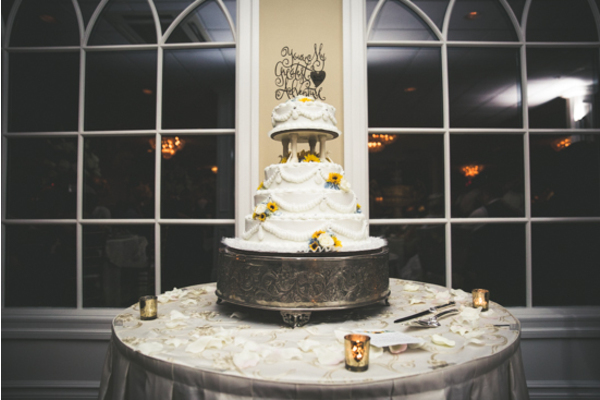 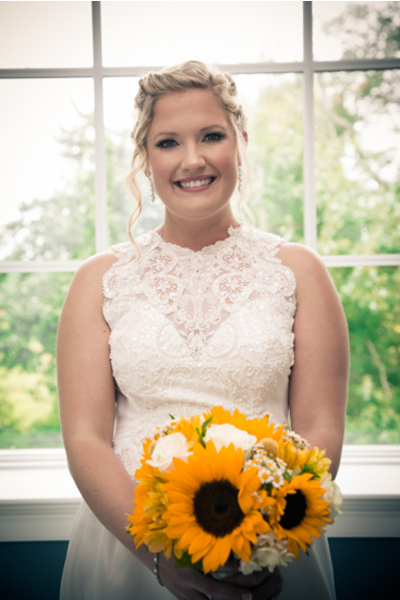 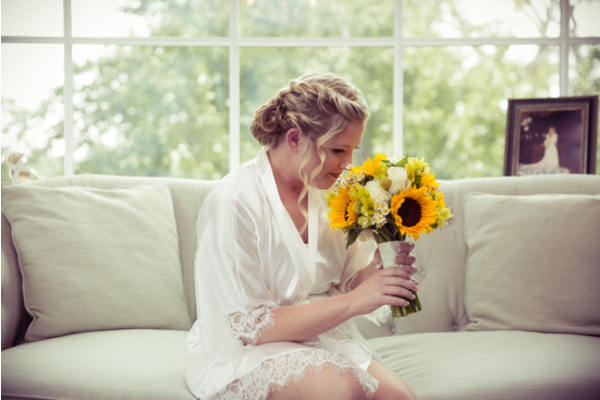 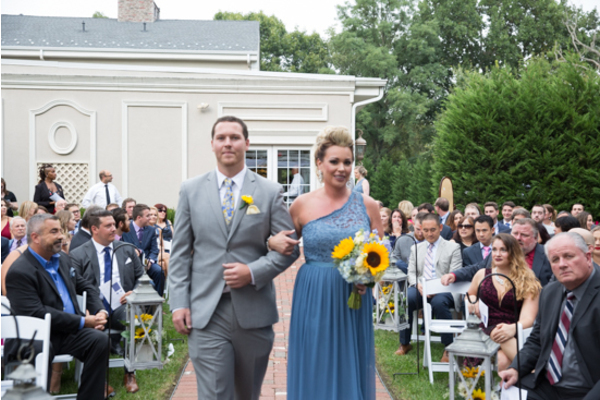 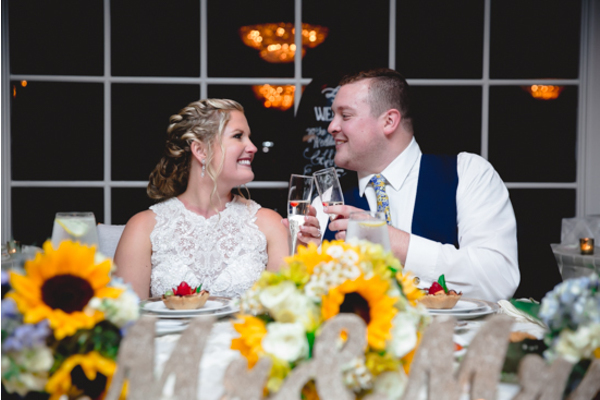 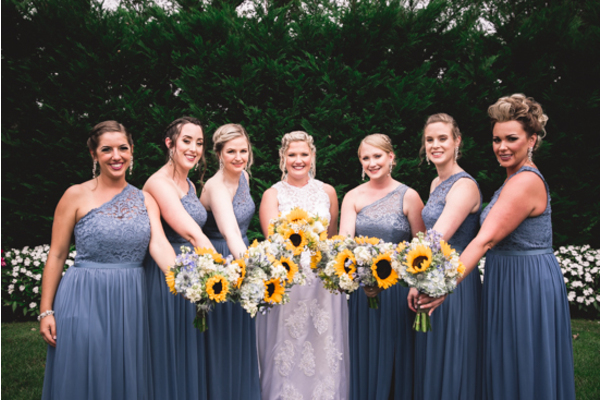 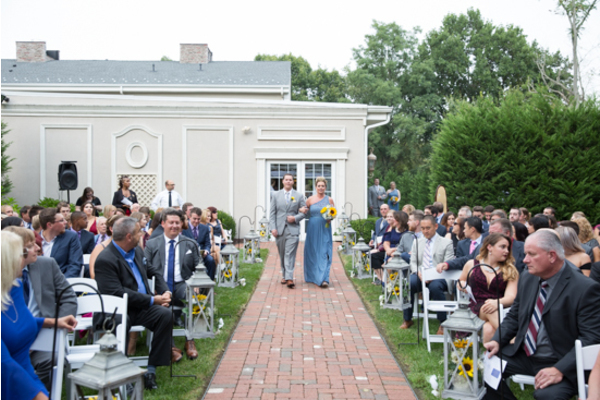 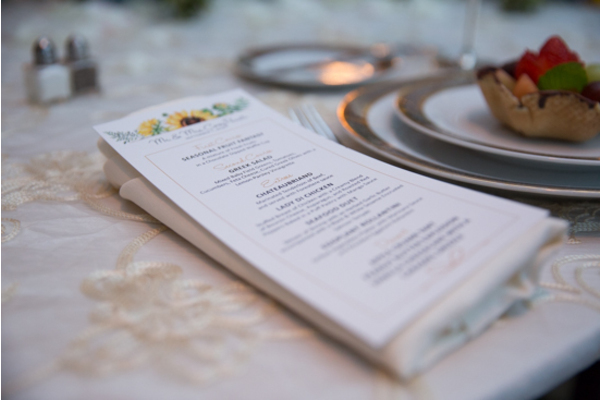 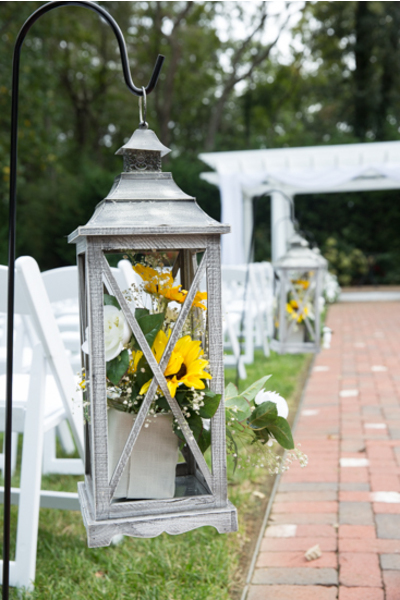 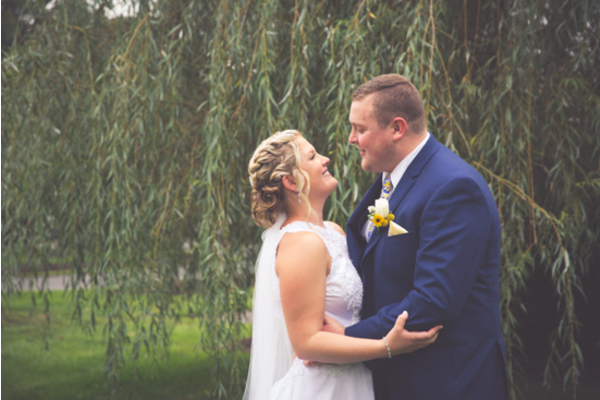 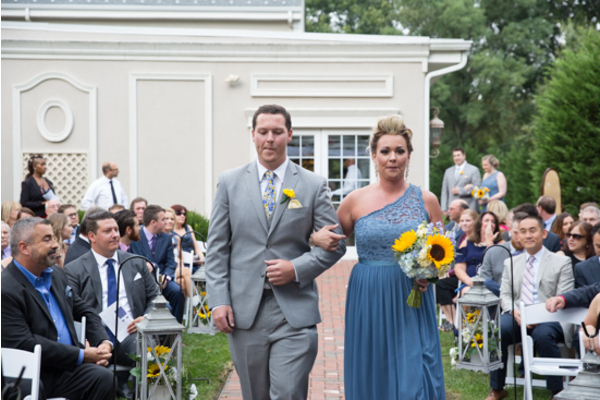 The stunning yellow sunflower bouquets were the perfect choice for this early September wedding. 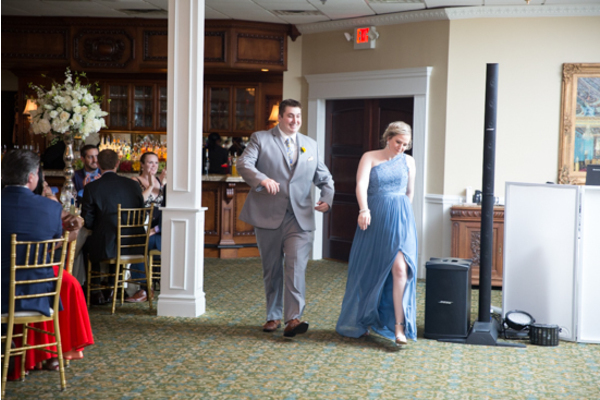 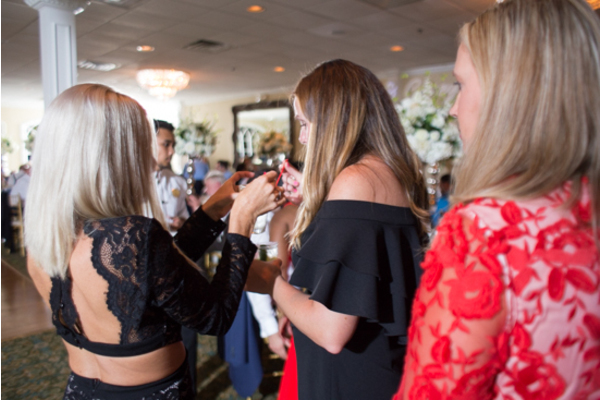 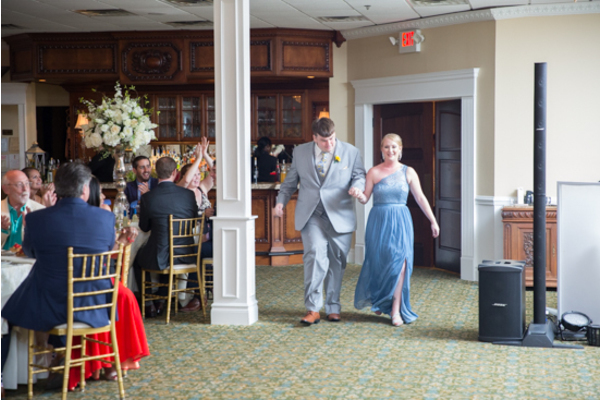 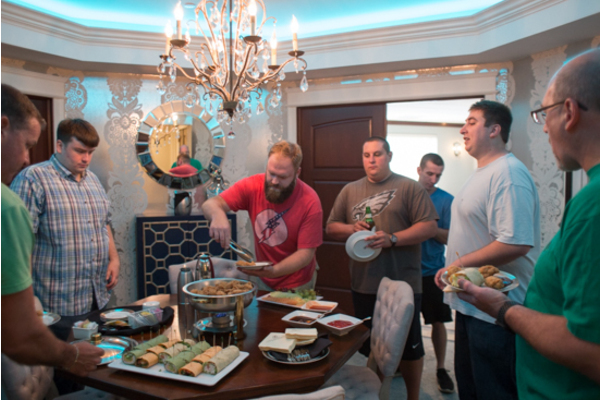 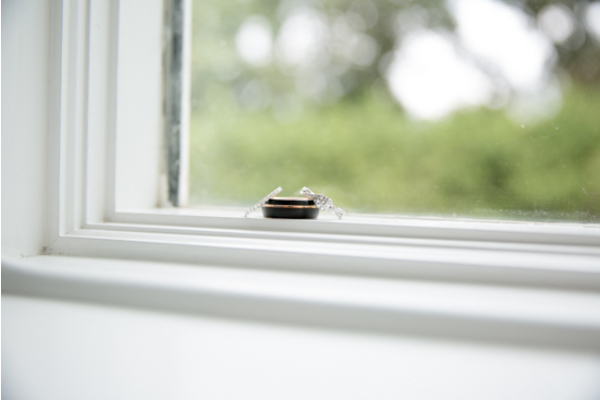 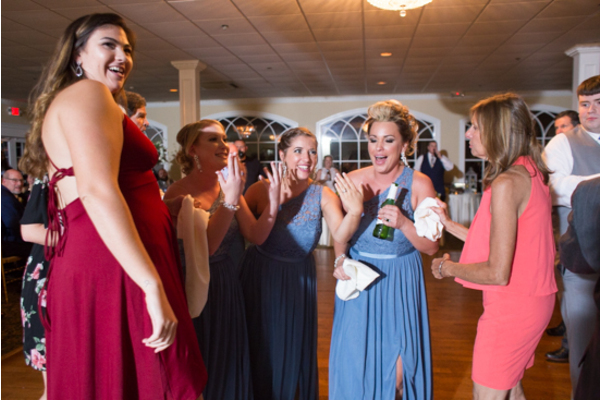 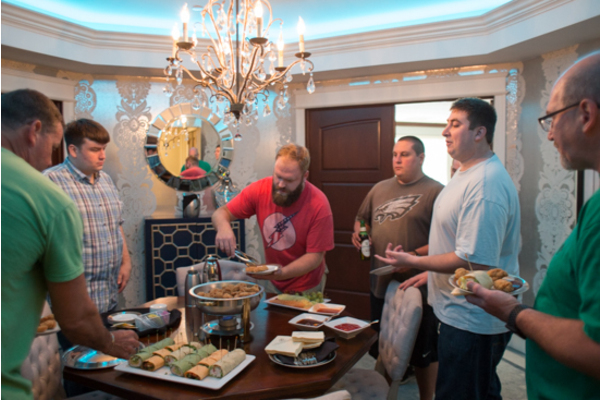 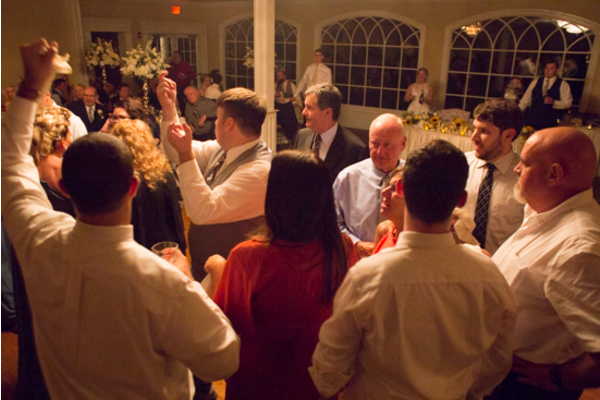 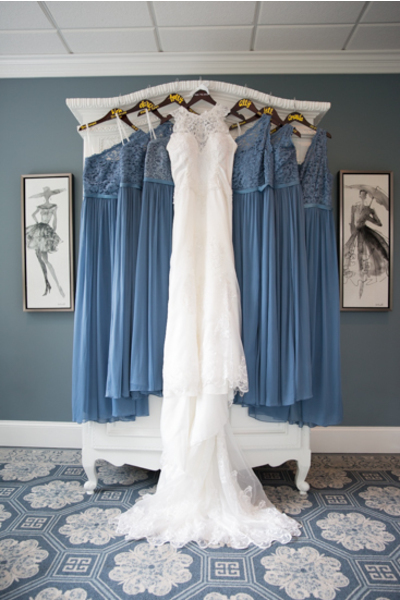 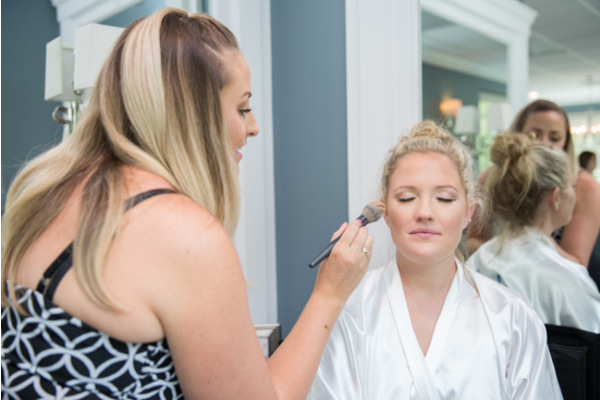 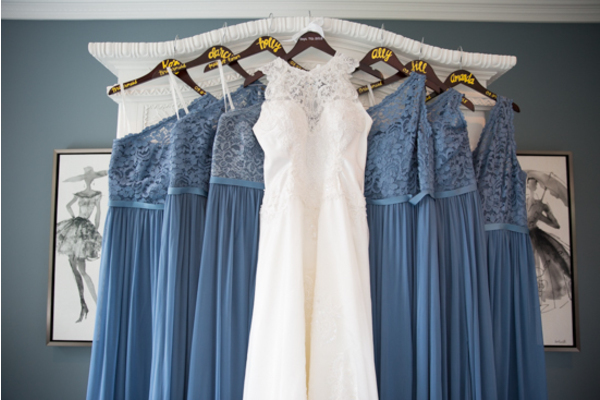 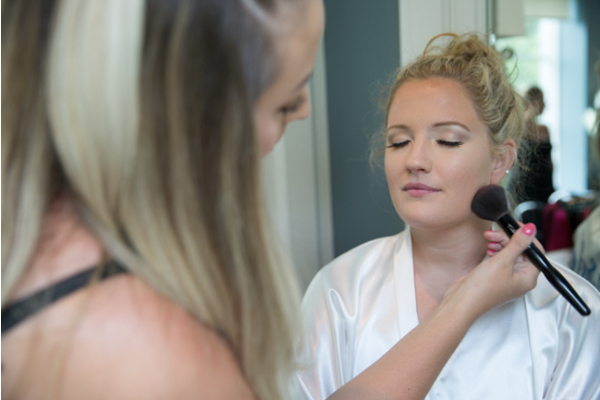 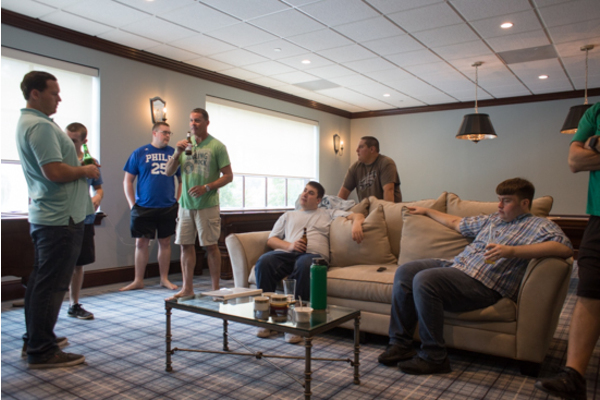 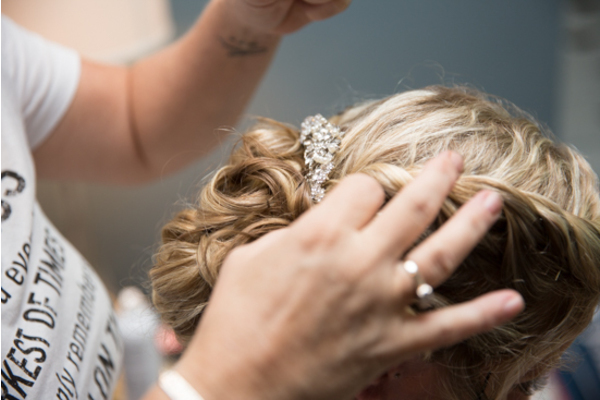 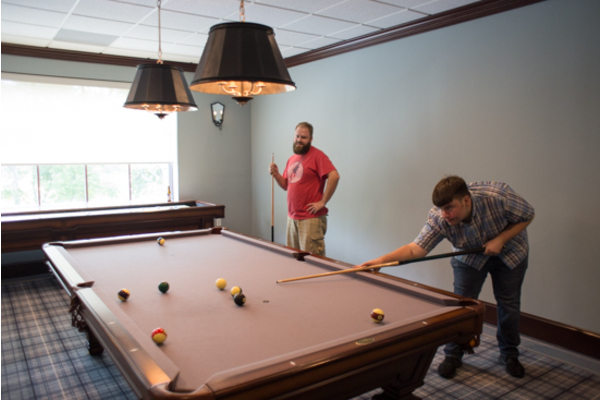 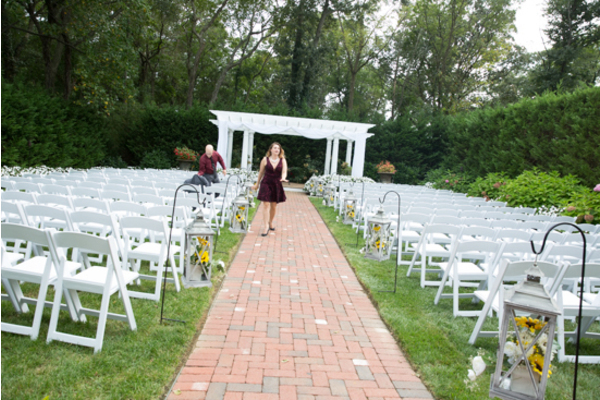 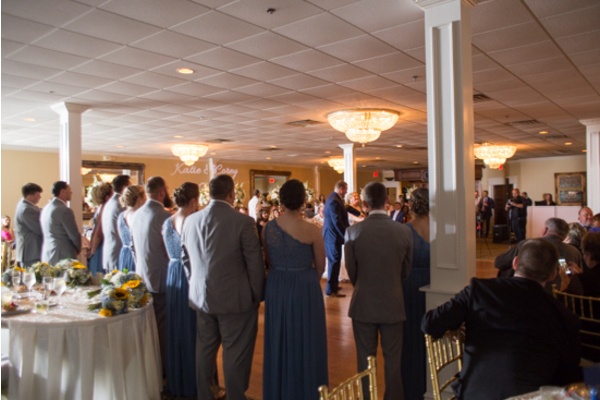 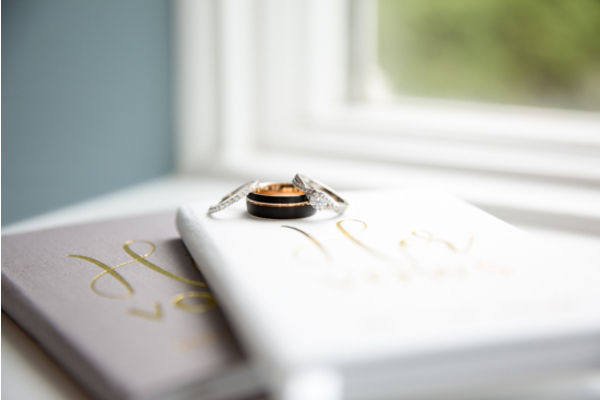 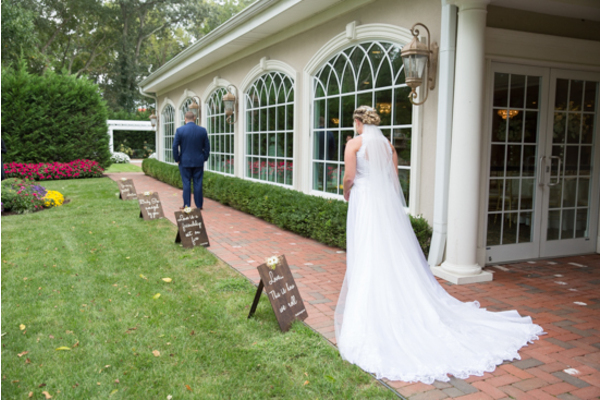 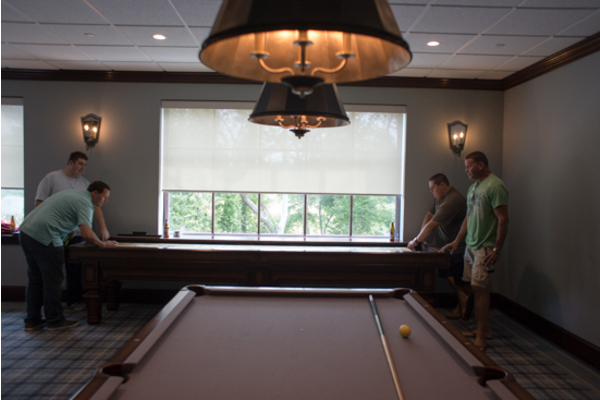 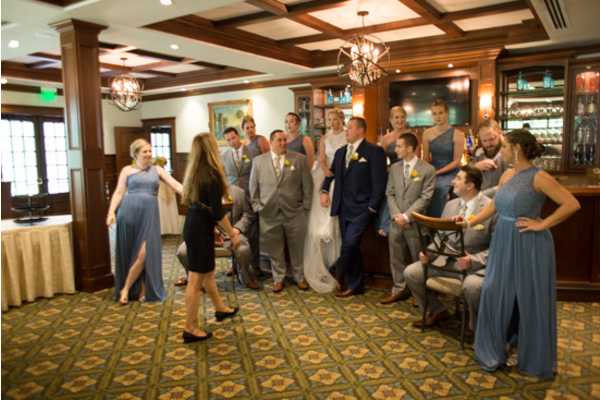 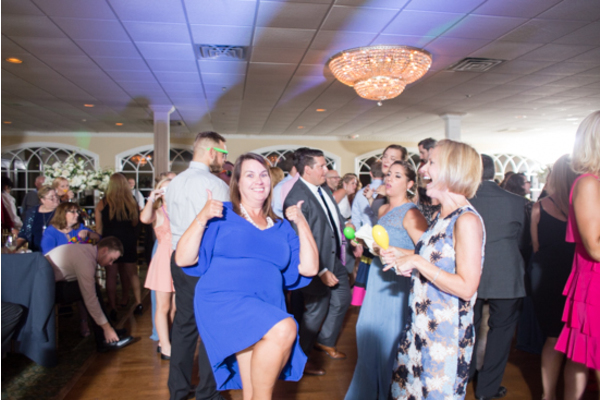 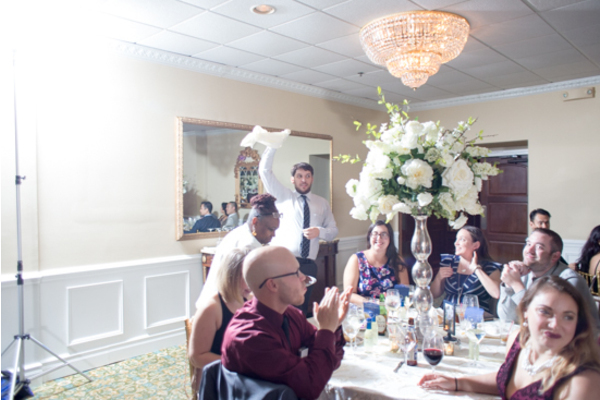 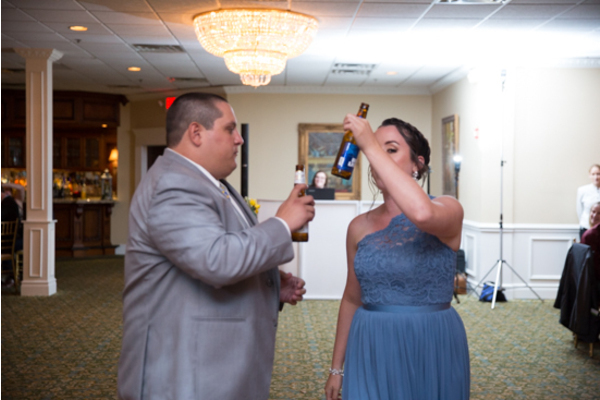 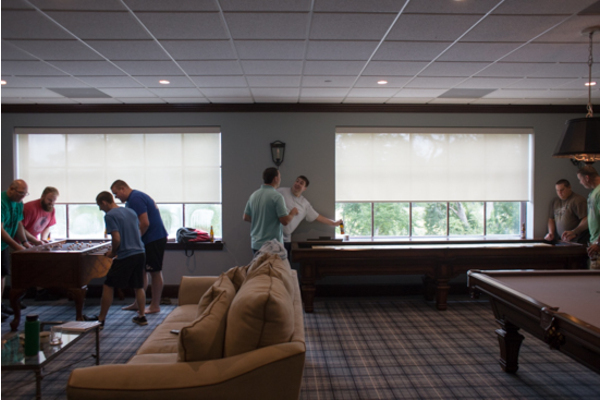 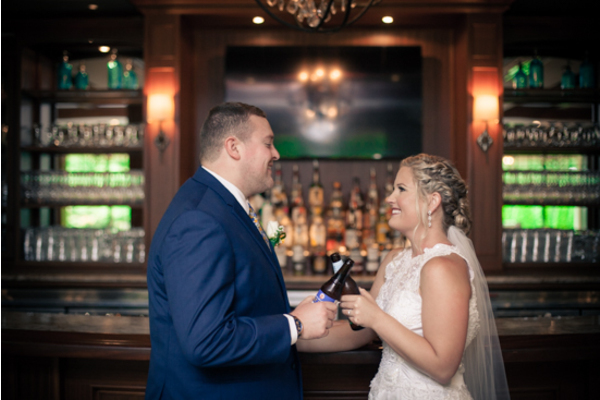 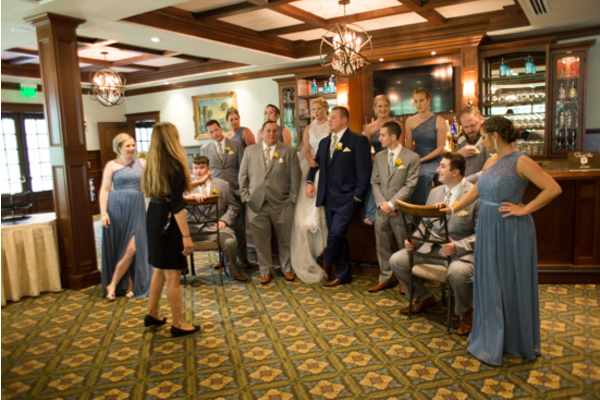 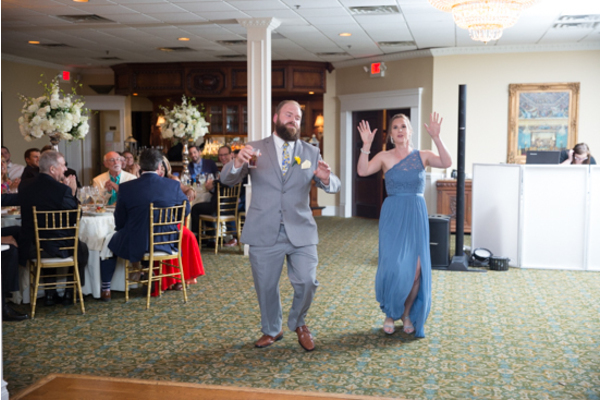 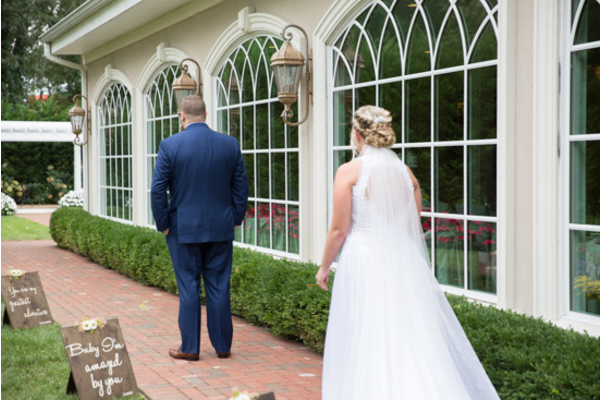 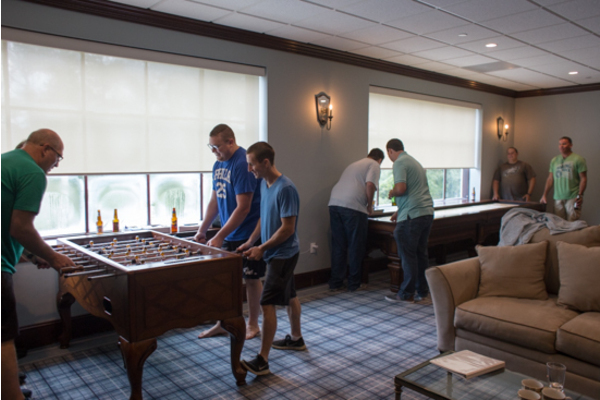 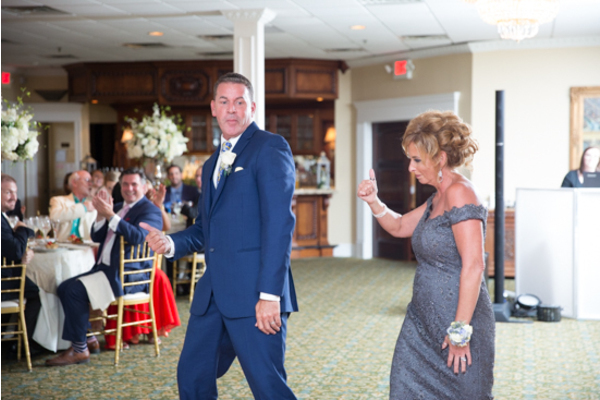 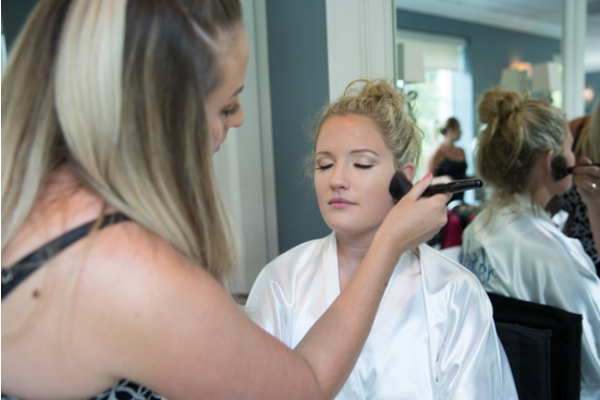 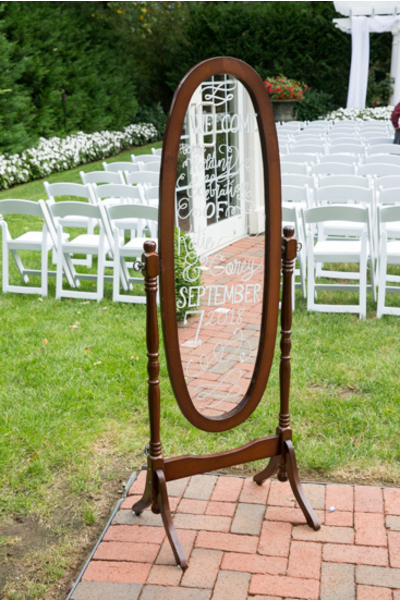 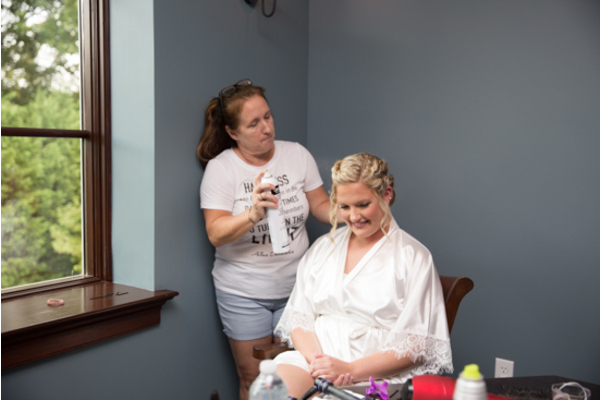 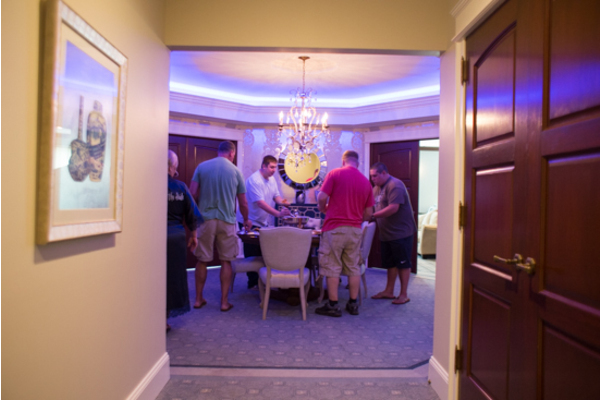 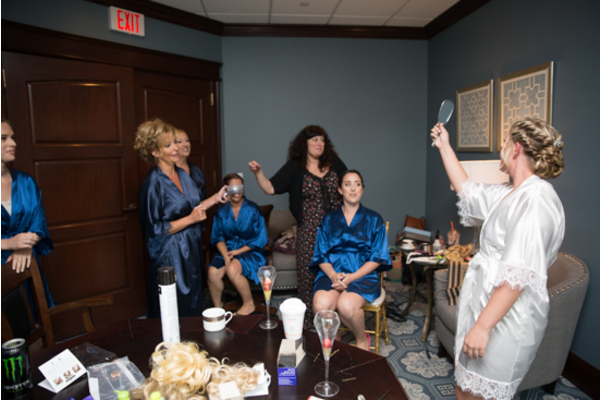 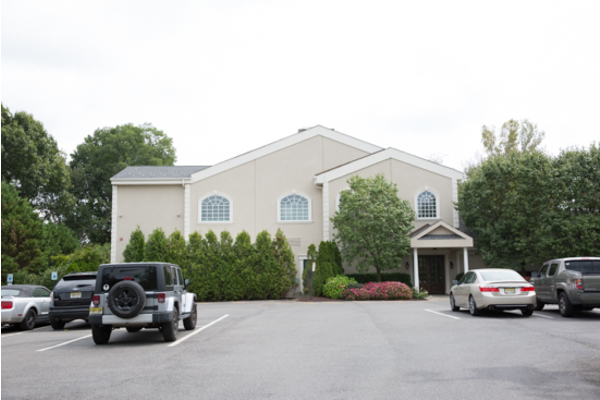 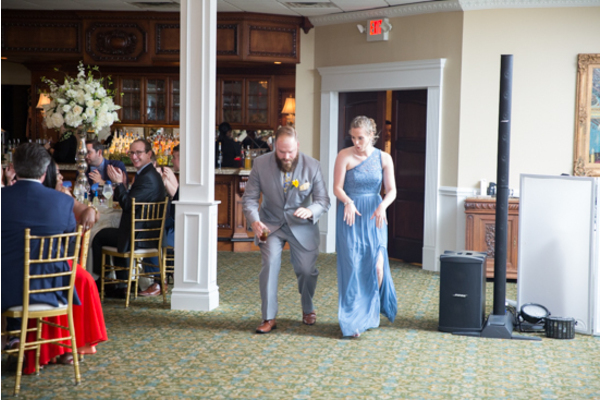 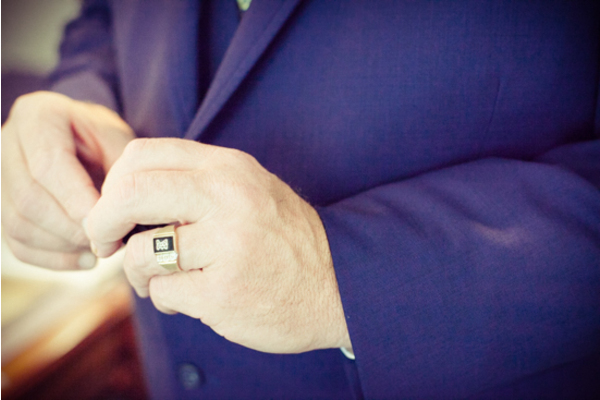 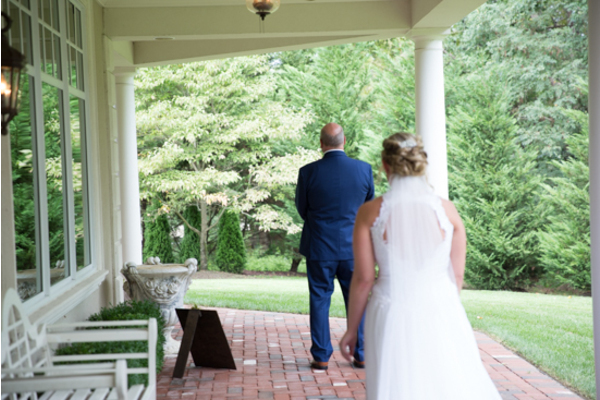 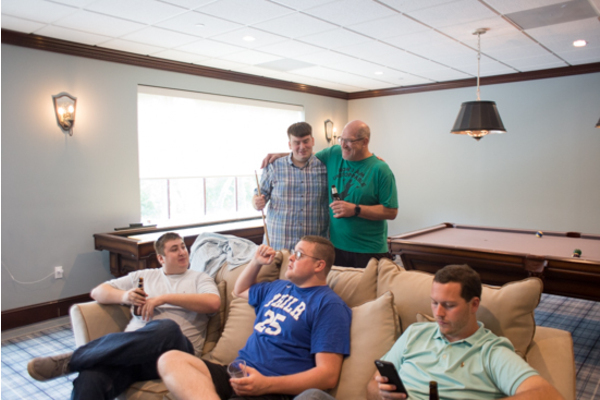 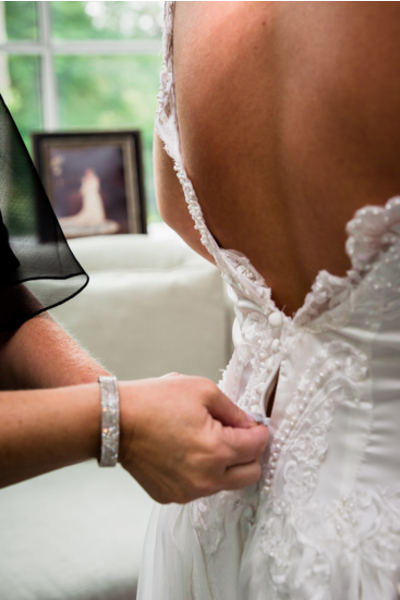 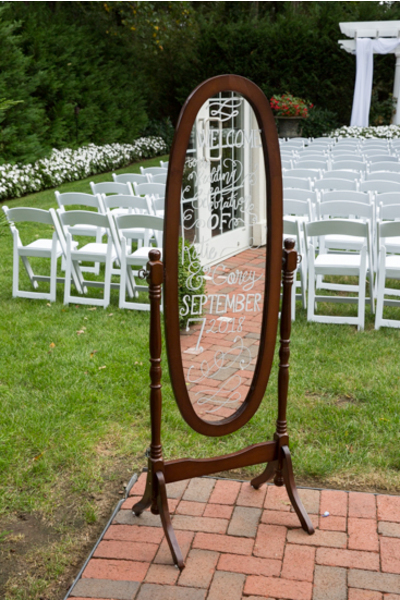 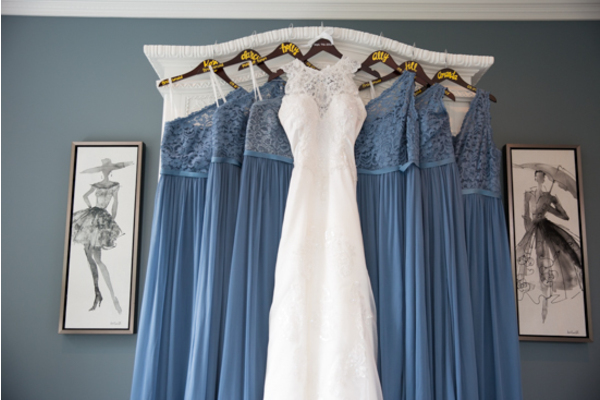 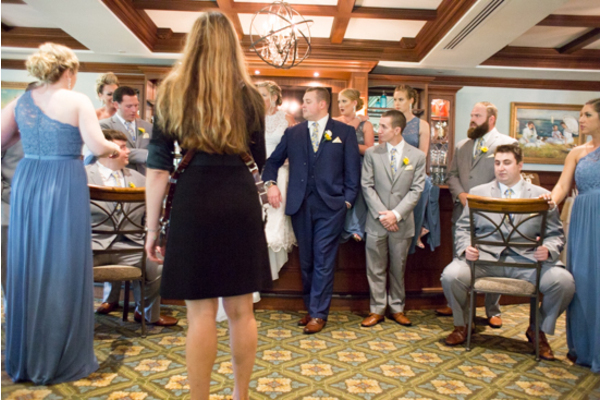 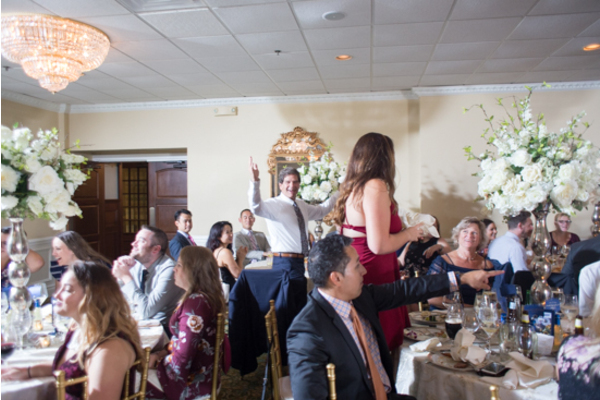 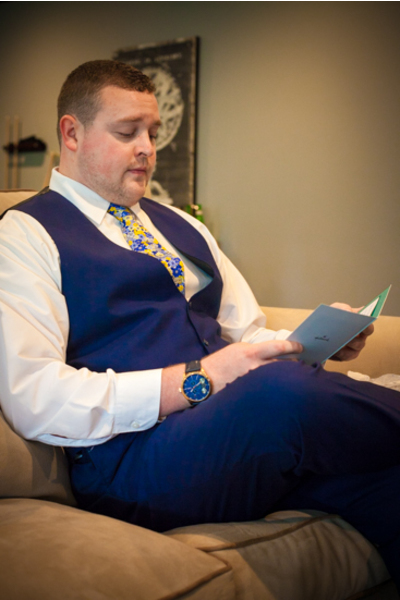 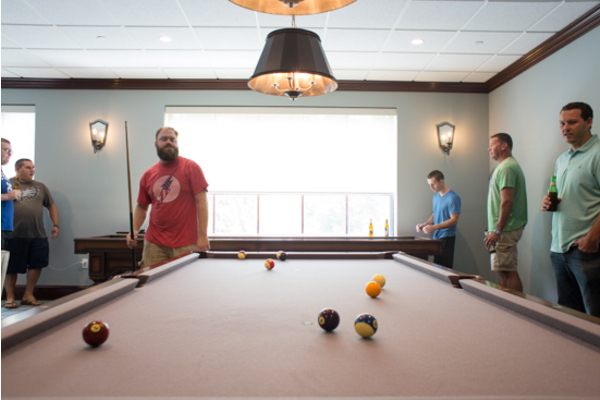 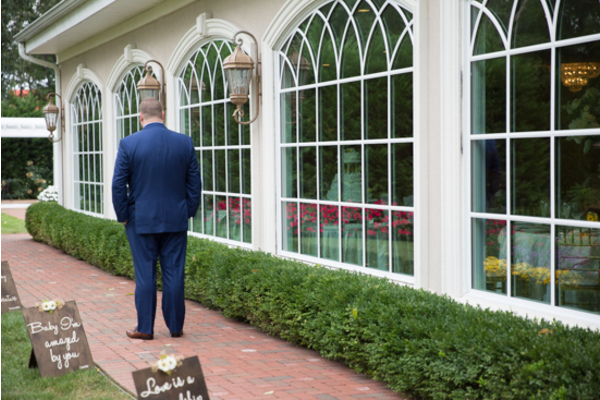 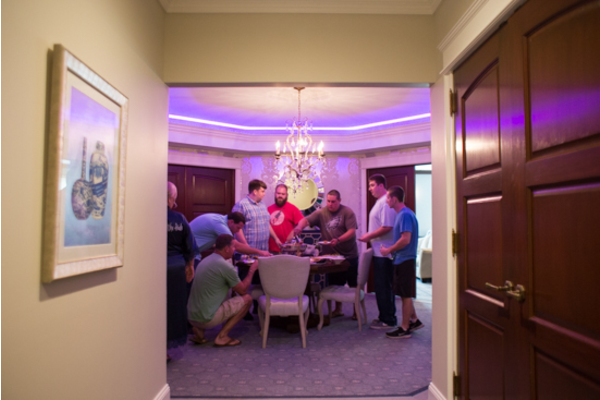 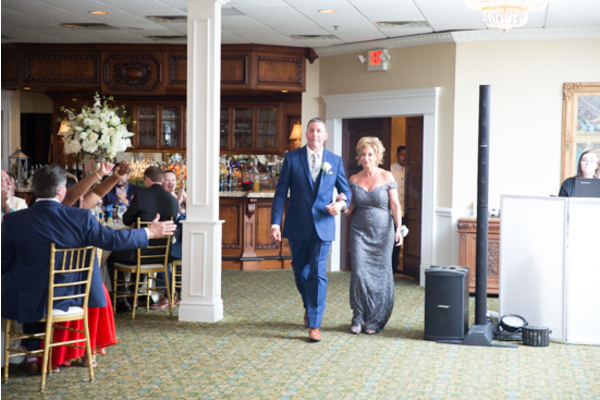 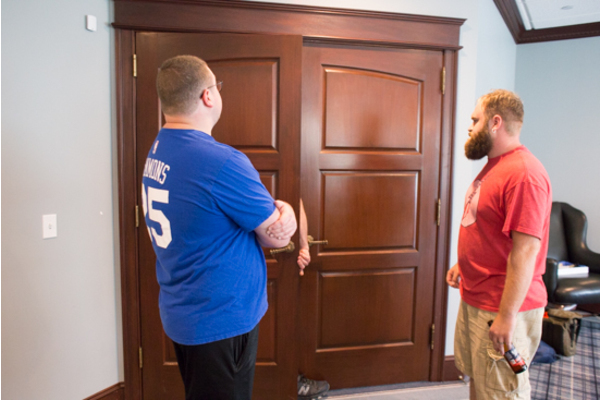 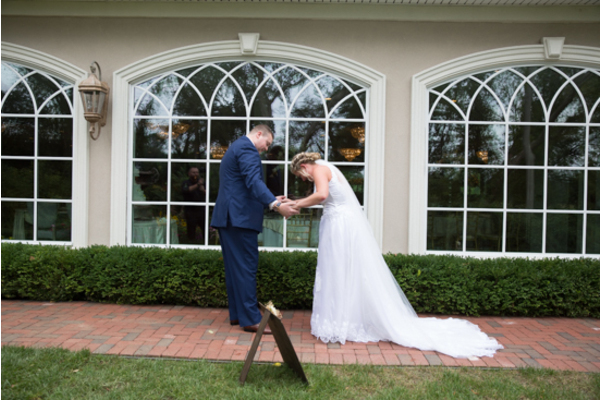 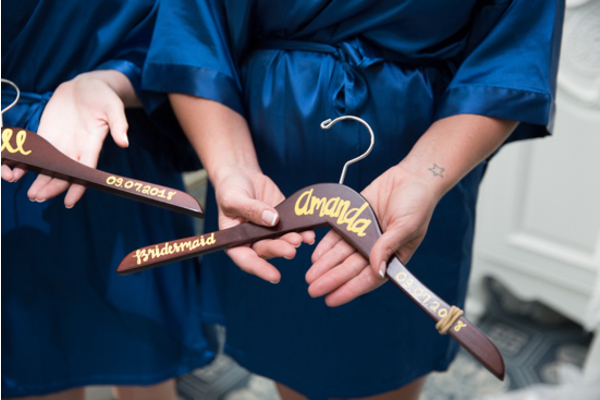 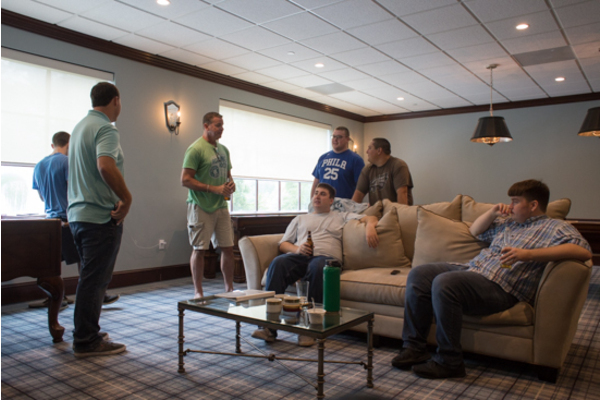 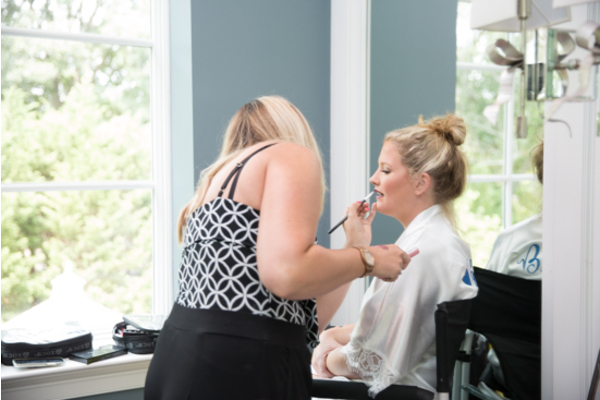 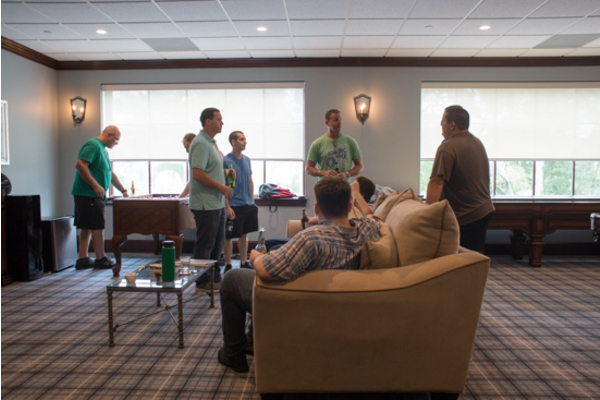 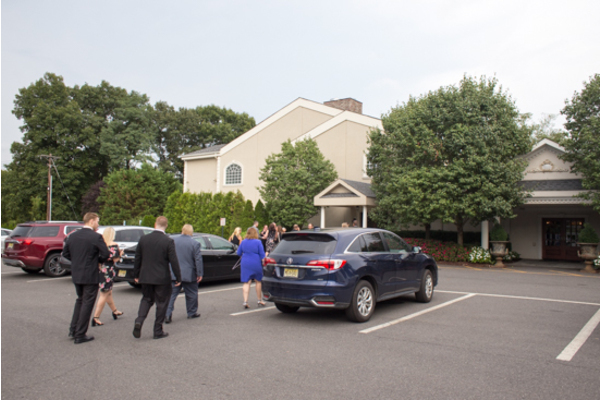 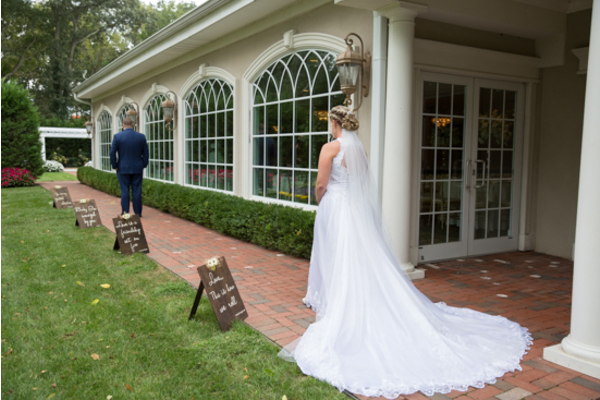 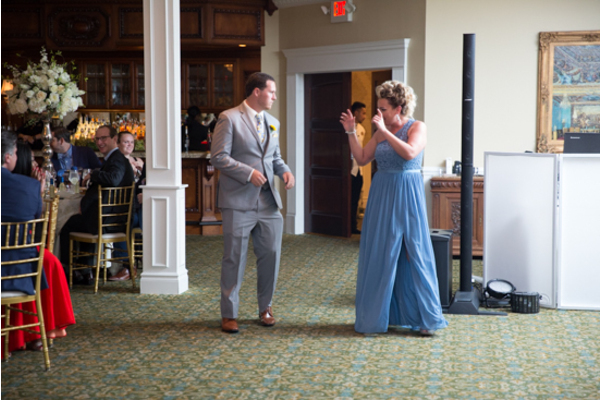 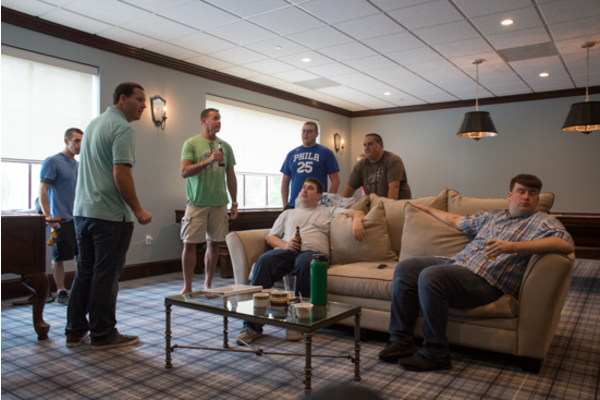 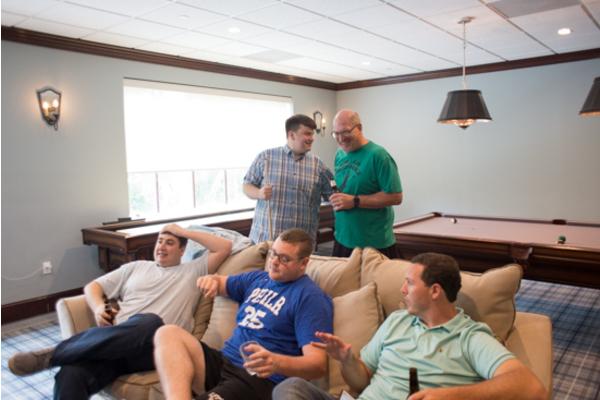 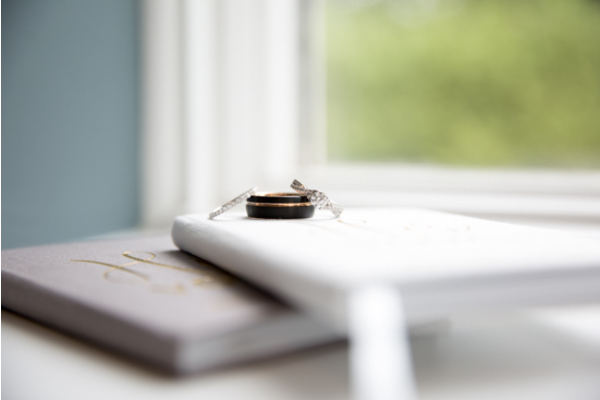 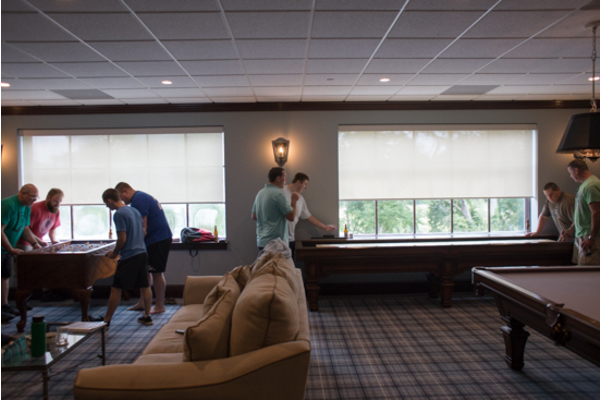 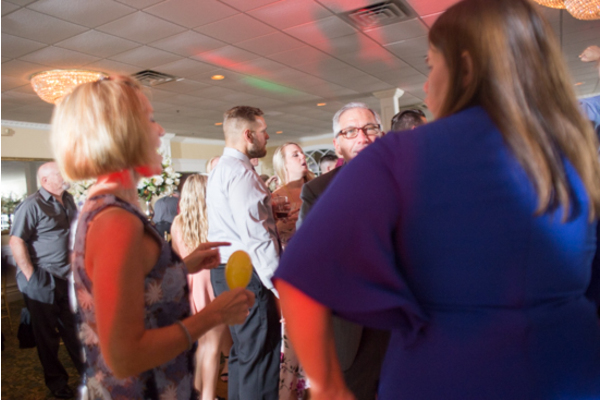 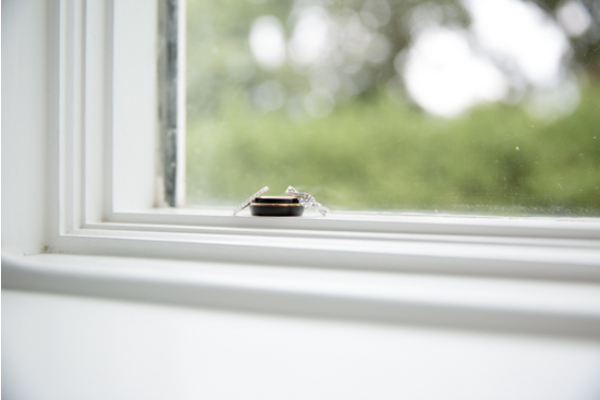 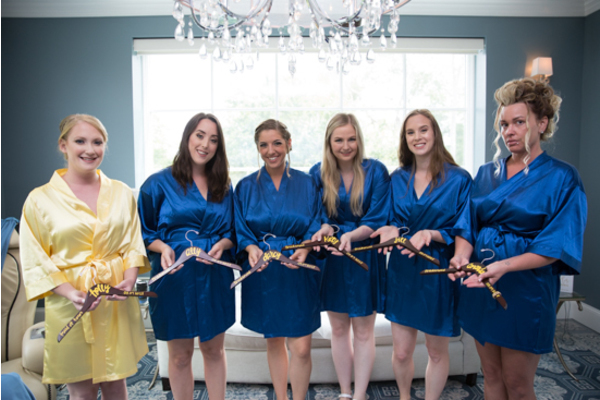 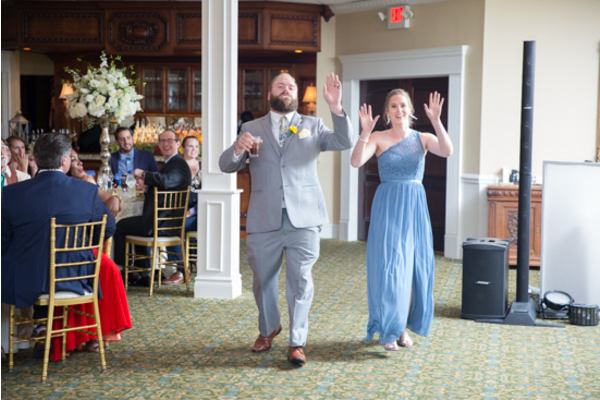 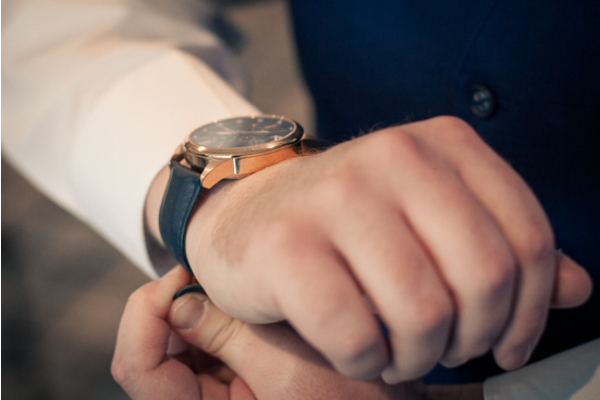 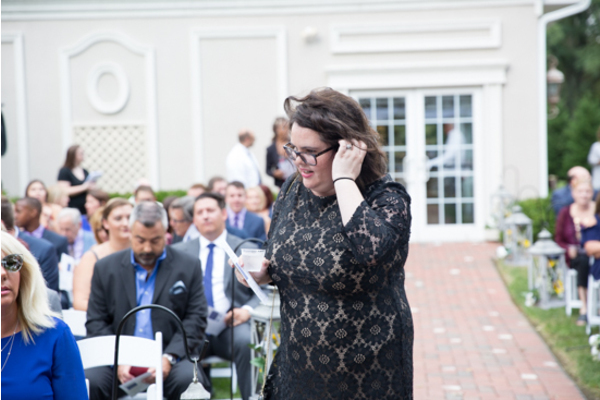 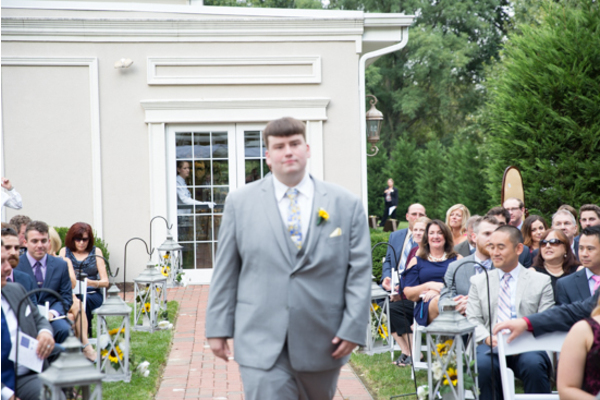 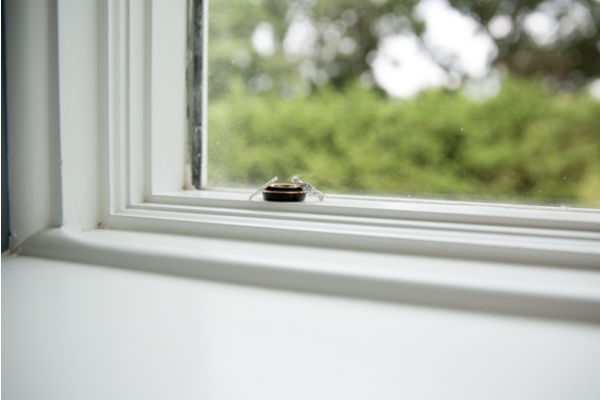 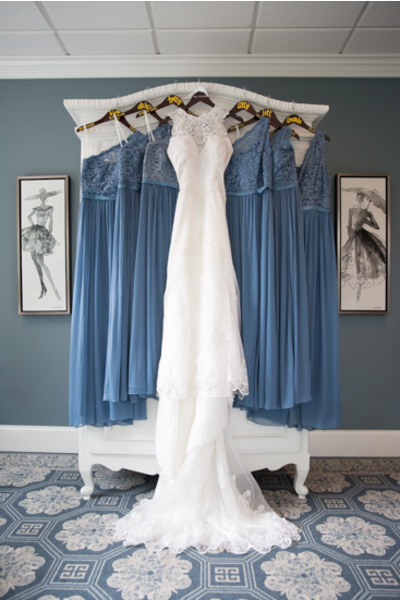 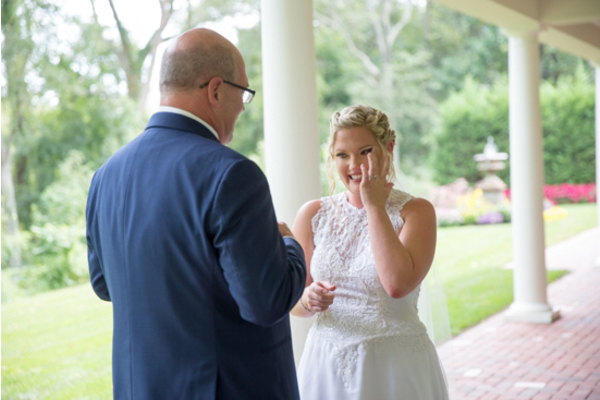 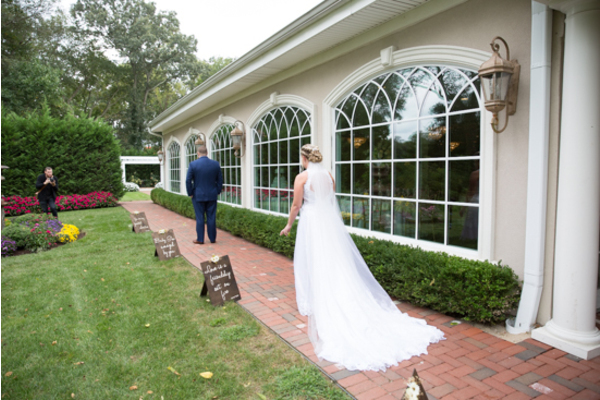 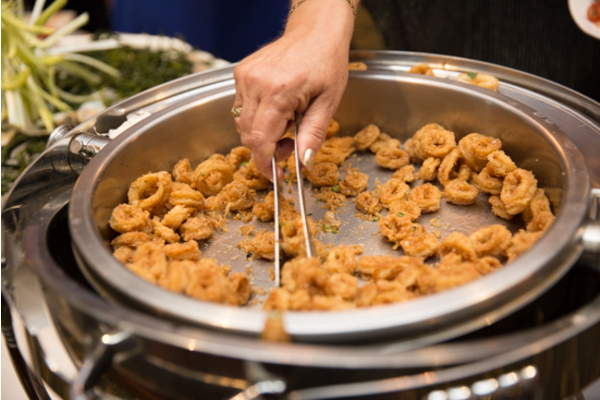 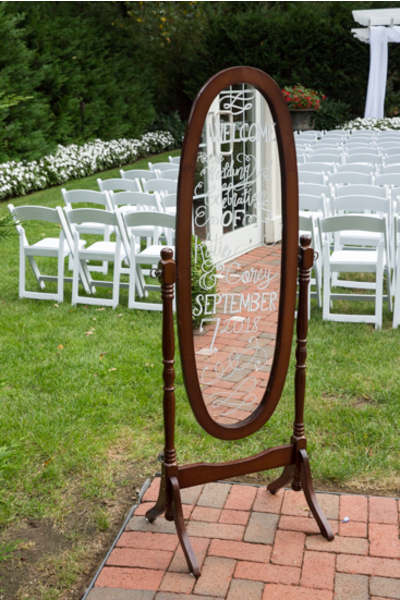 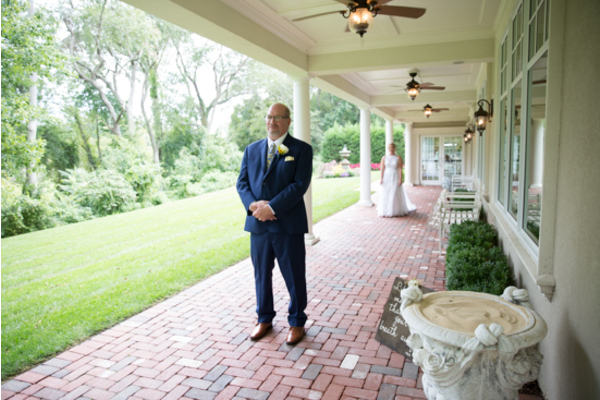 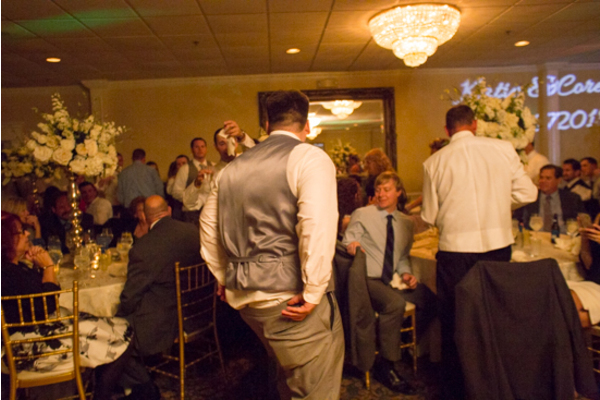 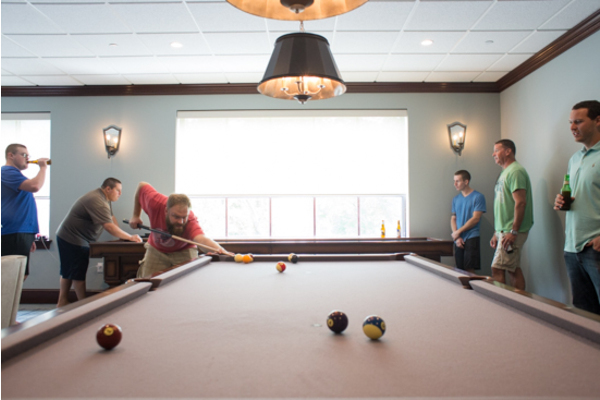 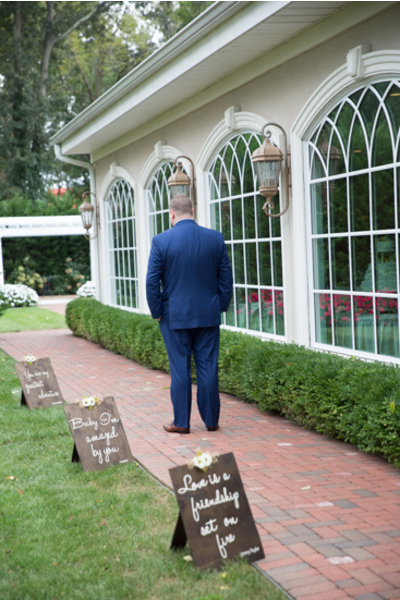 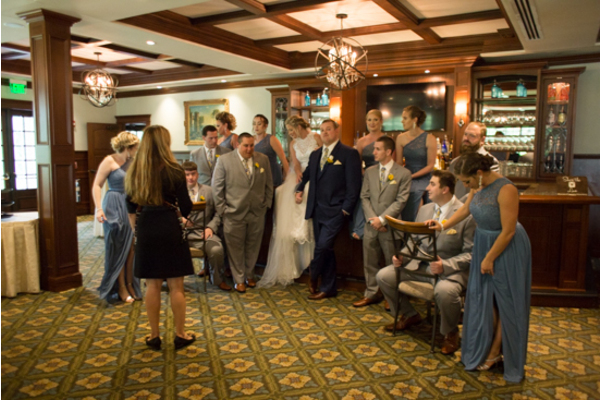 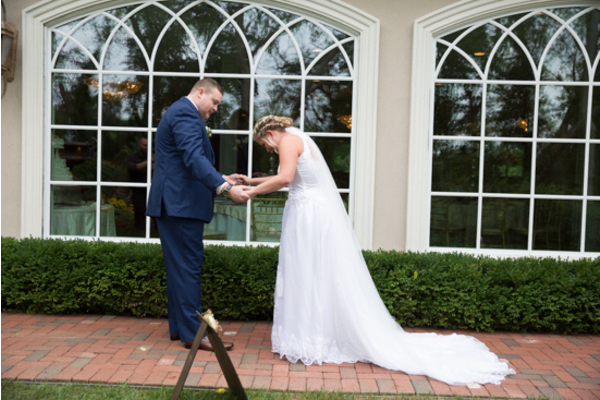 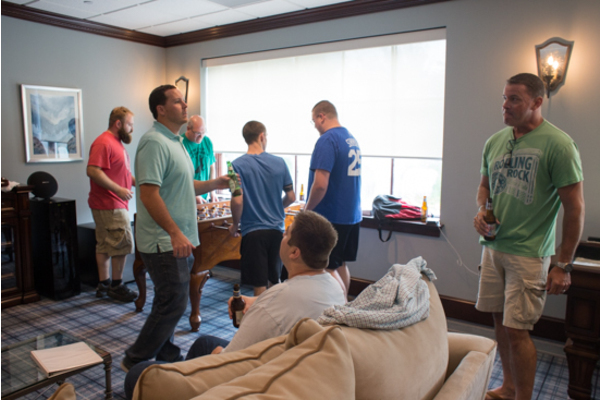 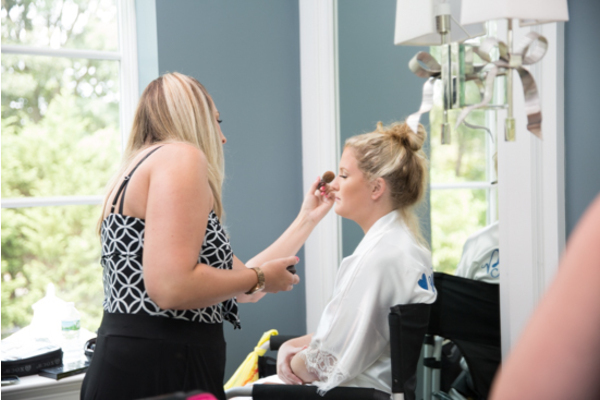 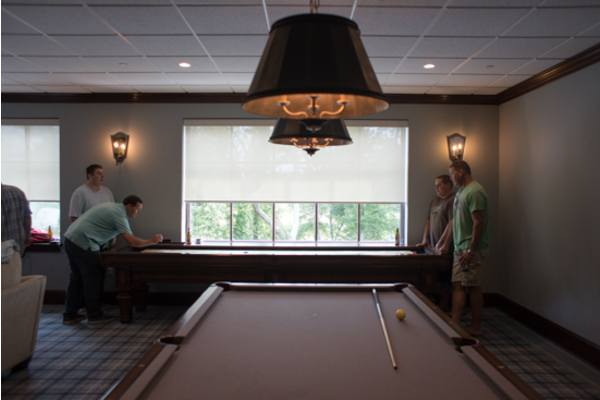 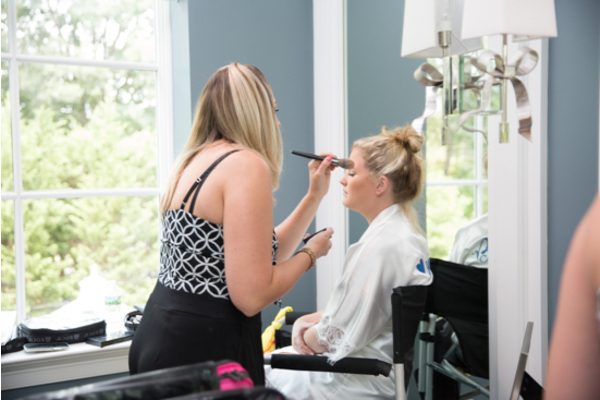 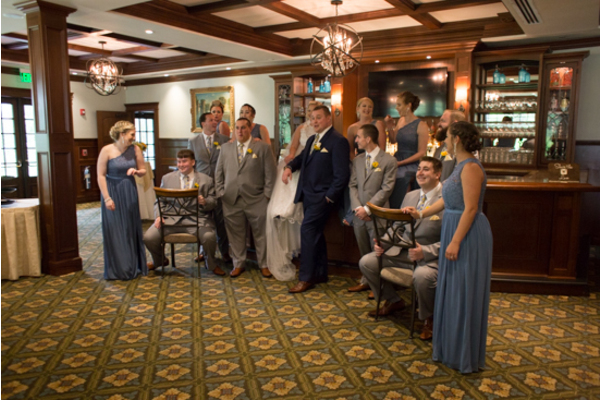 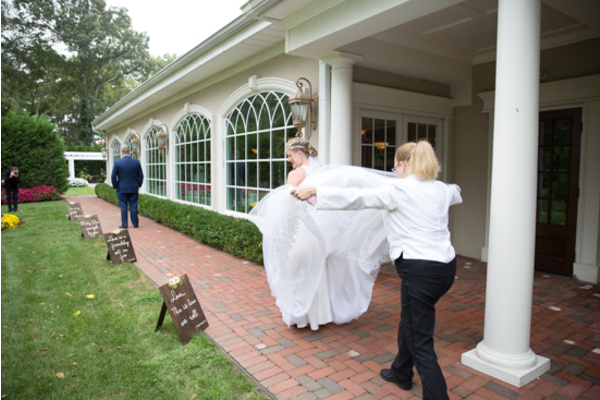 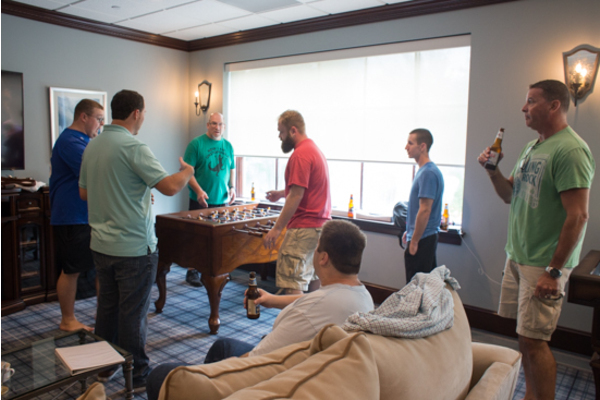 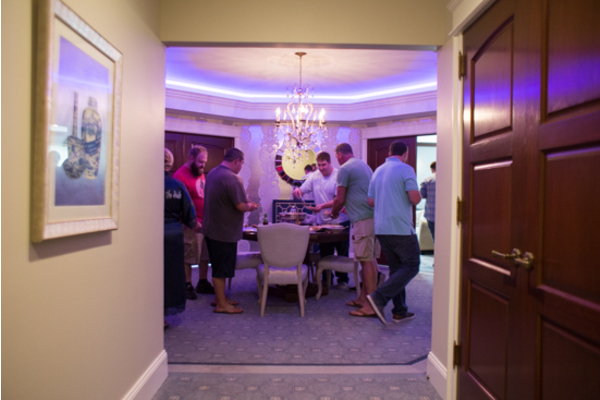 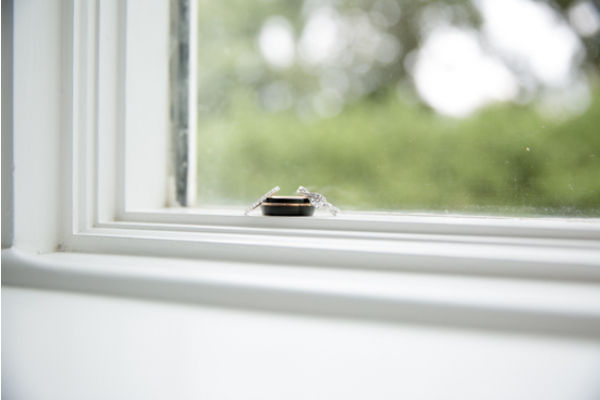 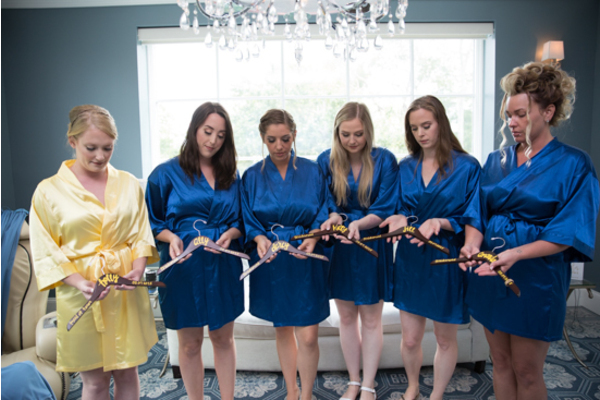 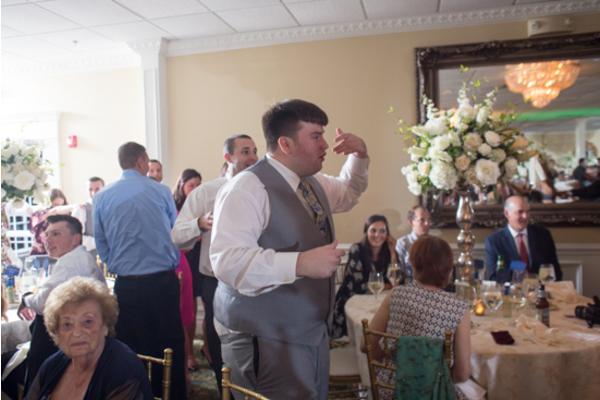 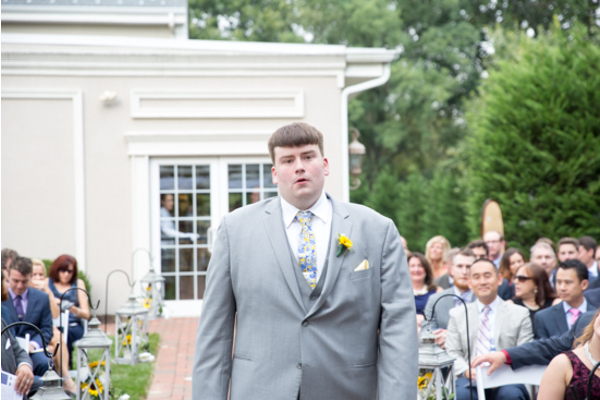 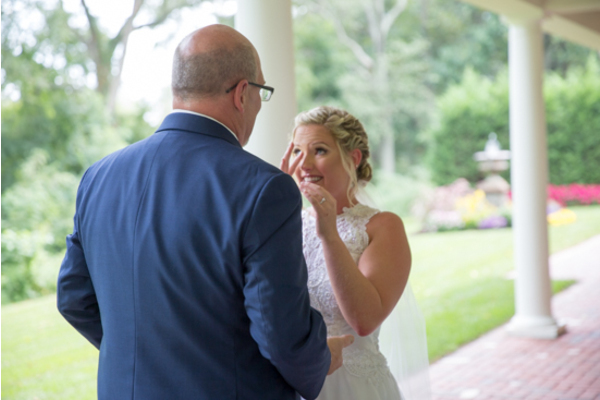 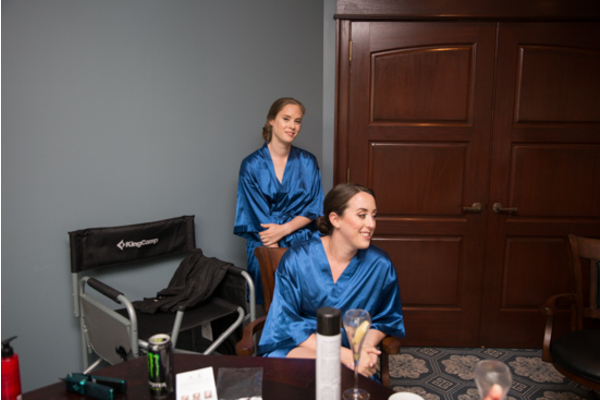 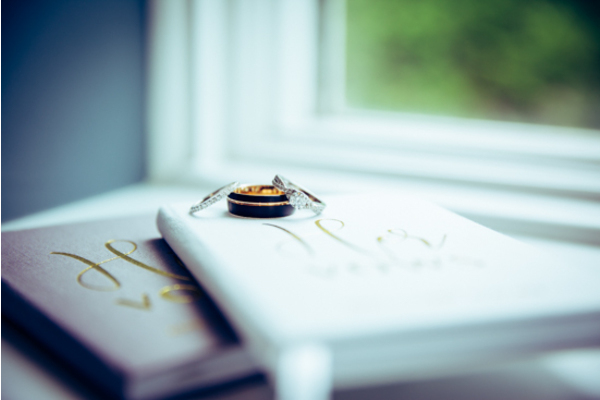 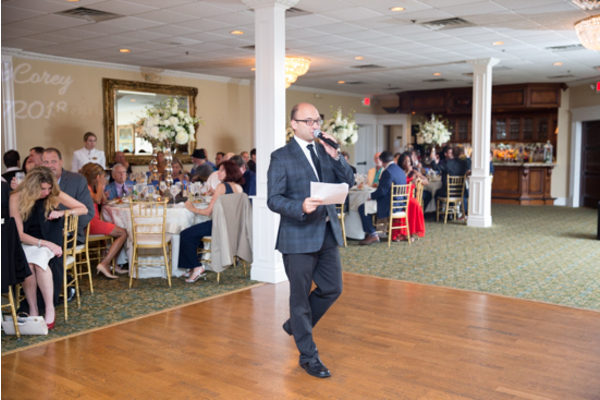 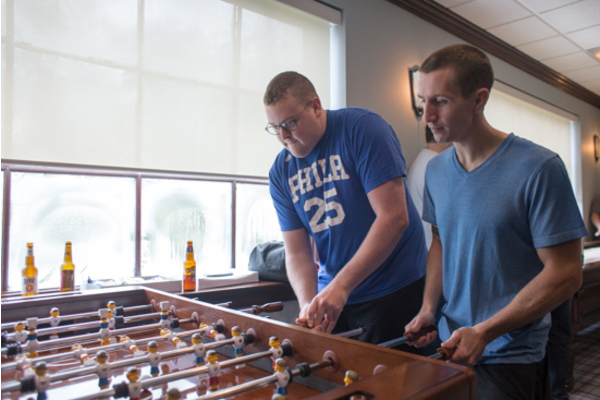 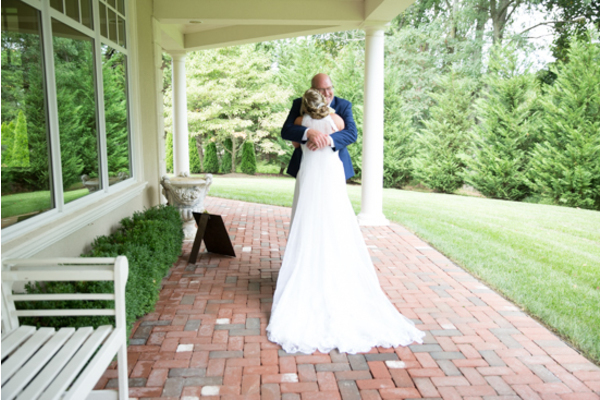 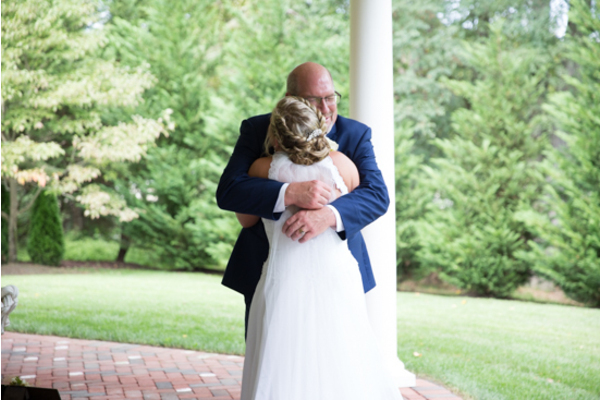 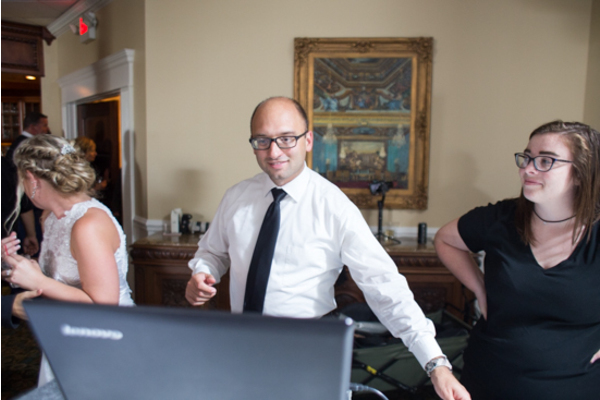 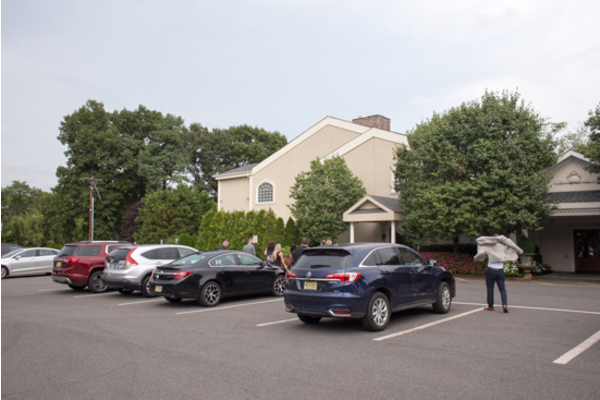 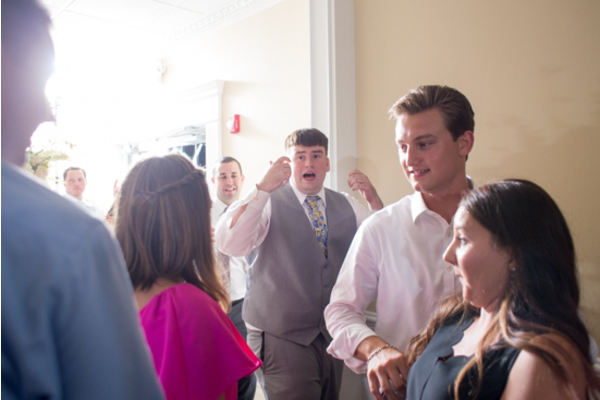 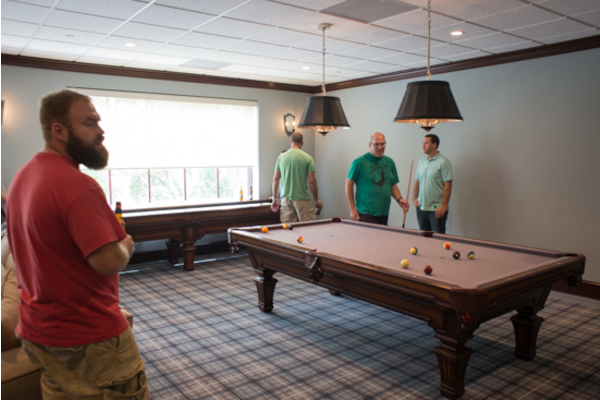 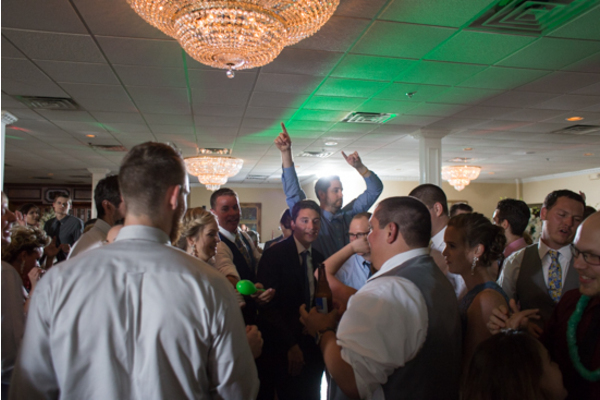 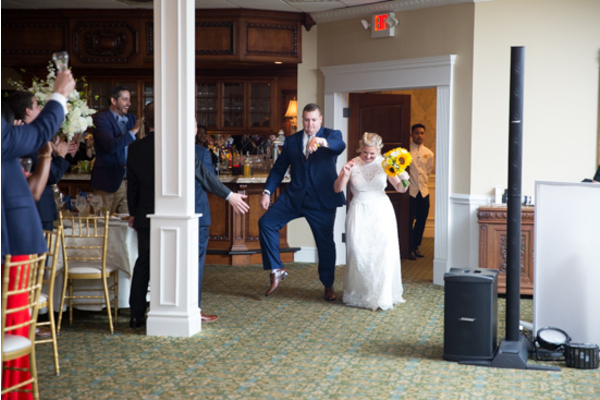 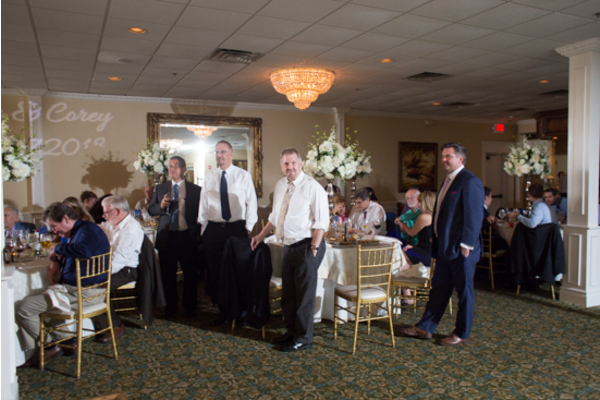 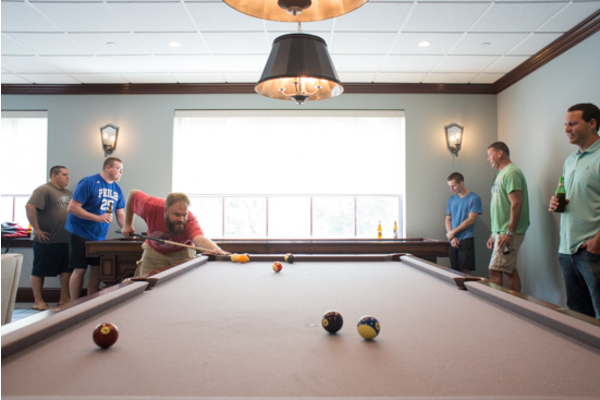 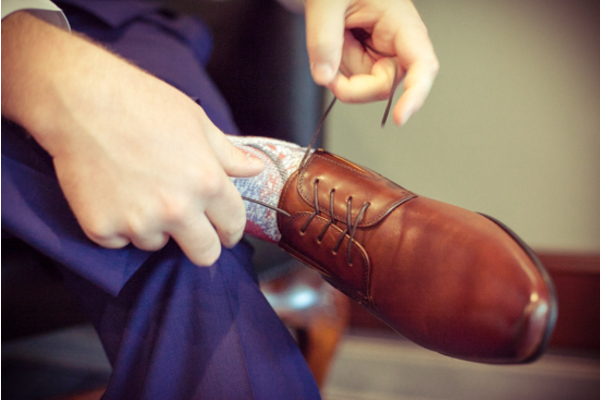 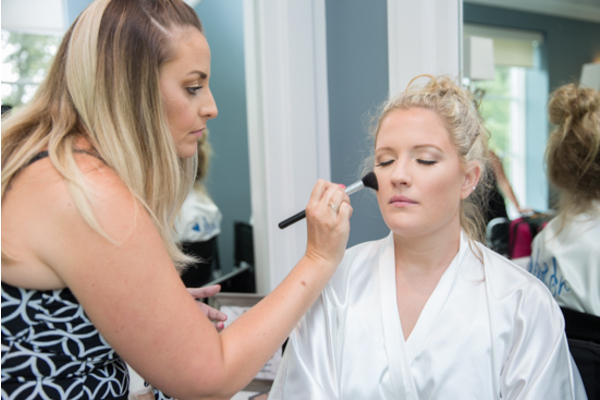 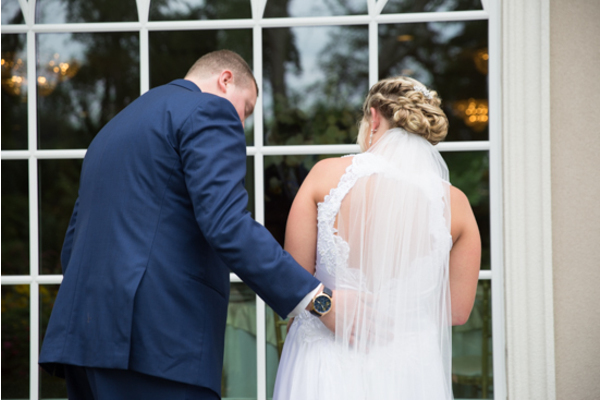 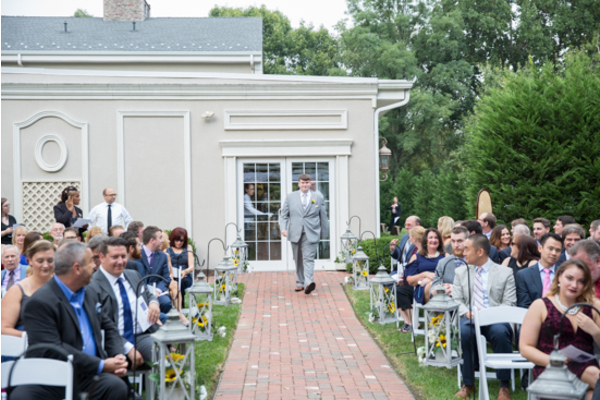 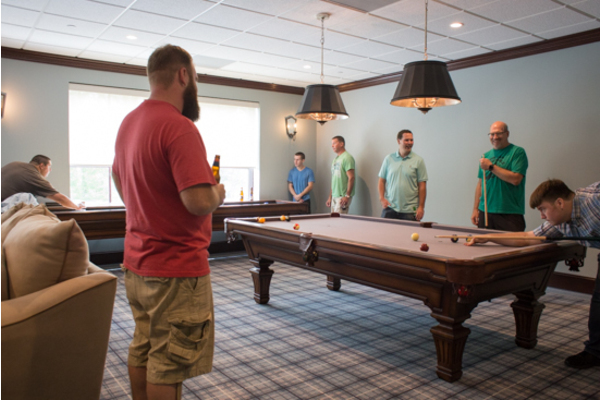 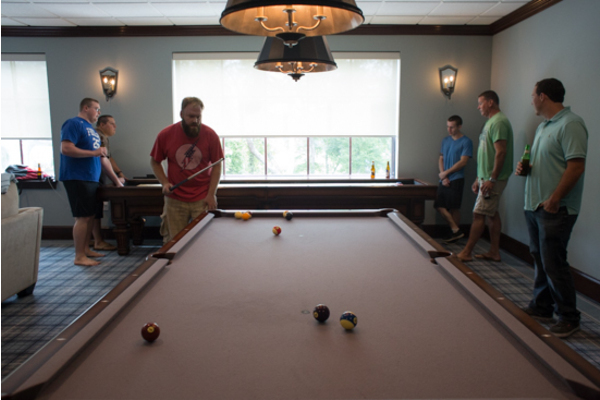 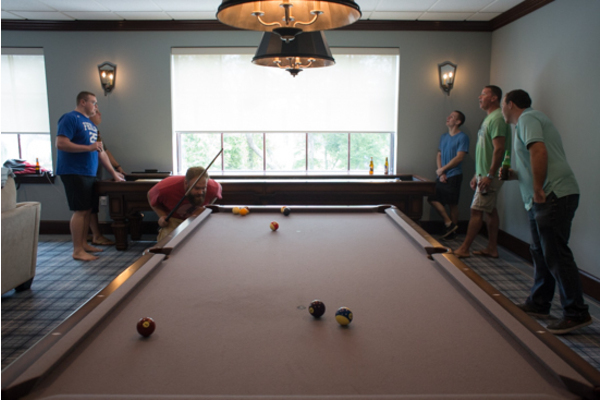 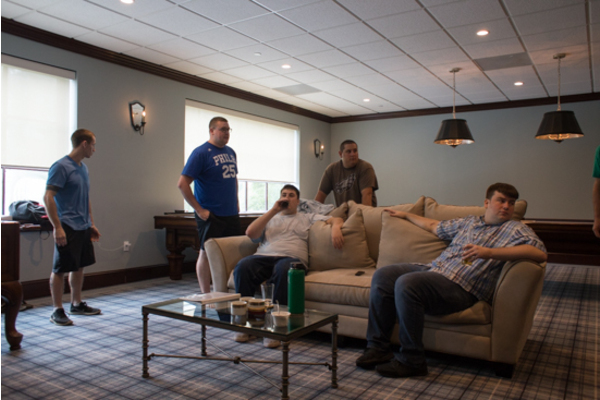 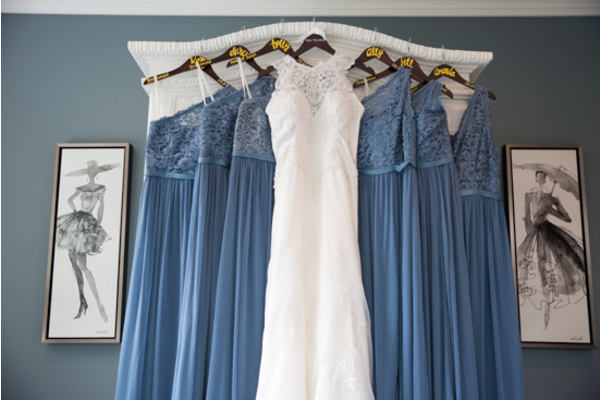 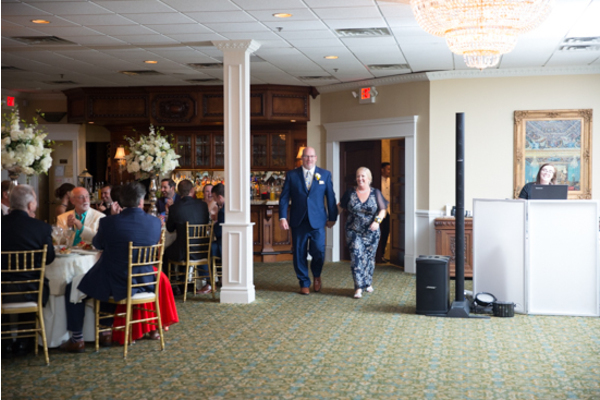 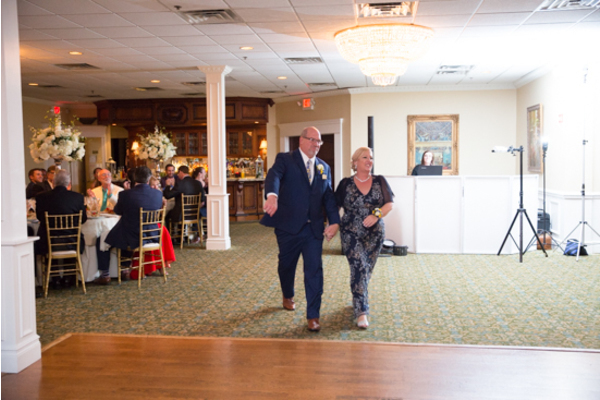 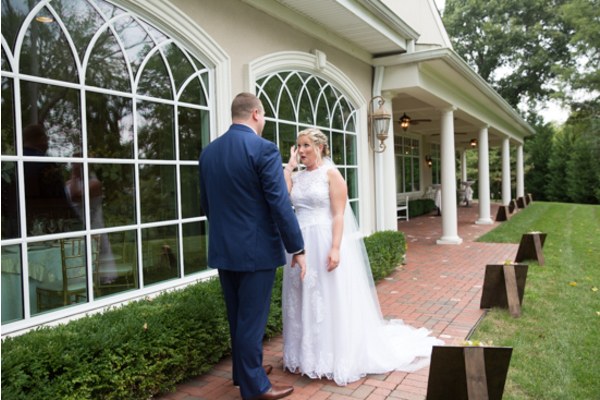 Our NJ Wedding Photographer captured the final moments of getting ready. 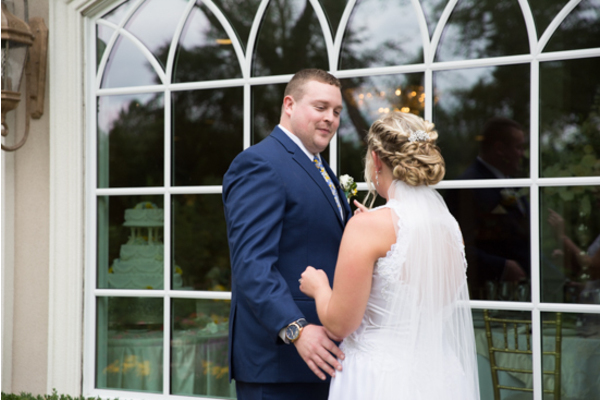 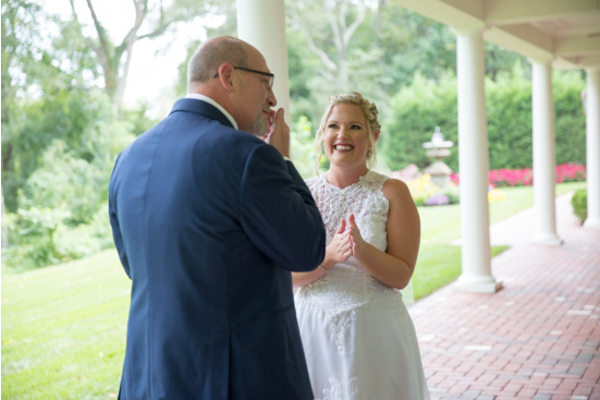 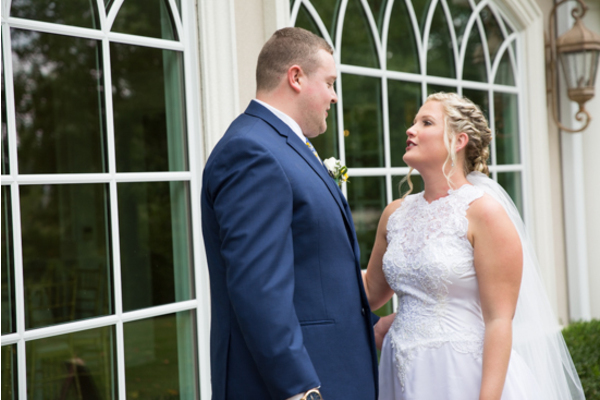 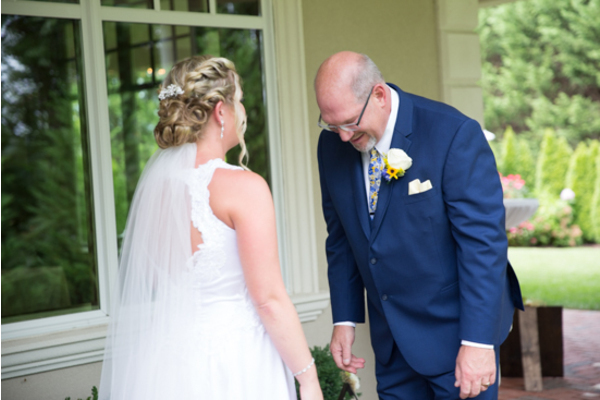 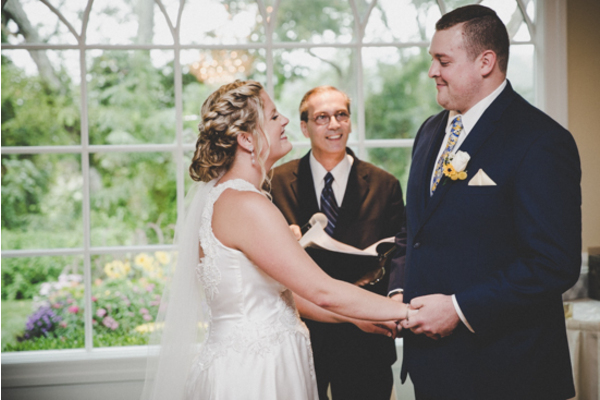 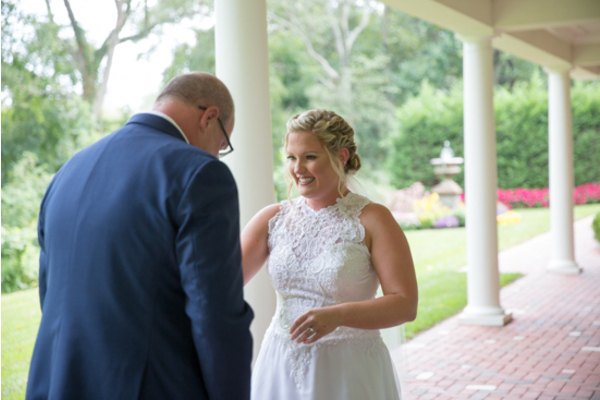 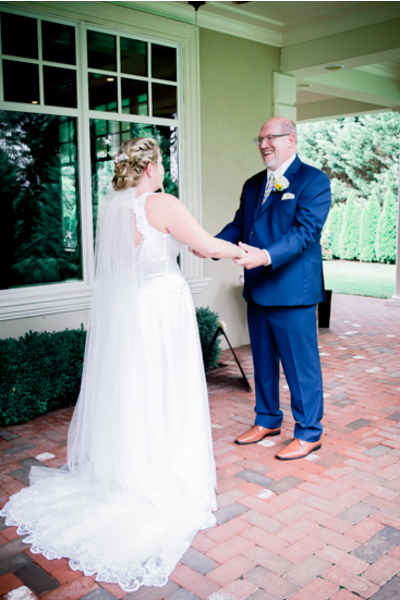 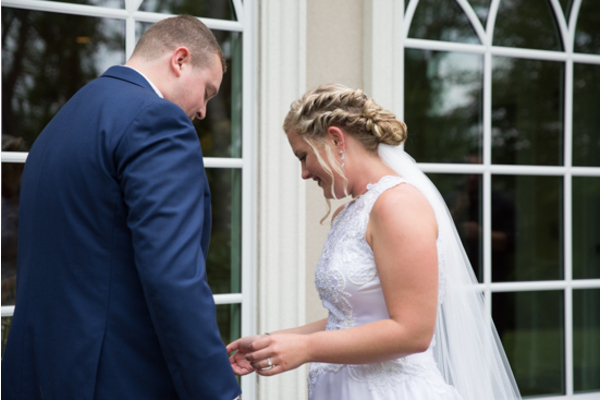 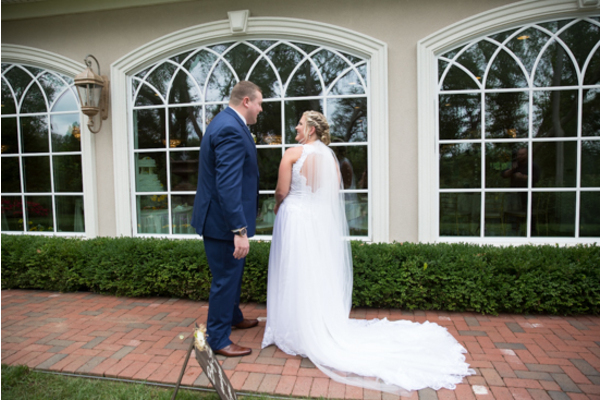 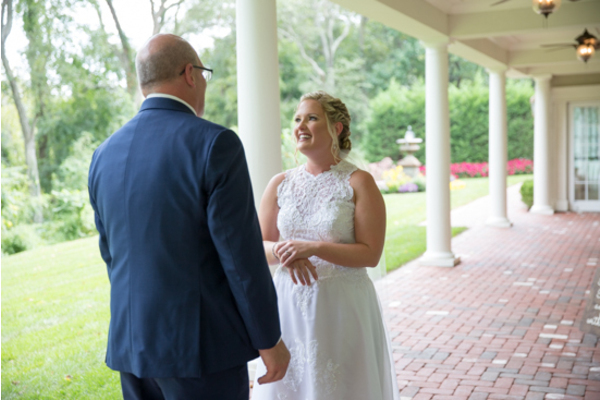 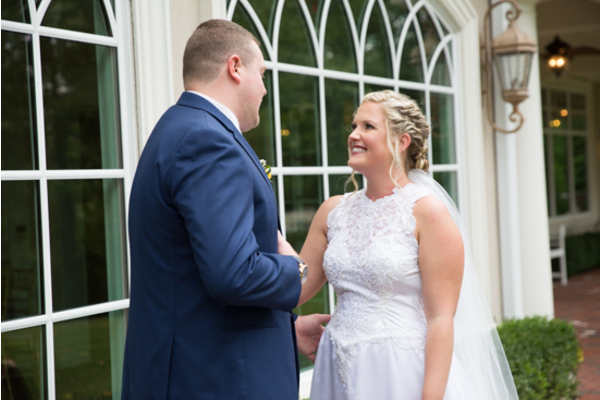 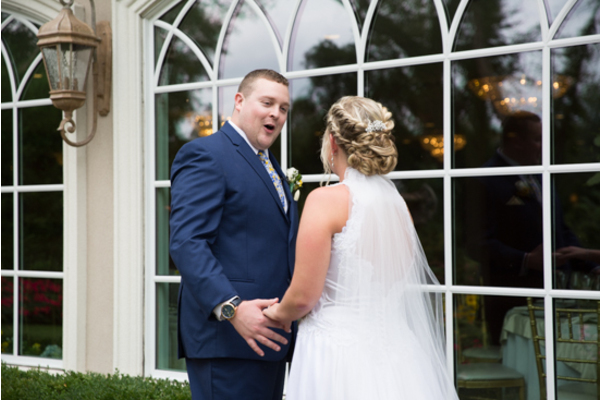 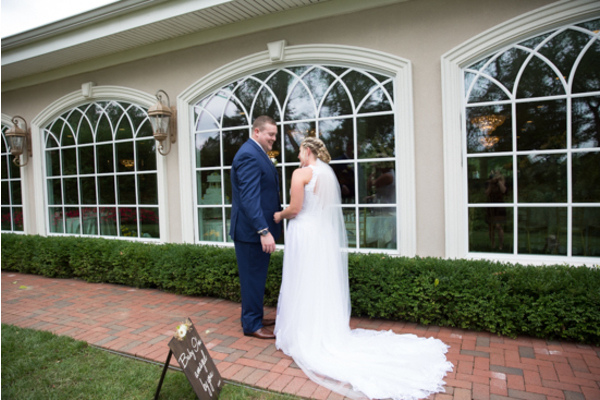 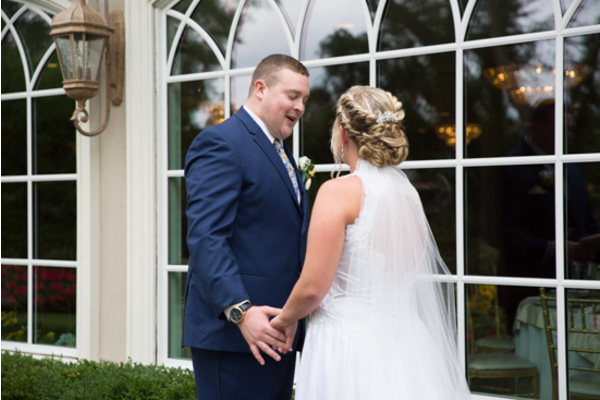 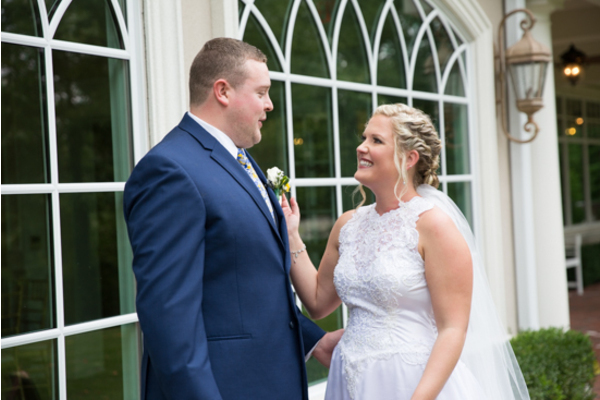 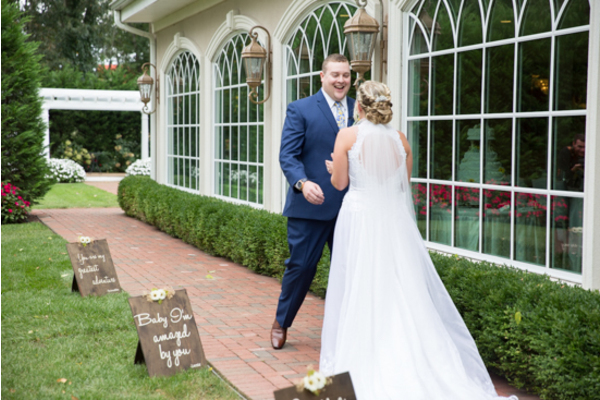 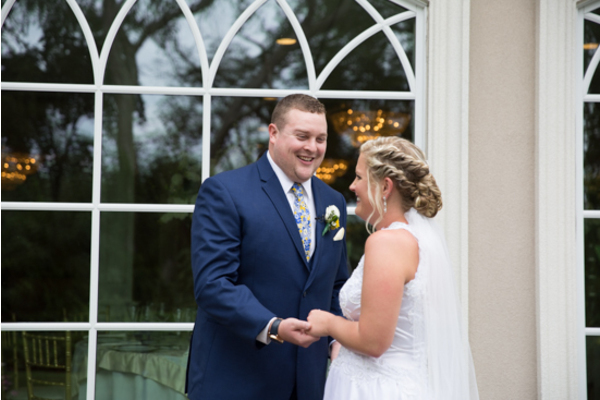 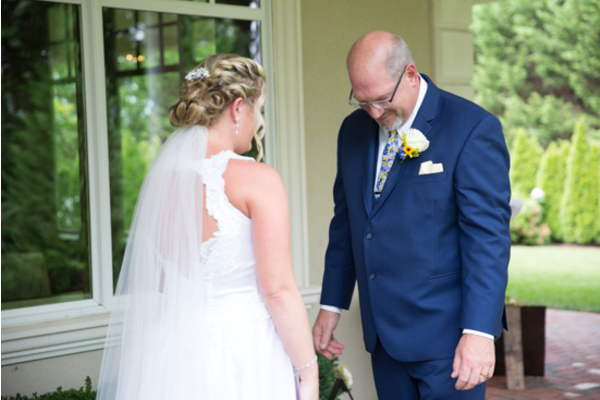 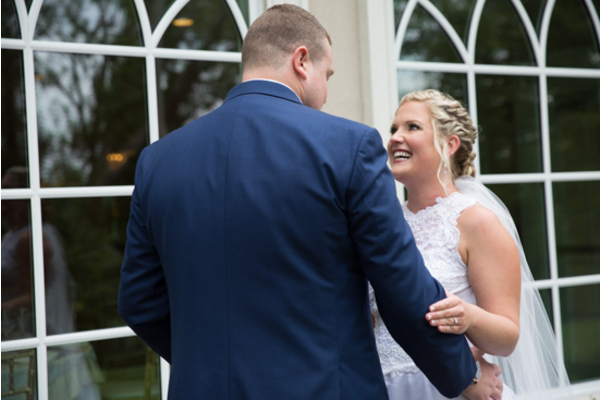 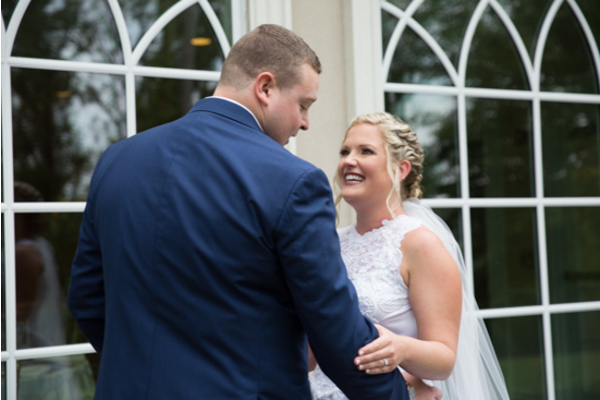 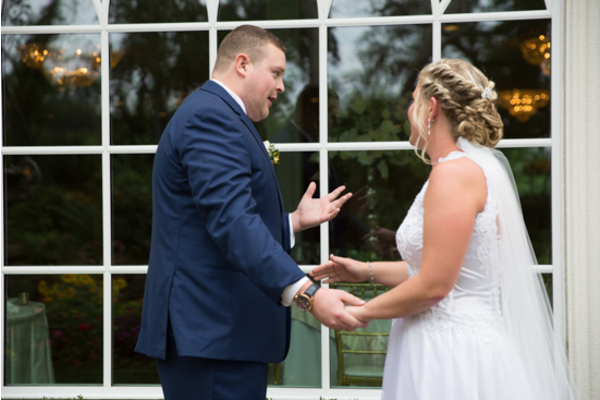 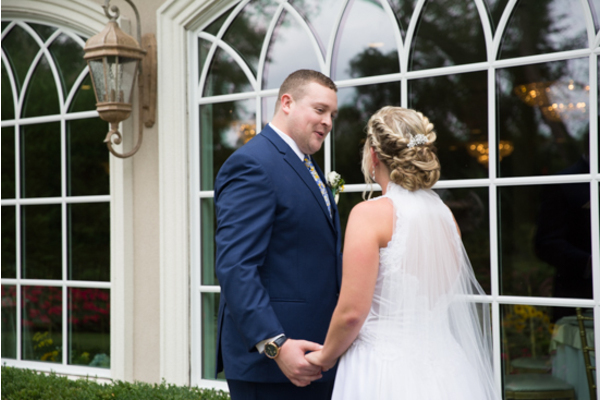 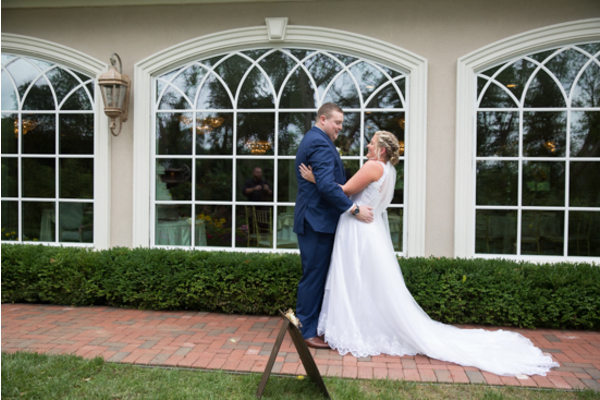 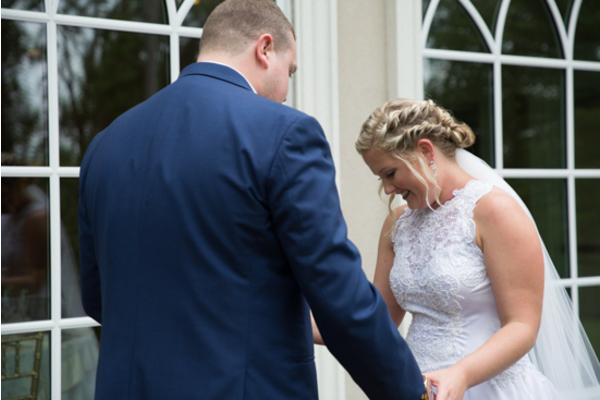 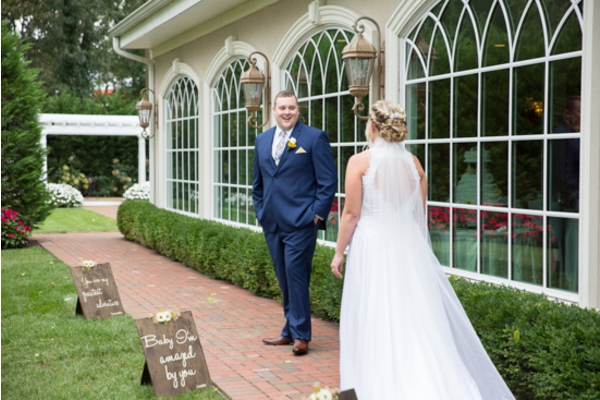 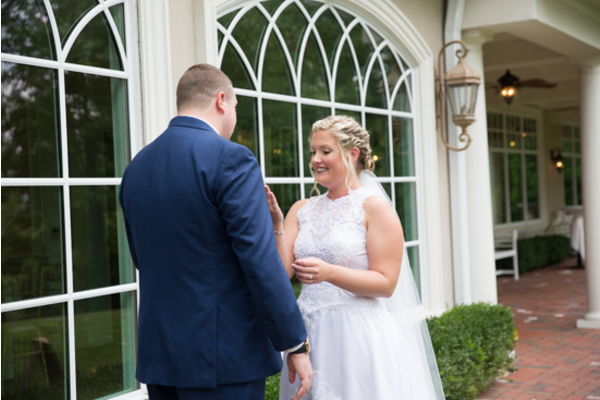 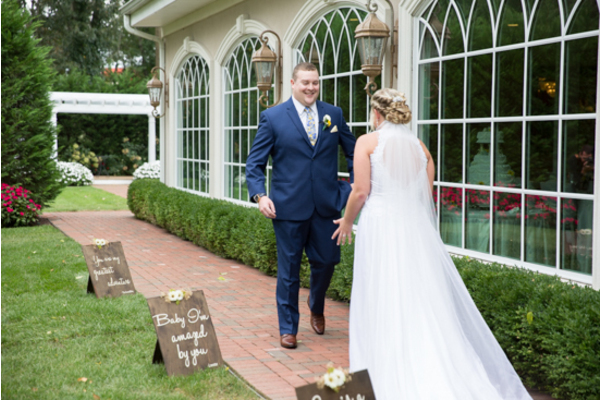 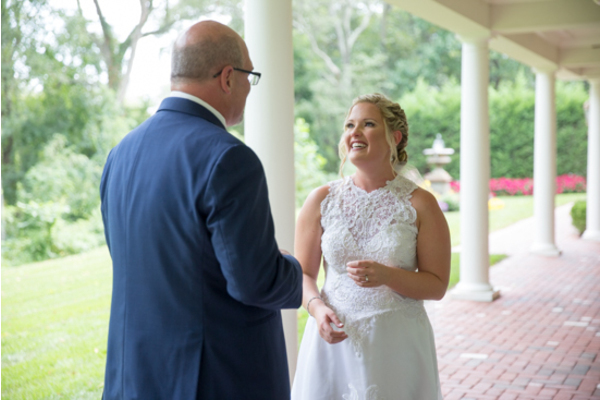 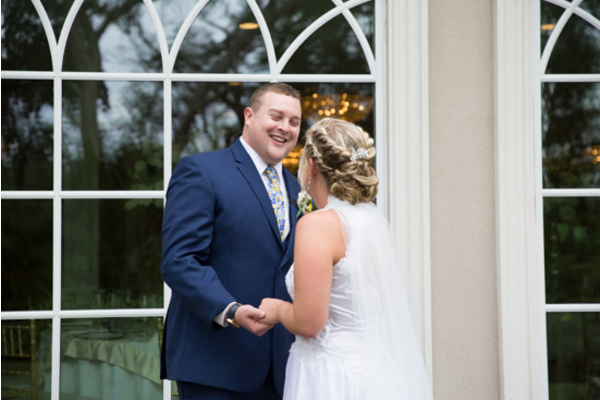 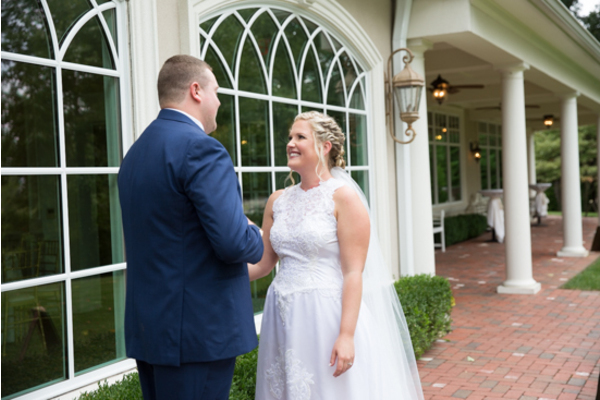 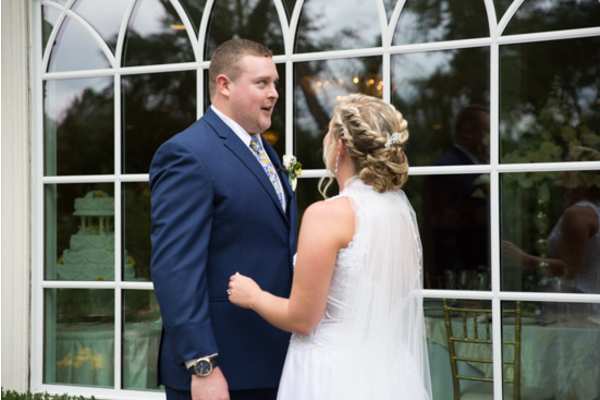 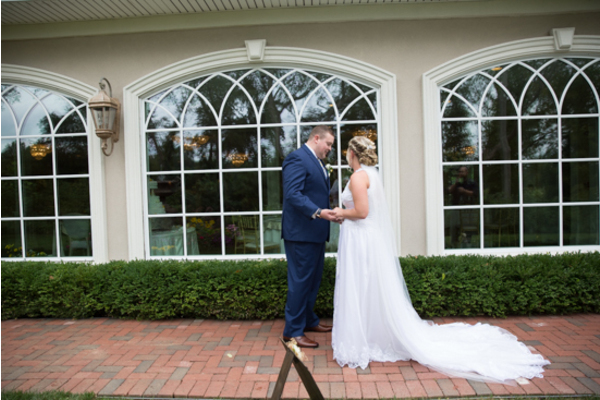 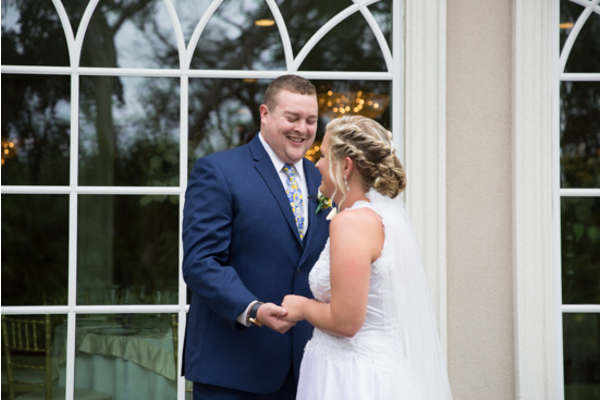 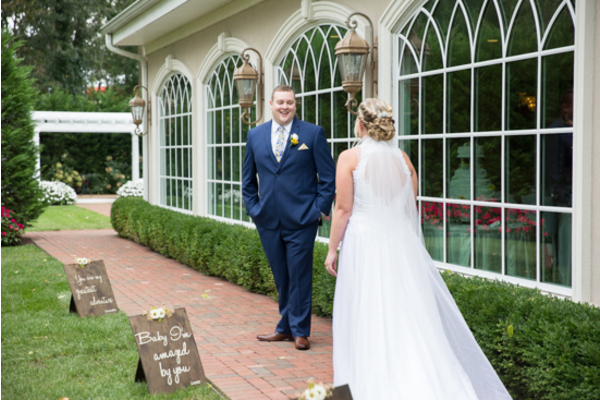 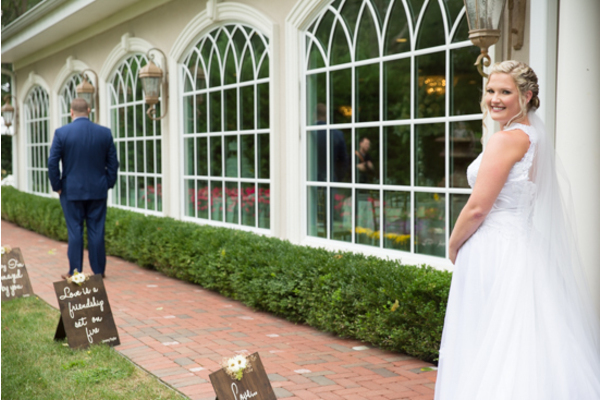 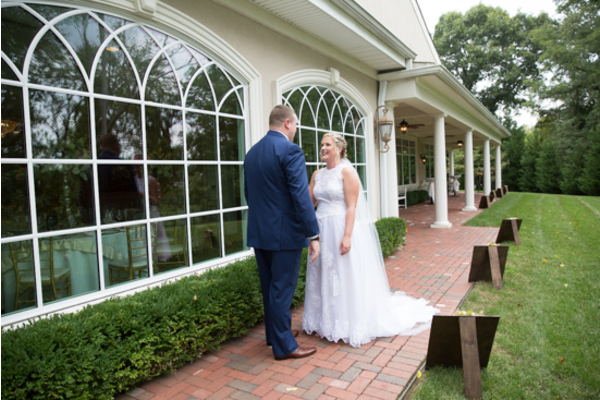 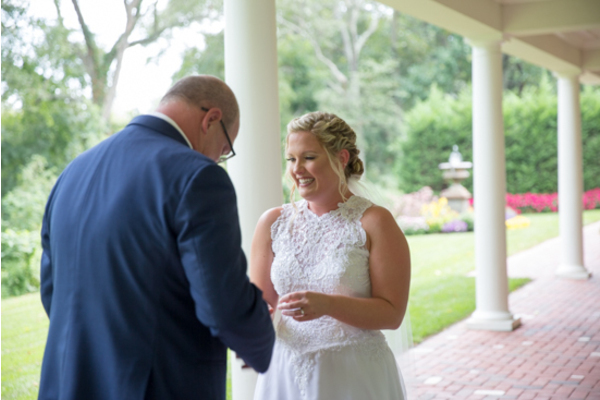 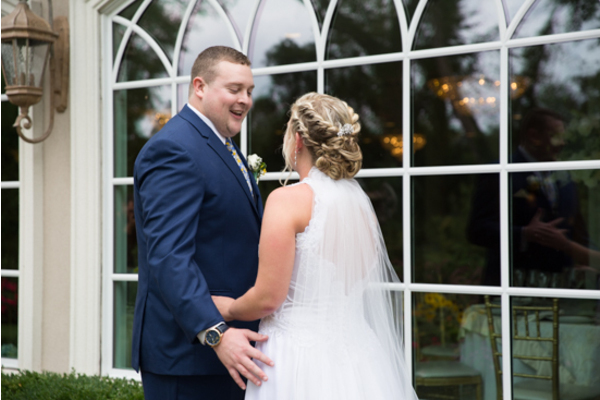 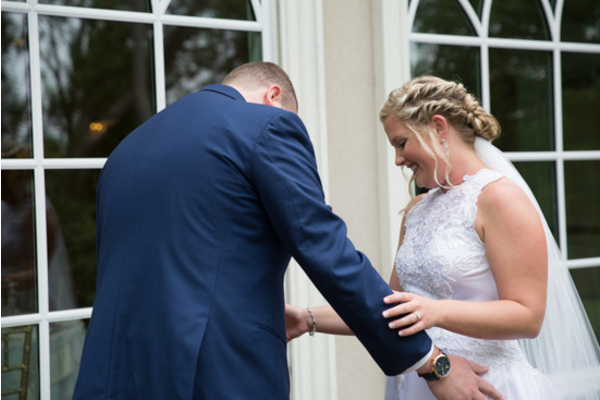 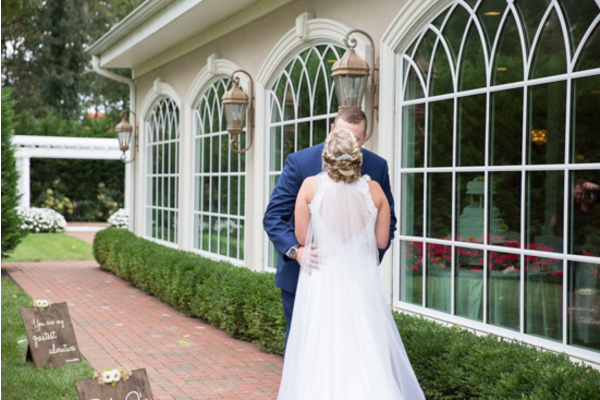 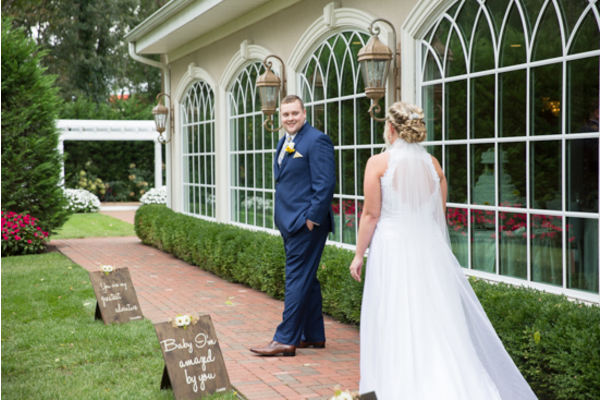 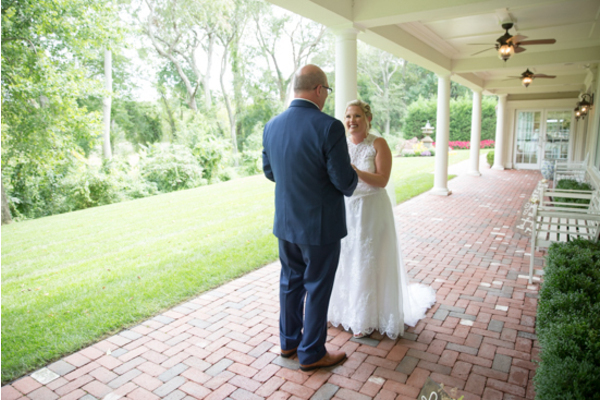 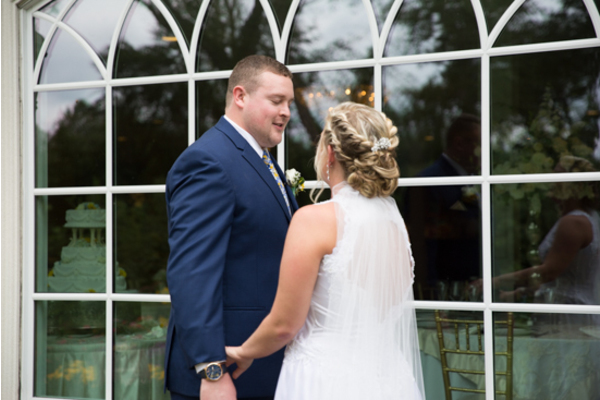 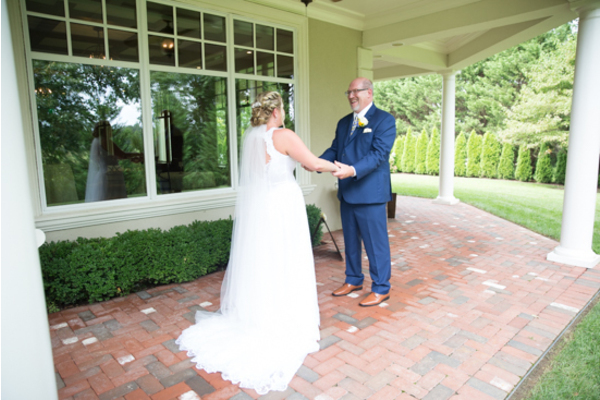 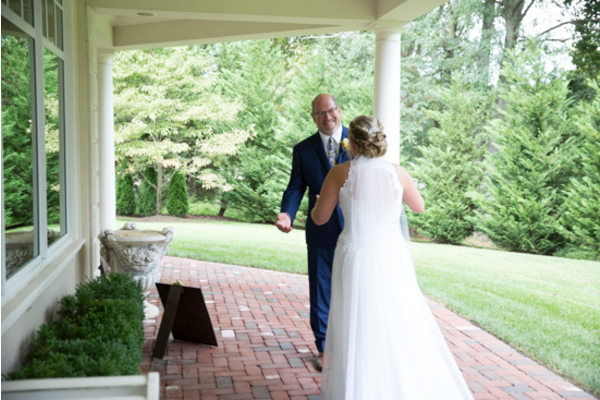 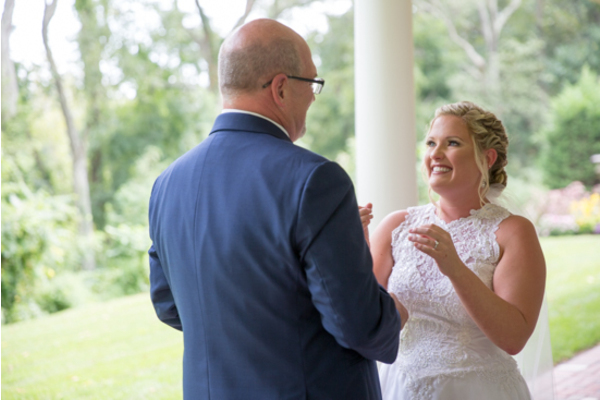 Before heading to the church, our NJ Wedding Photographer captured Katie and Corey meeting up for the first time before the ceremony. 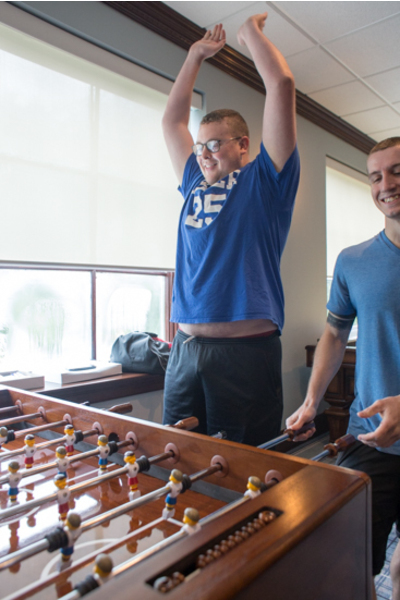 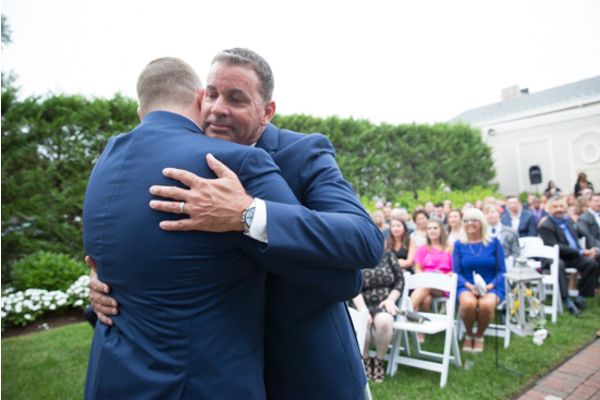 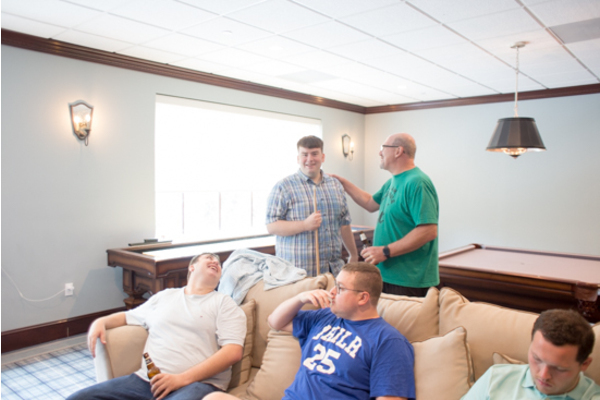 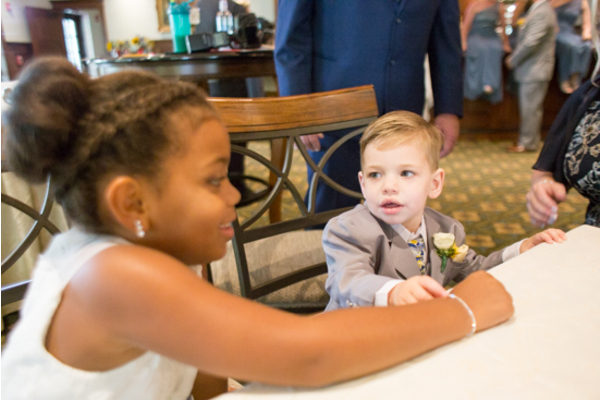 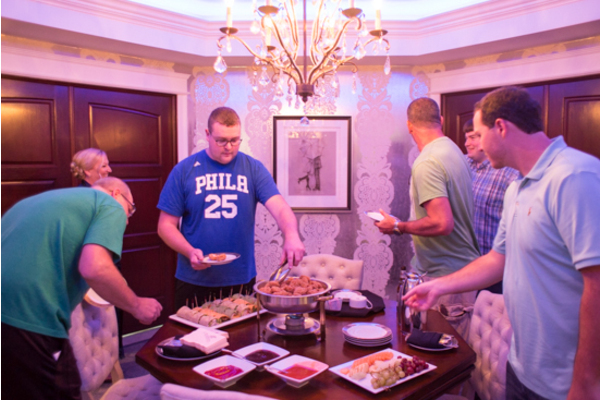 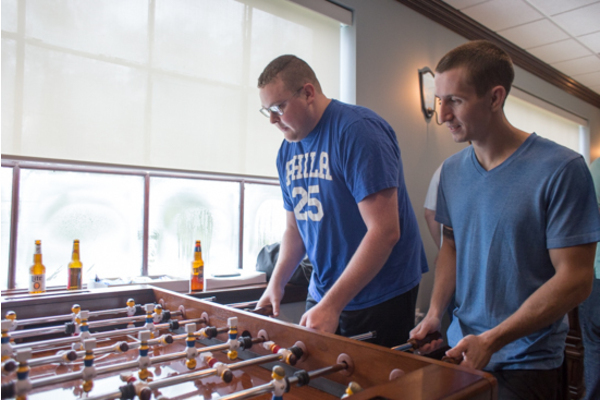 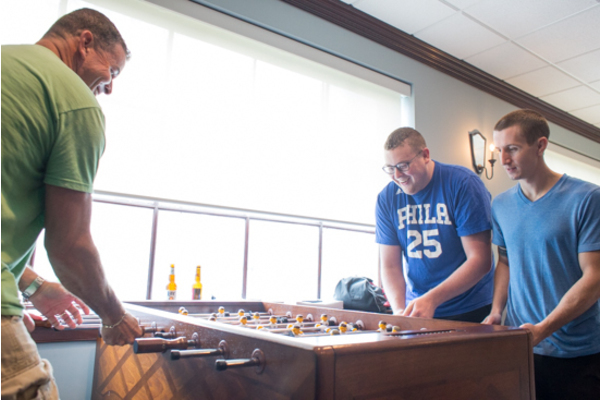 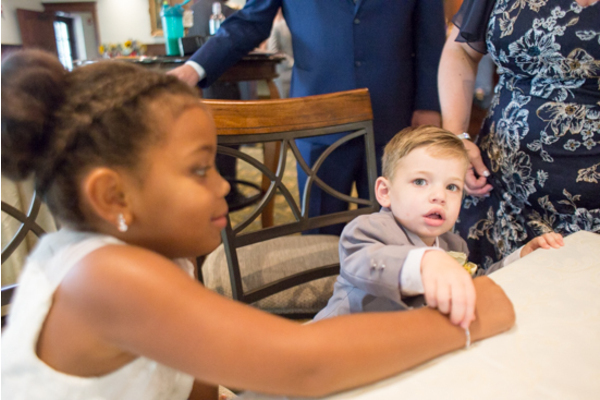 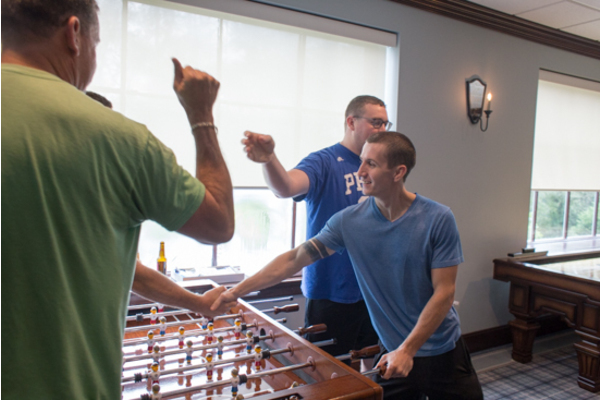 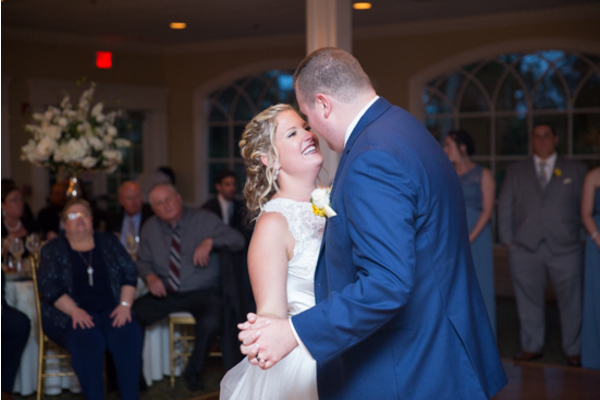 The look on Corey’s face said it all; pure happiness and love! 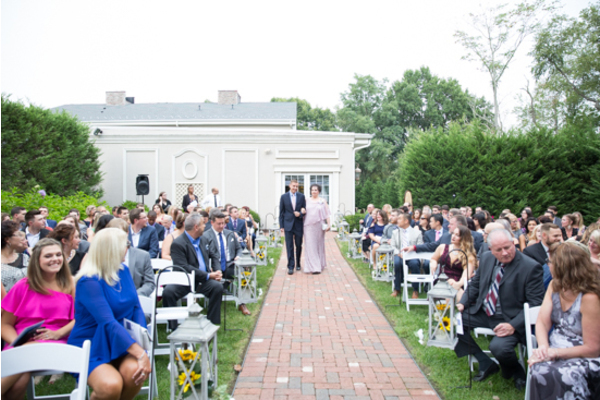 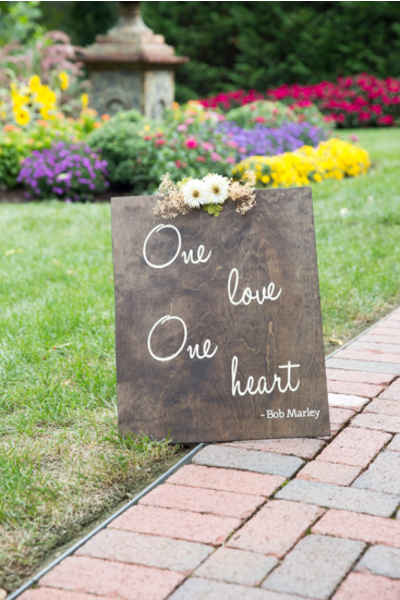 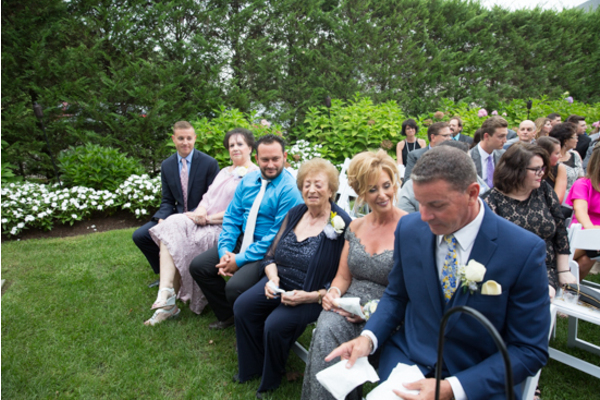 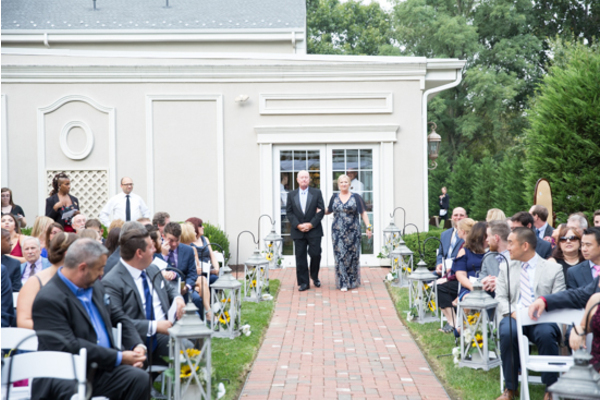 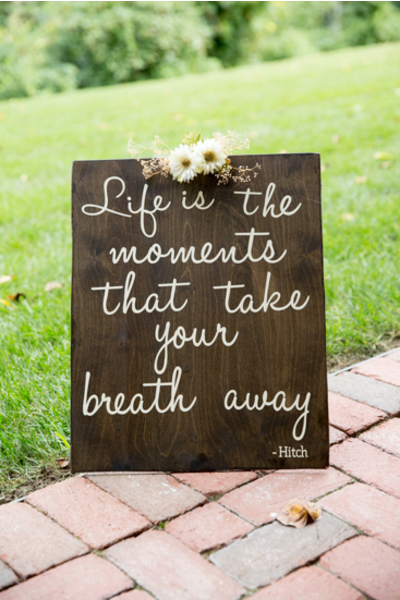 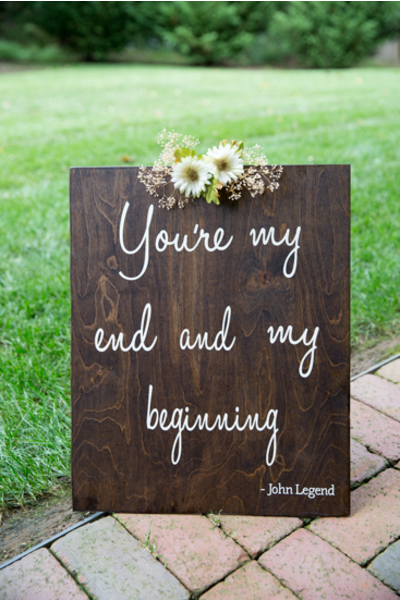 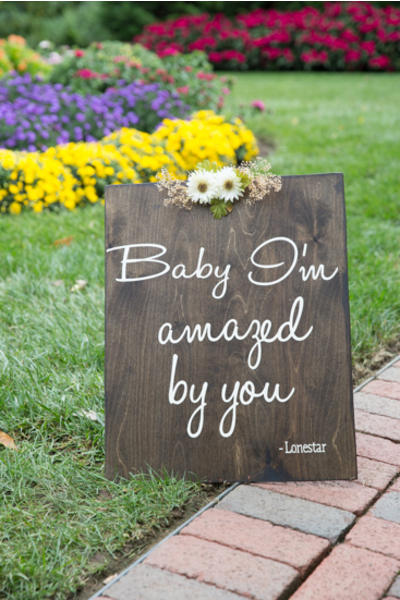 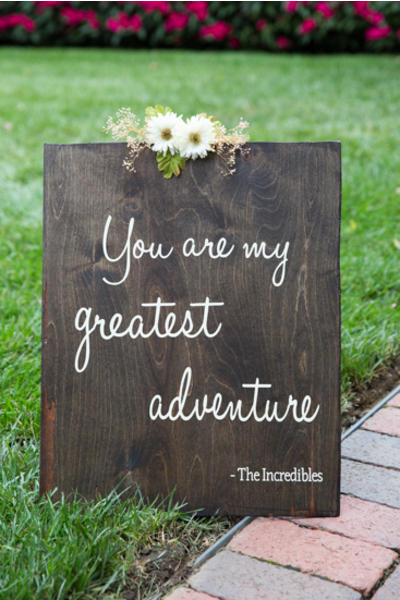 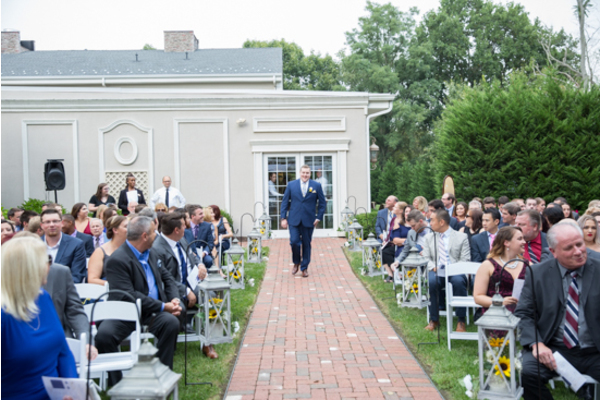 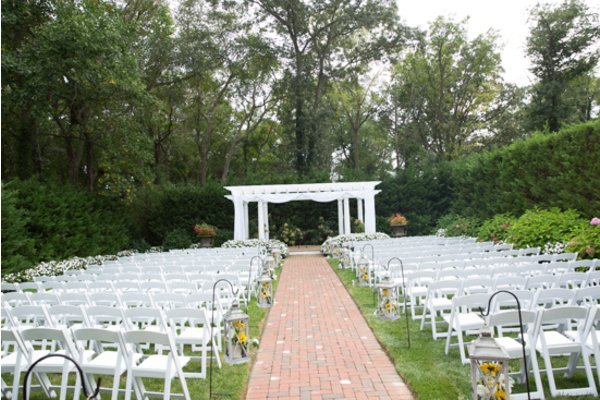 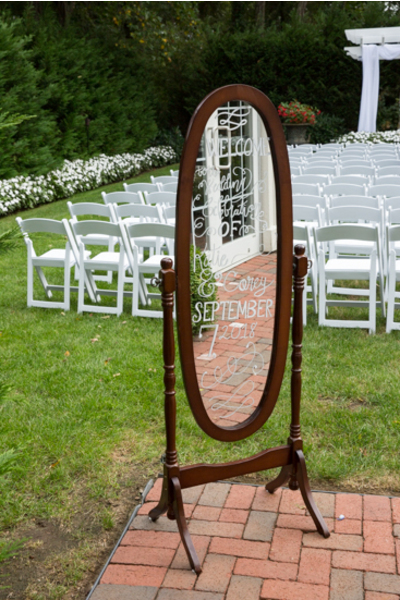 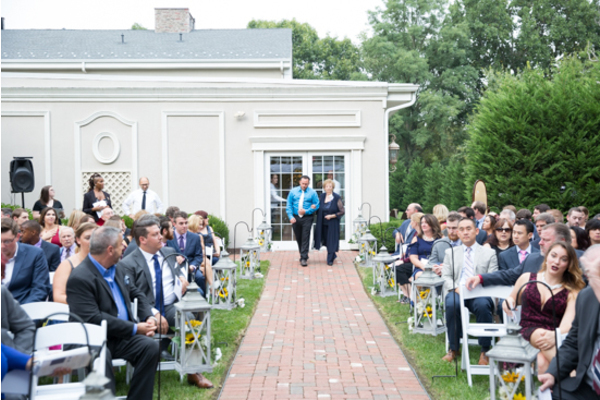 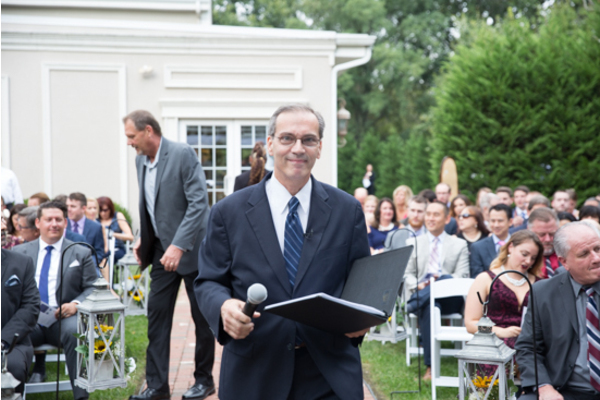 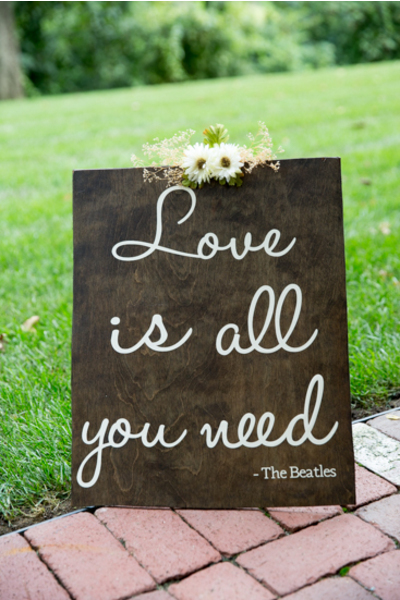 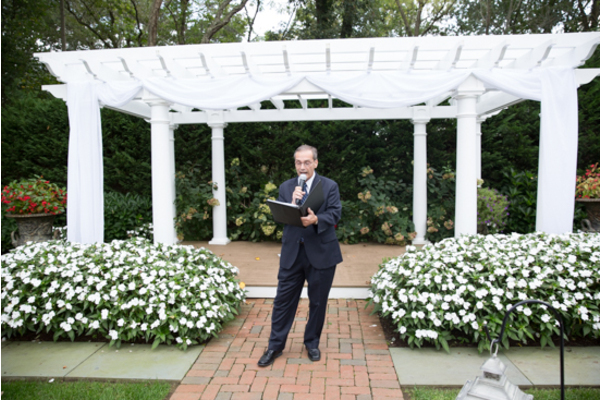 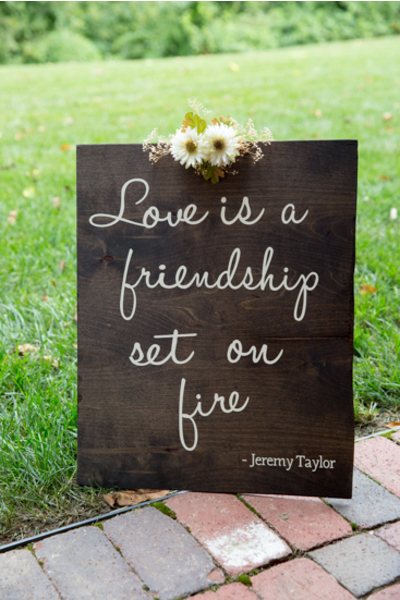 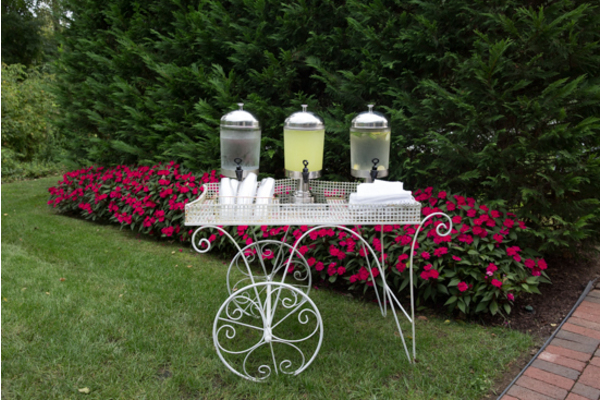 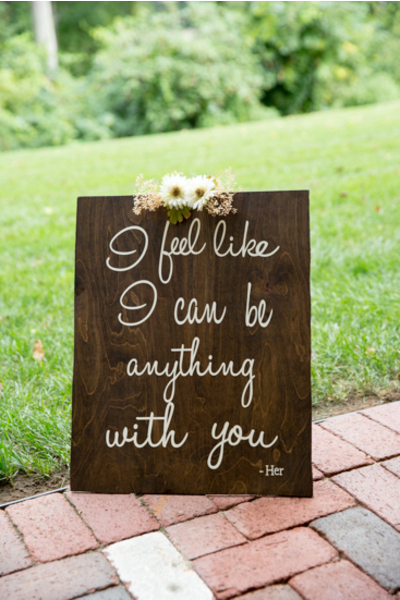 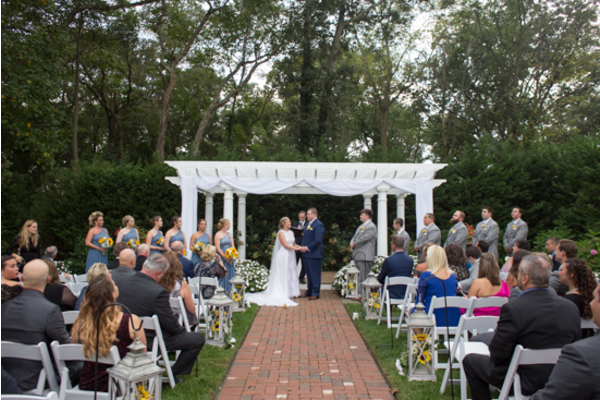 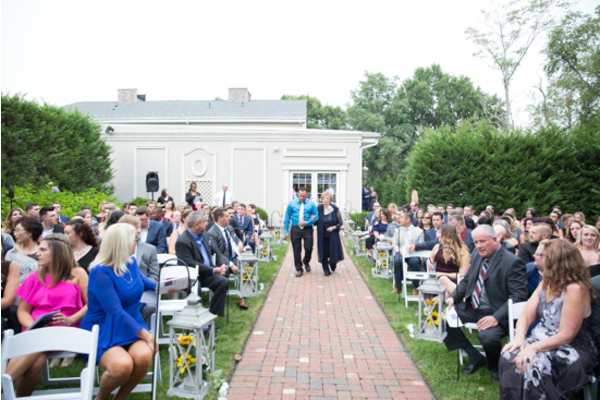 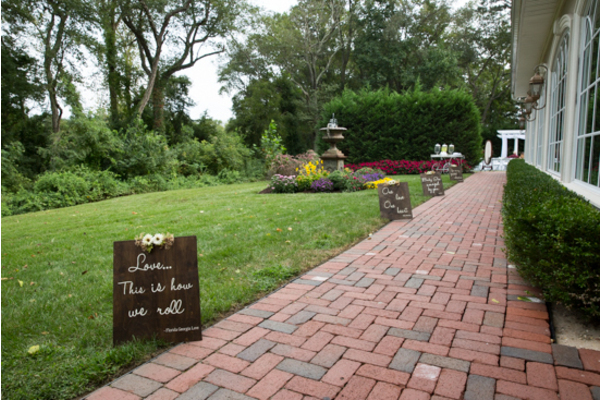 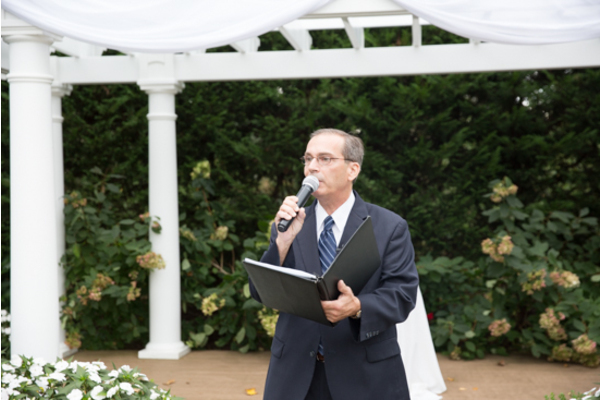 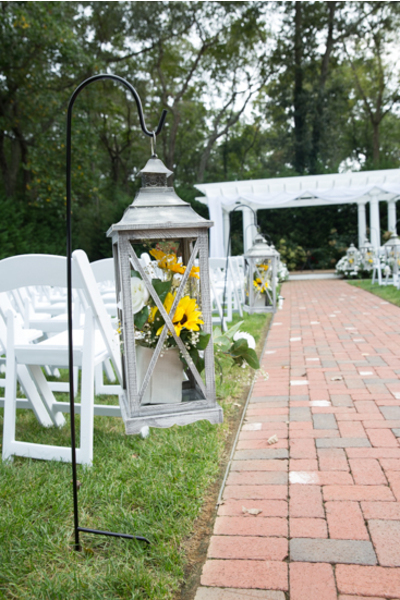 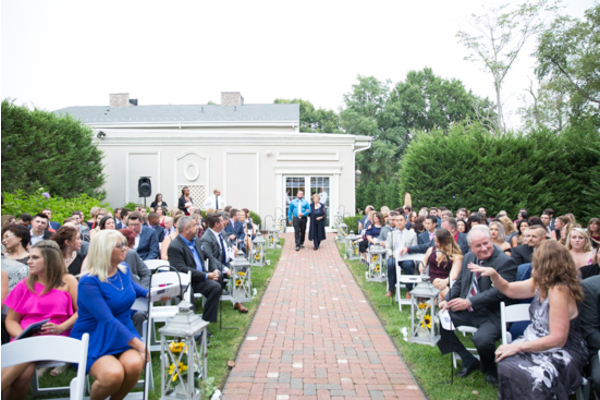 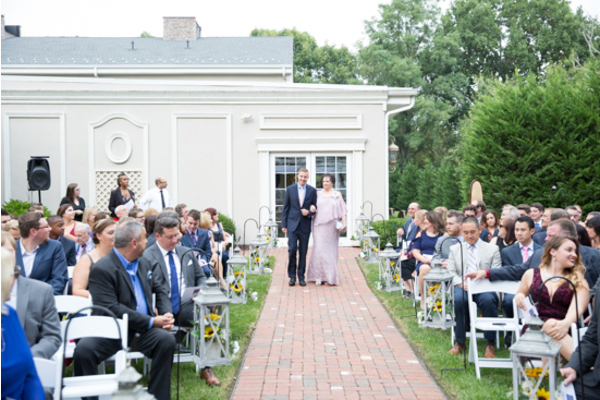 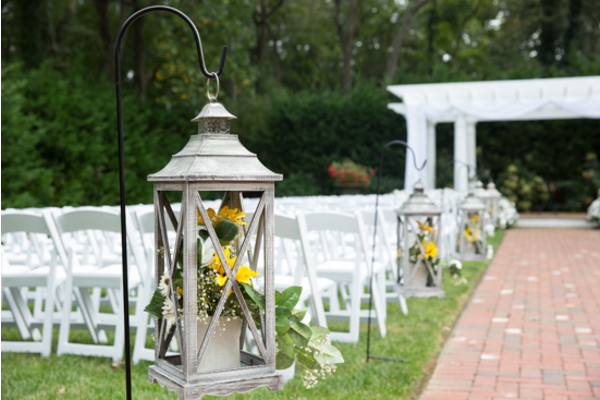 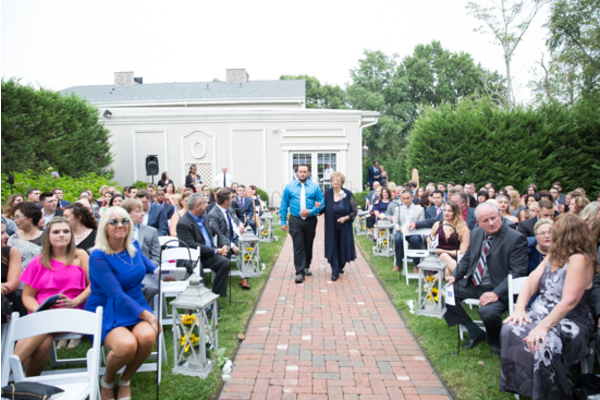 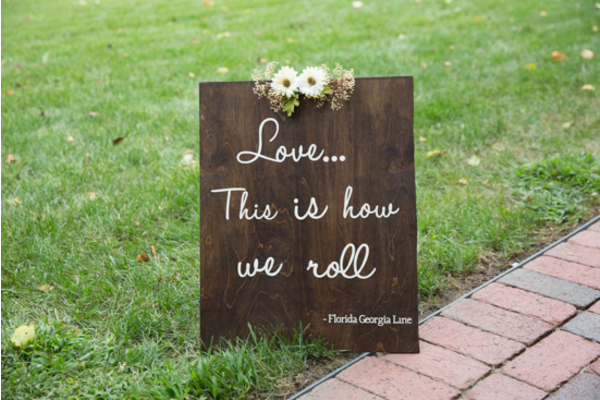 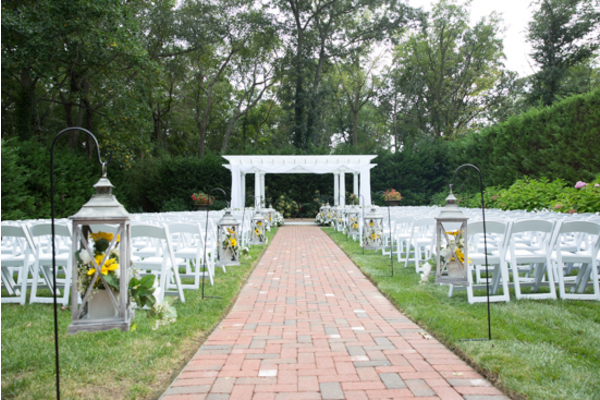 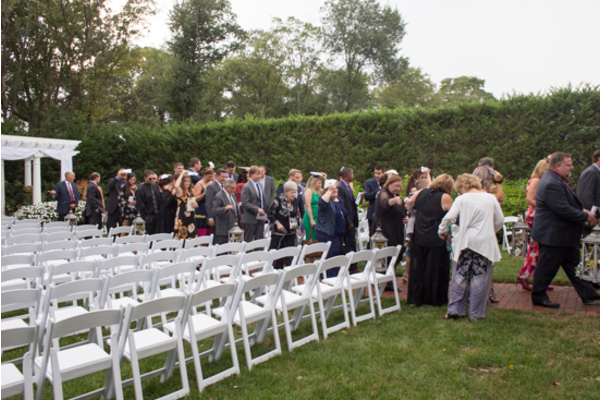 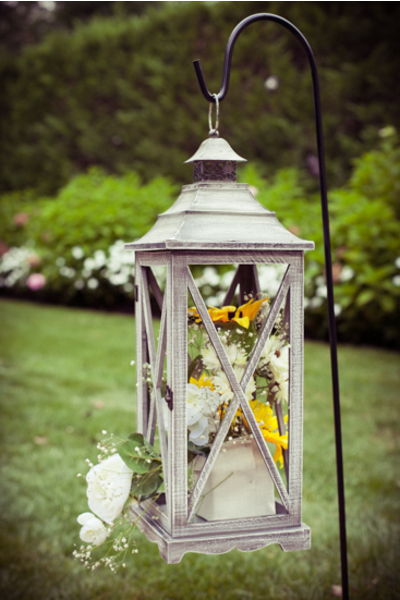 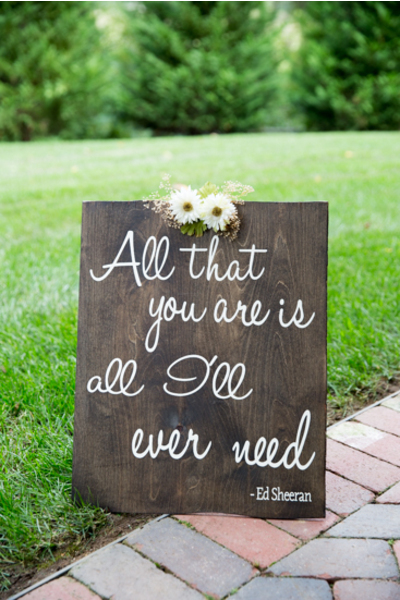 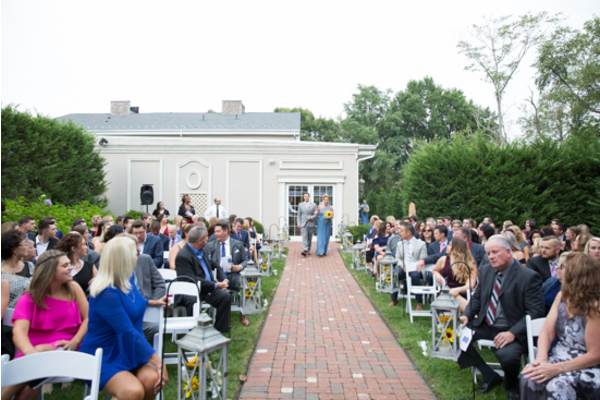 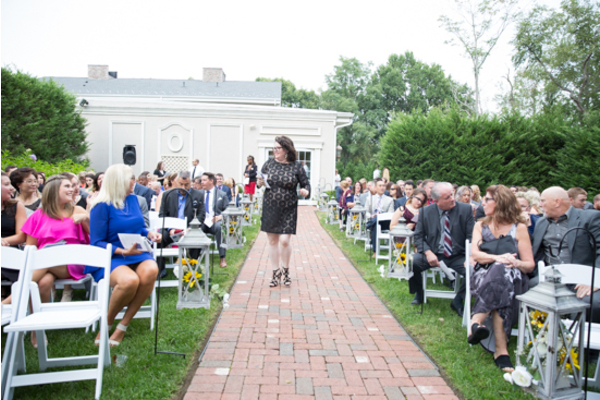 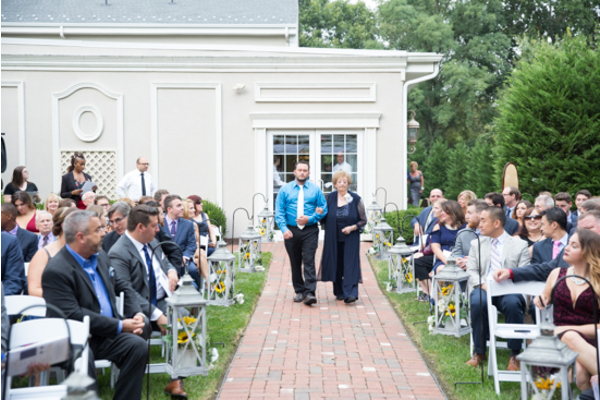 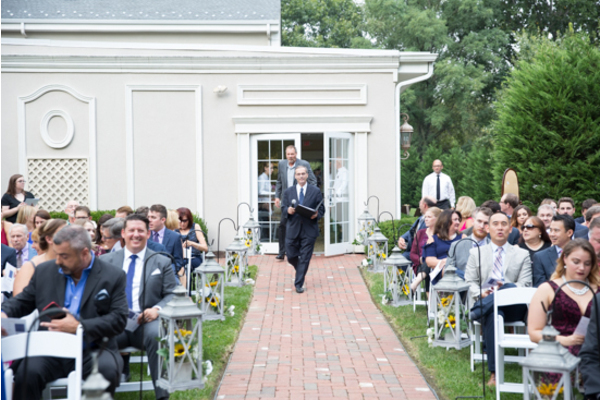 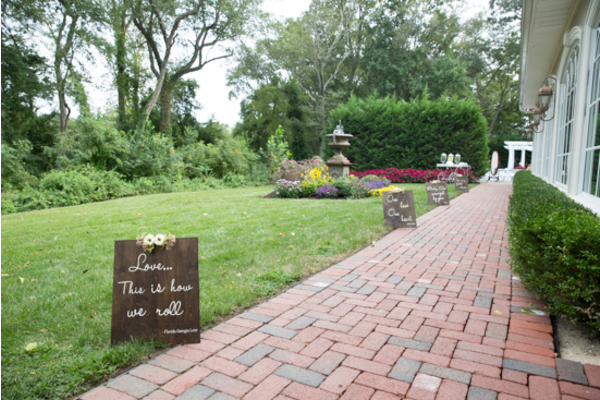 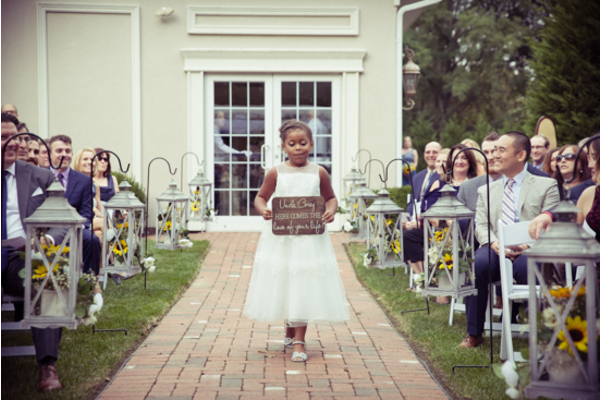 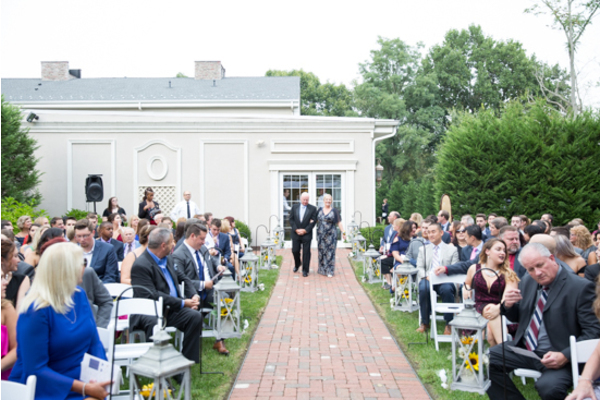 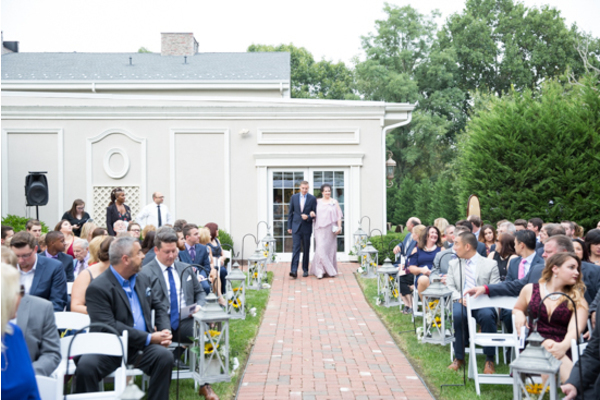 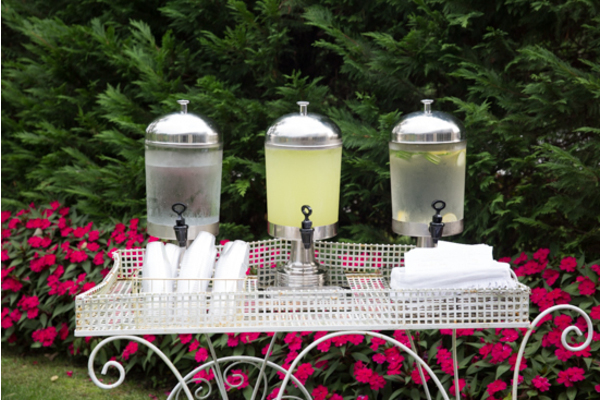 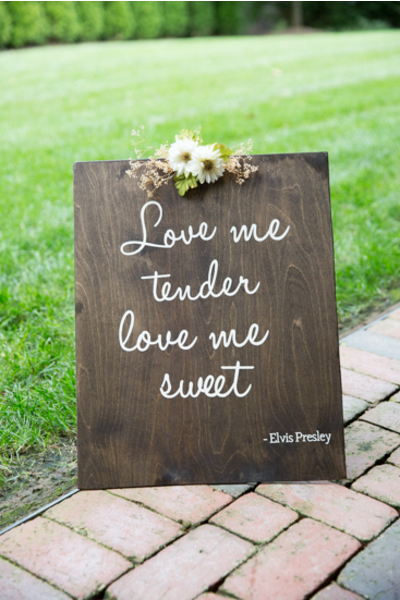 The beautiful outdoor ceremony was absolutely breath-taking. 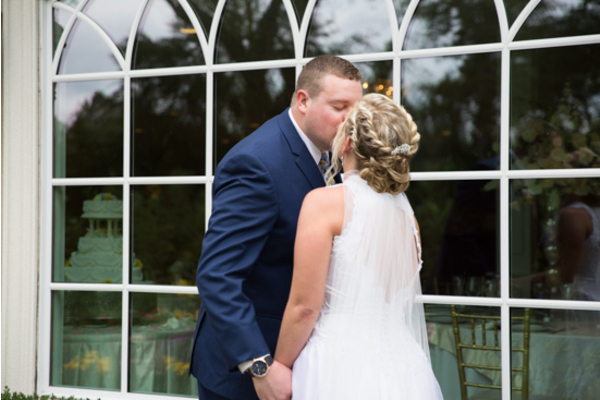 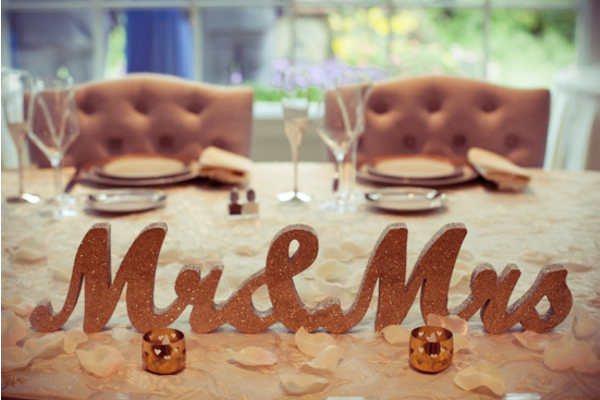 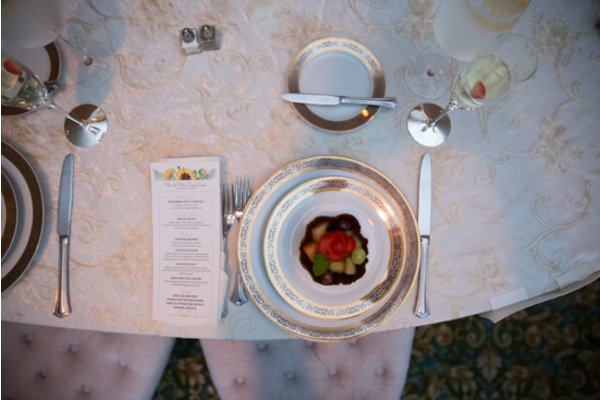 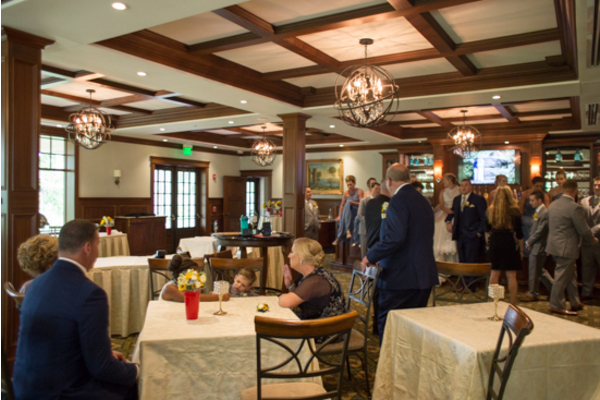 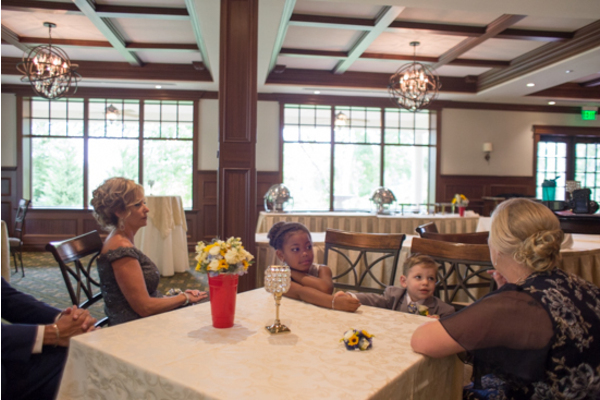 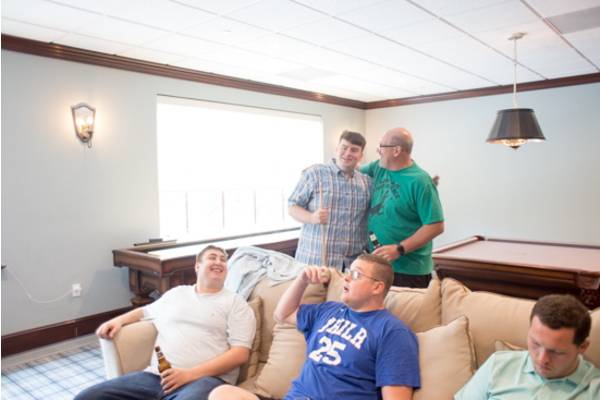 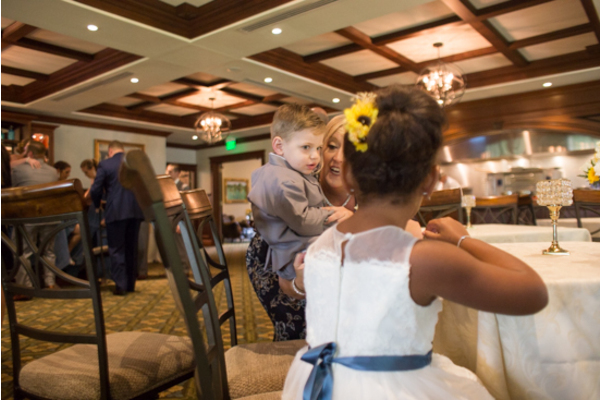 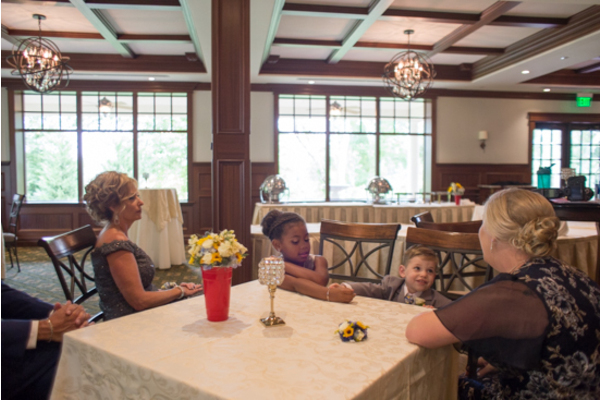 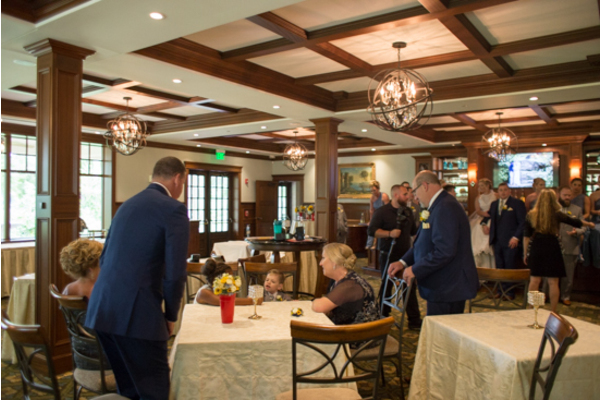 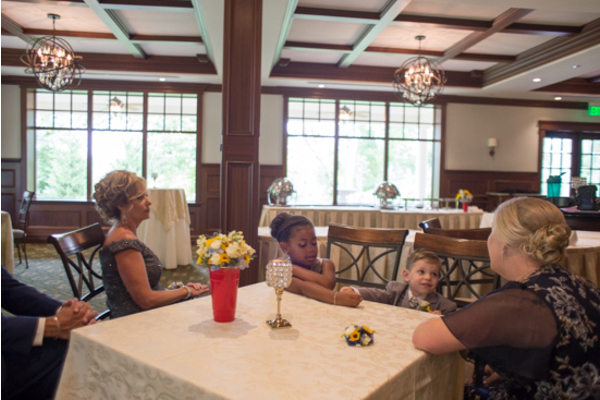 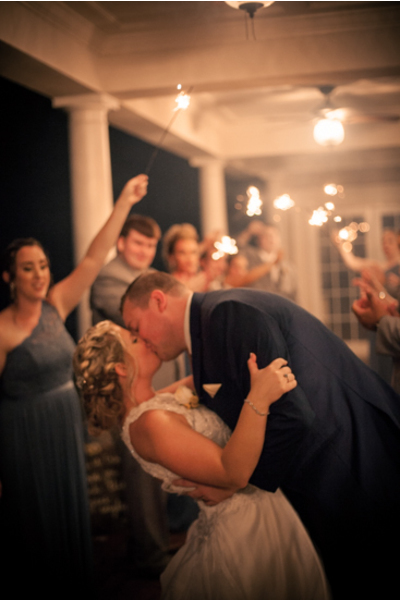 As family and friends watched the two love birds share a kiss, they were off to the reception! 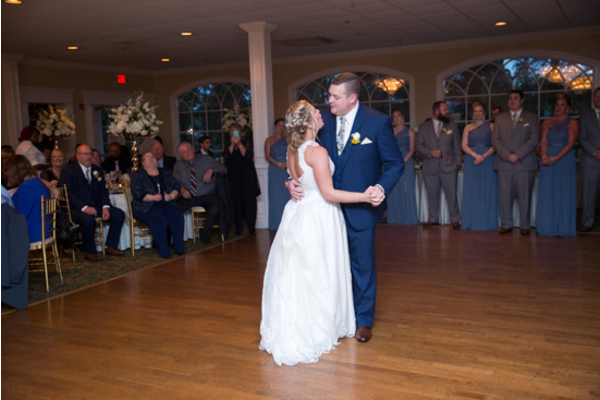 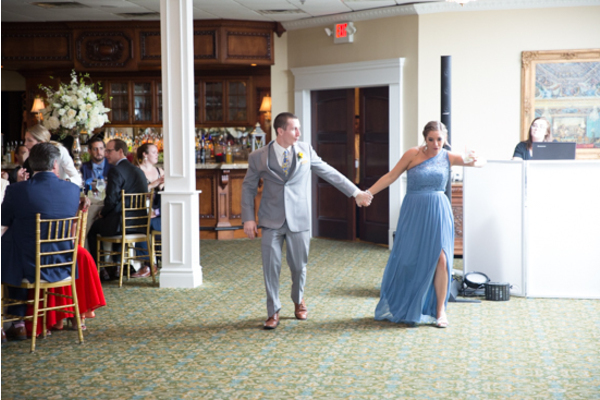 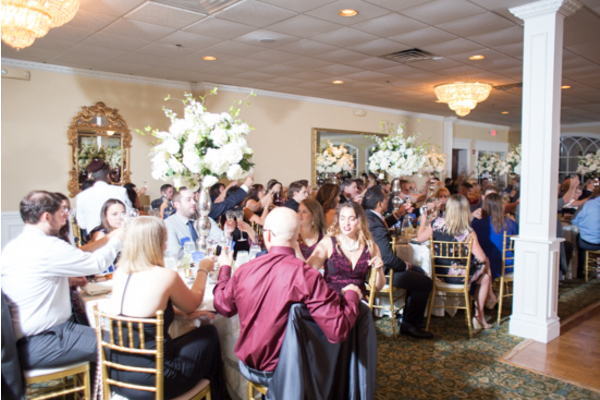 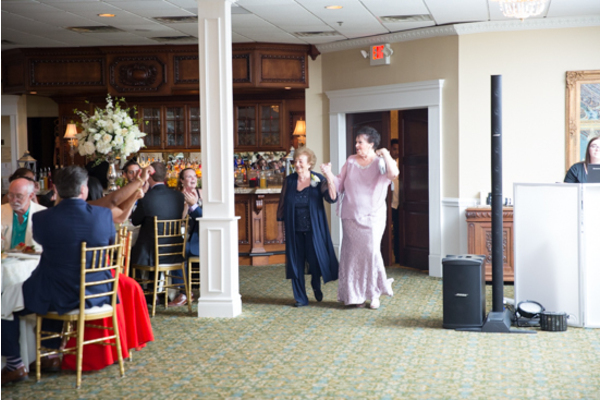 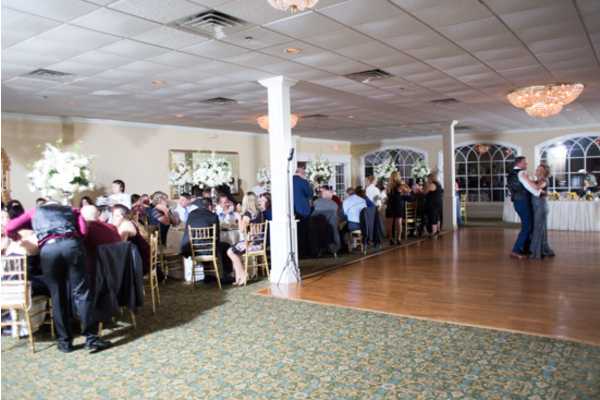 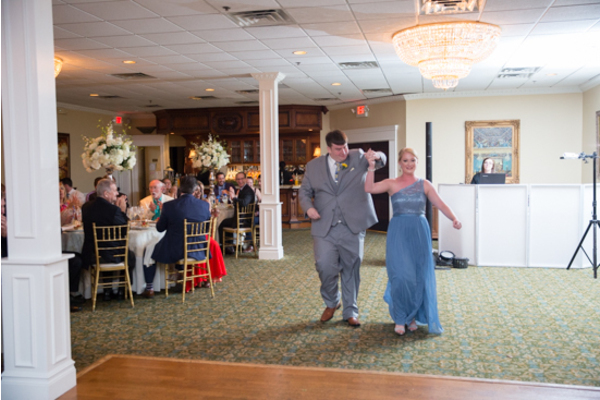 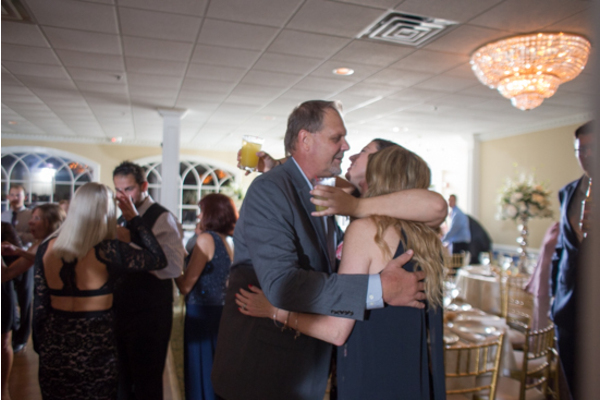 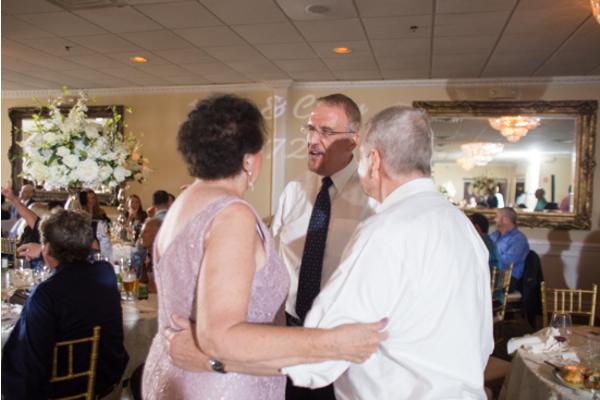 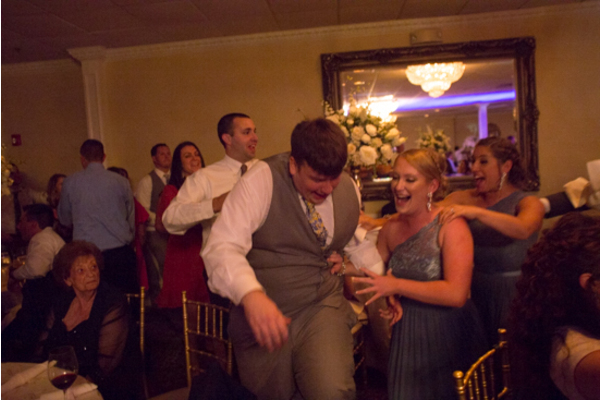 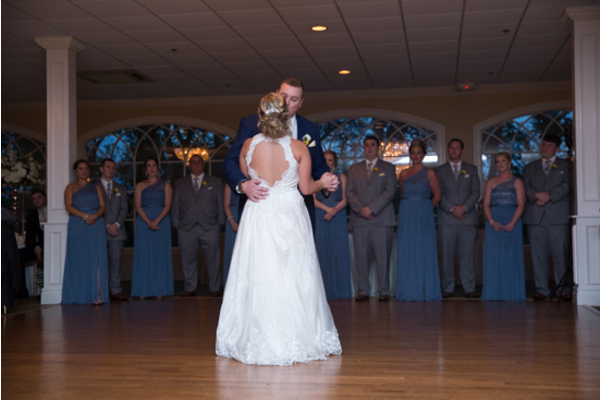 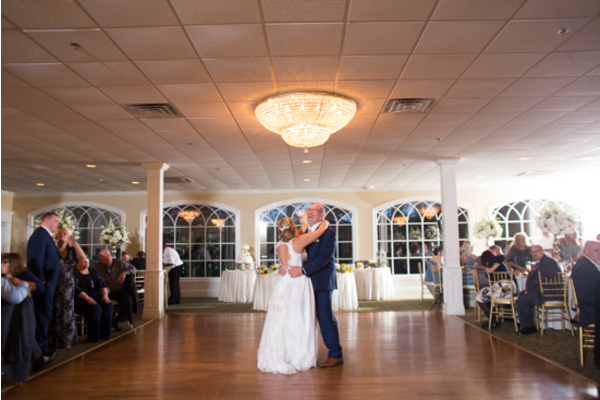 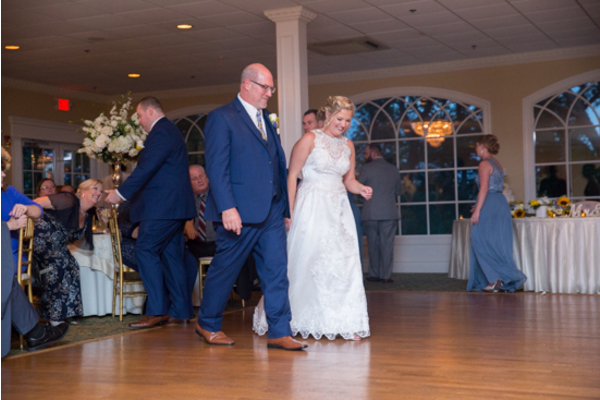 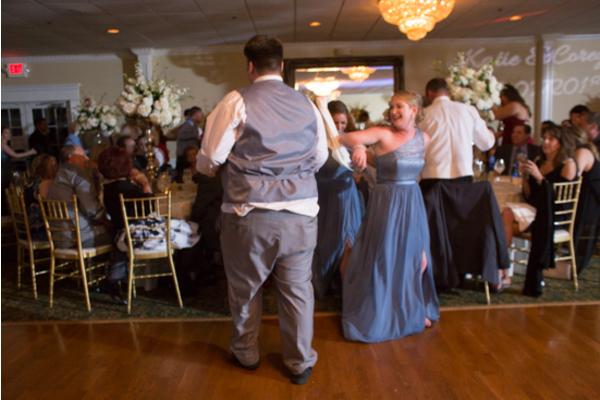 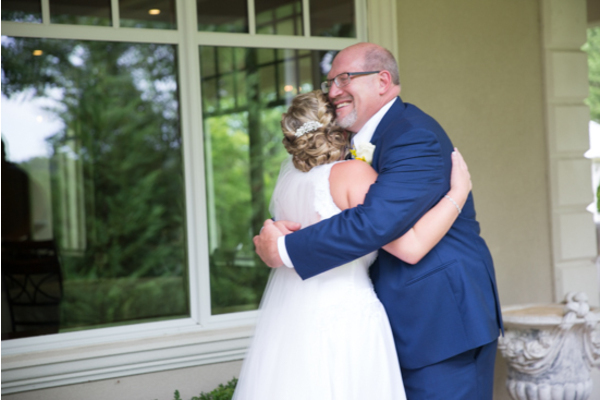 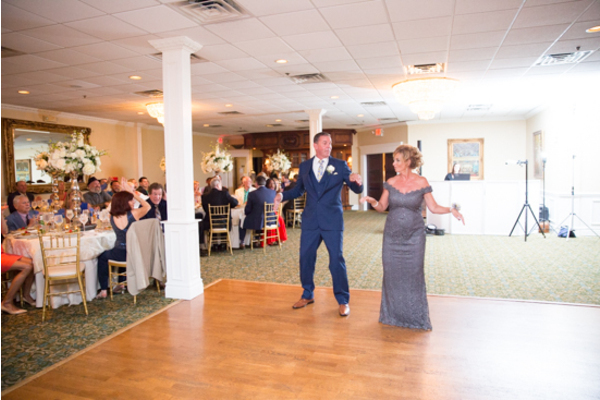 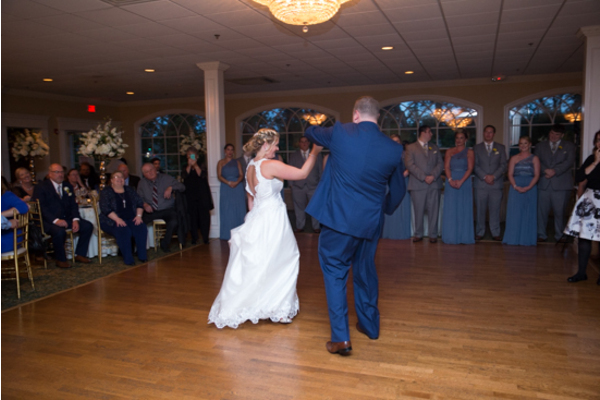 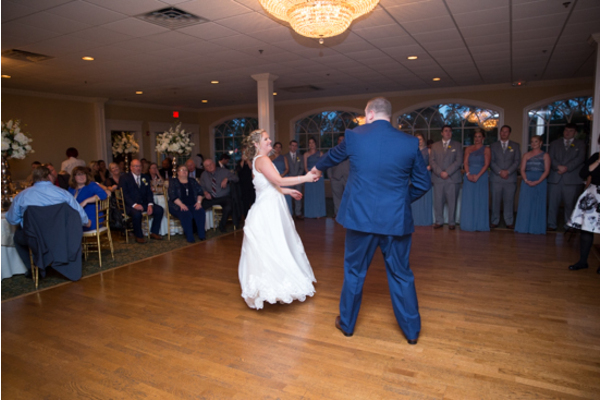 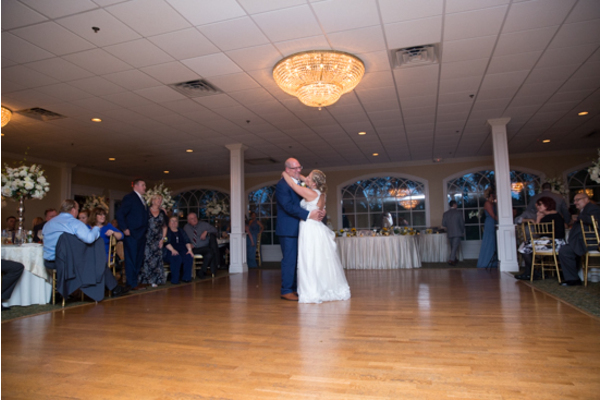 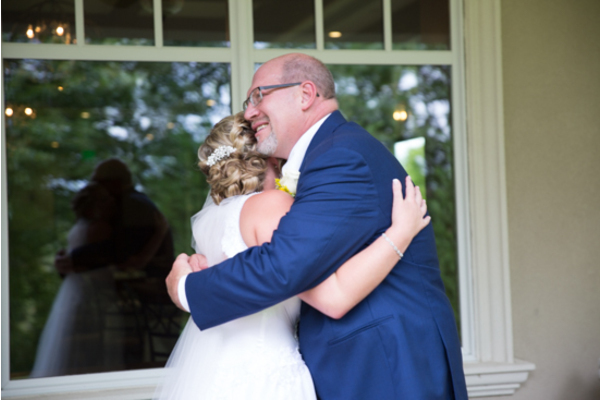 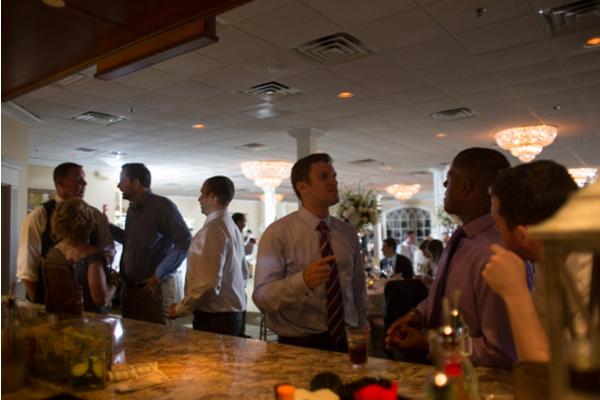 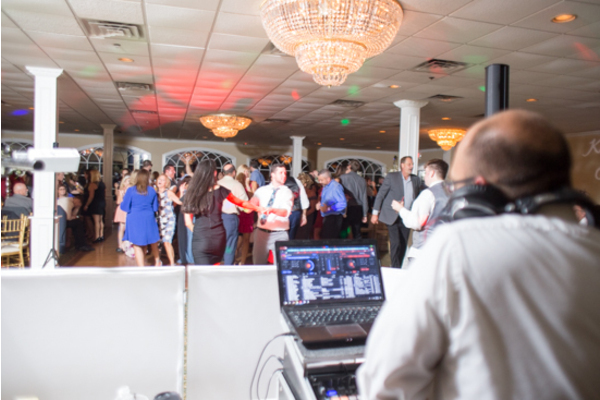 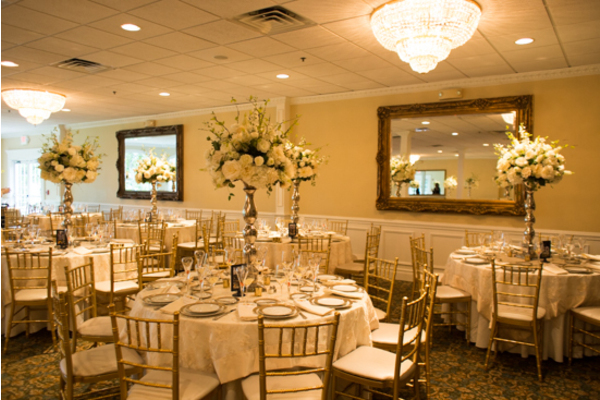 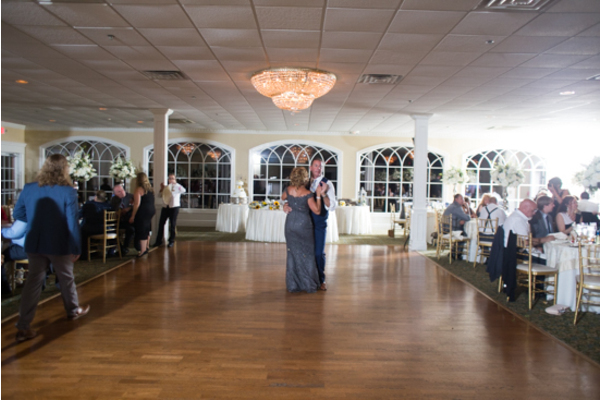 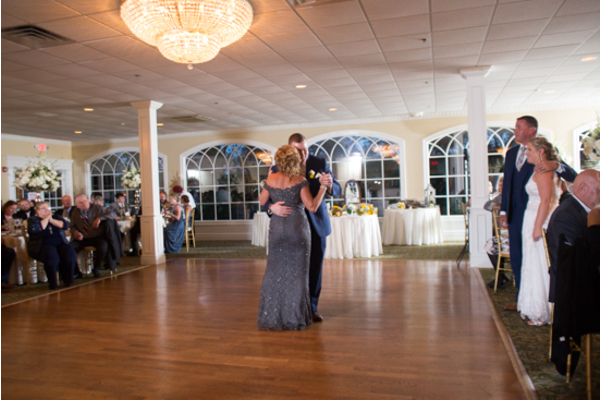 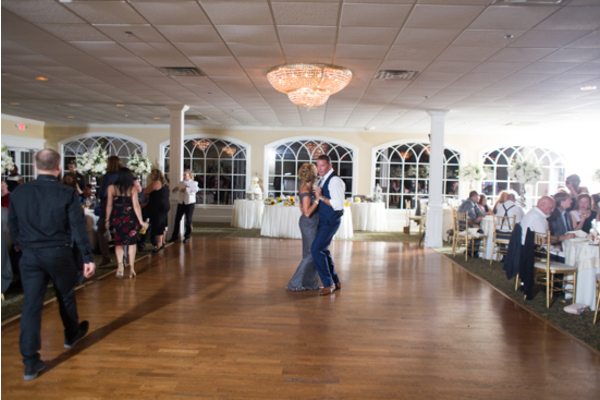 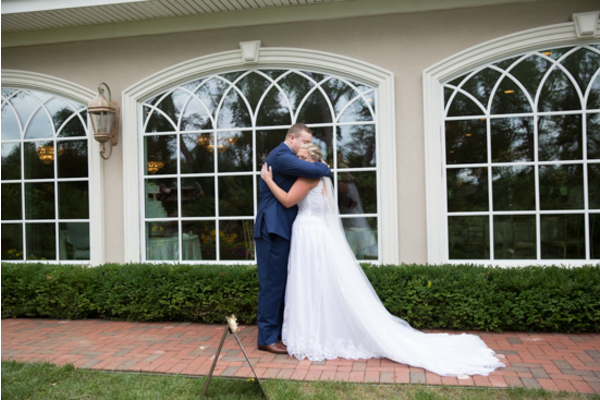 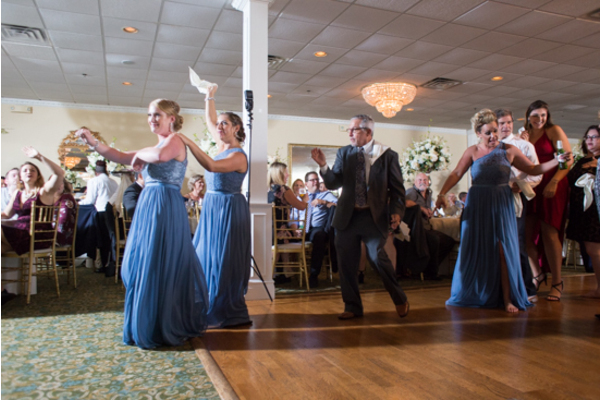 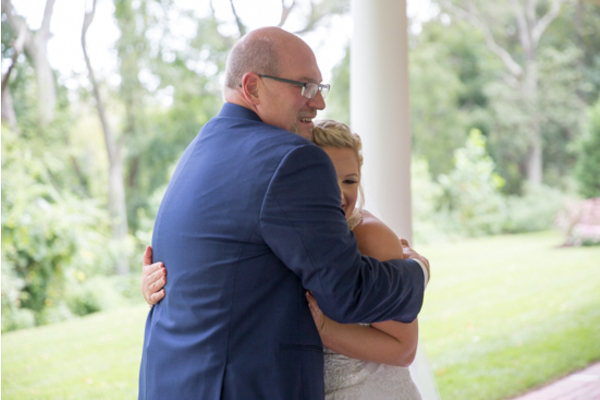 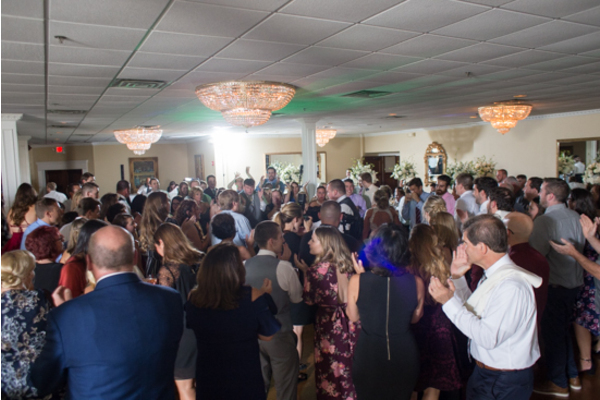 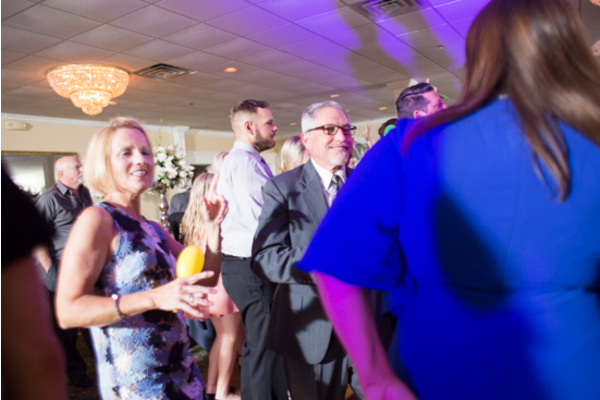 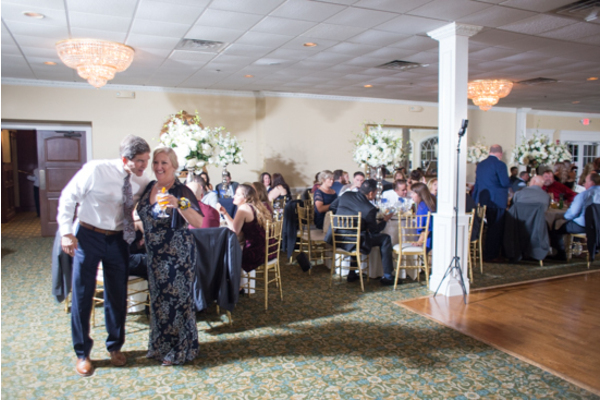 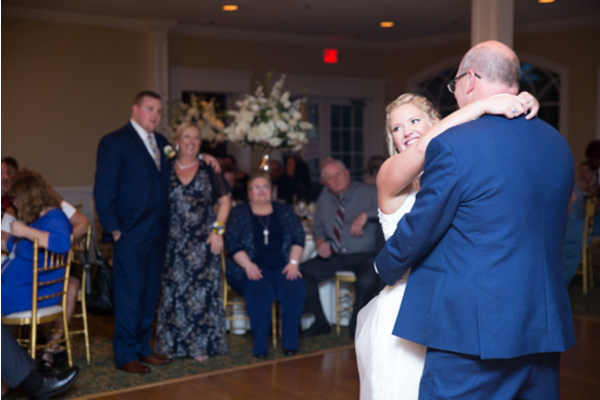 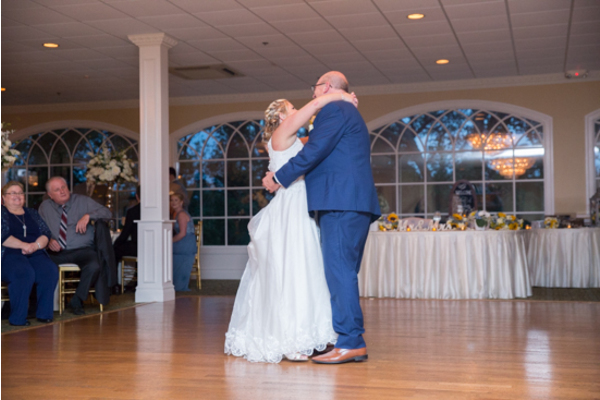 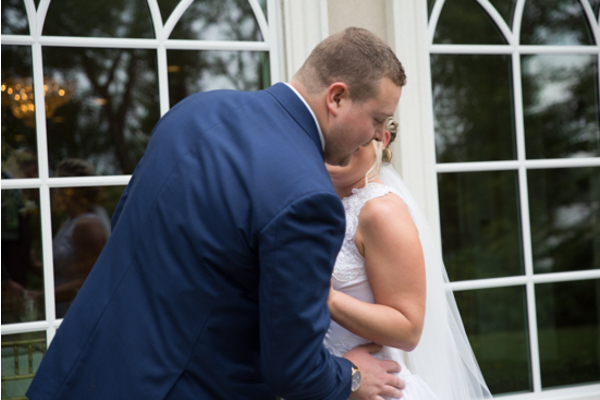 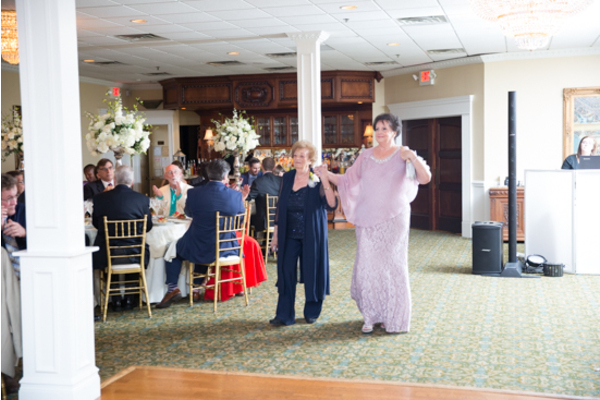 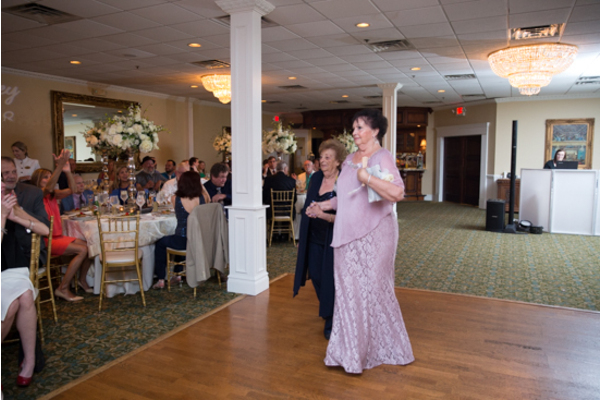 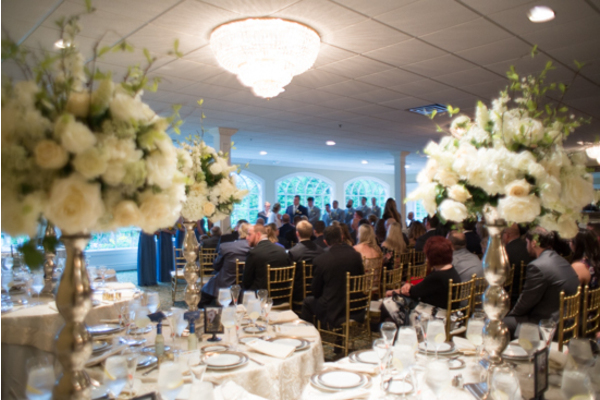 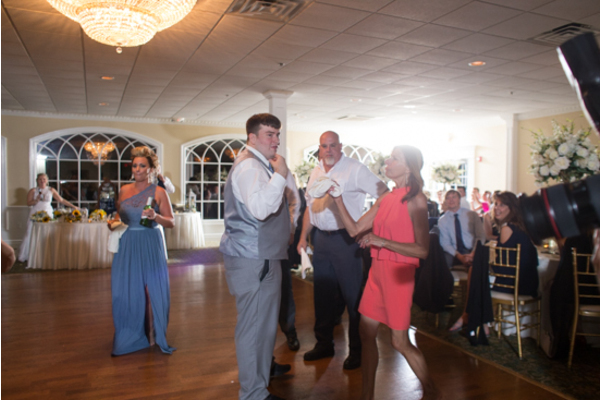 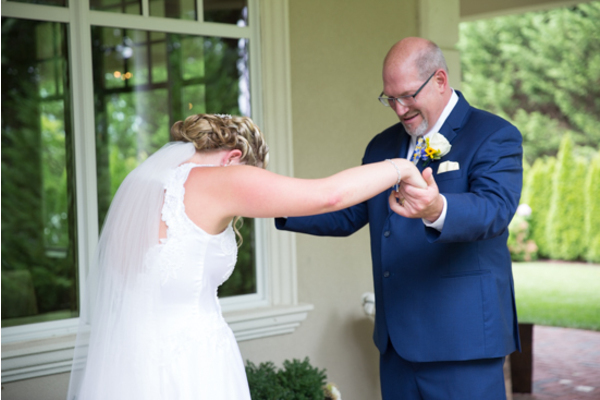 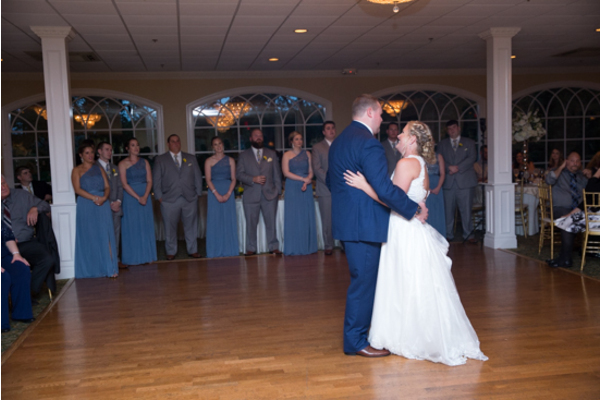 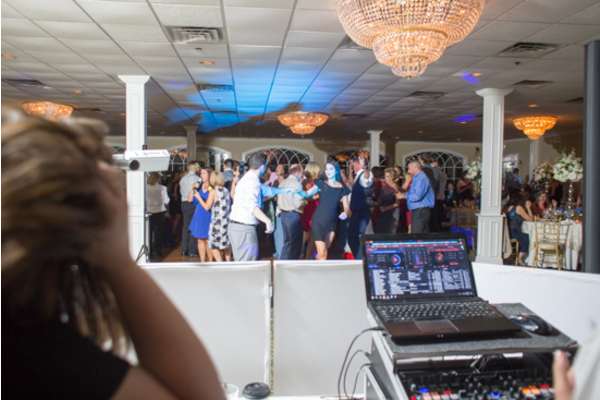 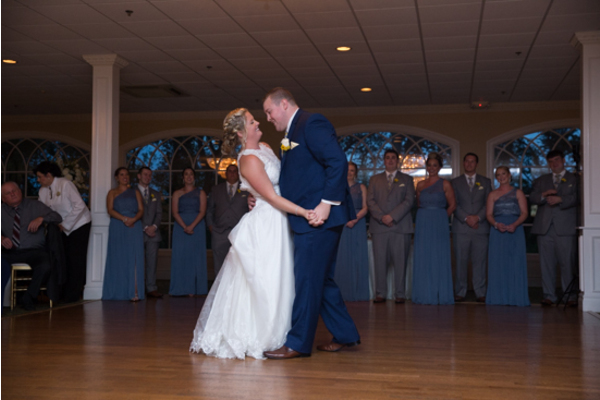 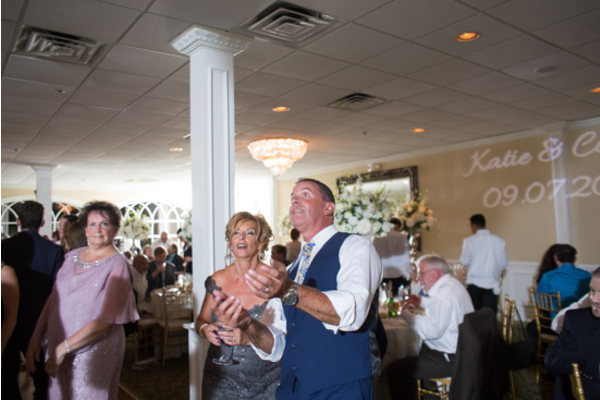 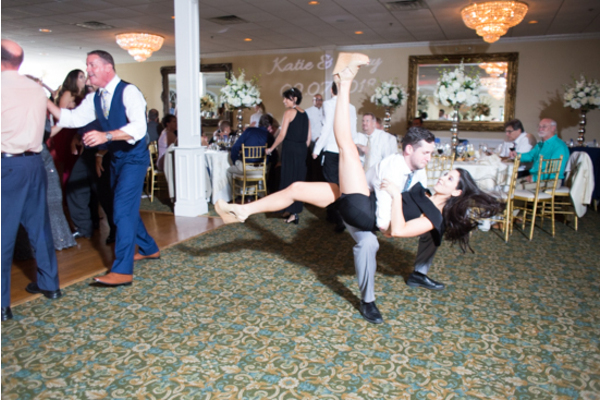 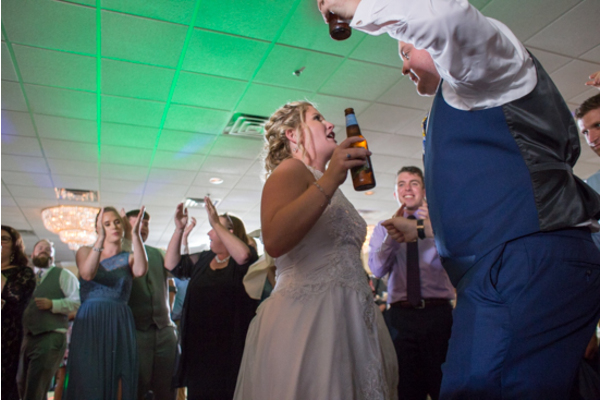 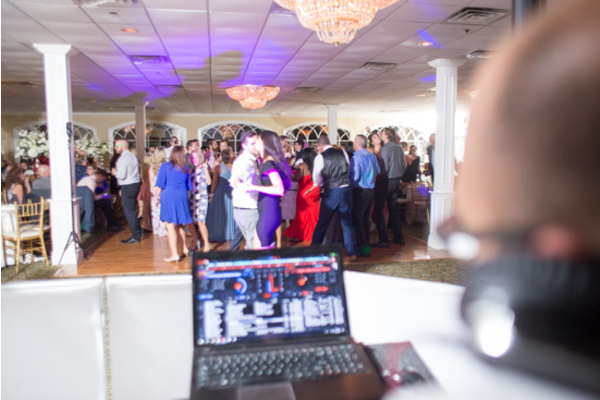 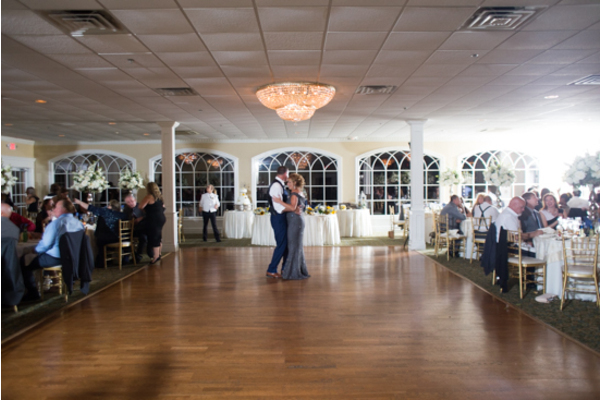 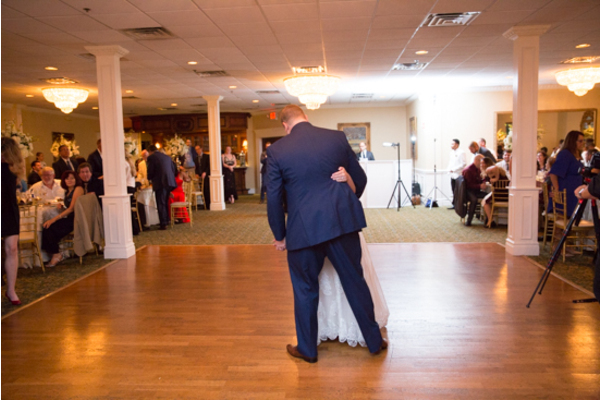 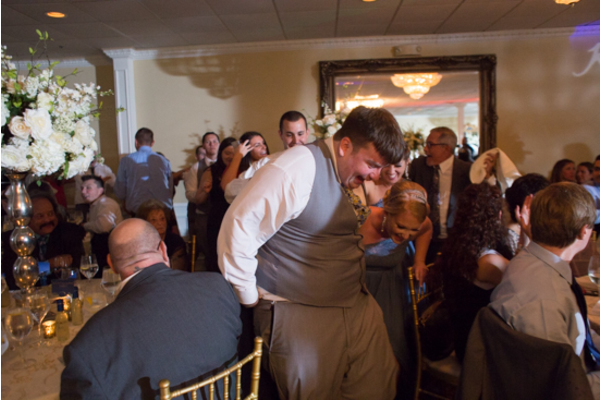 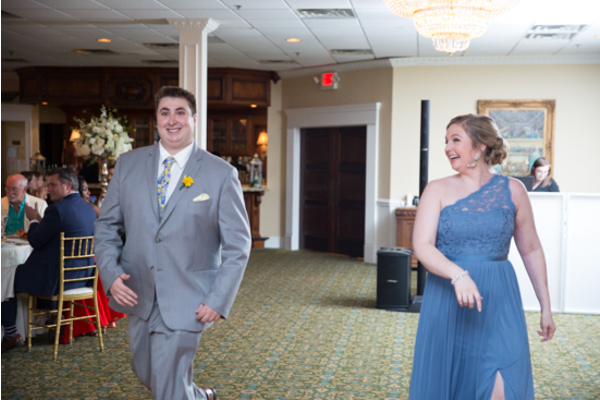 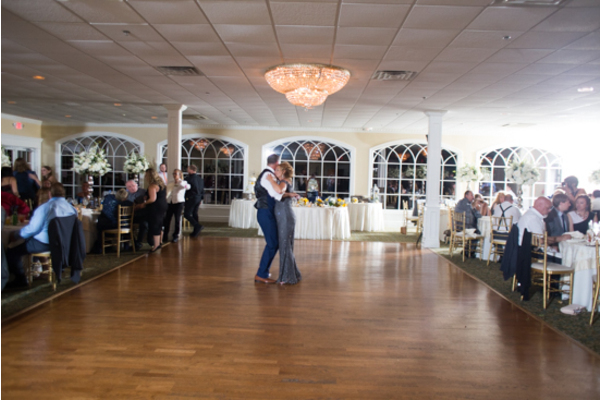 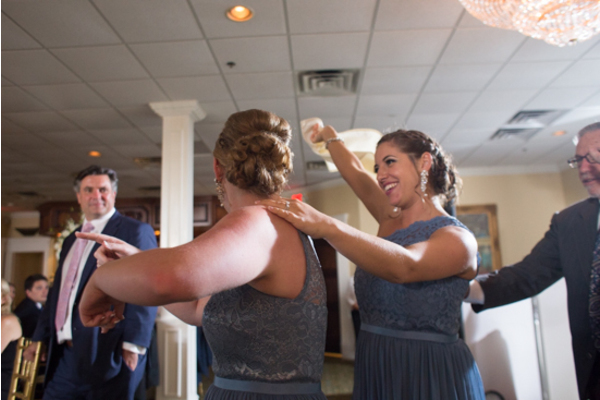 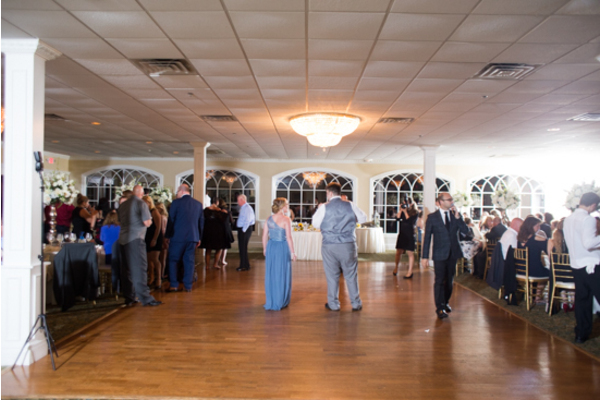 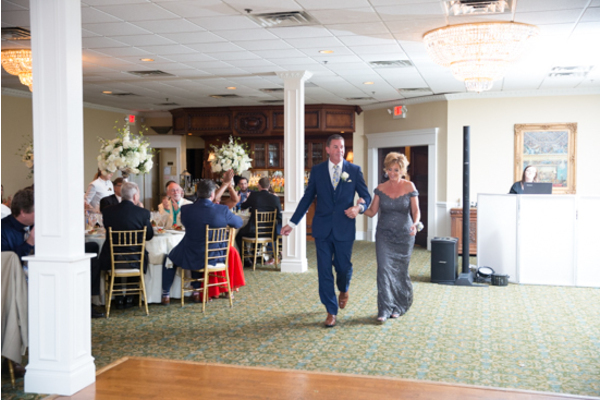 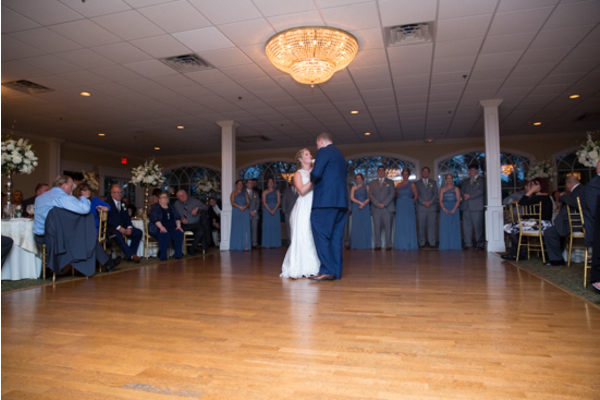 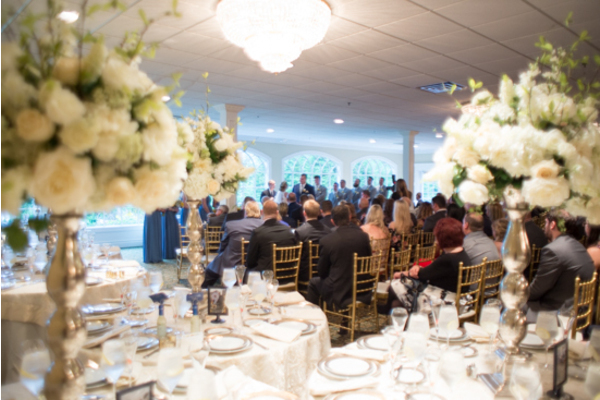 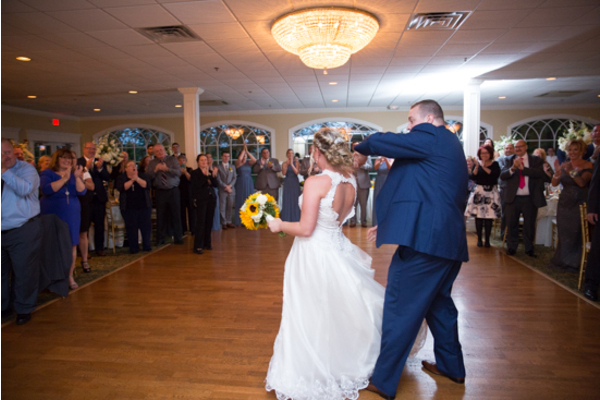 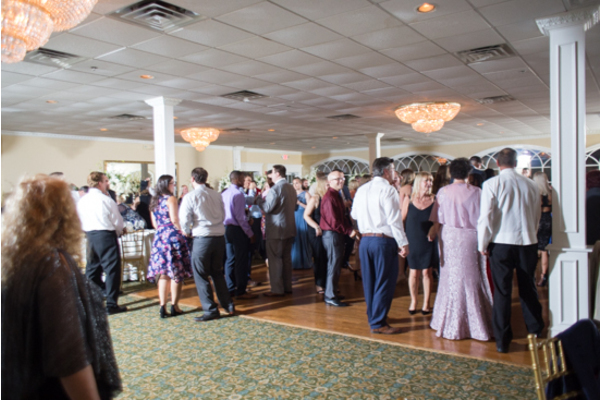 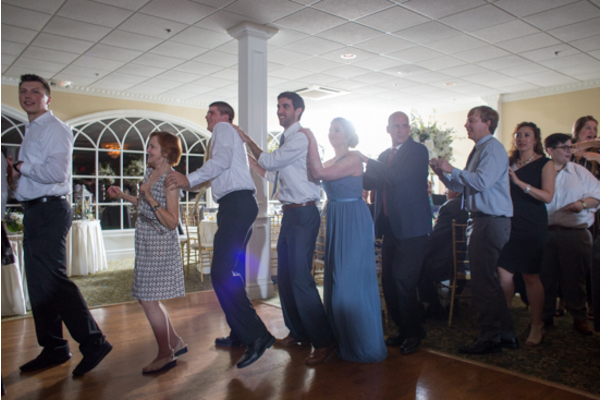 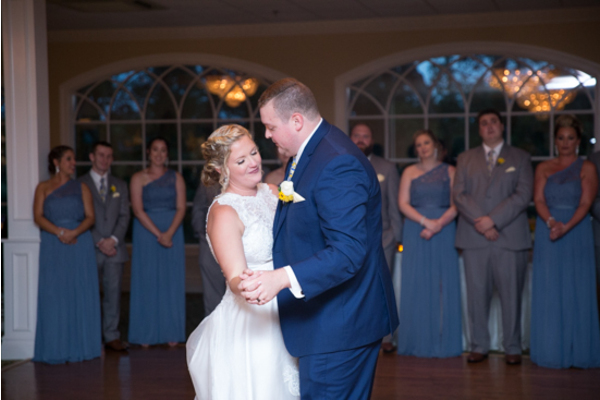 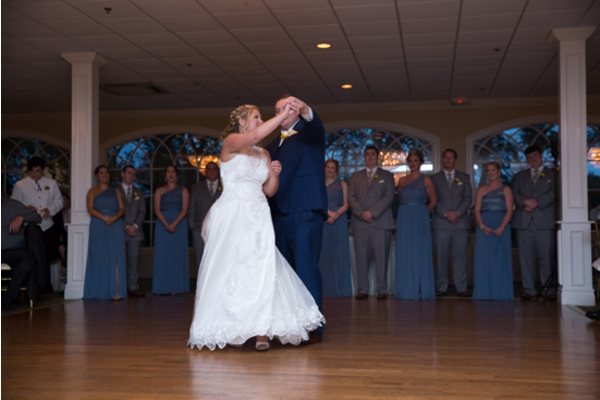 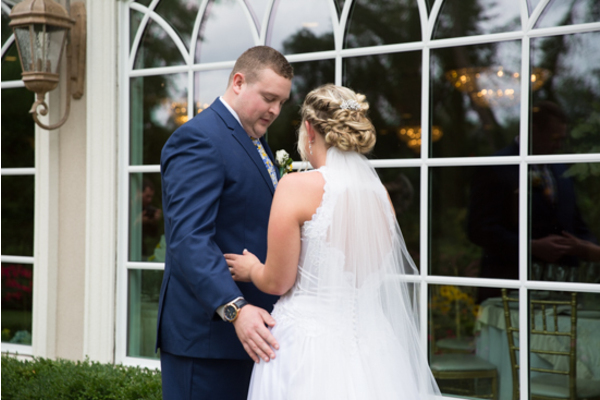 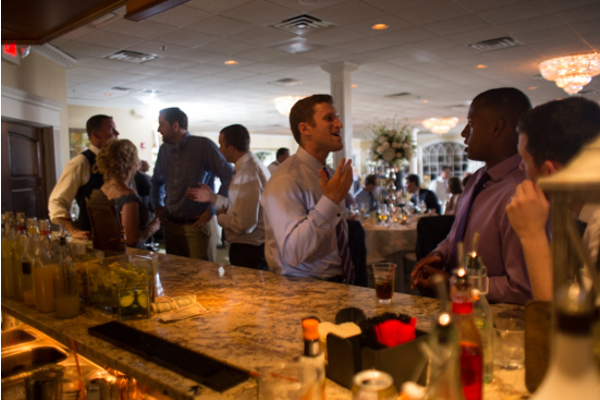 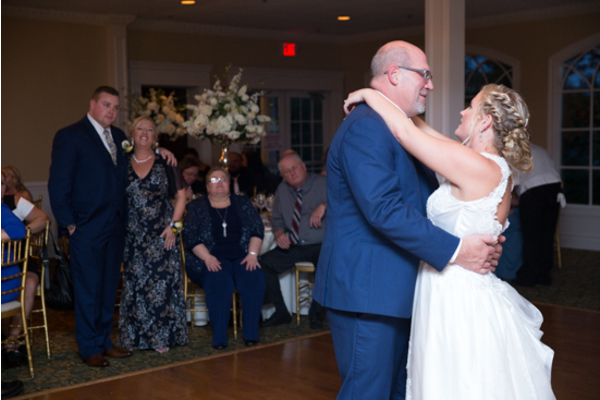 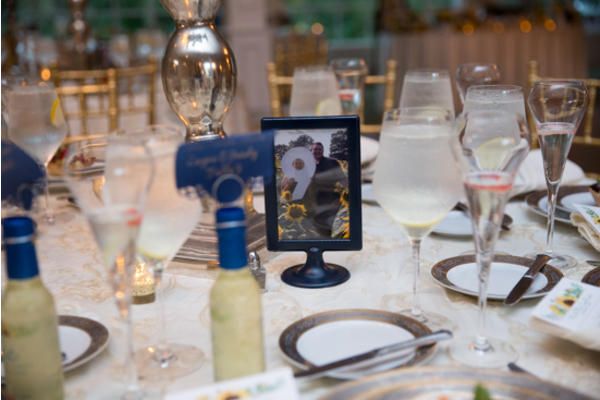 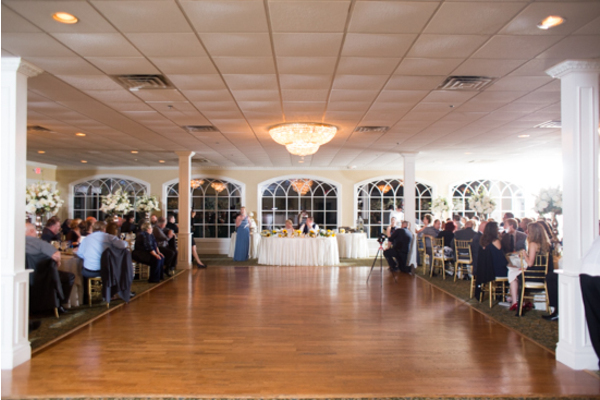 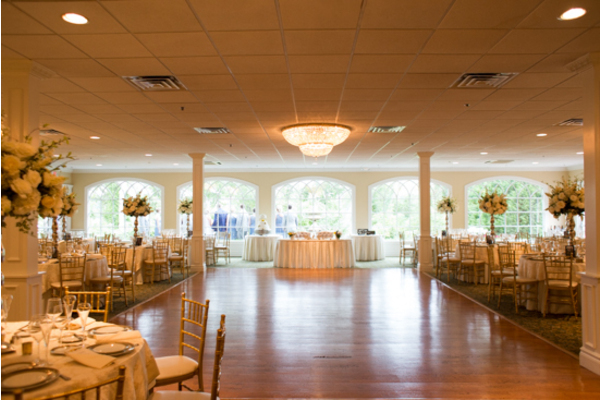 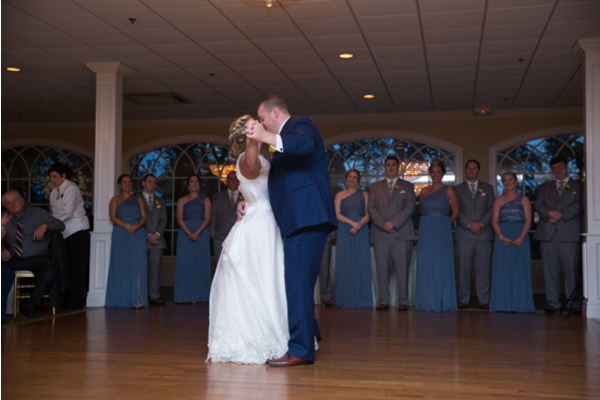 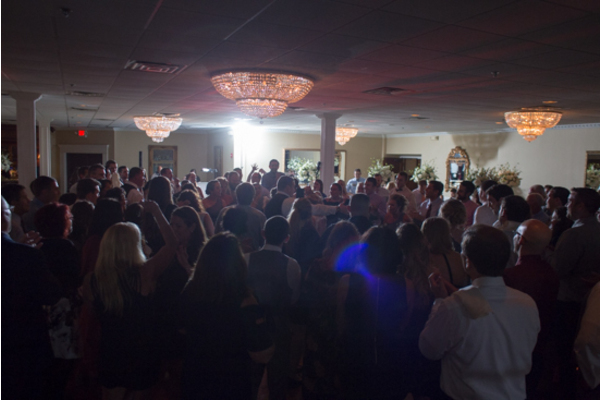 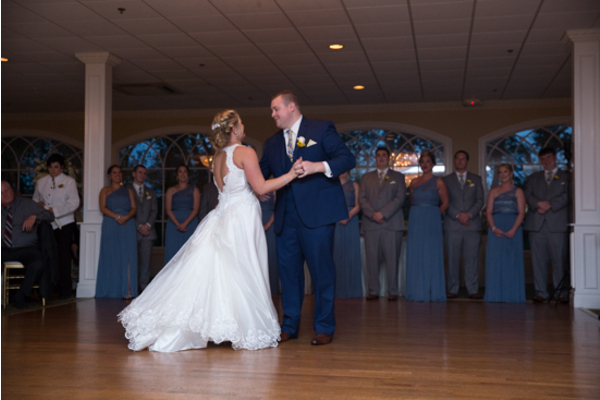 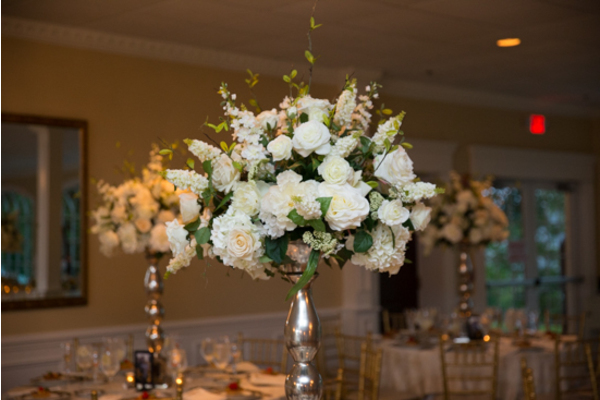 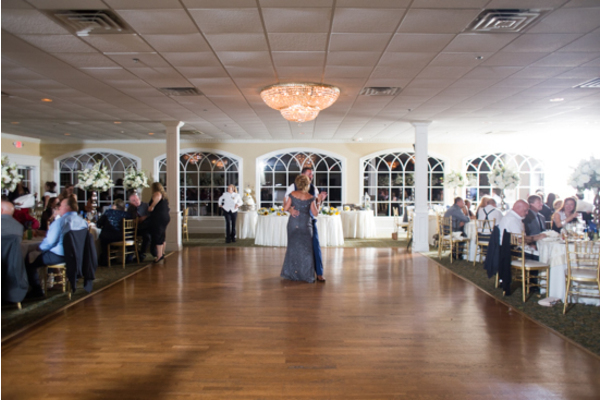 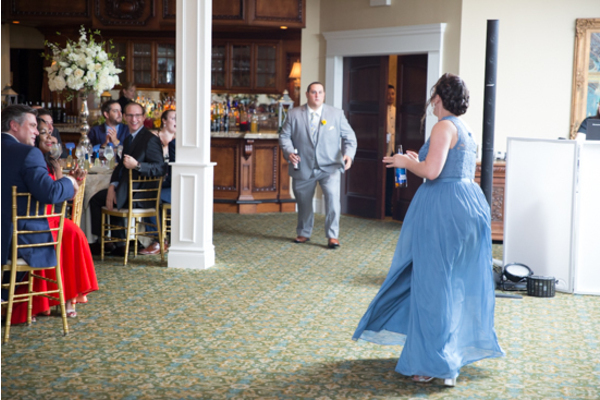 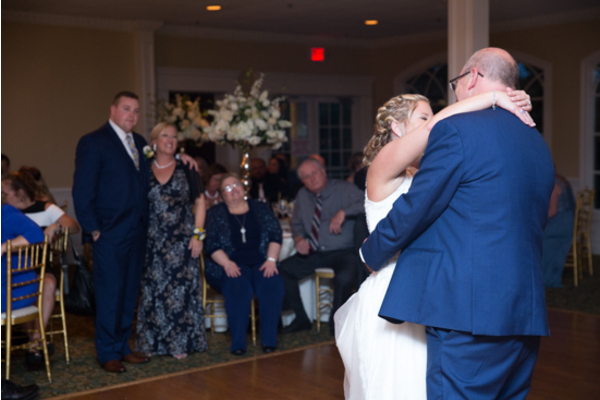 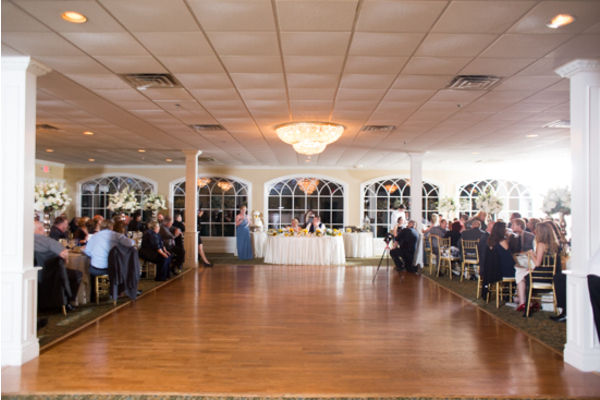 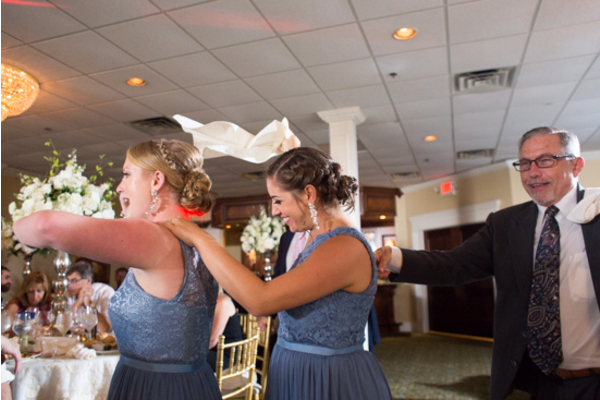 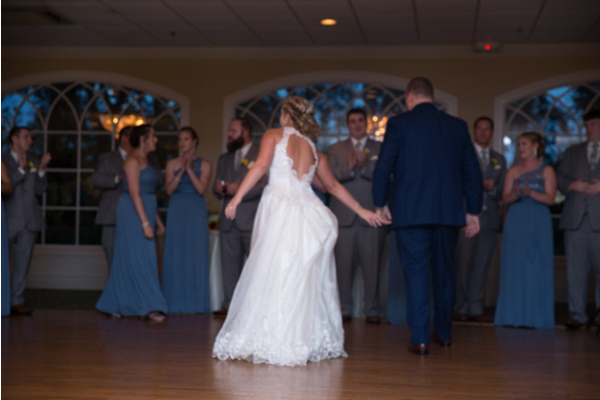 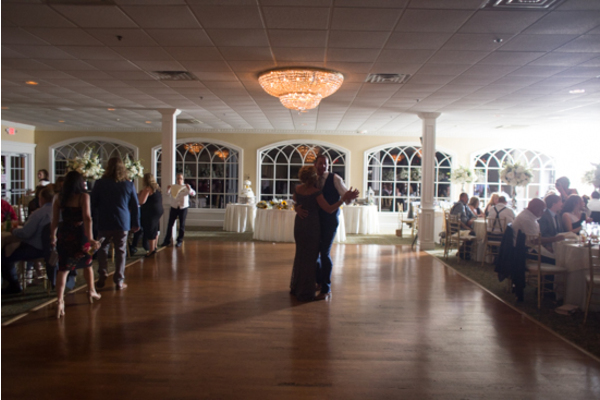 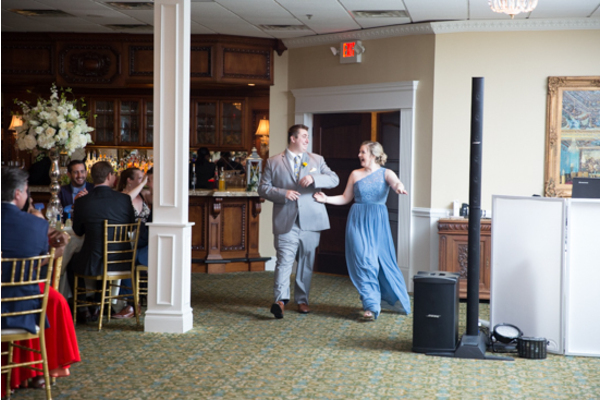 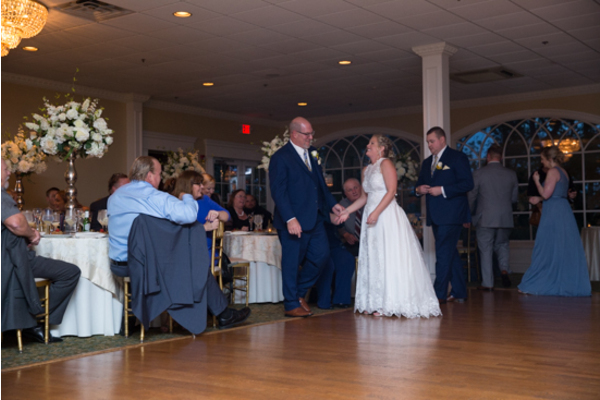 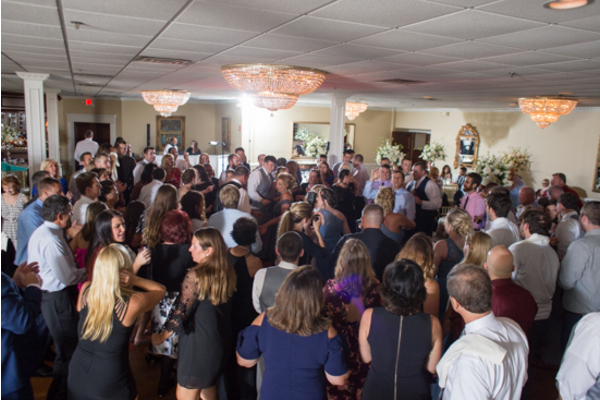 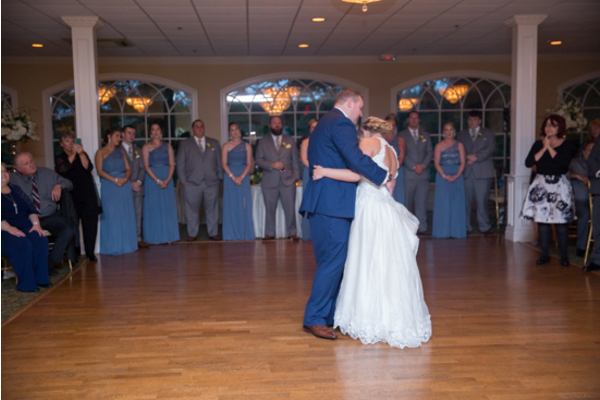 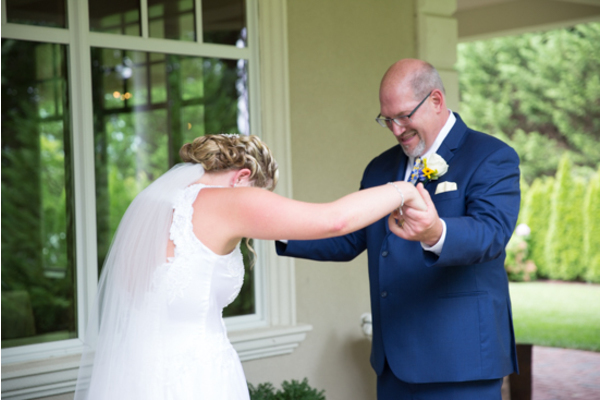 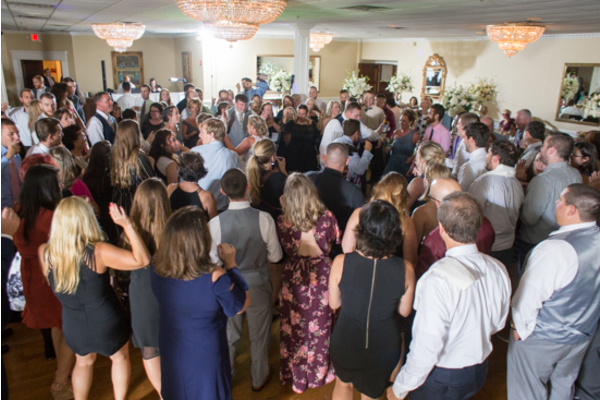 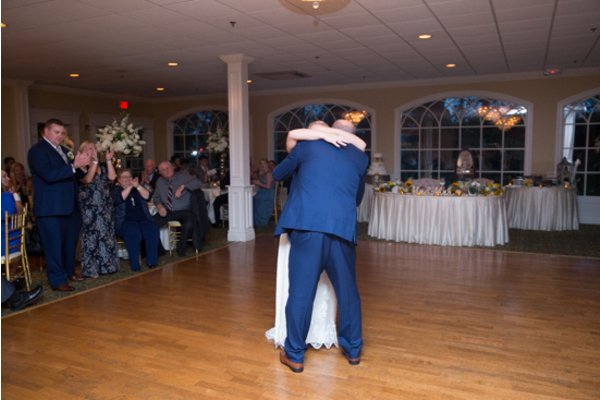 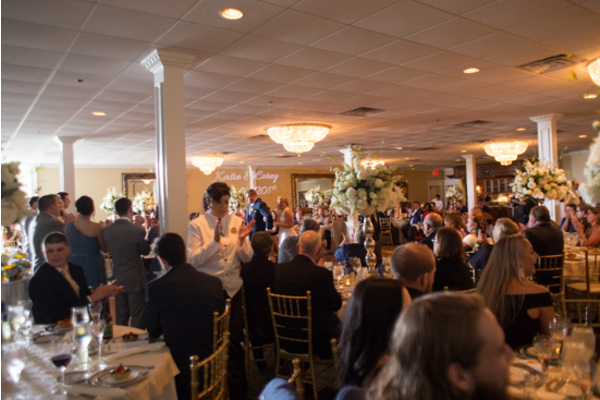 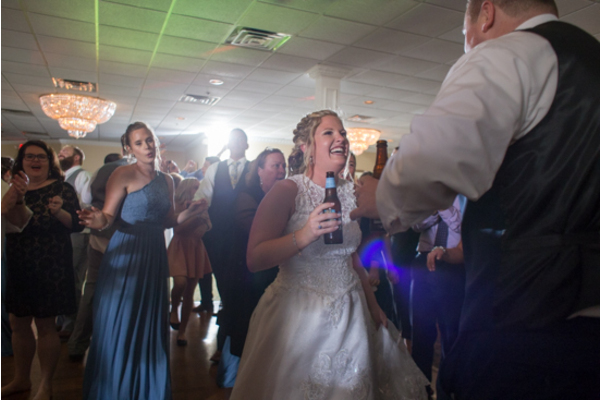 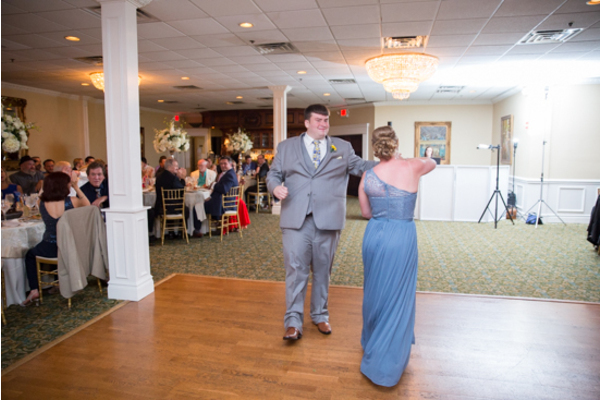 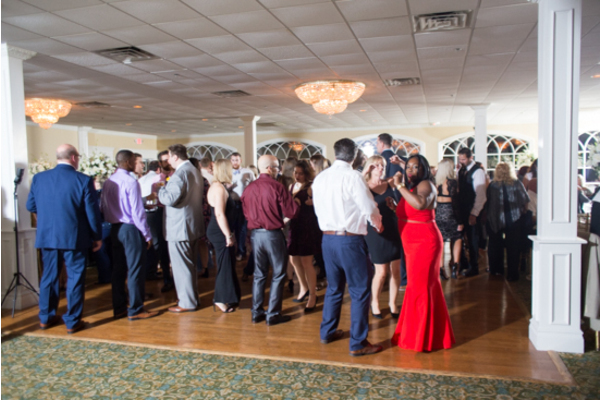 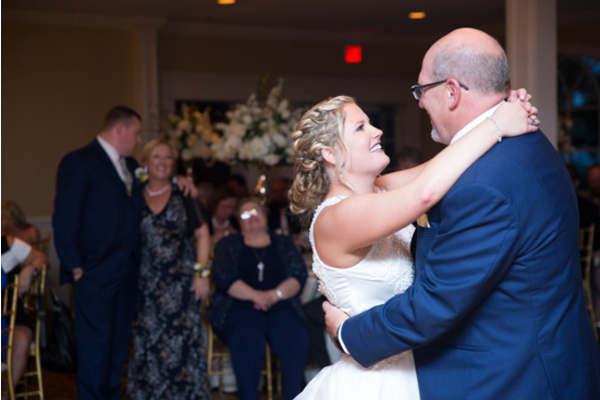 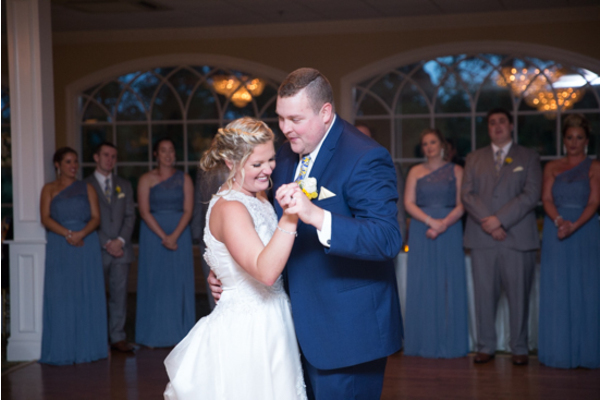 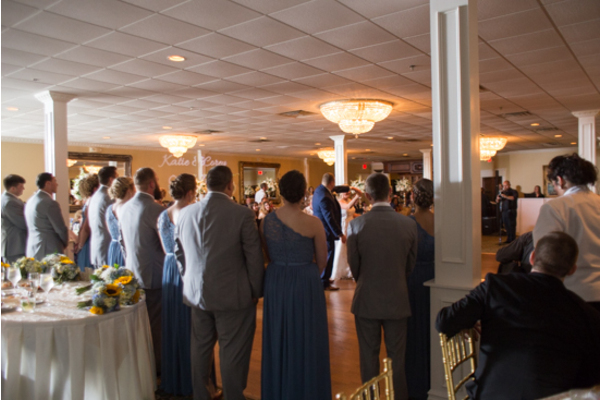 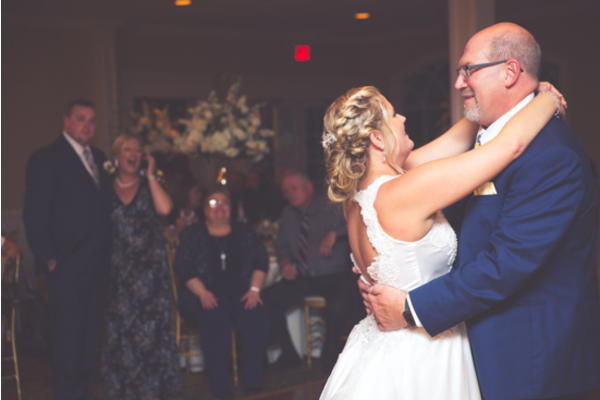 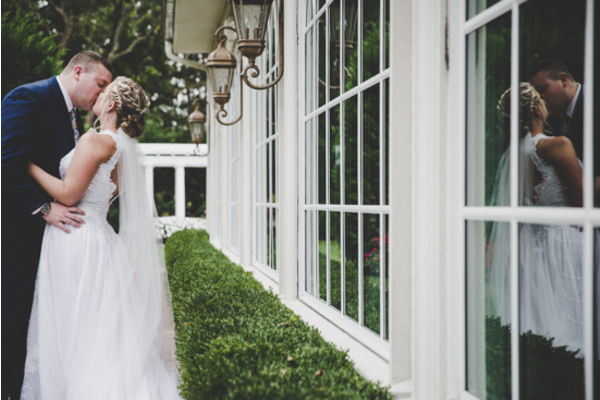 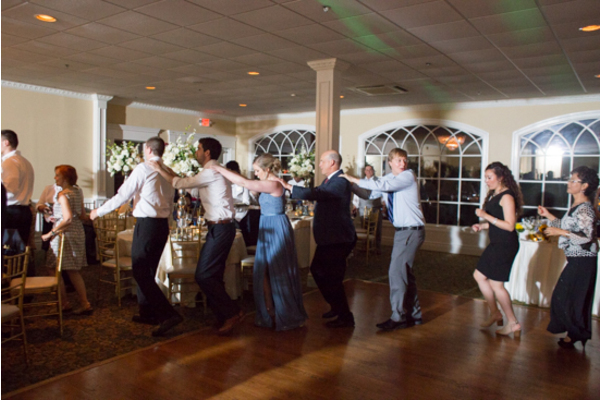 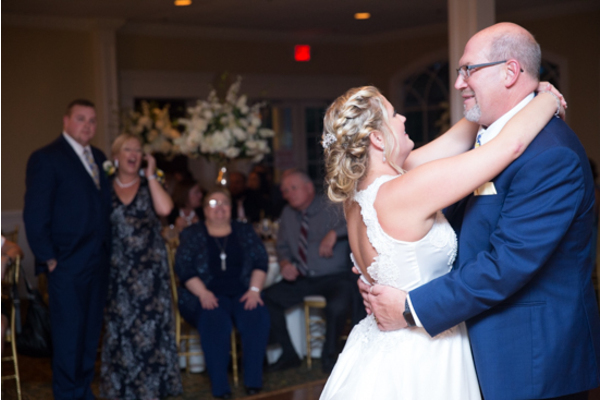 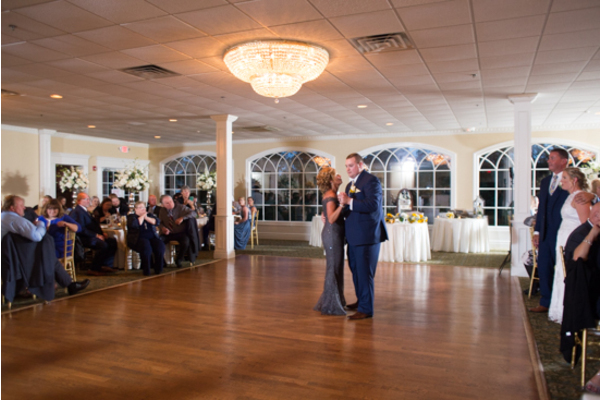 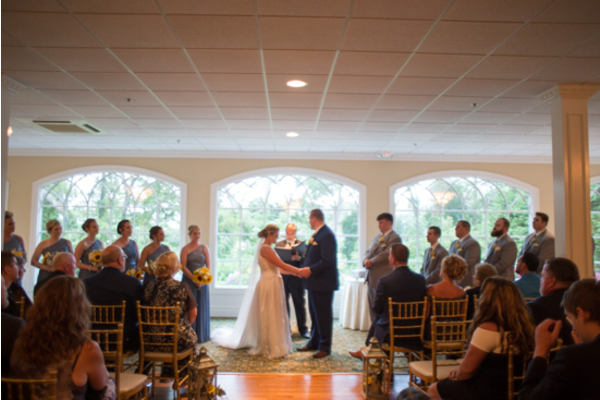 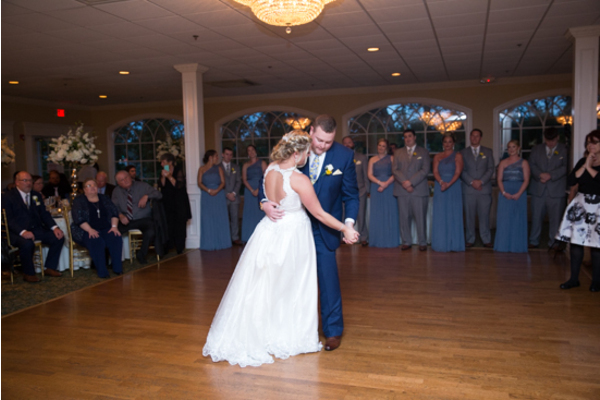 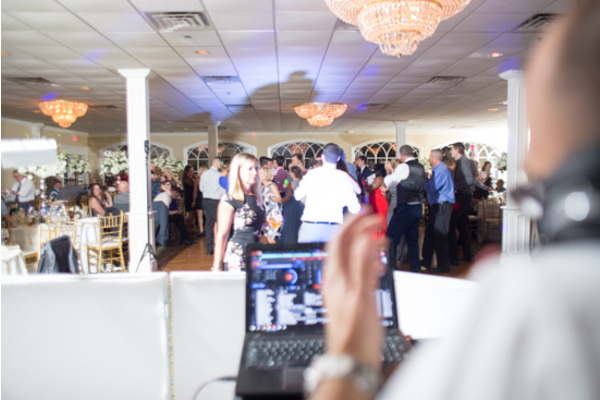 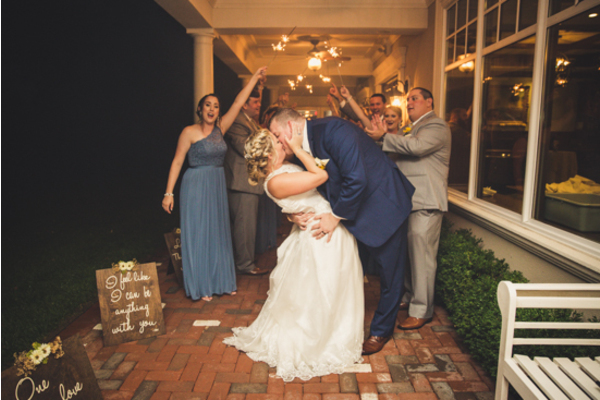 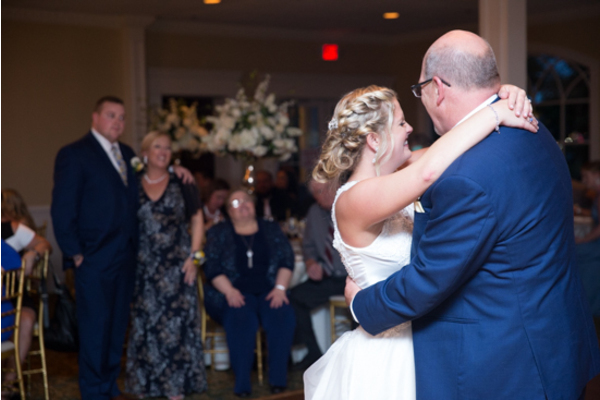 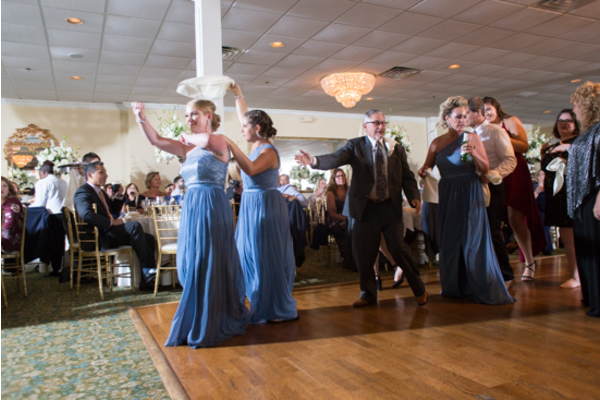 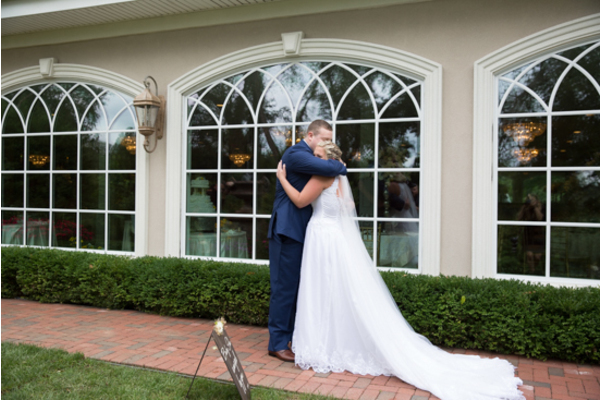 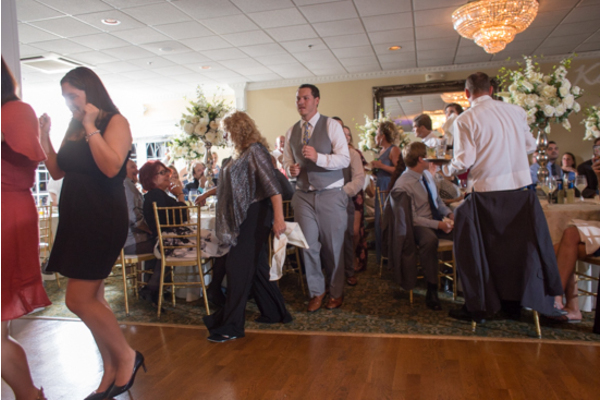 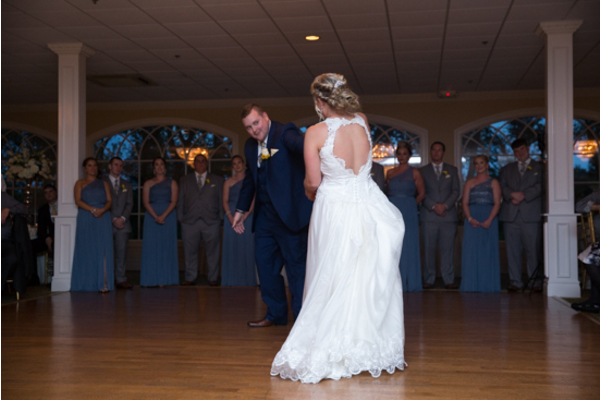 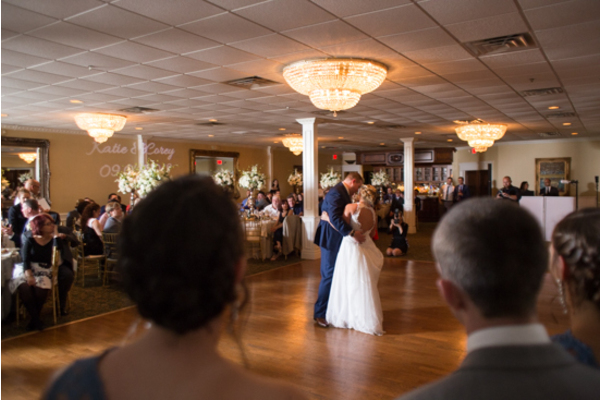 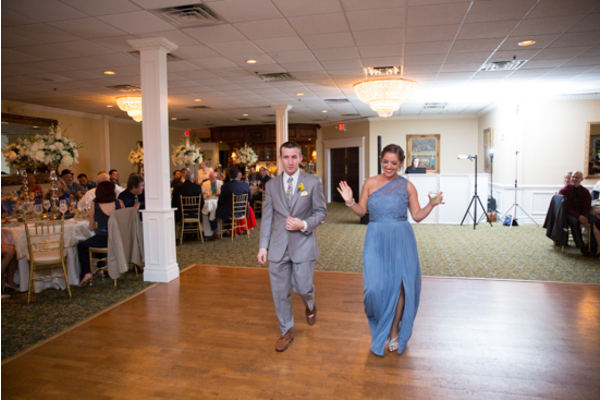 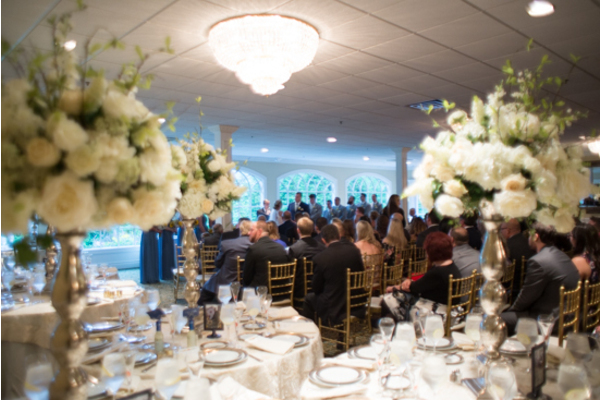 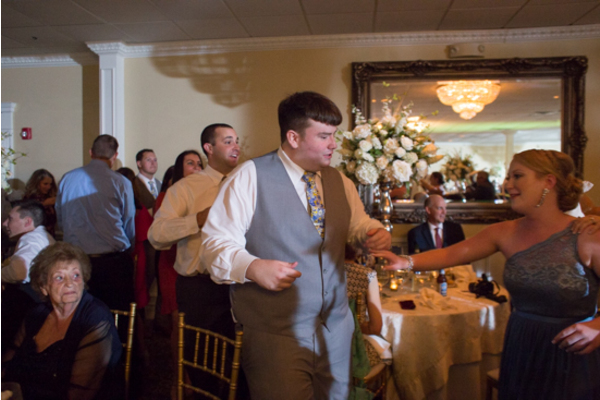 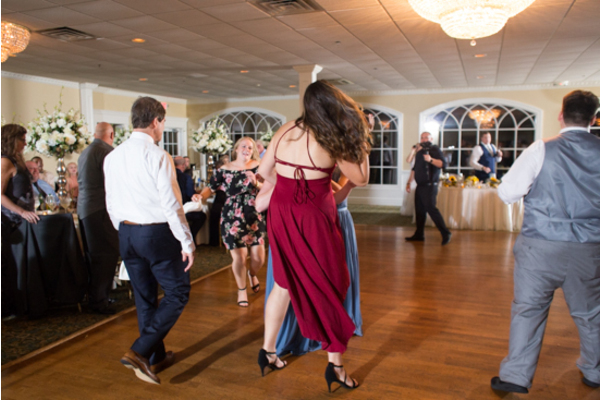 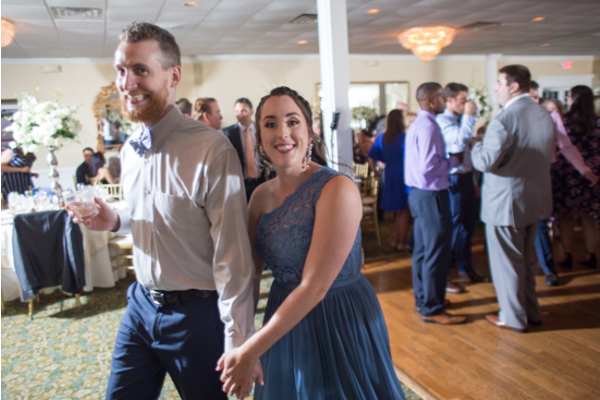 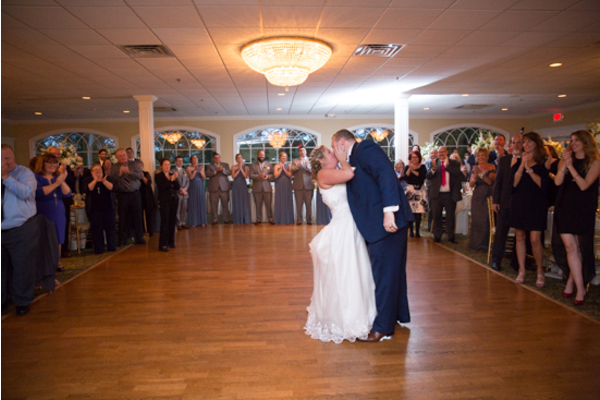 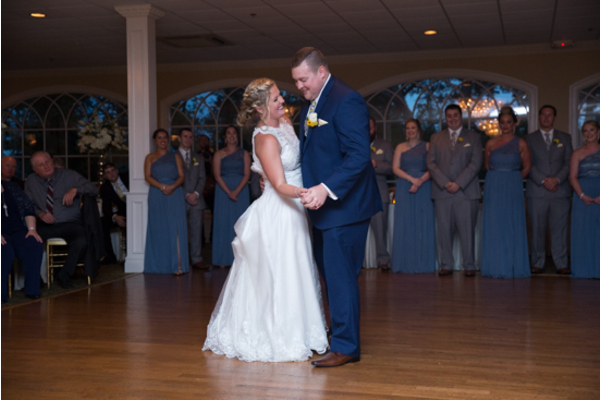 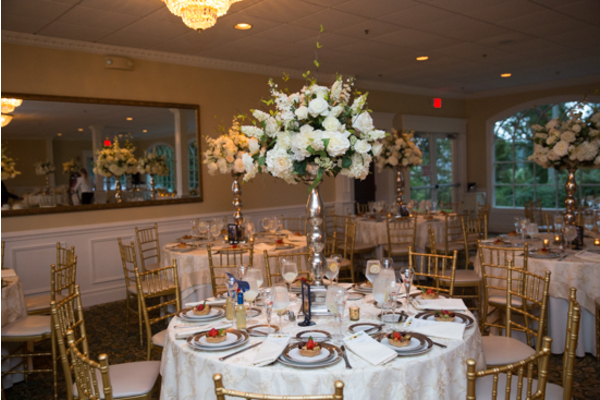 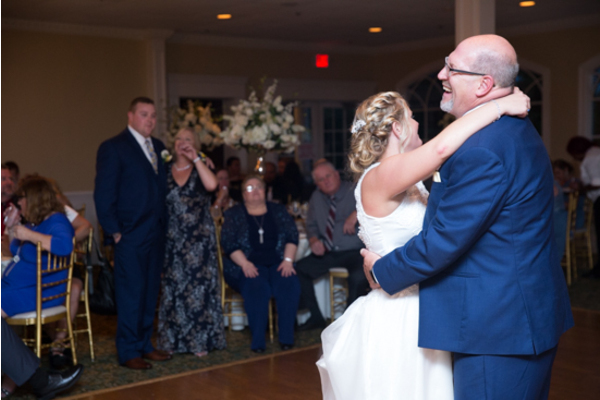 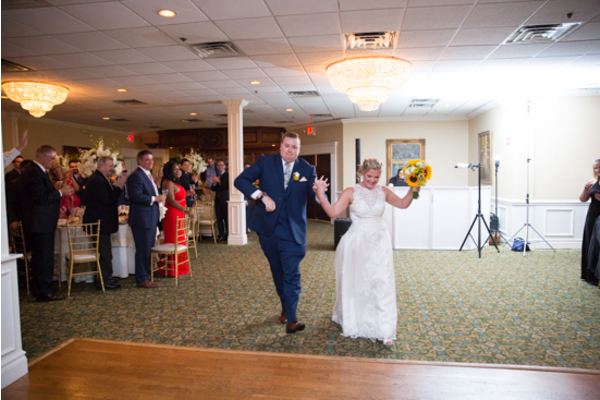 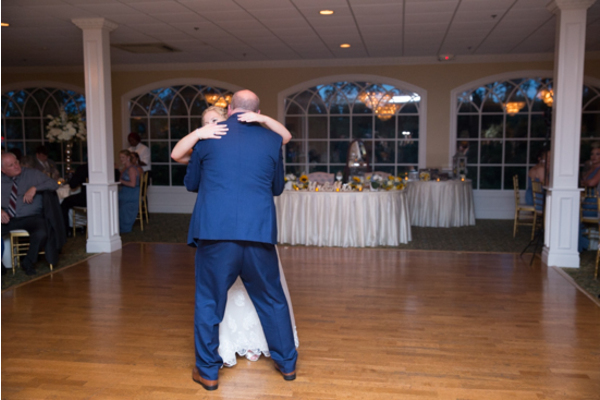 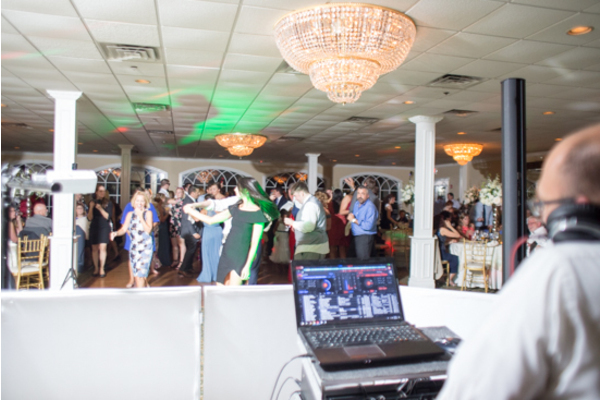 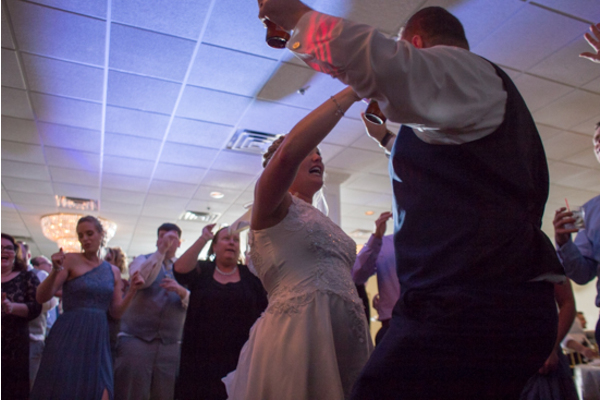 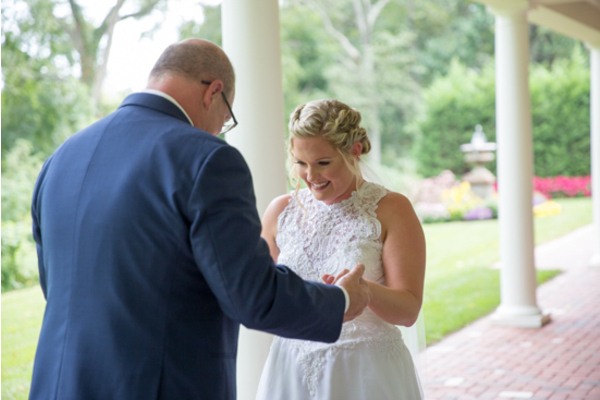 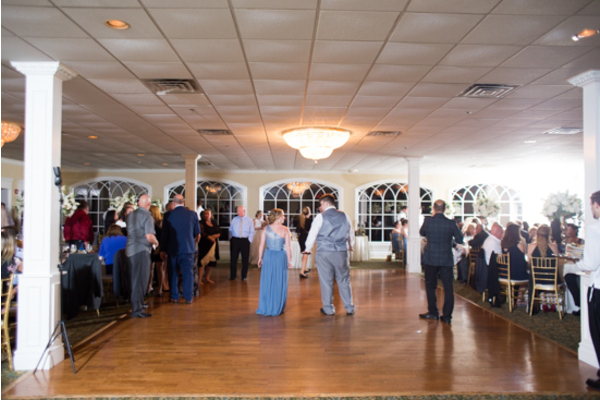 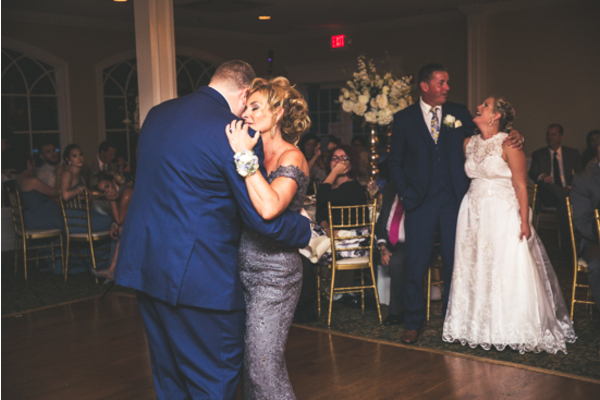 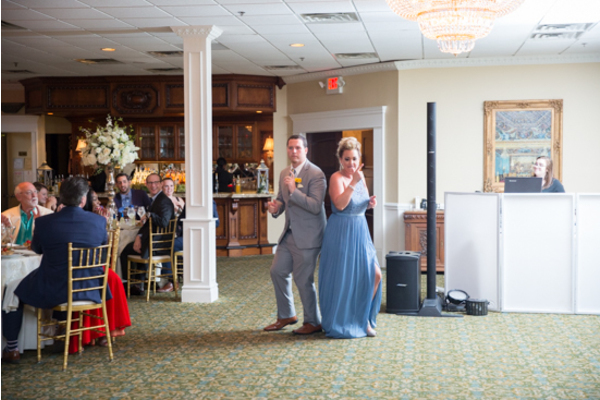 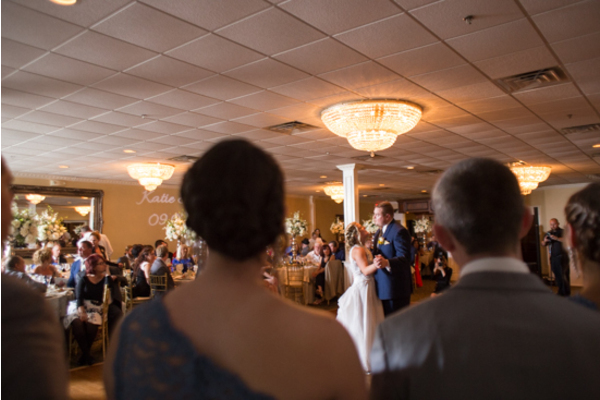 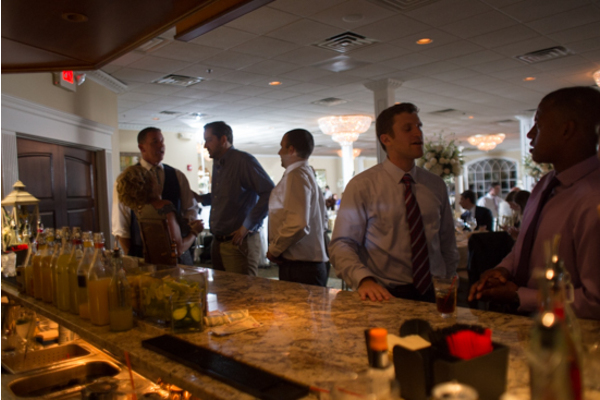 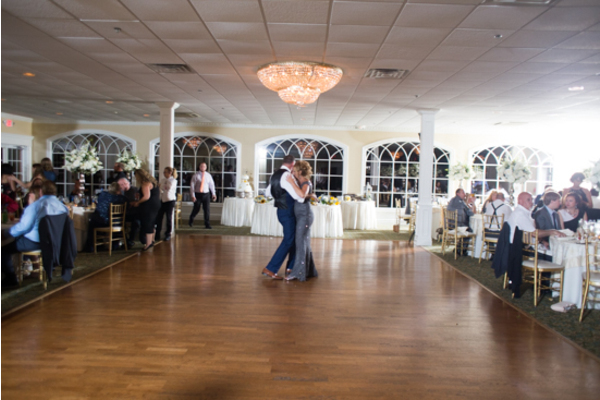 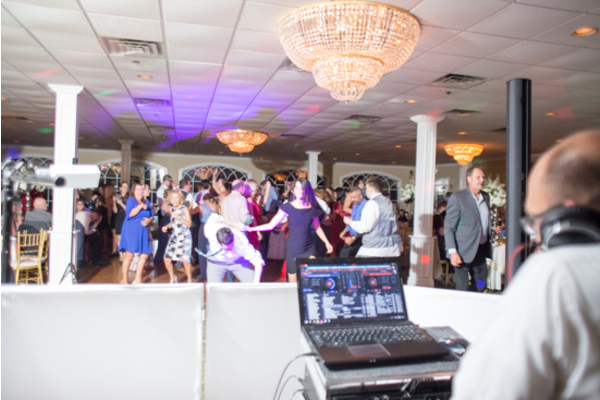 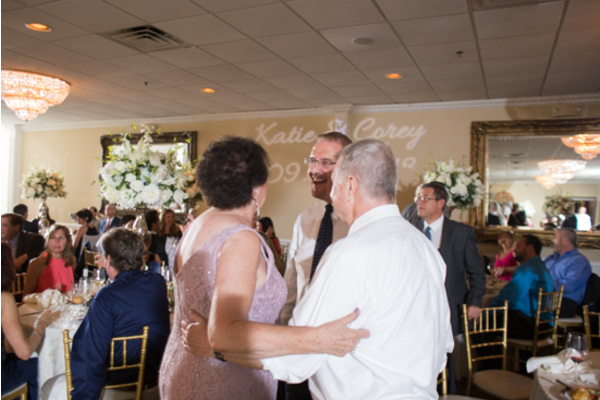 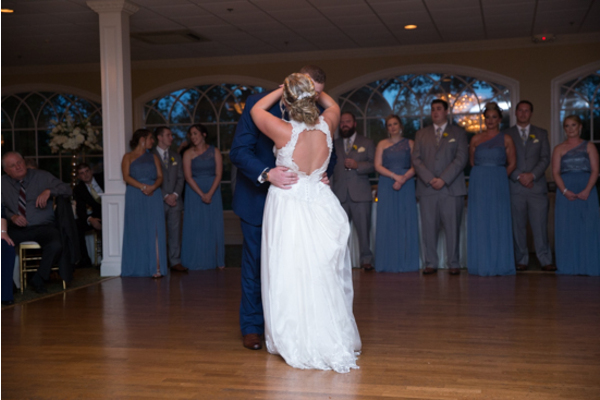 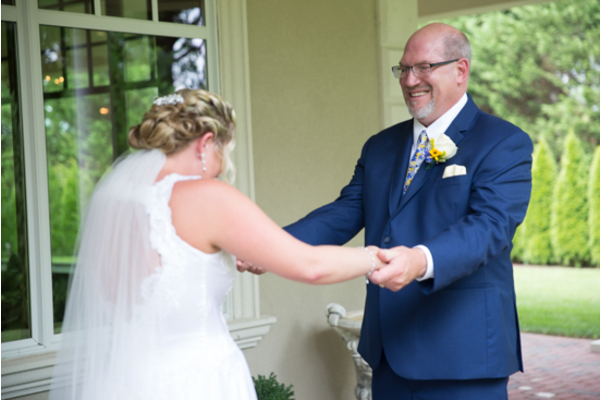 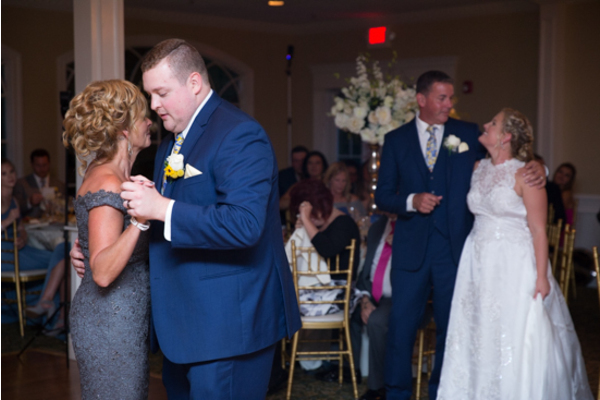 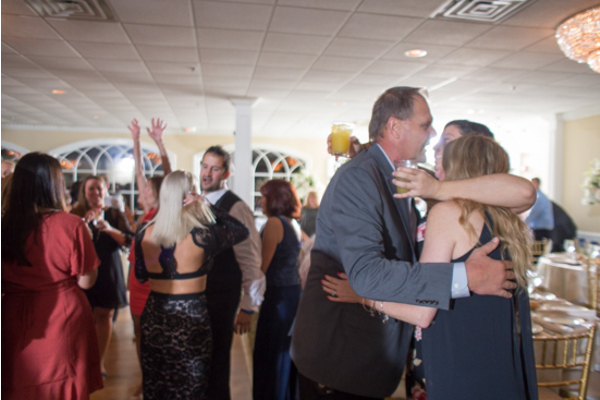 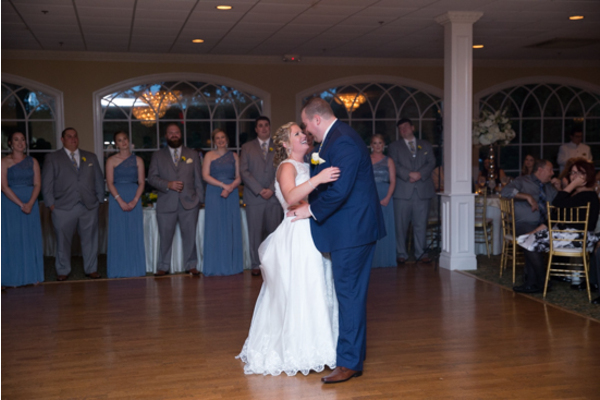 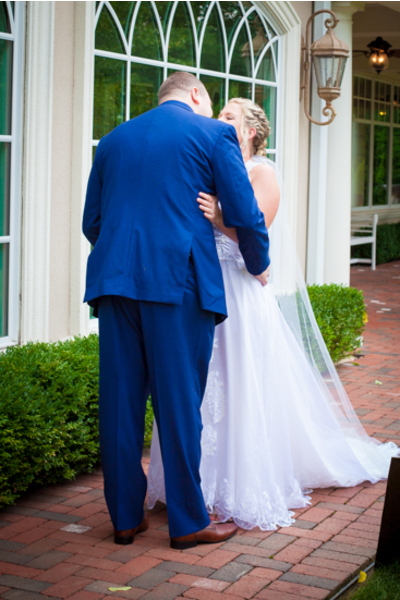 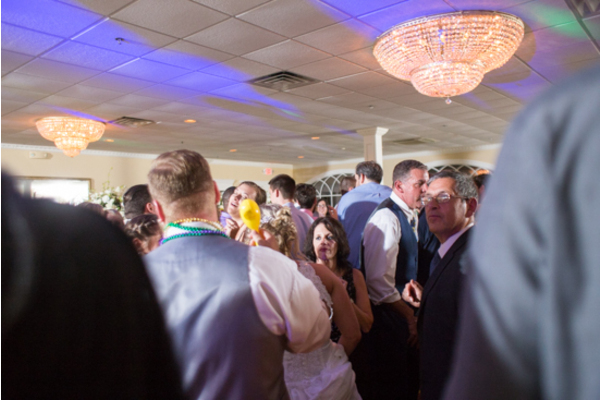 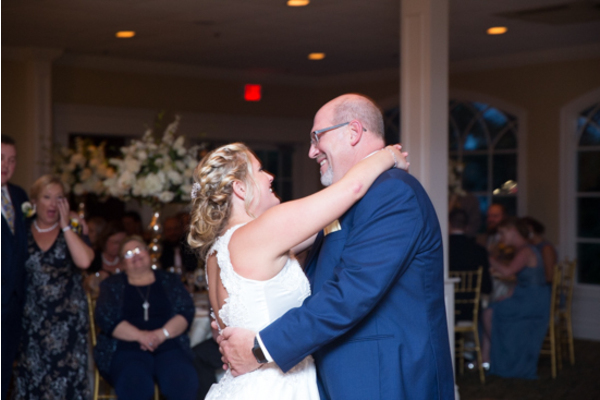 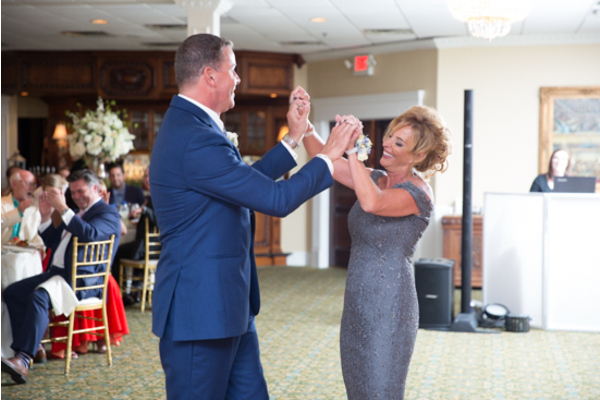 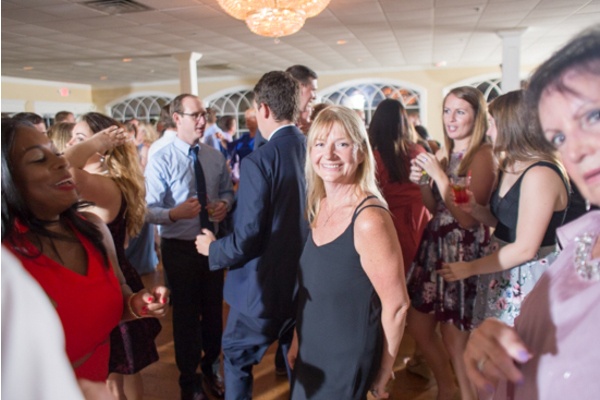 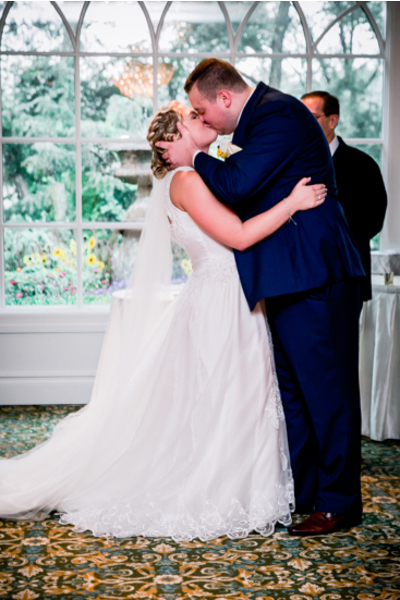 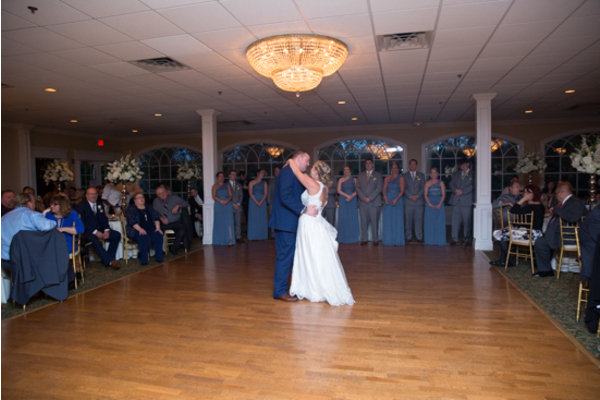 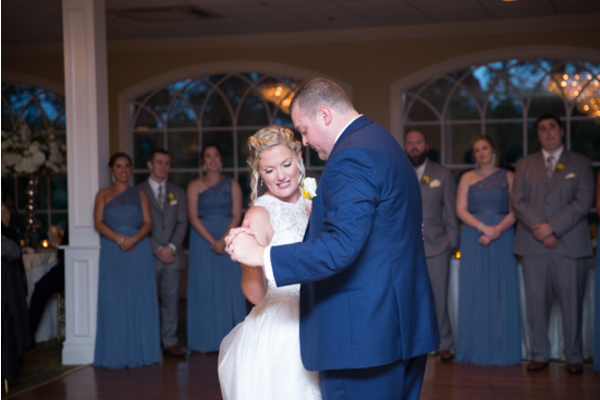 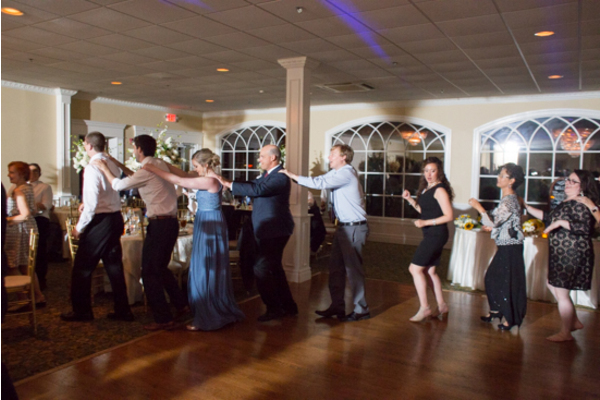 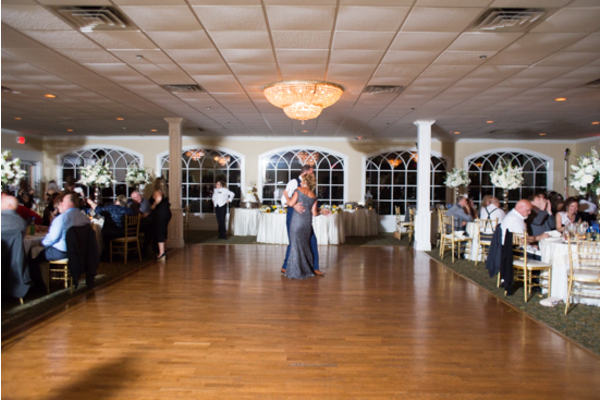 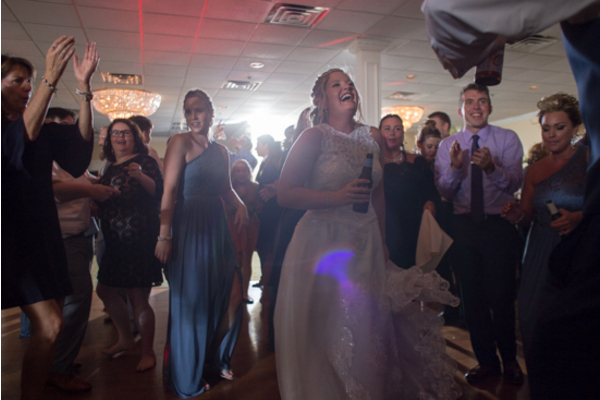 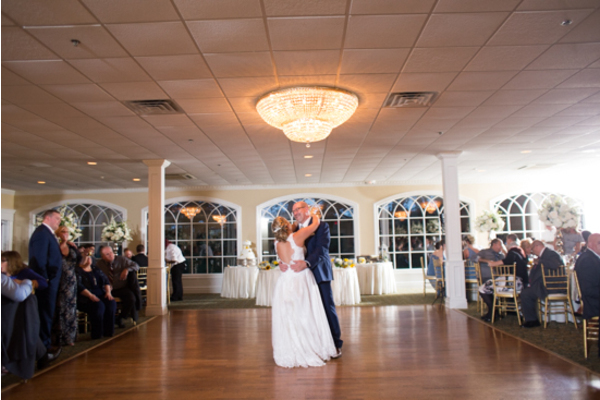 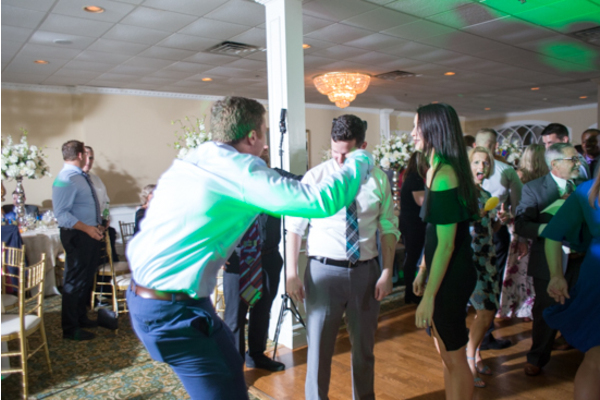 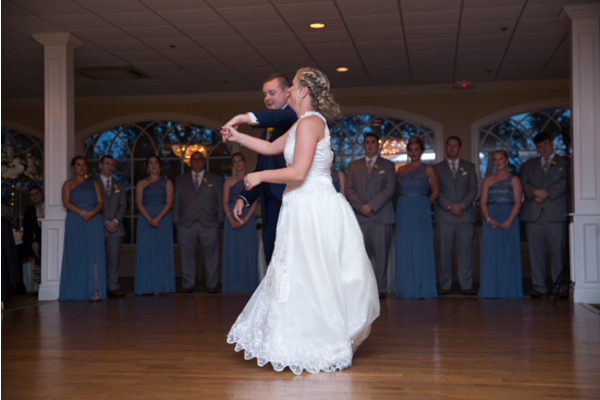 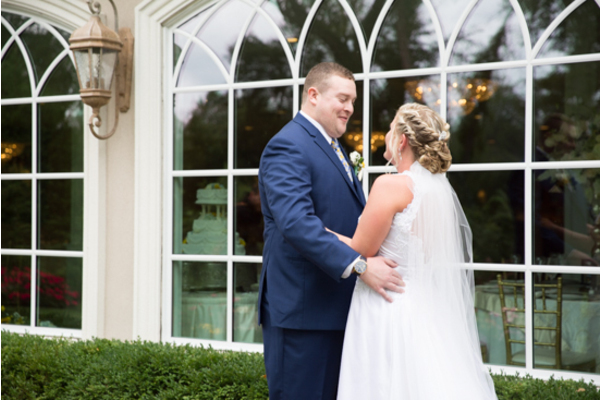 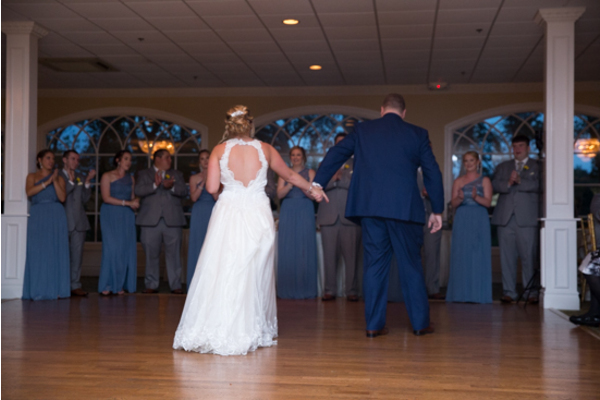 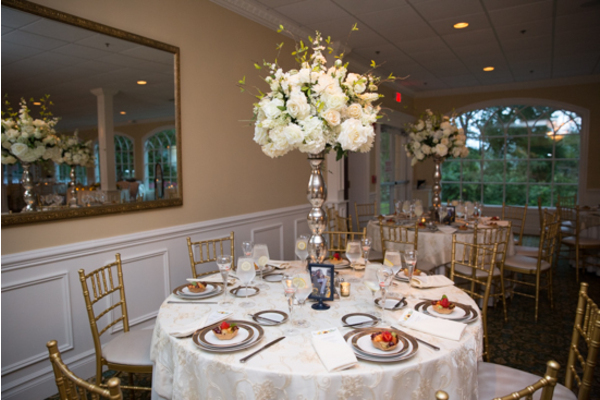 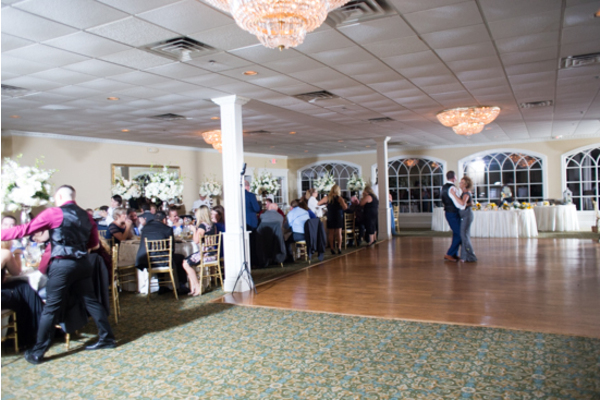 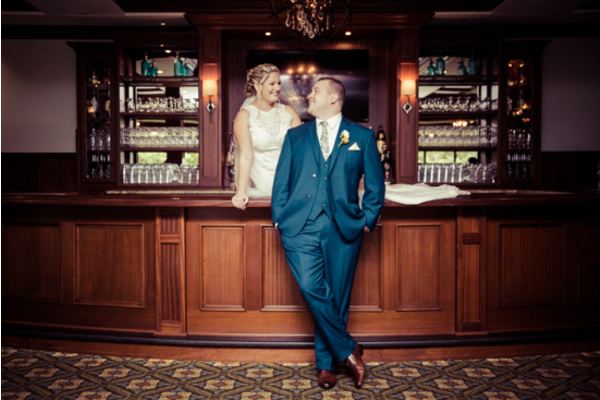 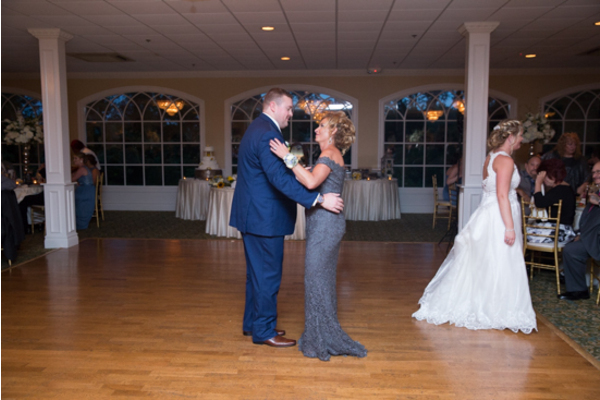 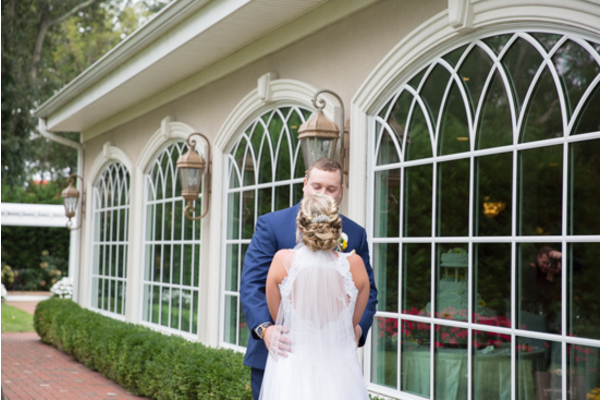 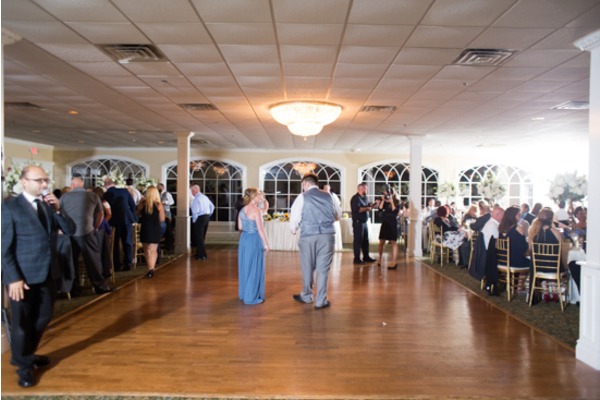 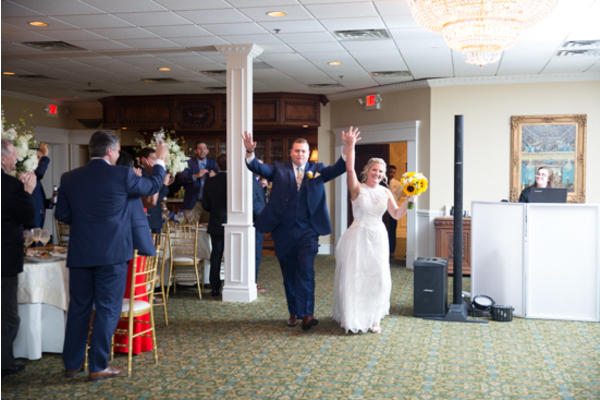 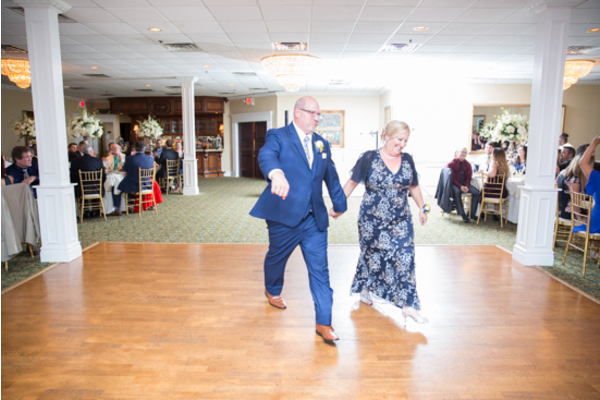 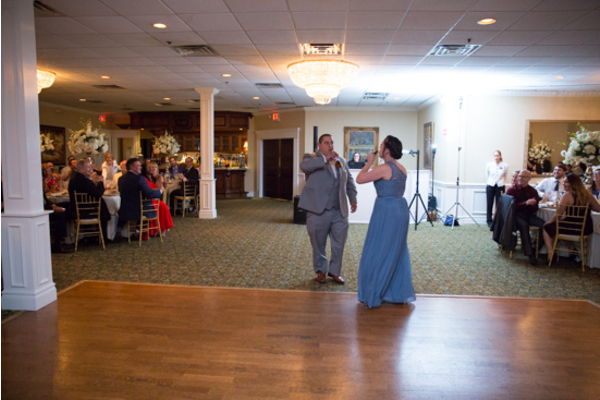 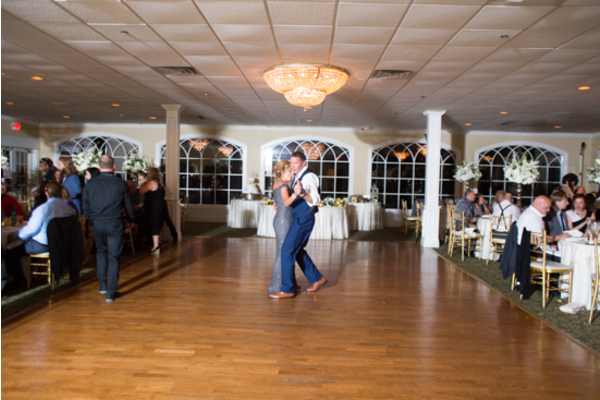 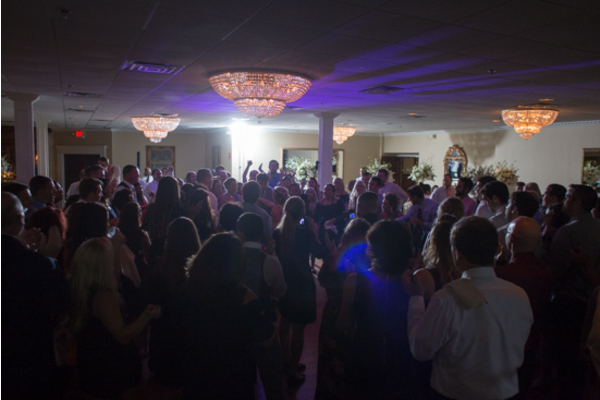 At the reception our NJ Wedding Photographer took stunning photos of Katie and Corey sharing their first dance! 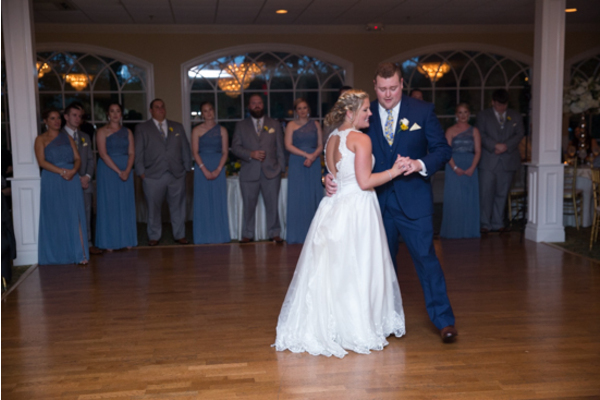 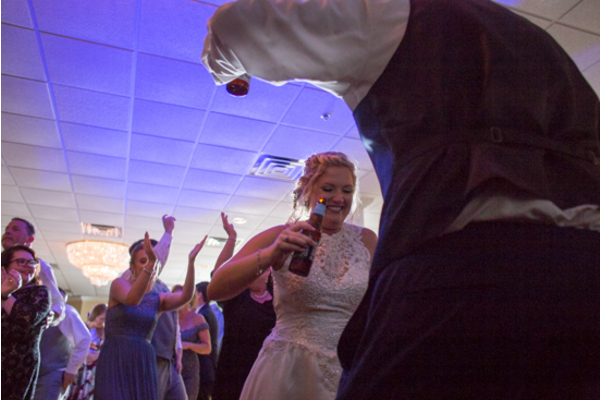 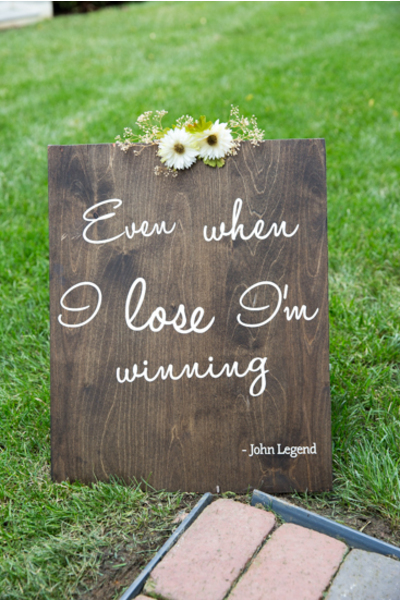 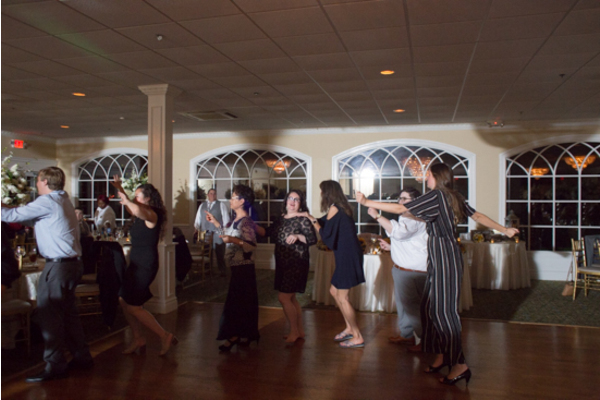 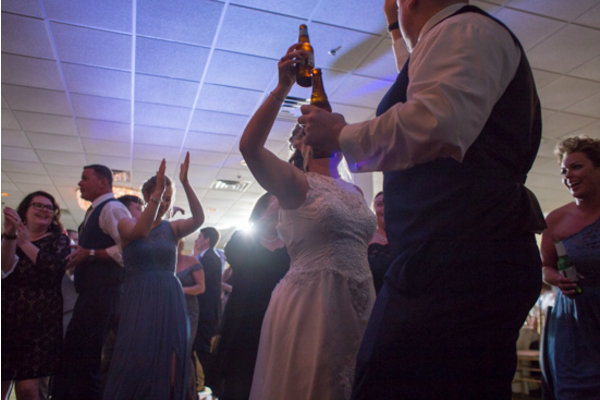 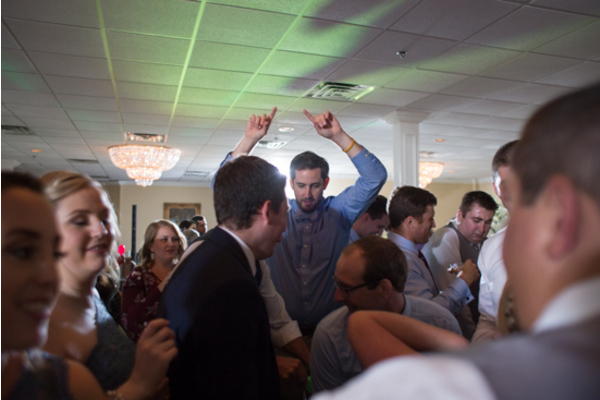 The remainder of the night was filled with dancing and beautiful memories created that would last a lifetime! 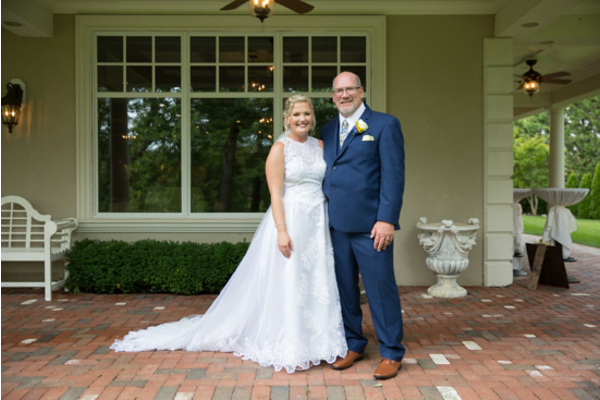 Congratulations again to the lovely couple! 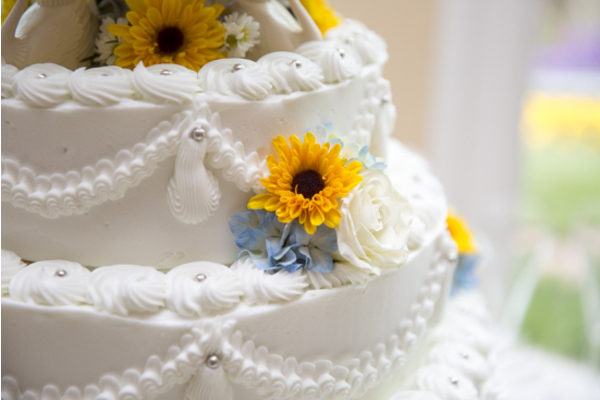 We wish you a lifetime of happiness, love and health!